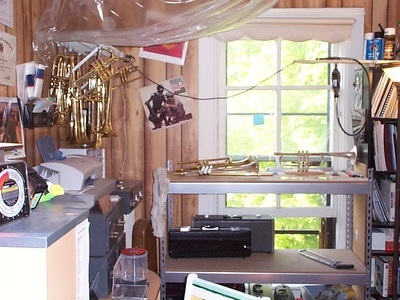 Sitting in a science lab conducting studies is the exact opposite of how Jason tests trumpet designs. 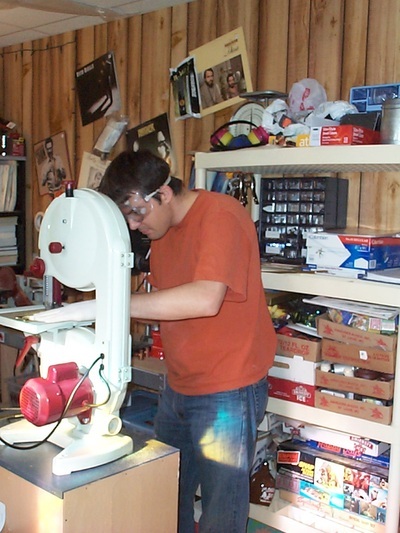 He likes to say, "It's not rocket science, it's regular science". 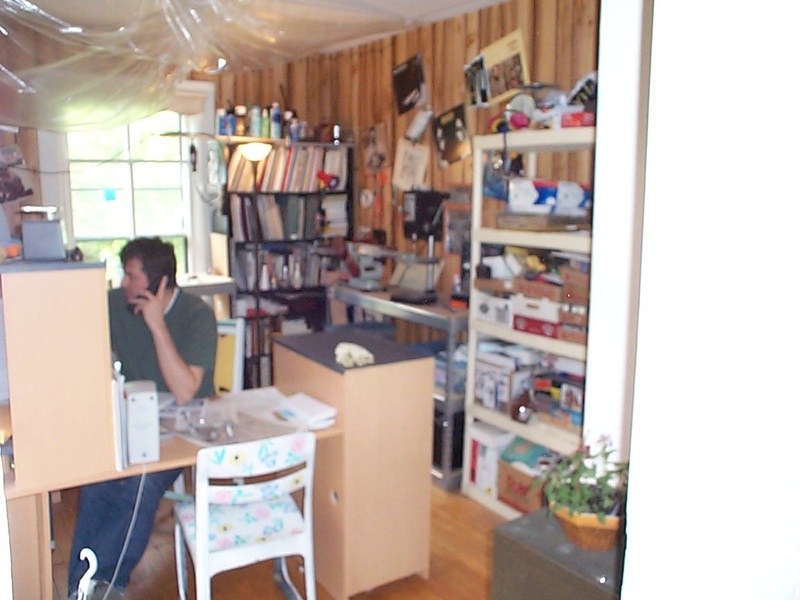 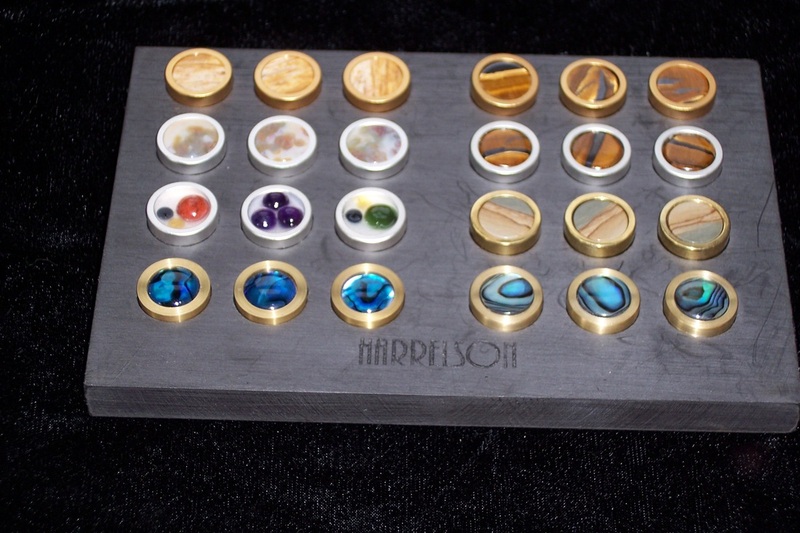 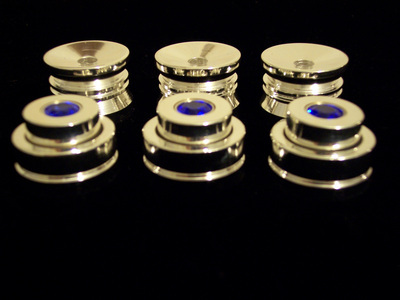 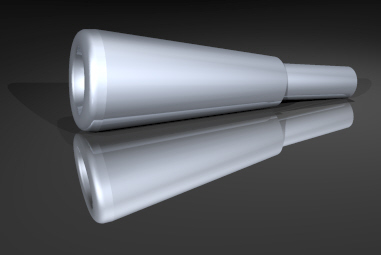 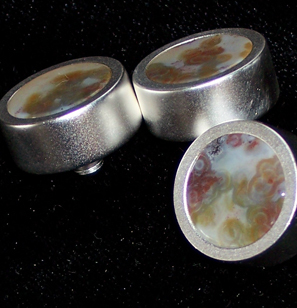 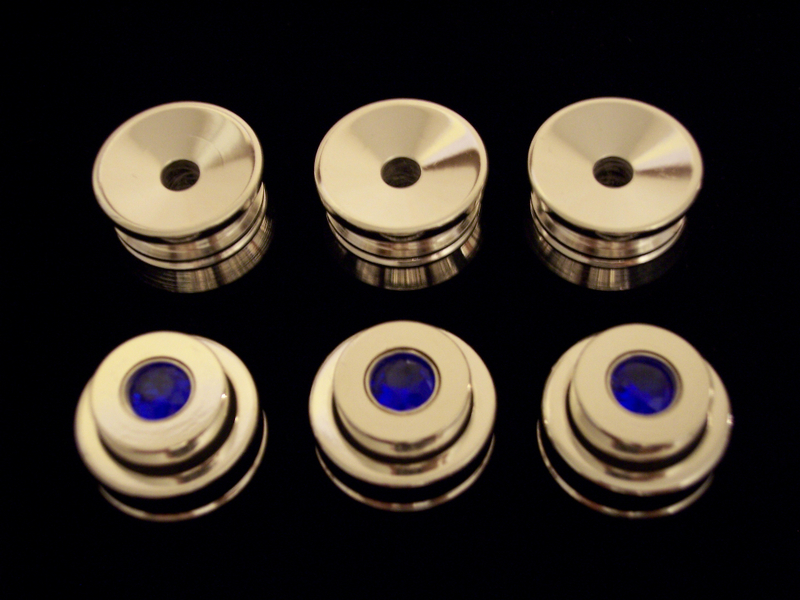 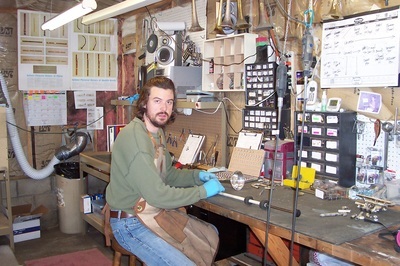 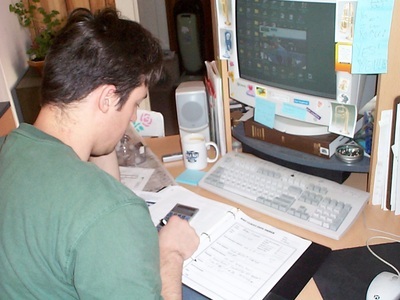 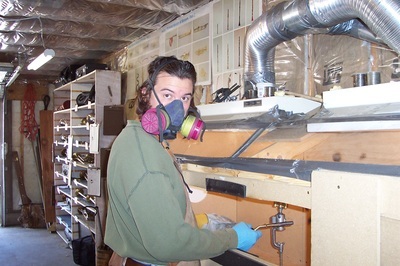 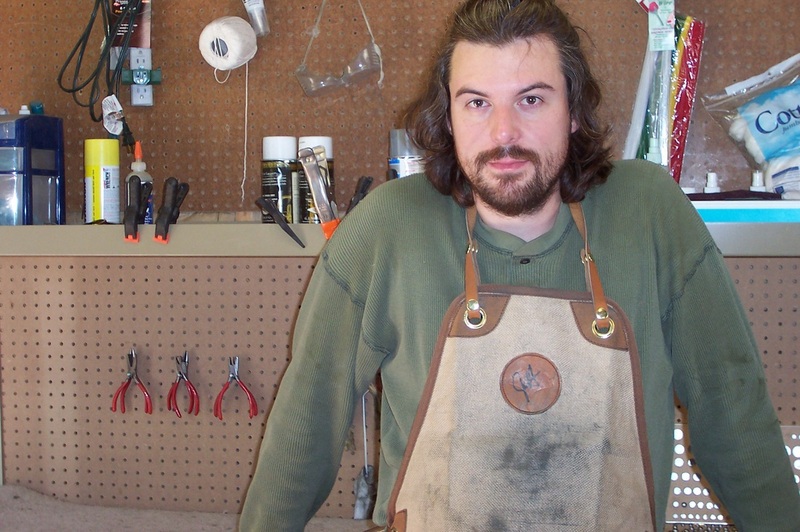 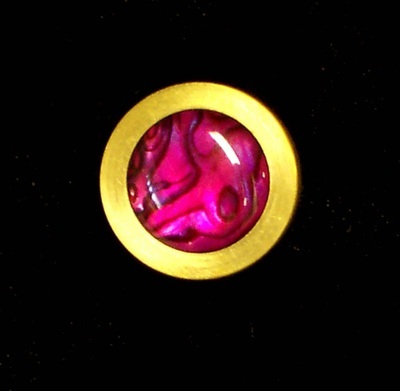 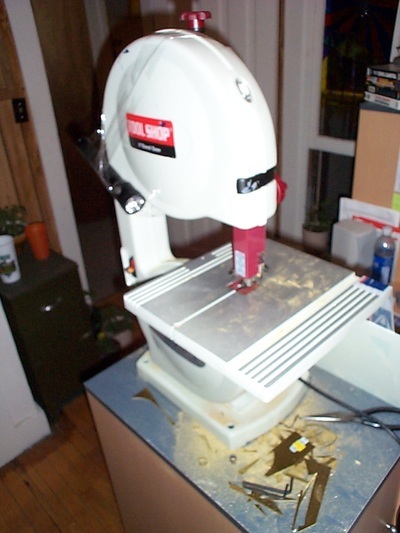 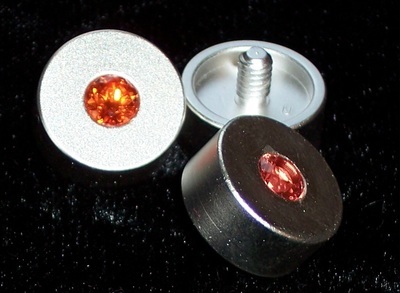 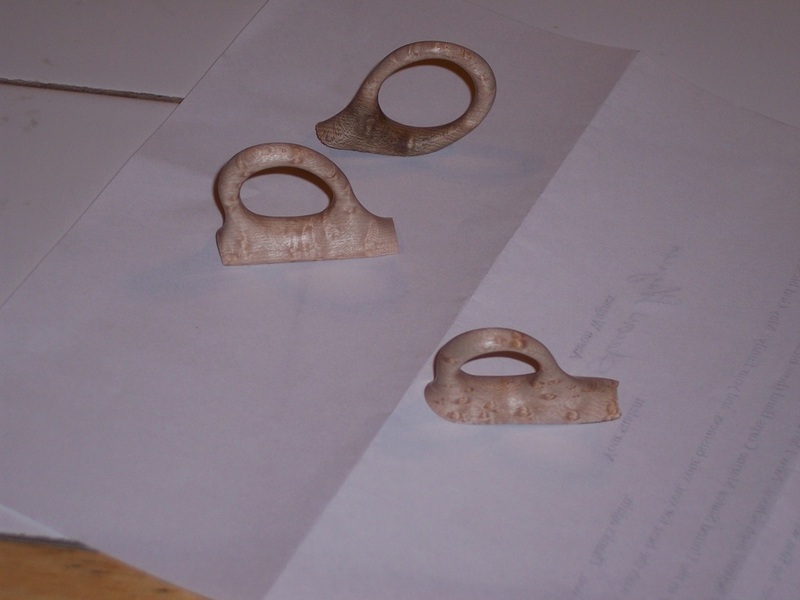 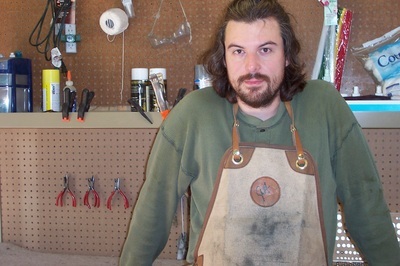 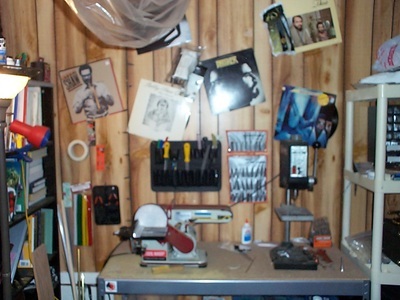 And regular science is best applied in real world situations, which is why Jason invested many years testing various designs within all musical genres. 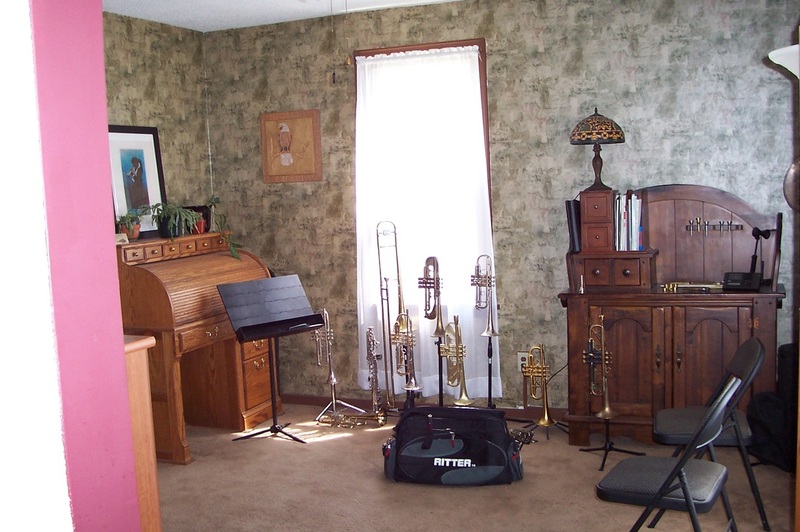 In fact, he specifically learned to perform musical styles outside of his comfort zone to better understand the expectations of his clients. 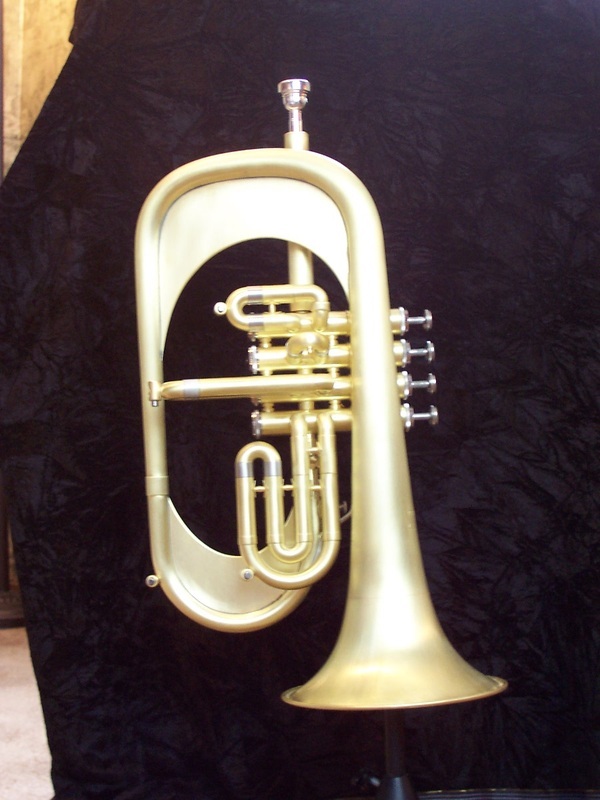 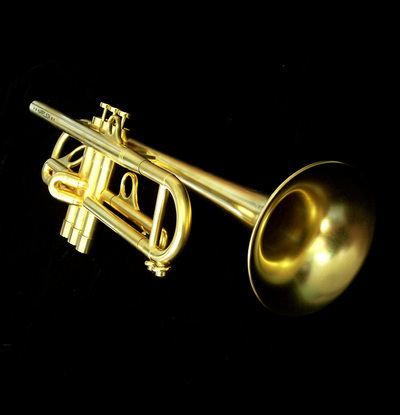 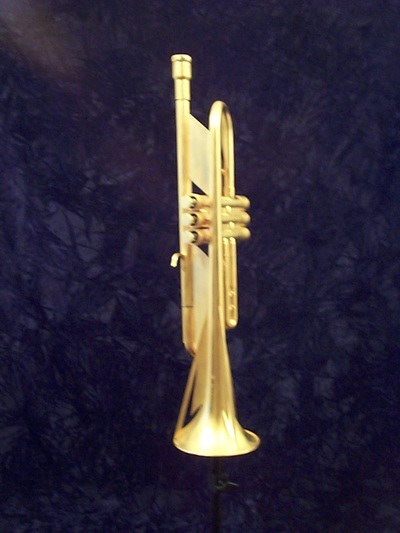 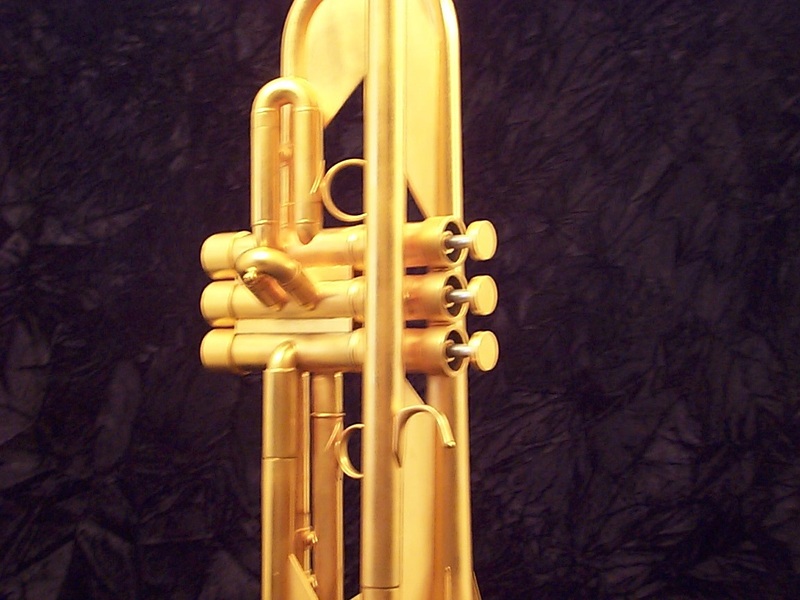 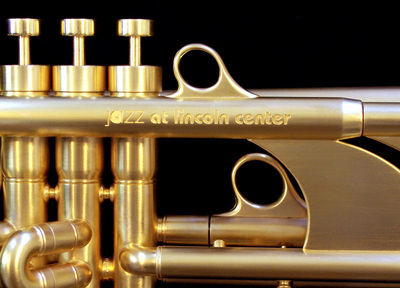 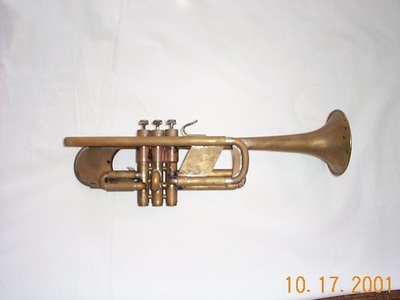 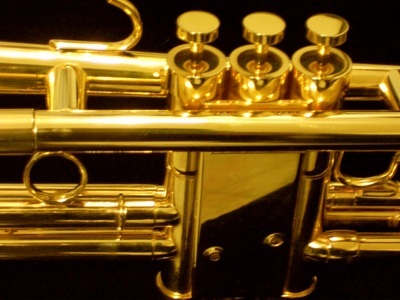 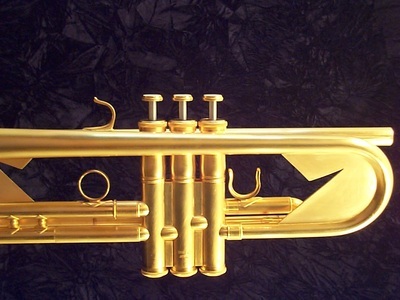 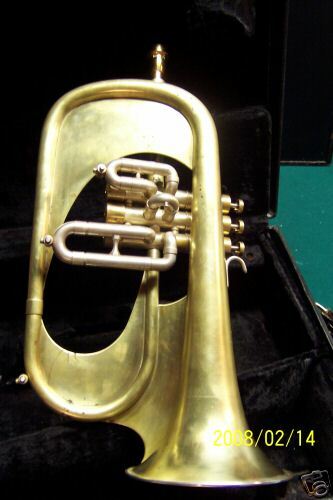 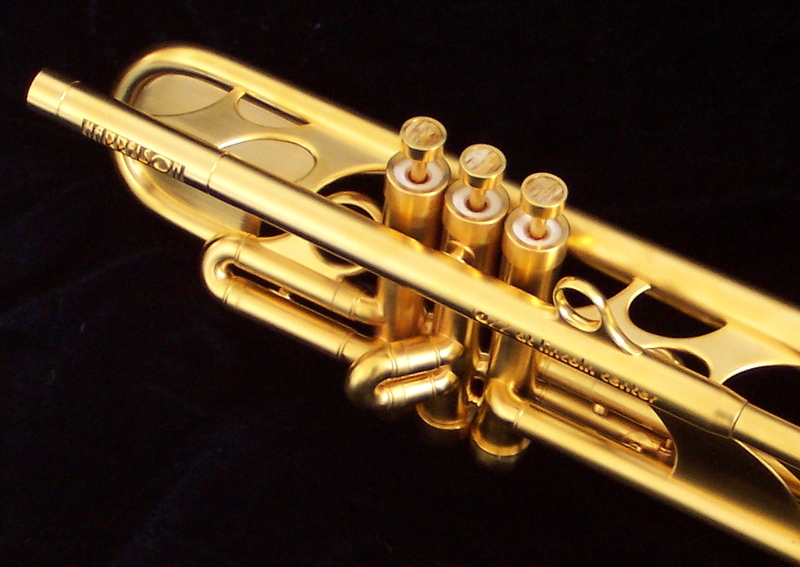 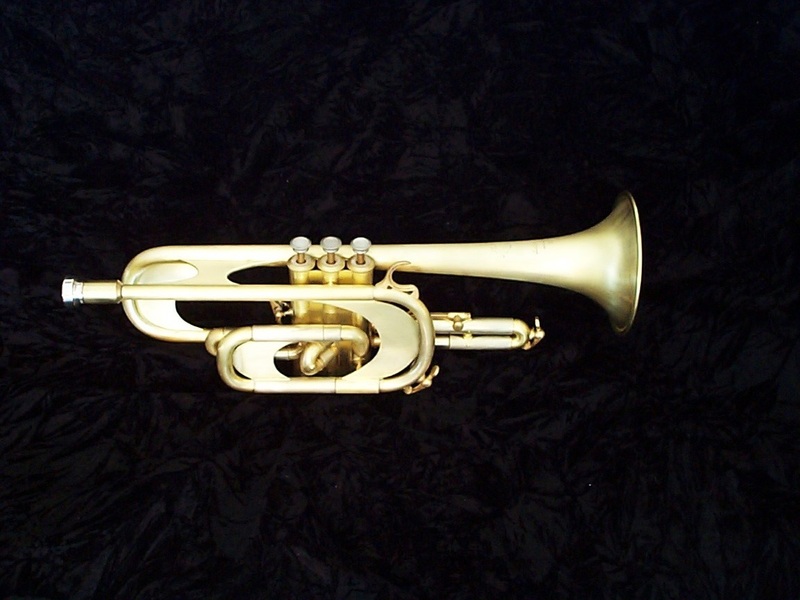 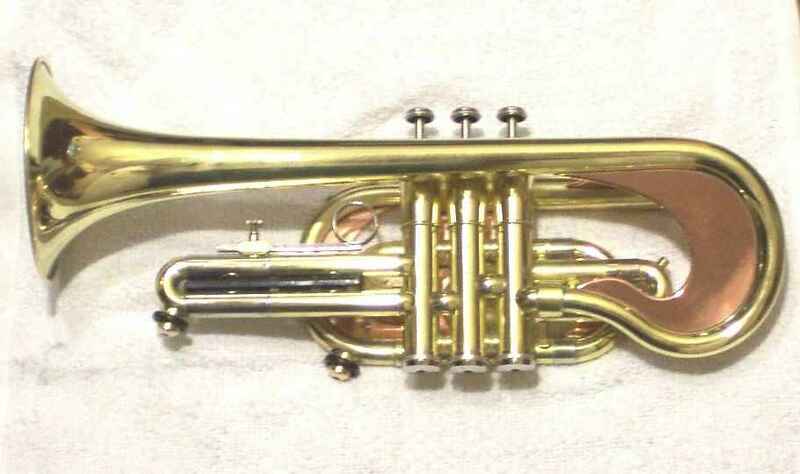 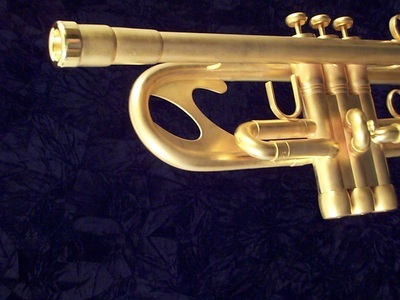 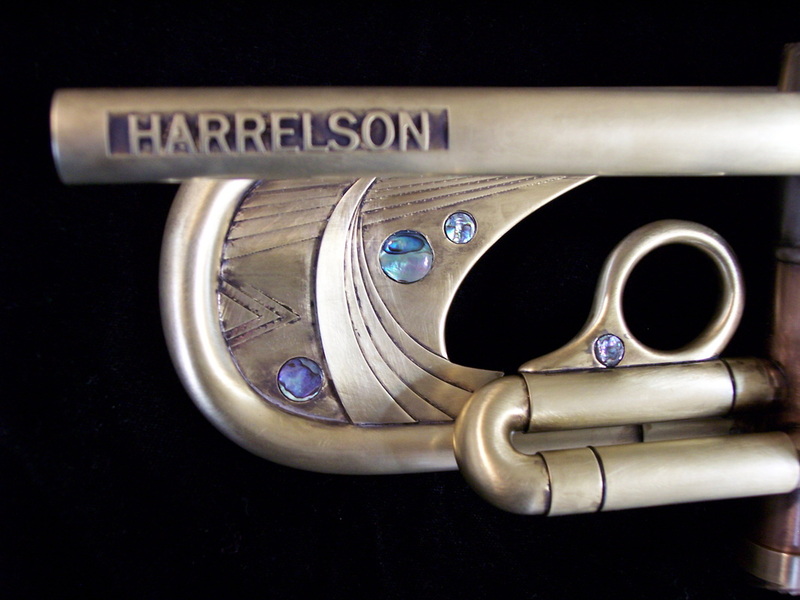 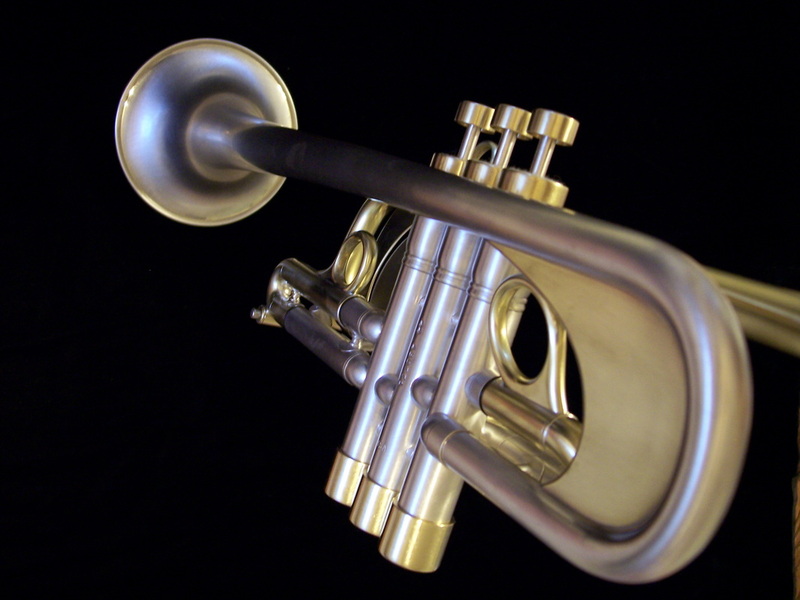 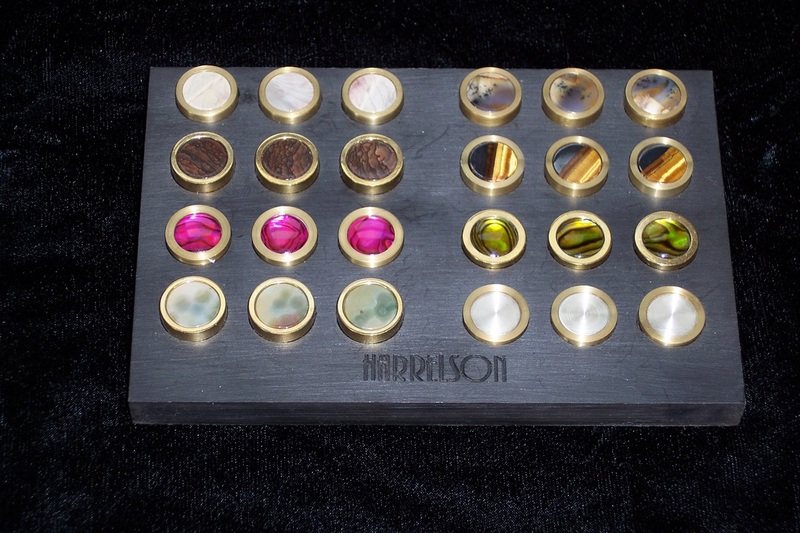 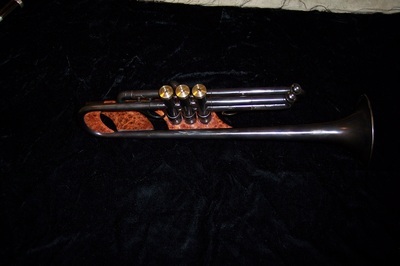 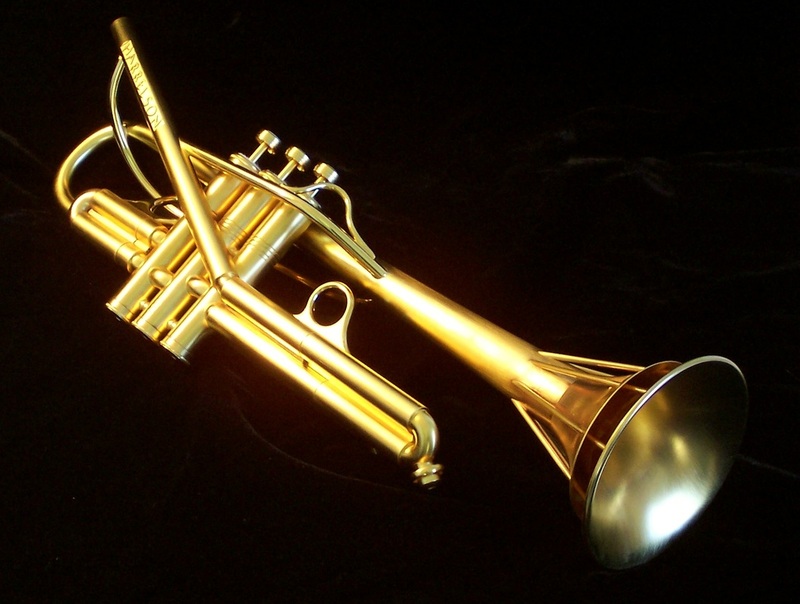 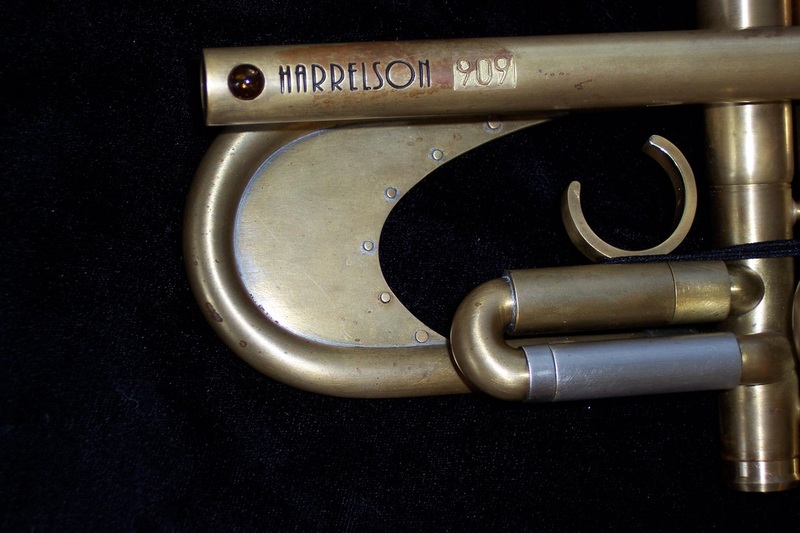 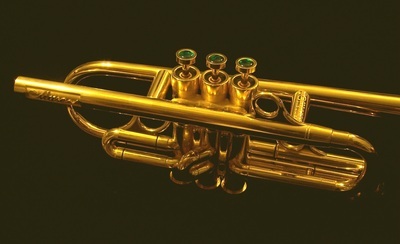 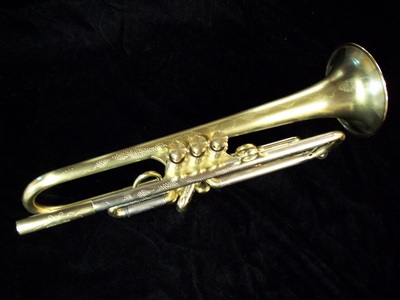 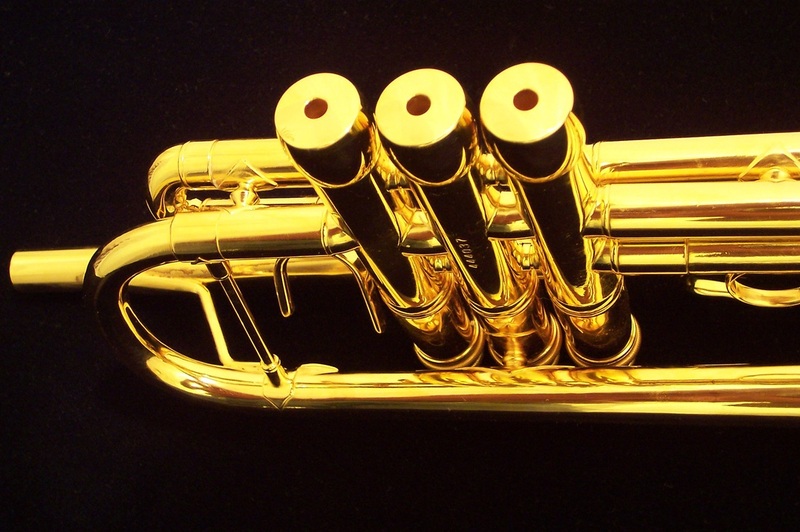 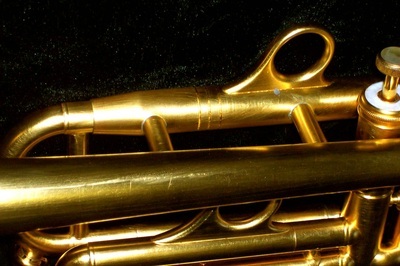 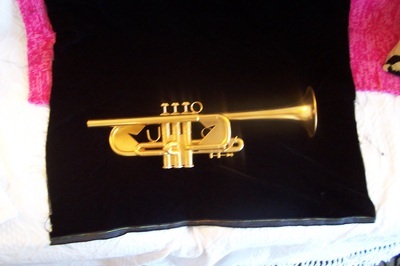 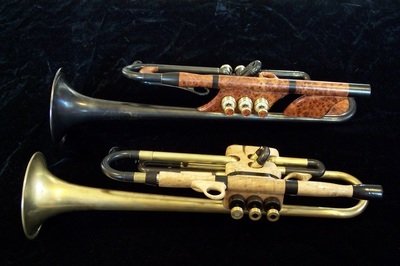 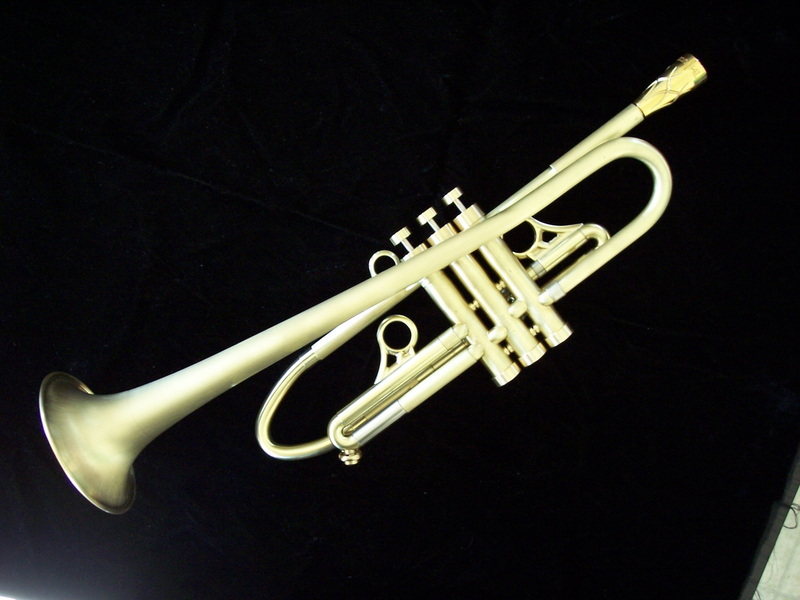 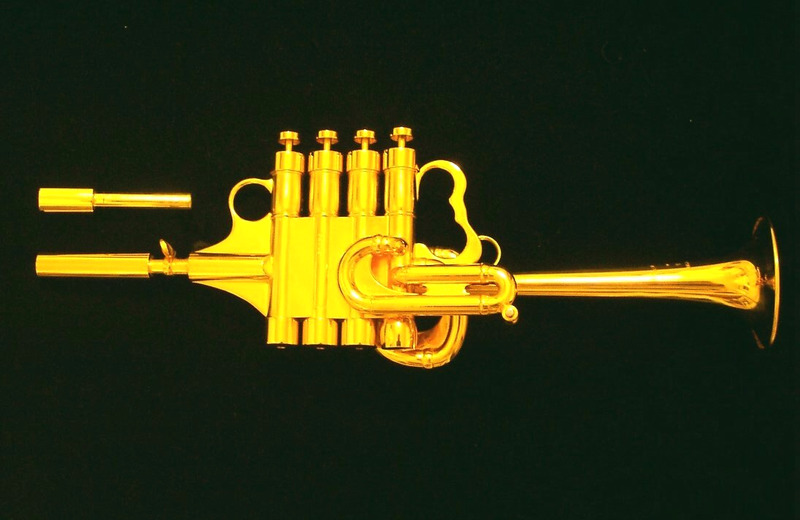 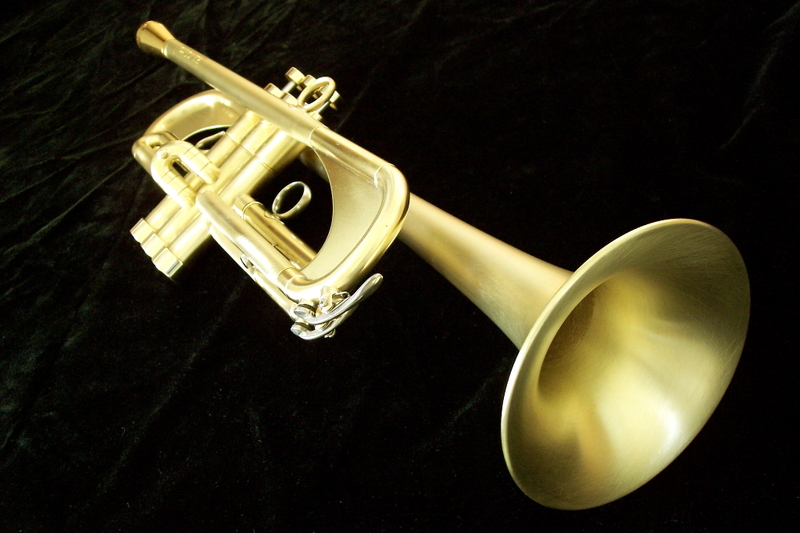 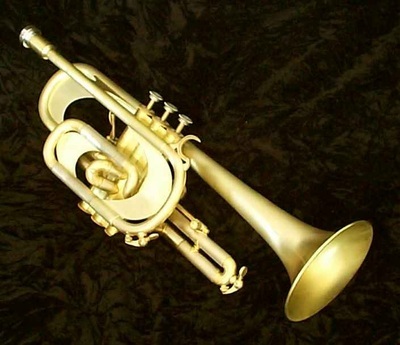 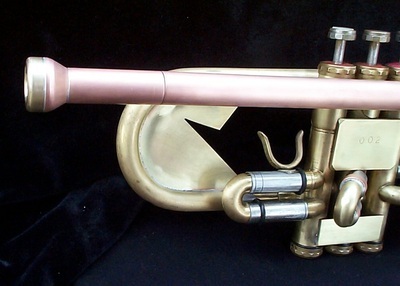 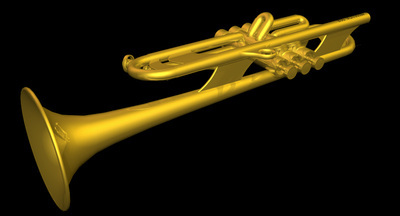 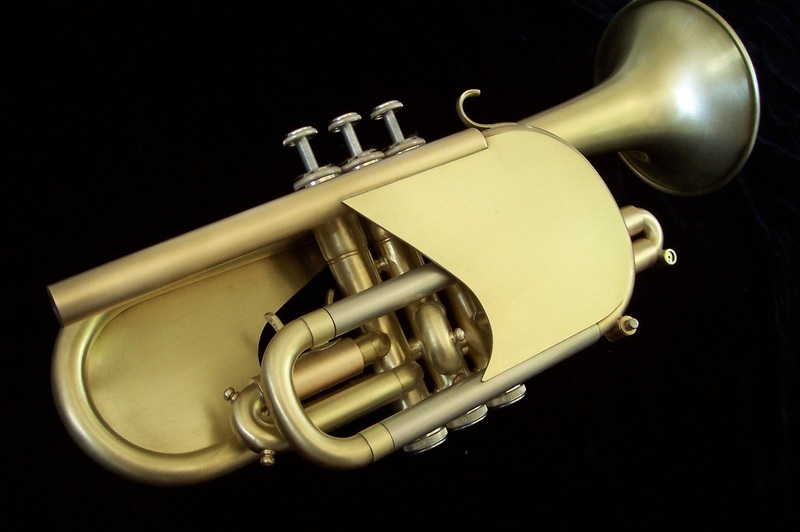 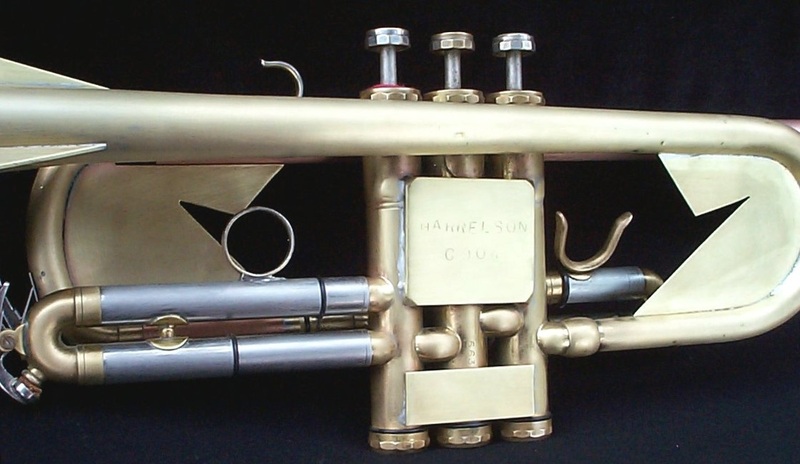 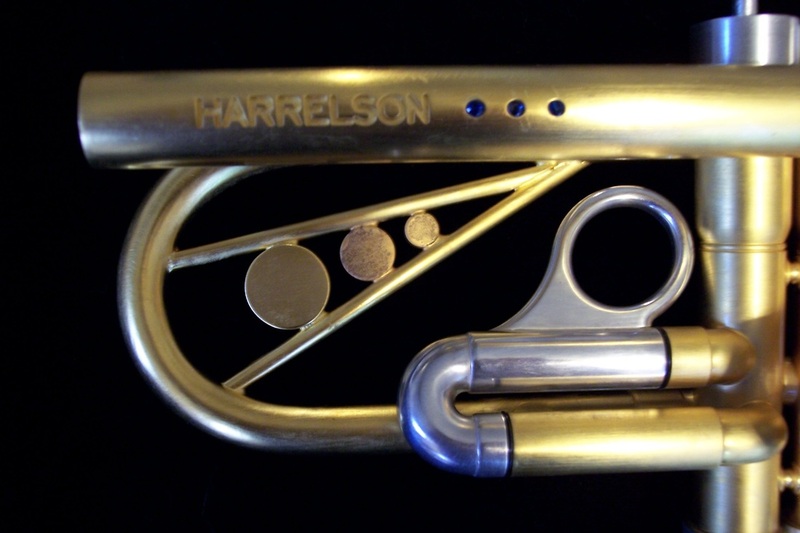 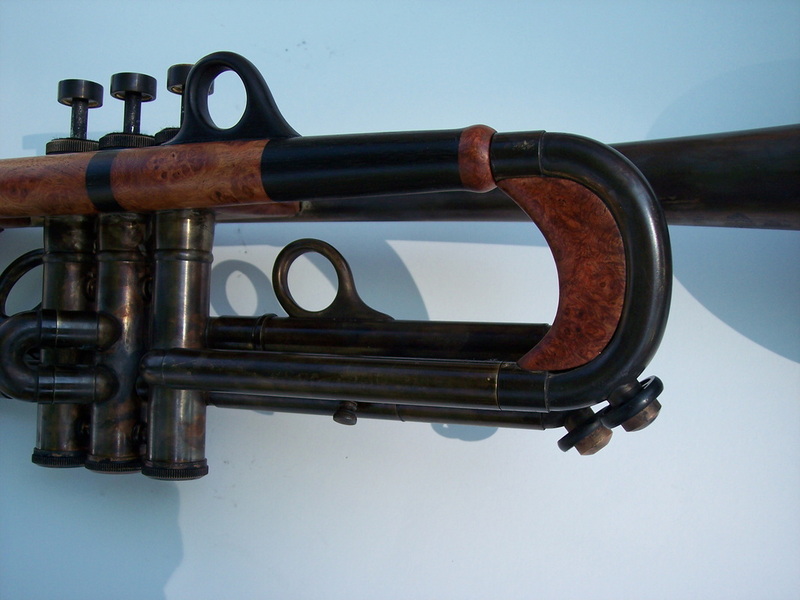 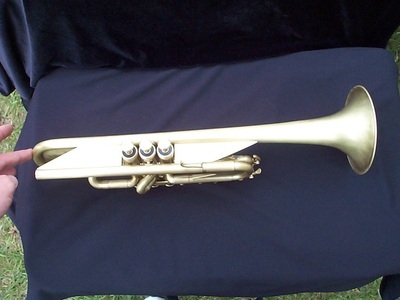 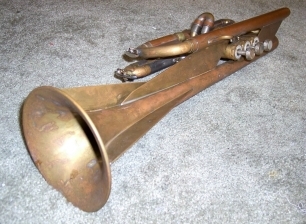 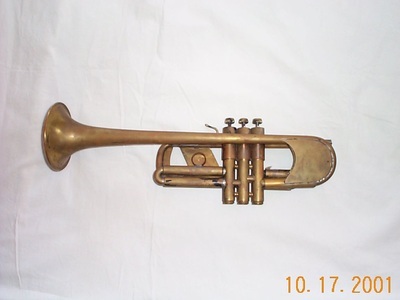 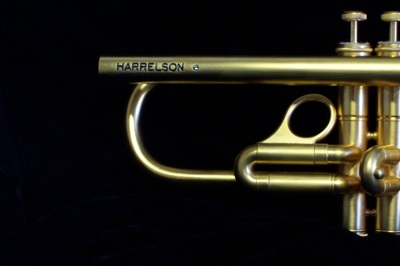 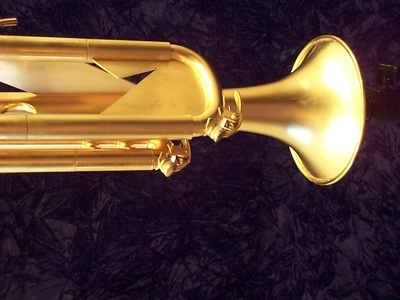 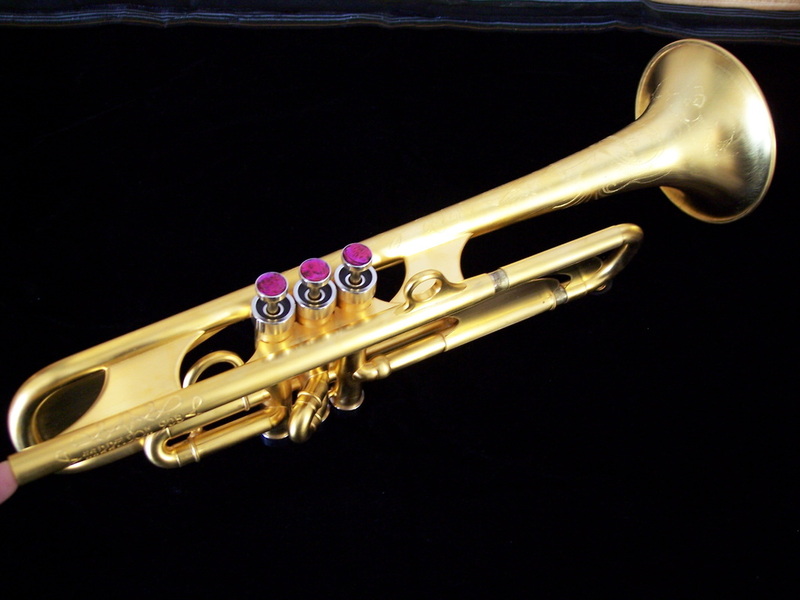 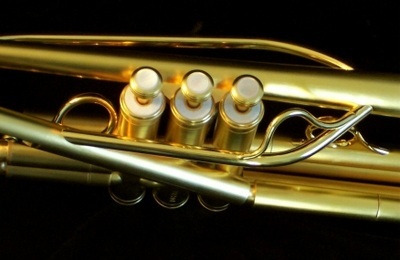 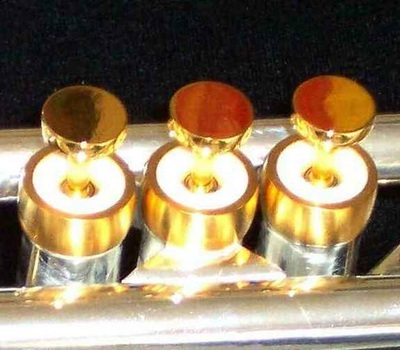 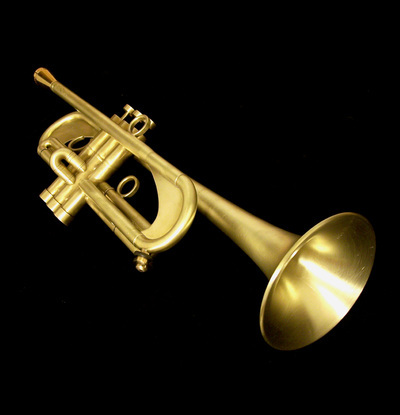 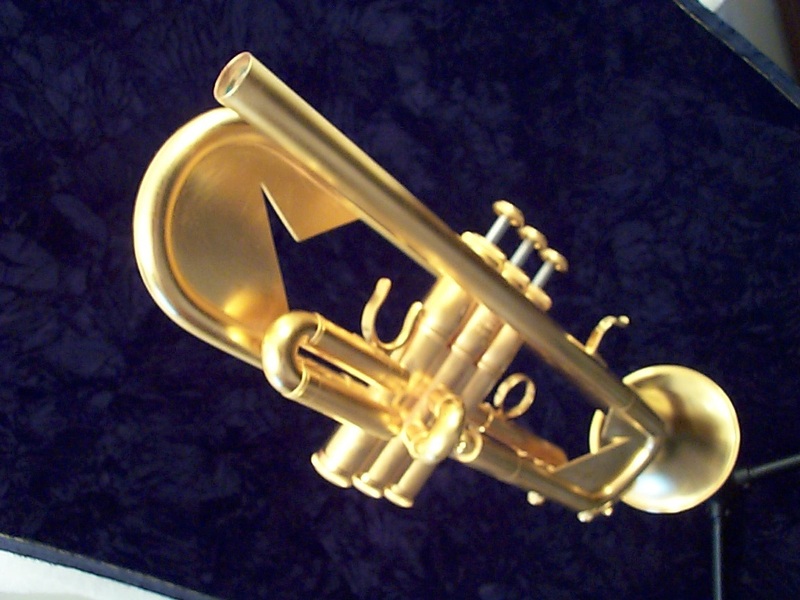 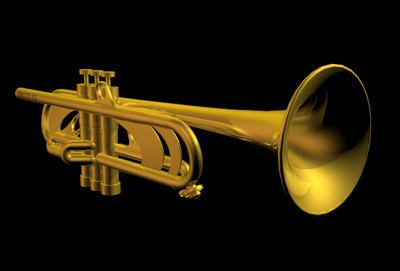 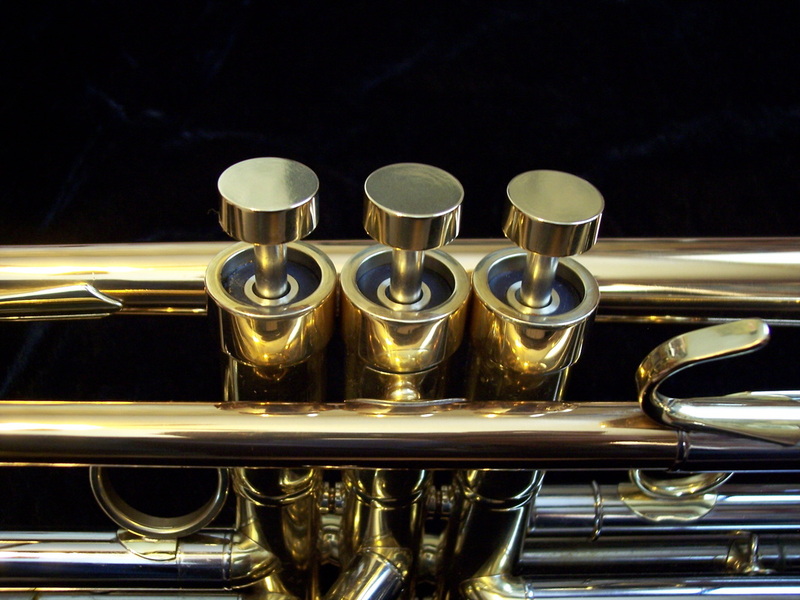 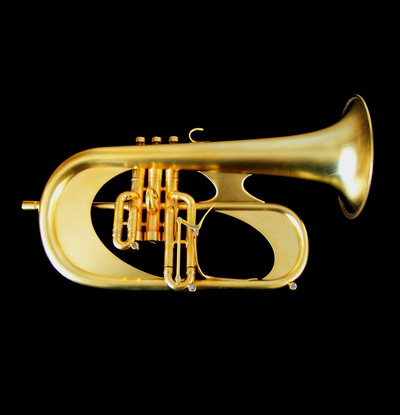 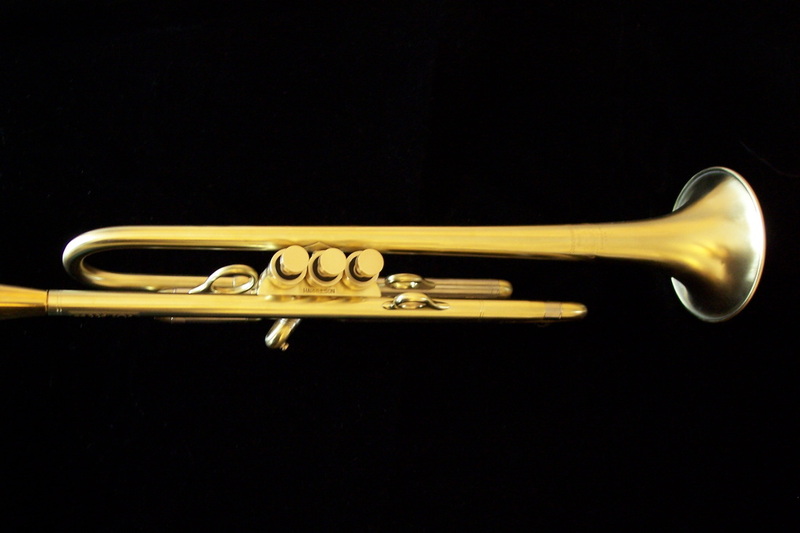 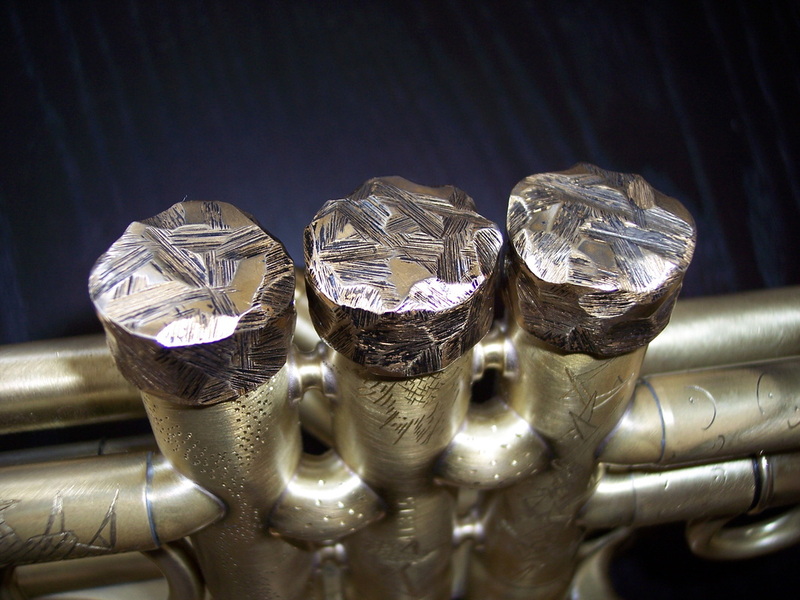 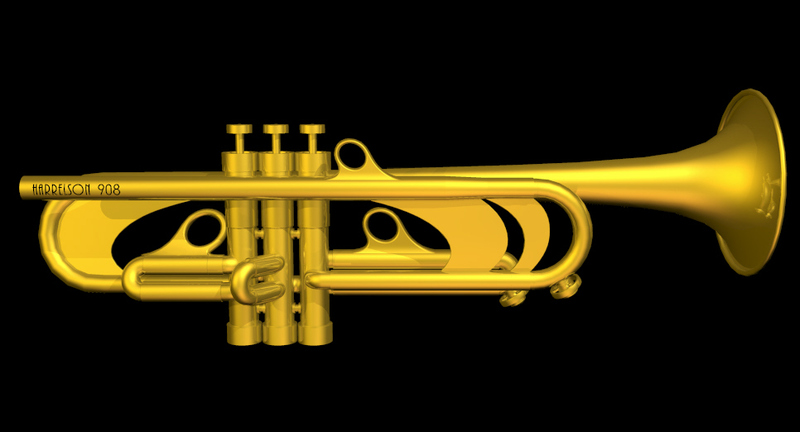 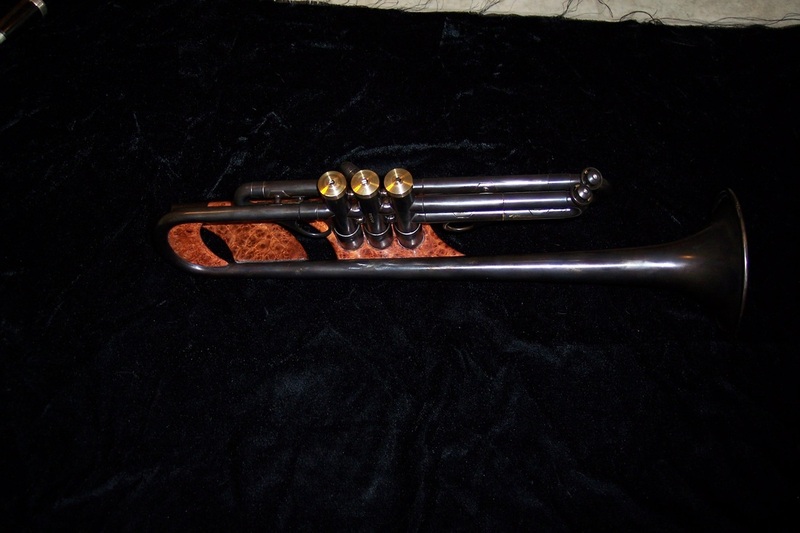 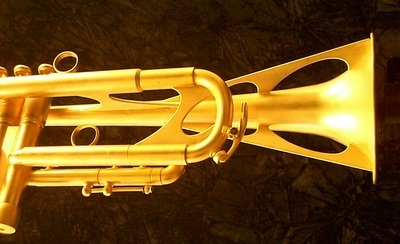 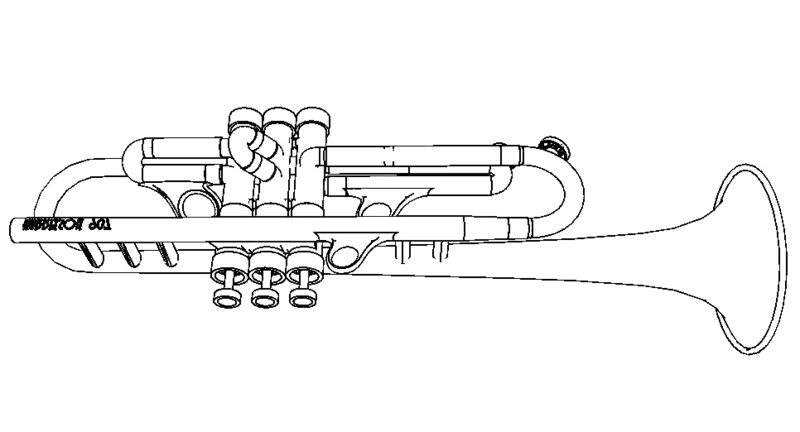 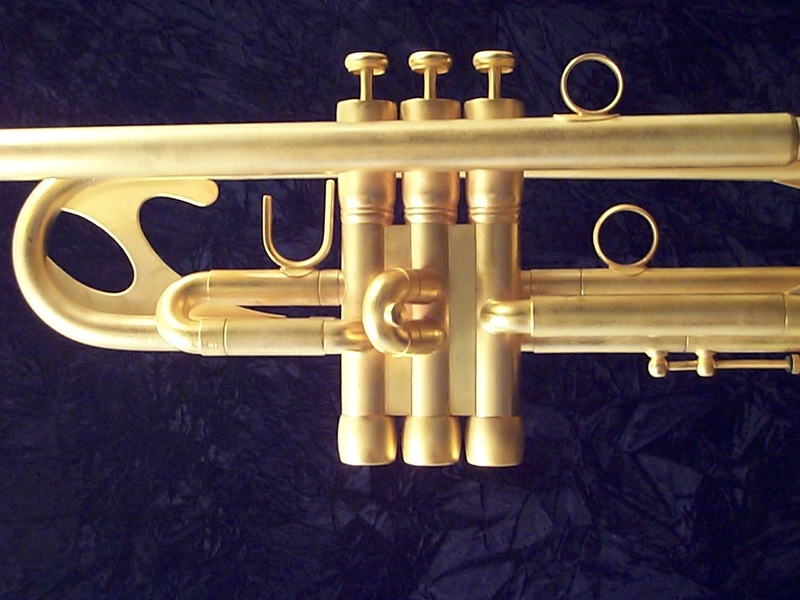 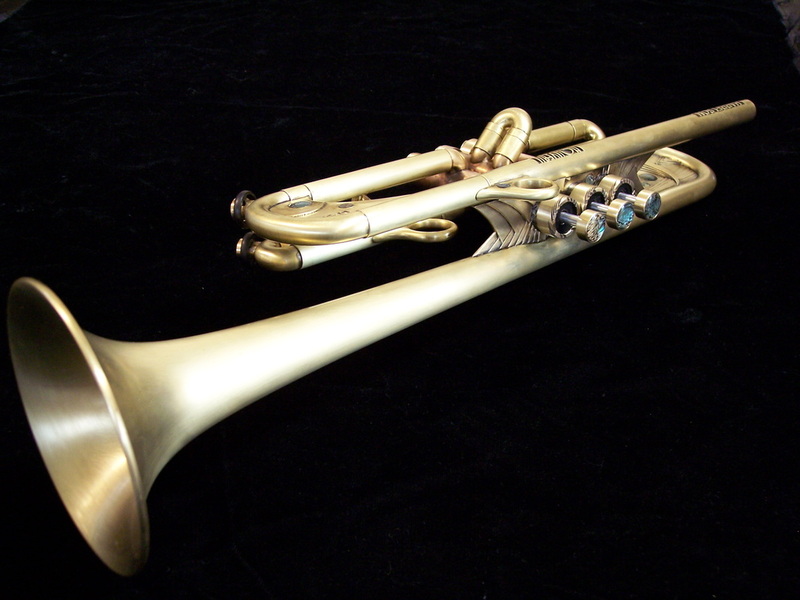 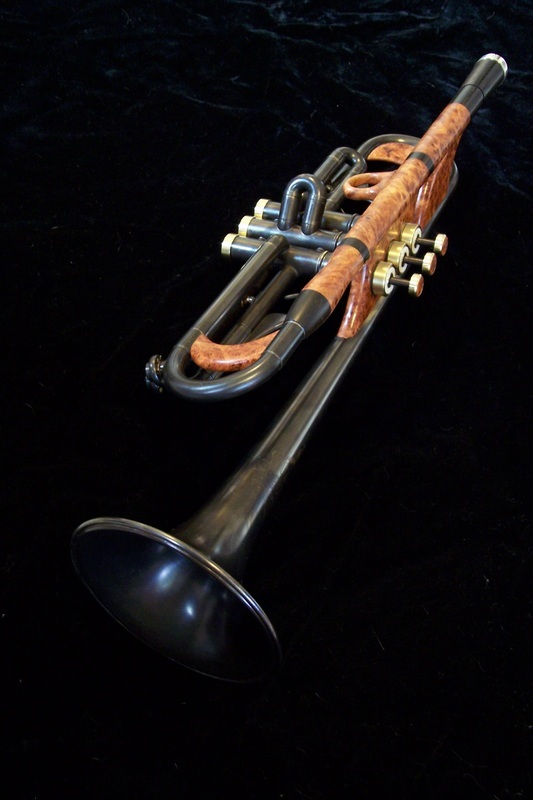 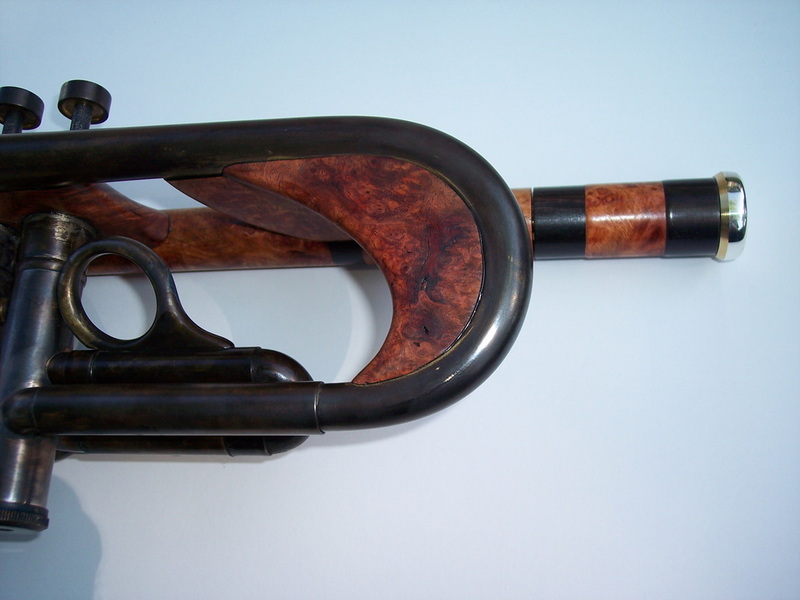 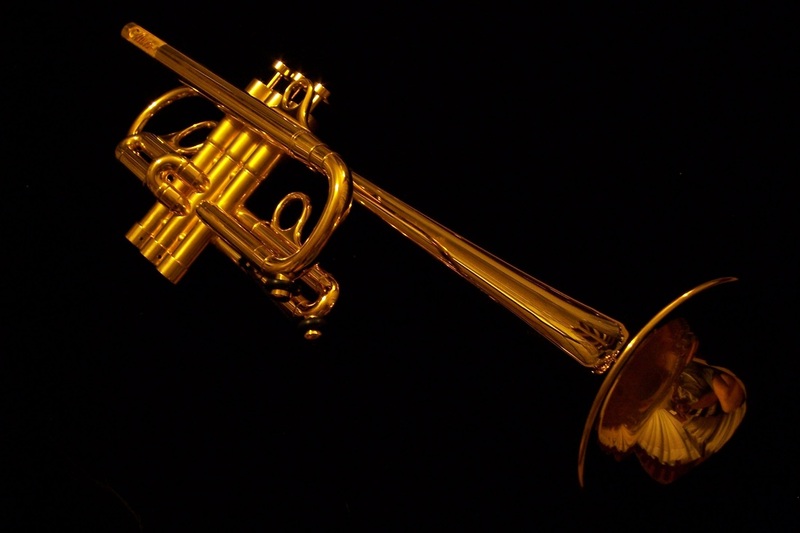 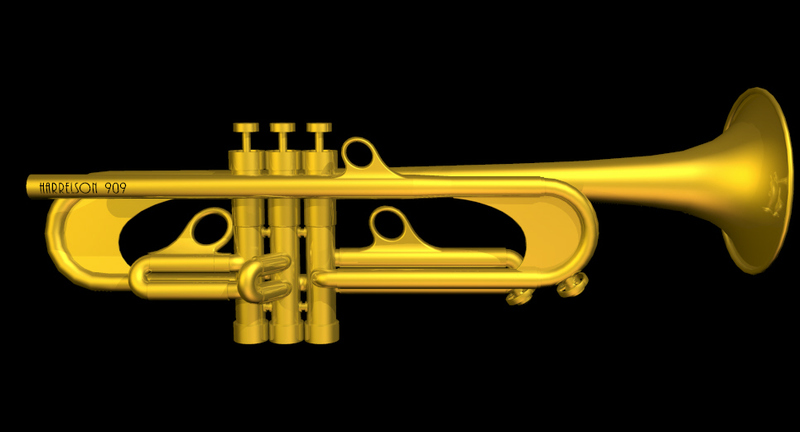 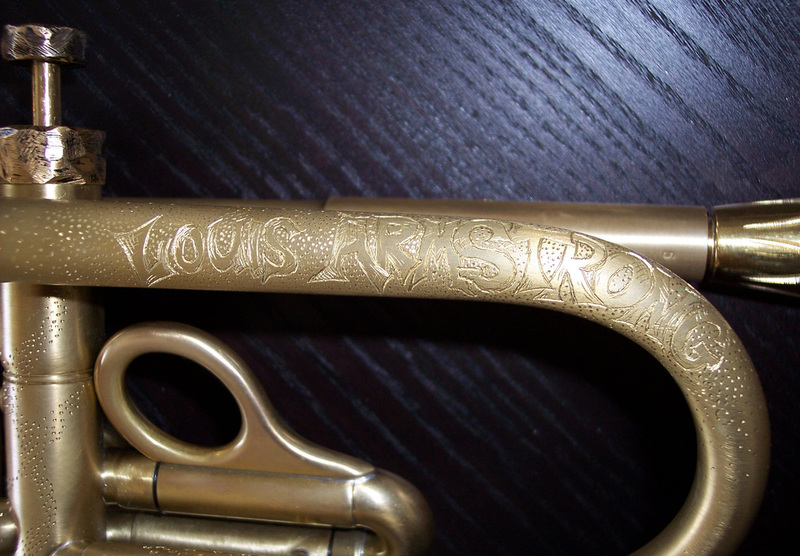 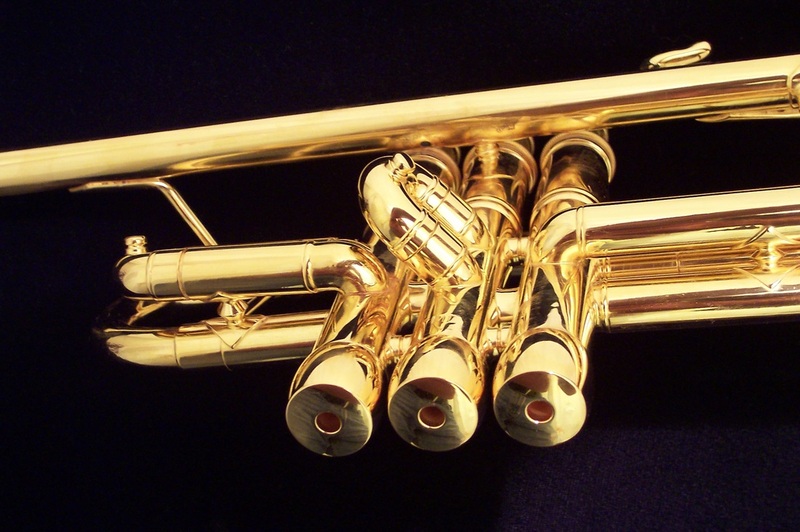 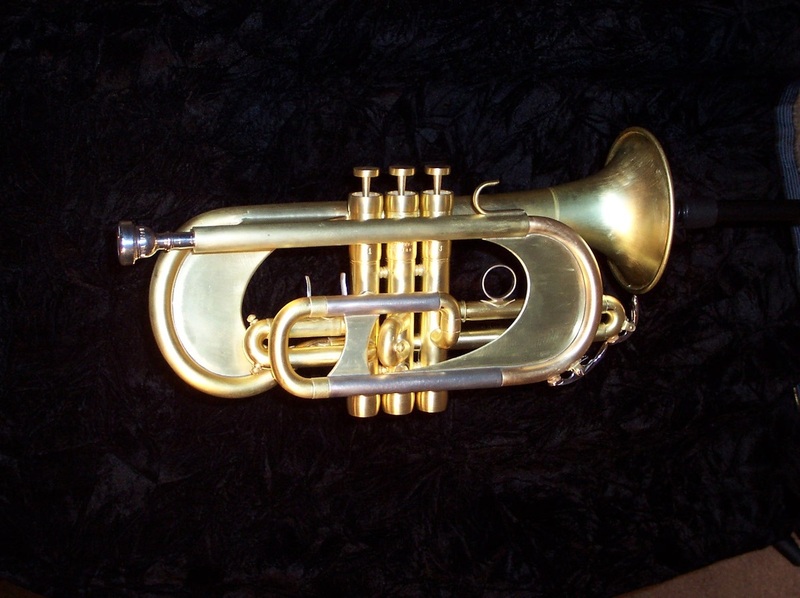 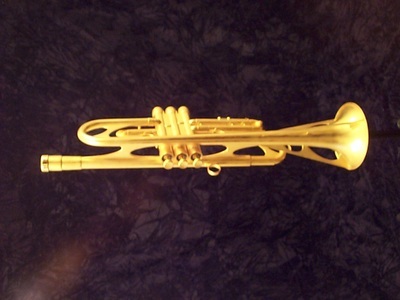 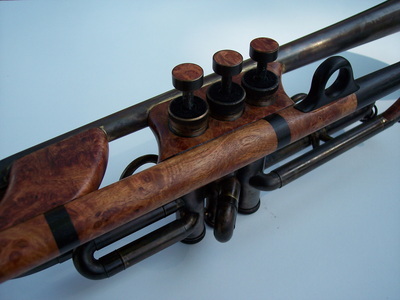 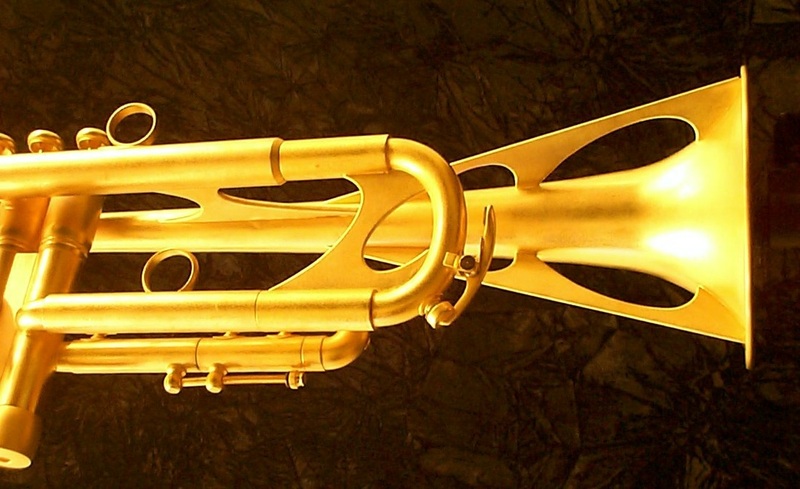 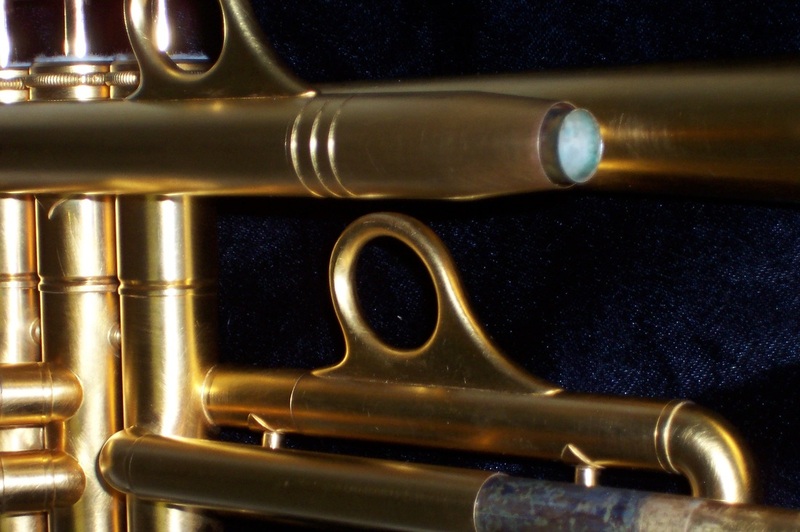 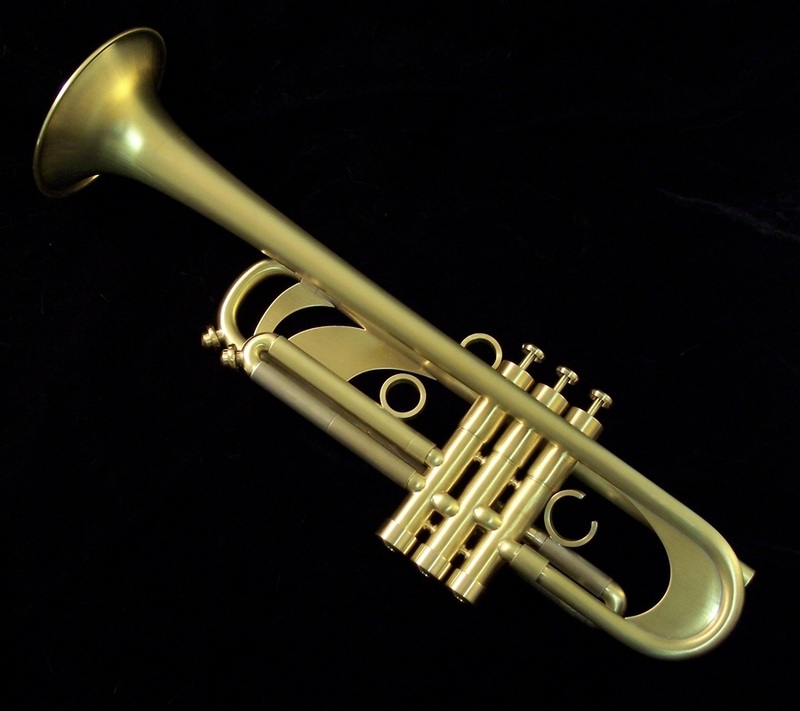 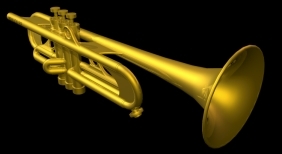 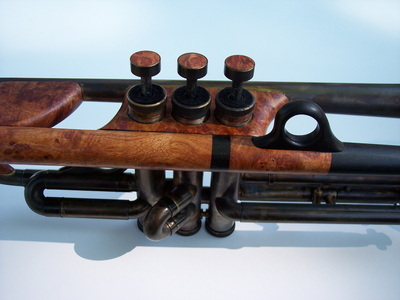 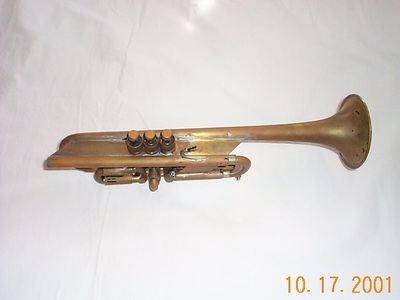 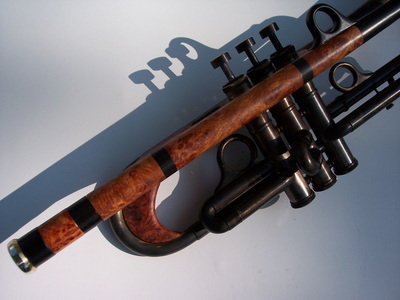 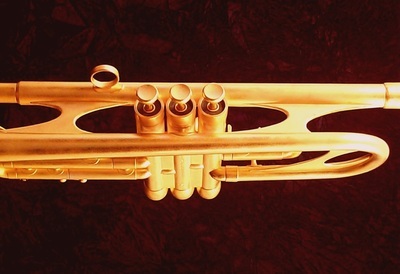 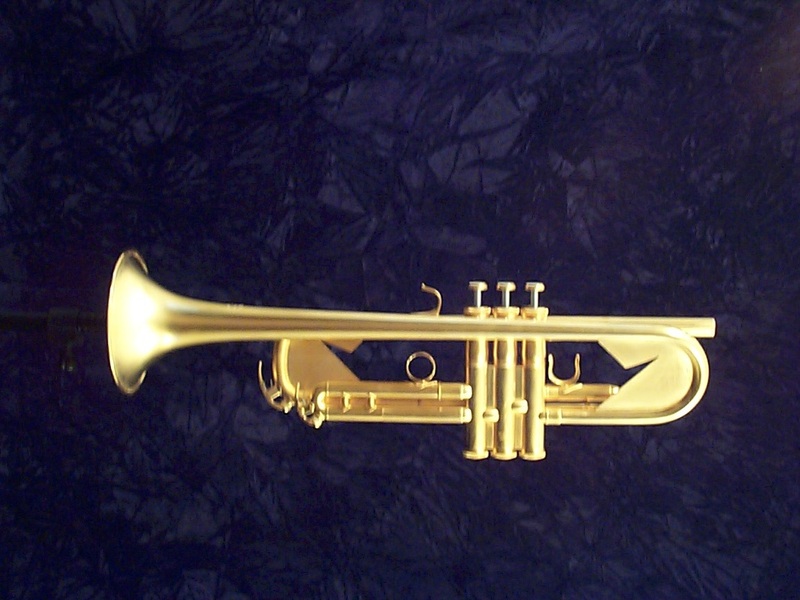 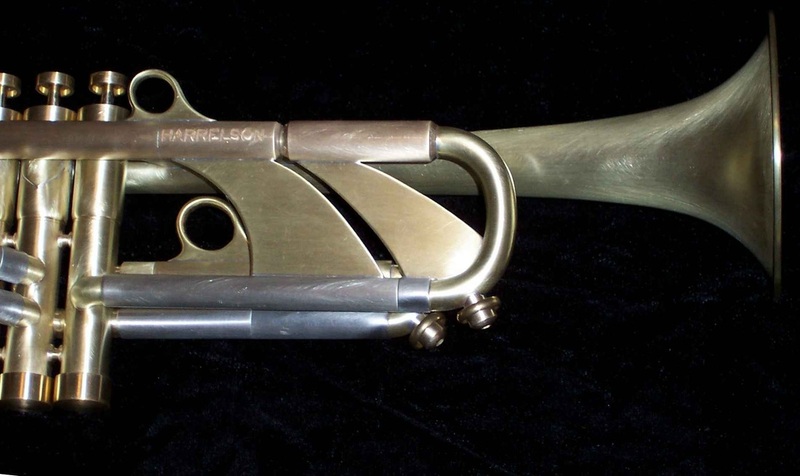 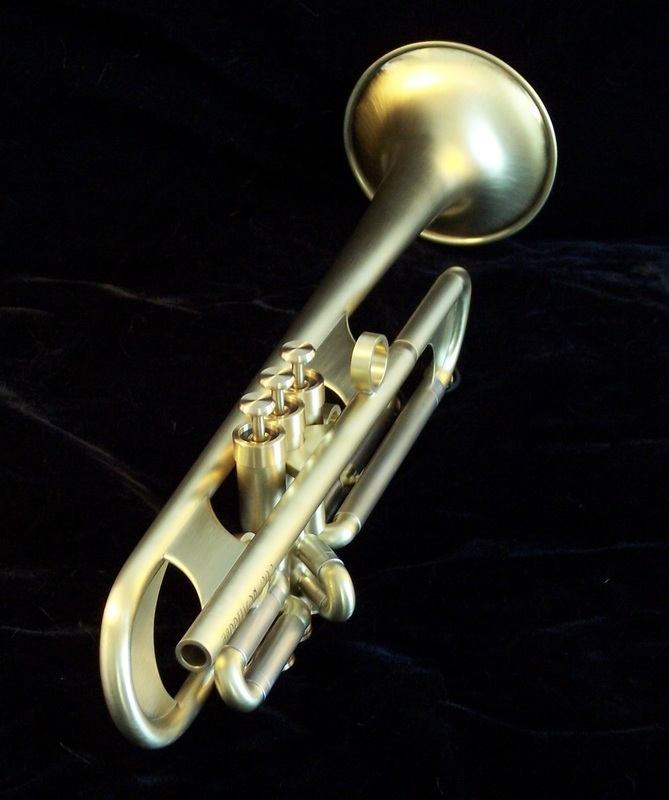 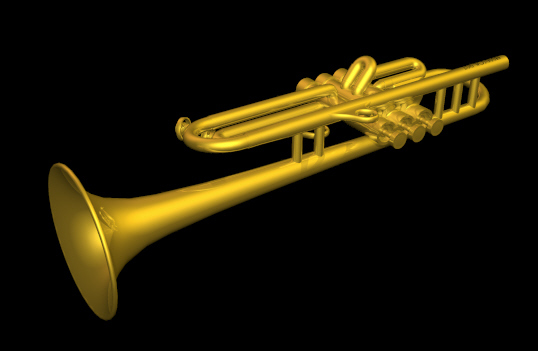 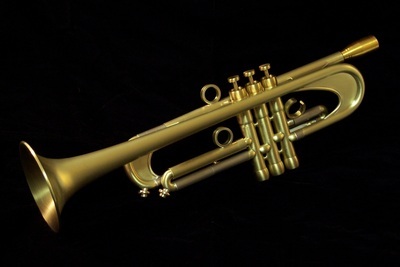 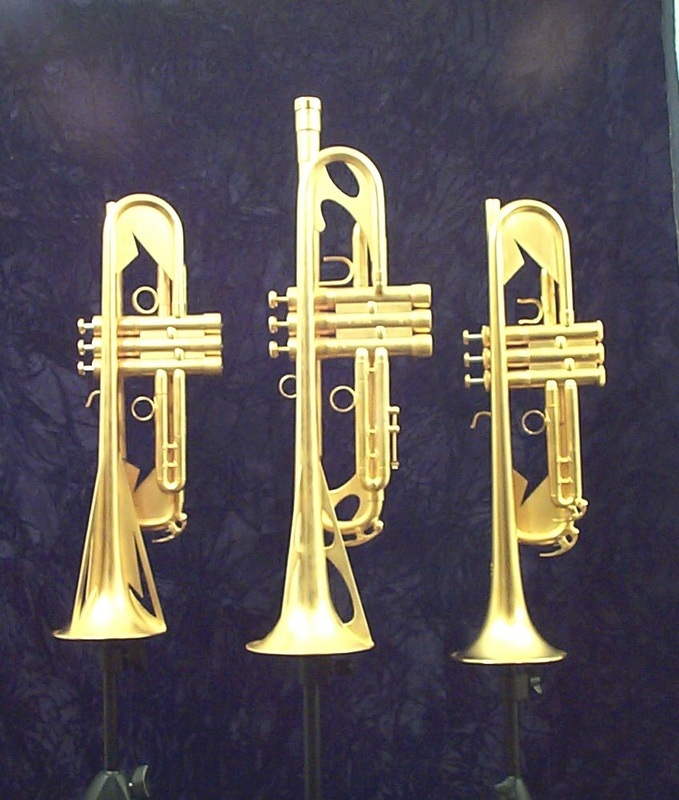 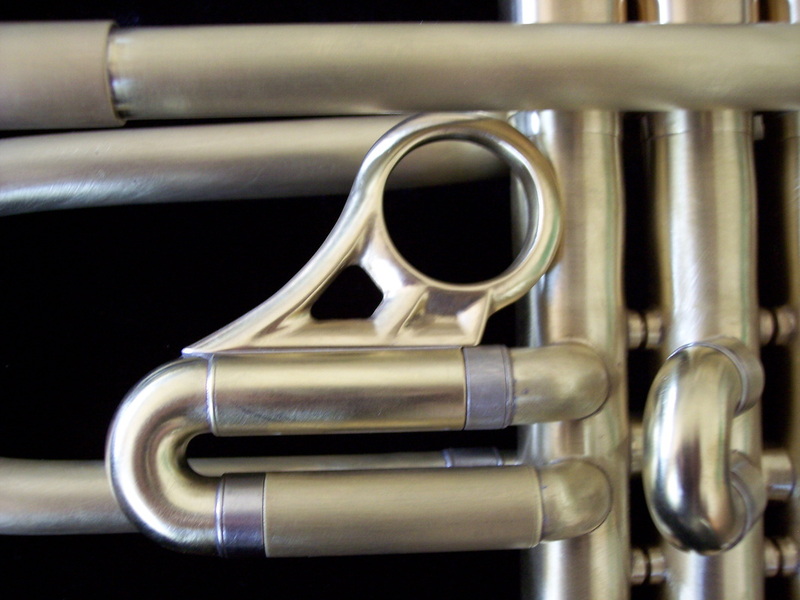 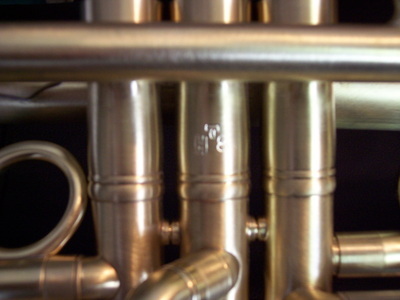 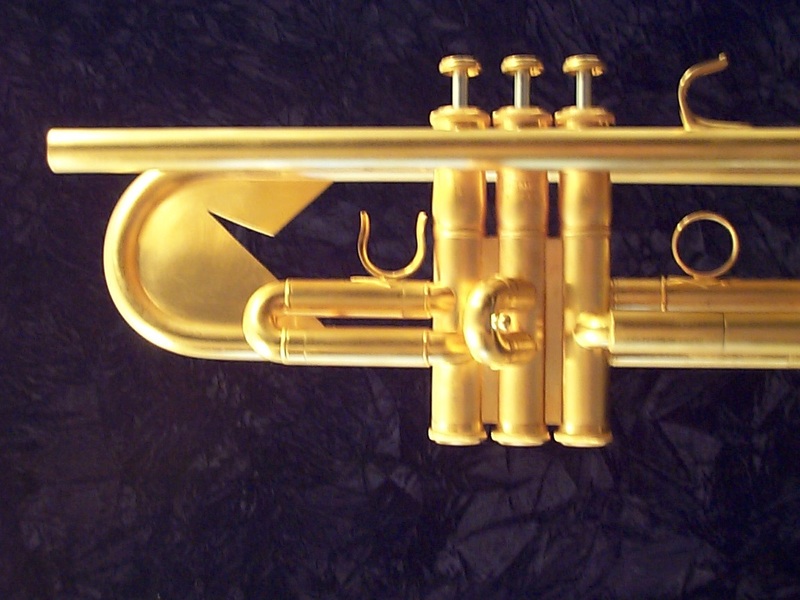 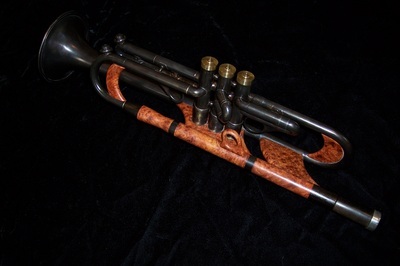 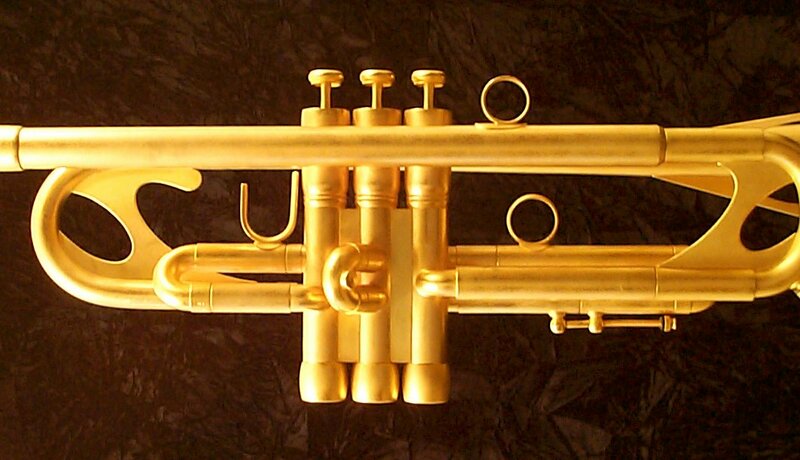 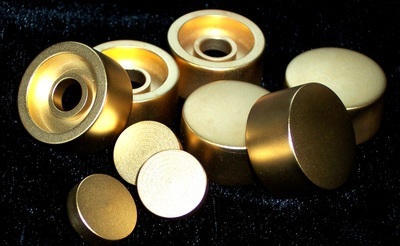 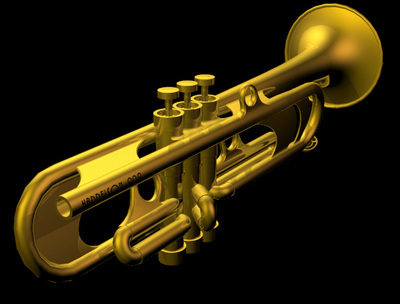 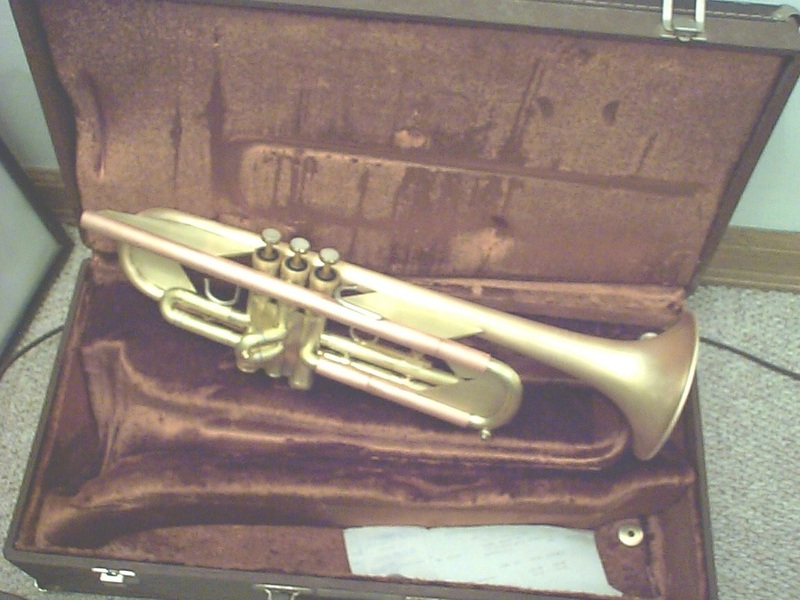 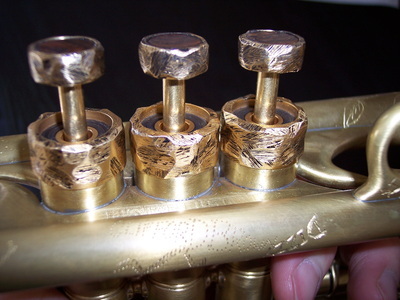 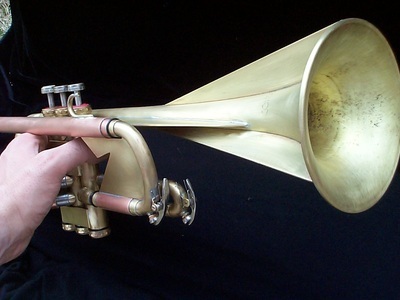 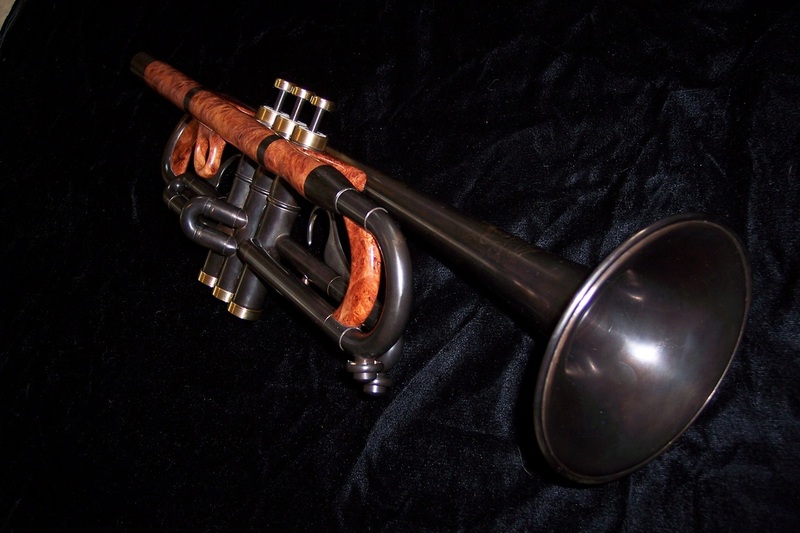 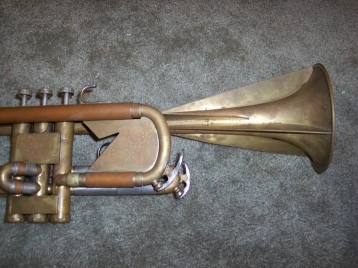 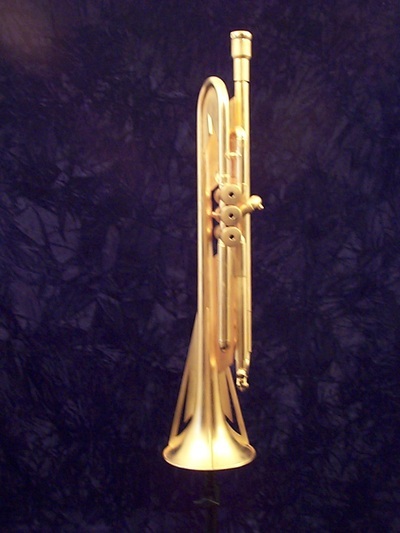 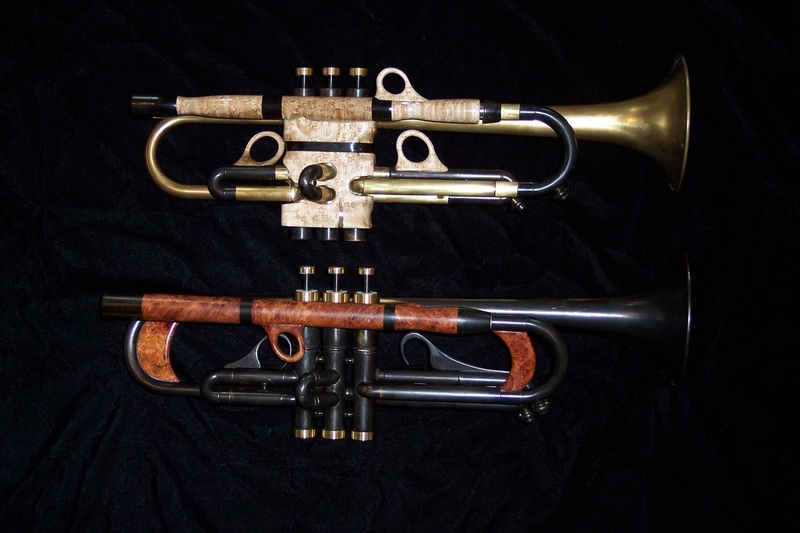 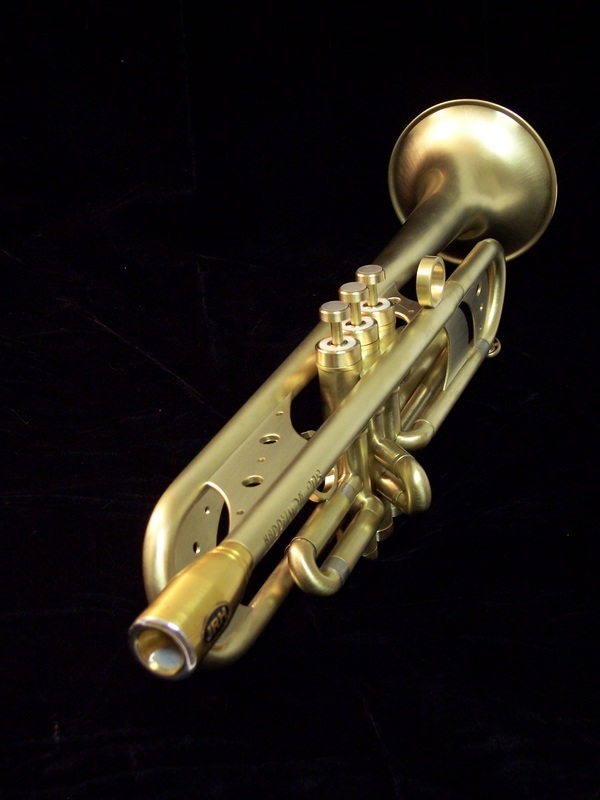 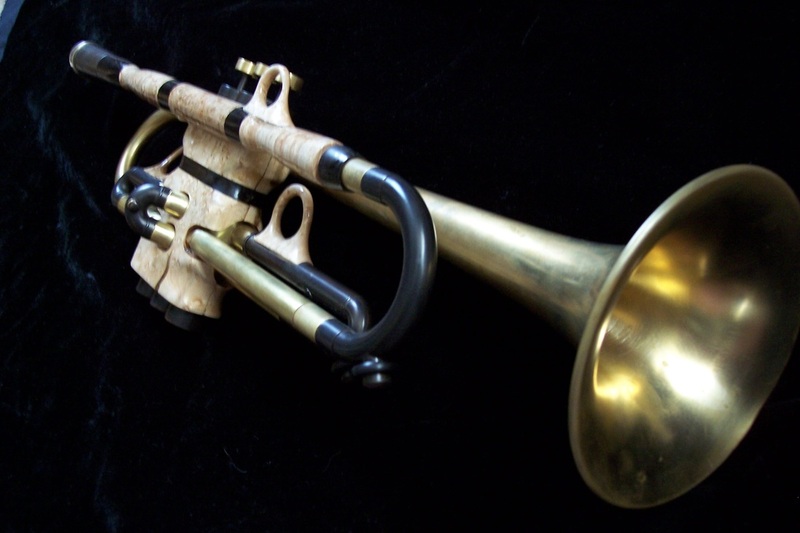 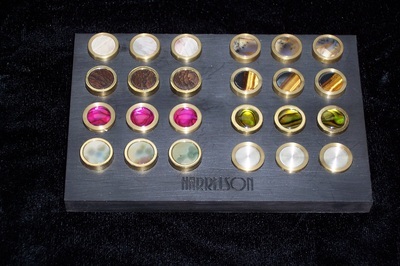 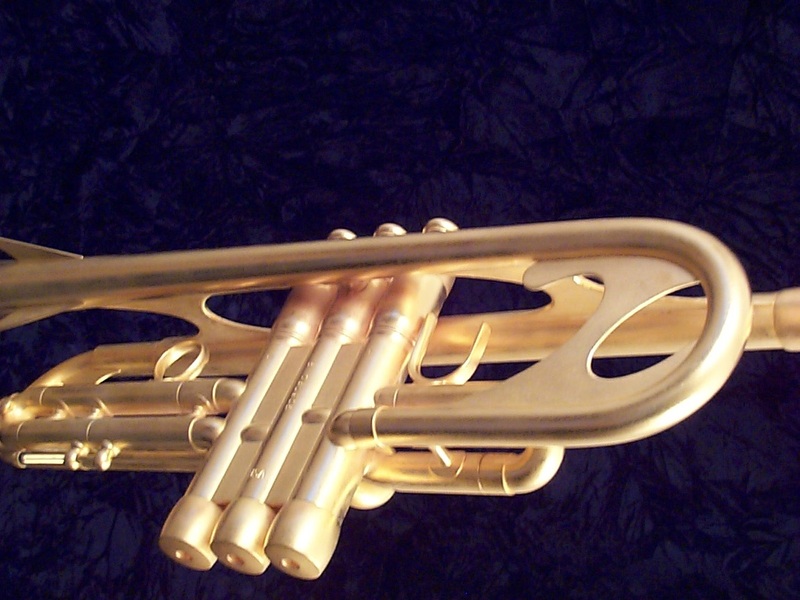 This explains why professional musicians of all musical genres call on Harrelson Trumpets to build their first truly custom trumpet or flugelhorn. 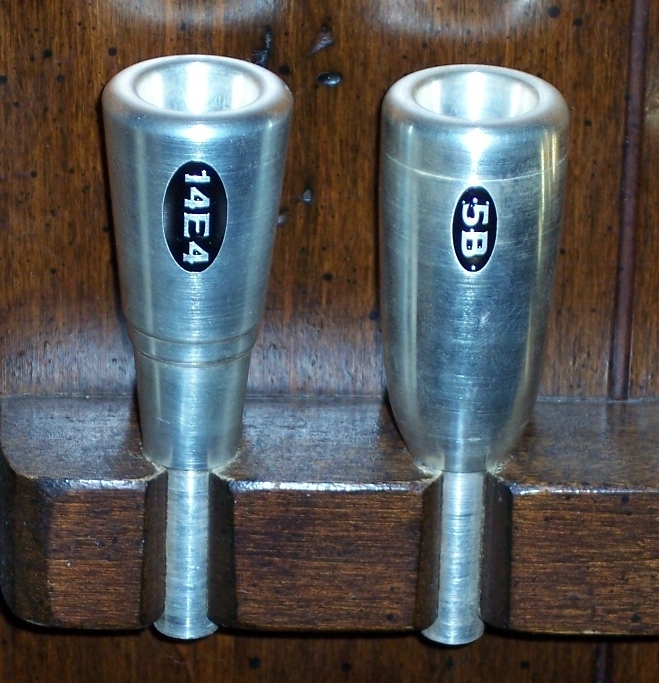 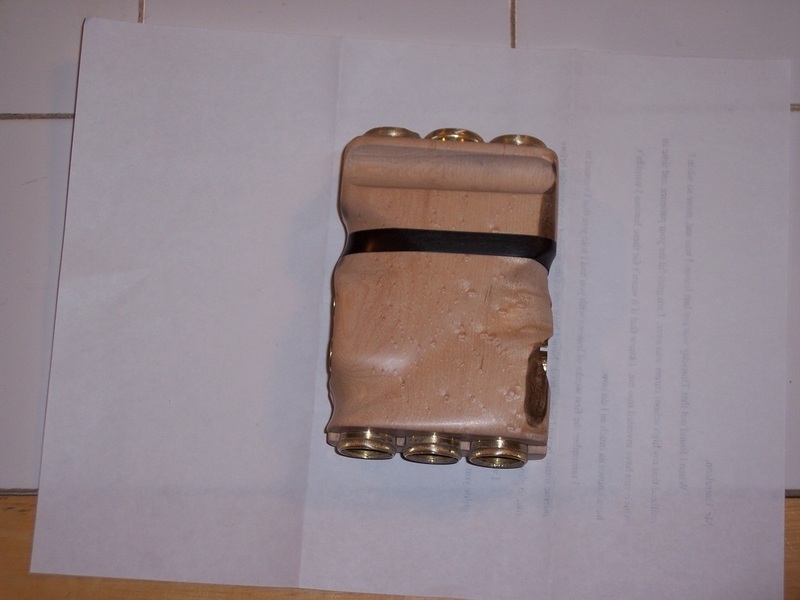 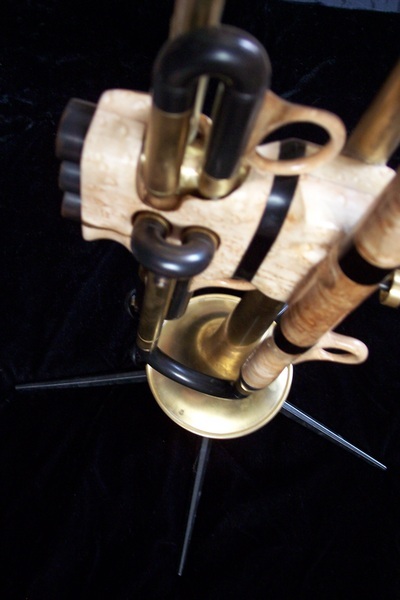 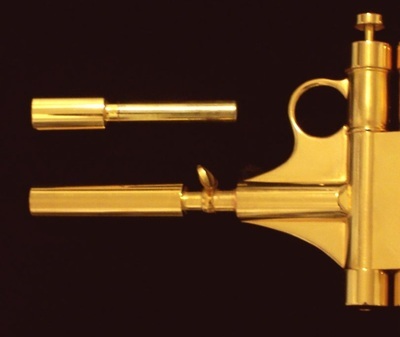 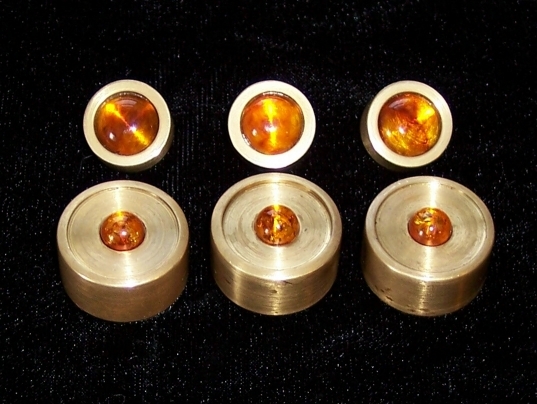 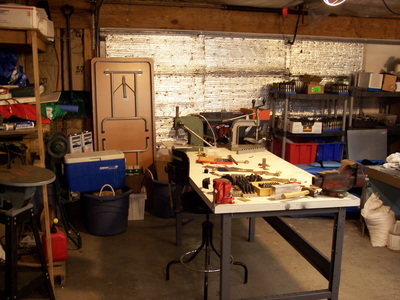 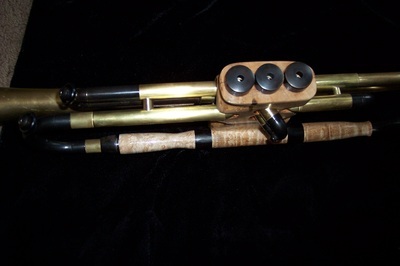 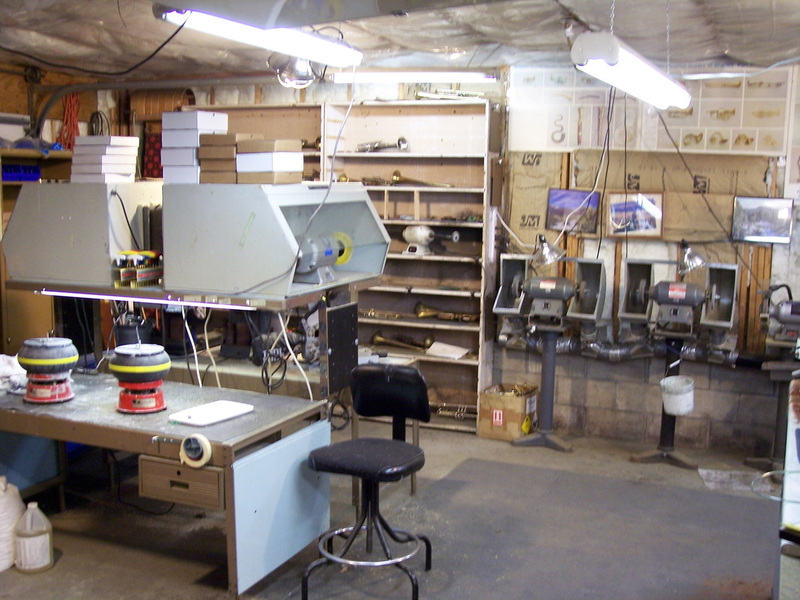 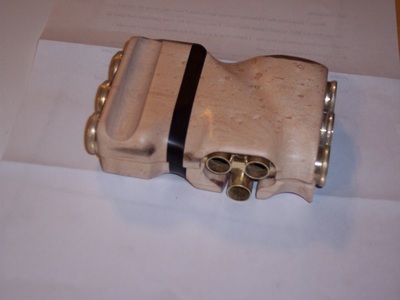 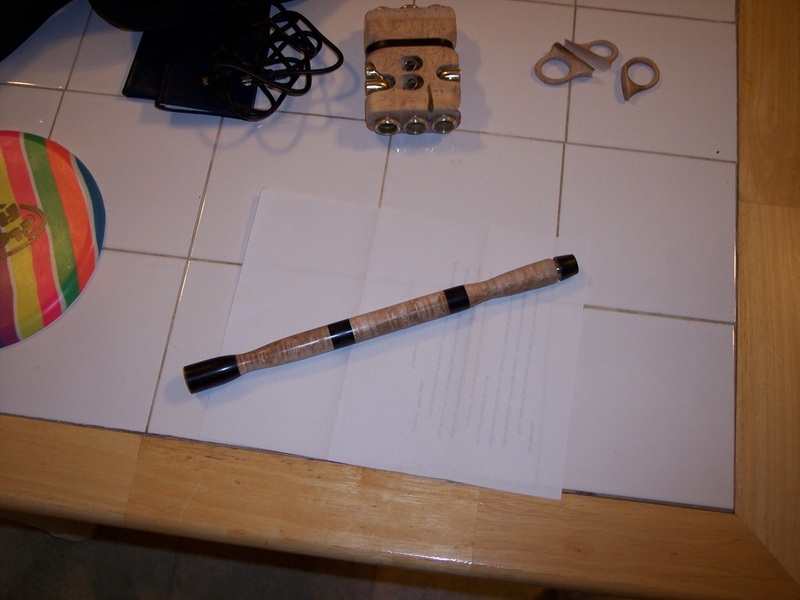 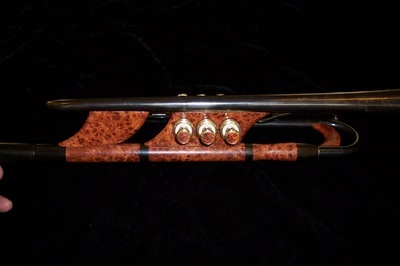 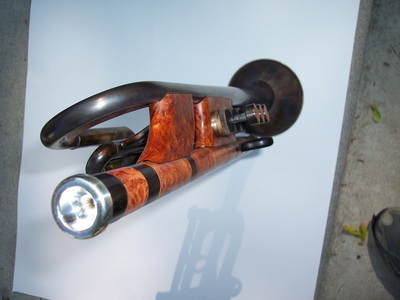 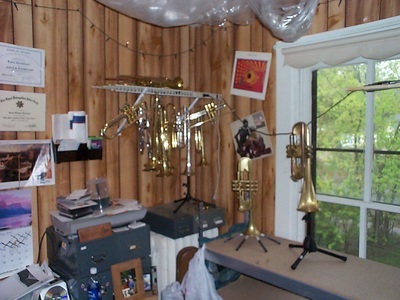 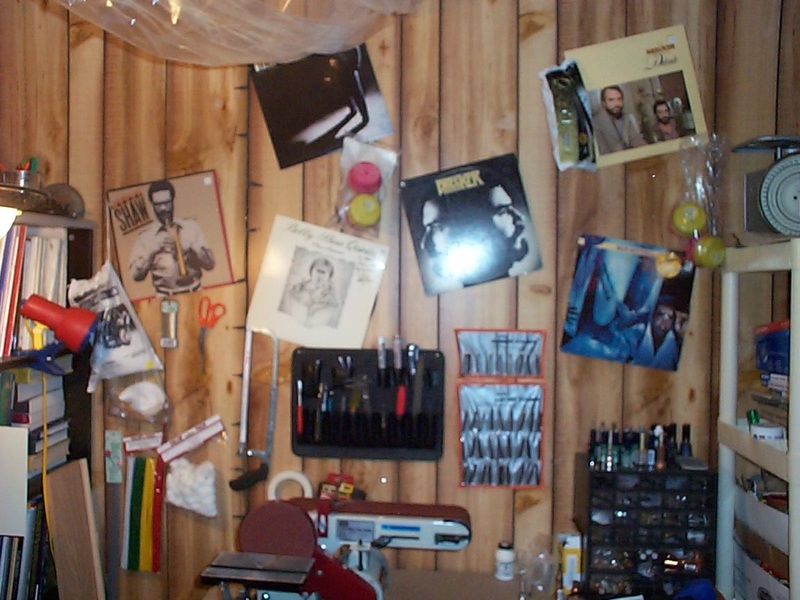 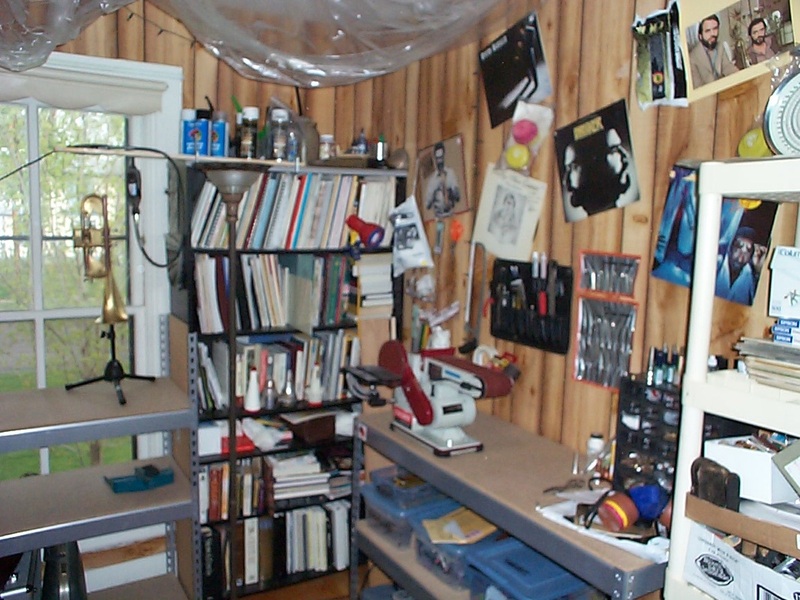 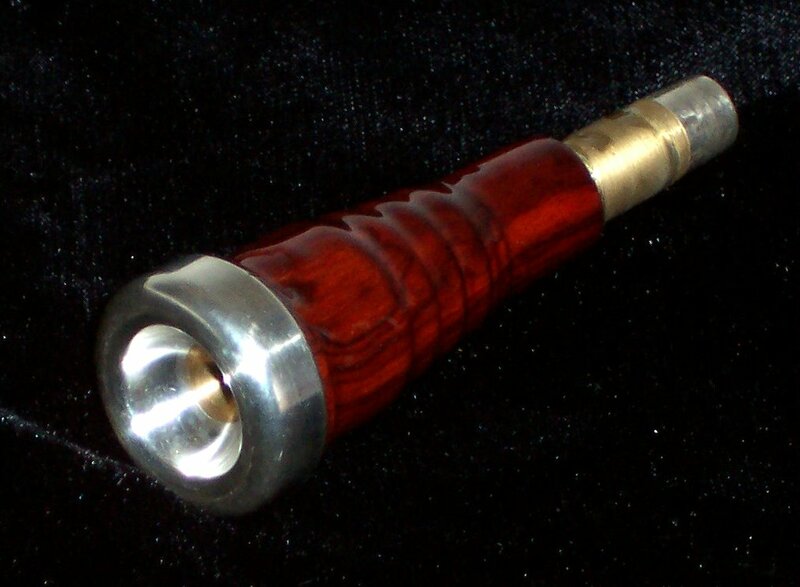 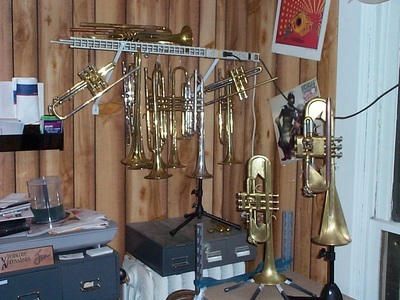 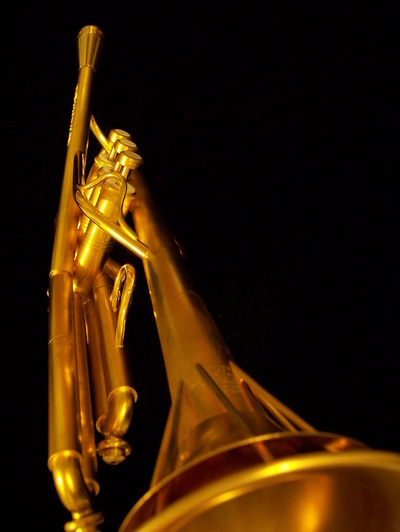 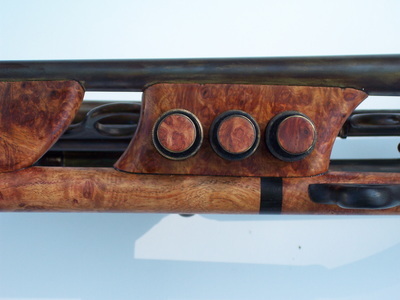 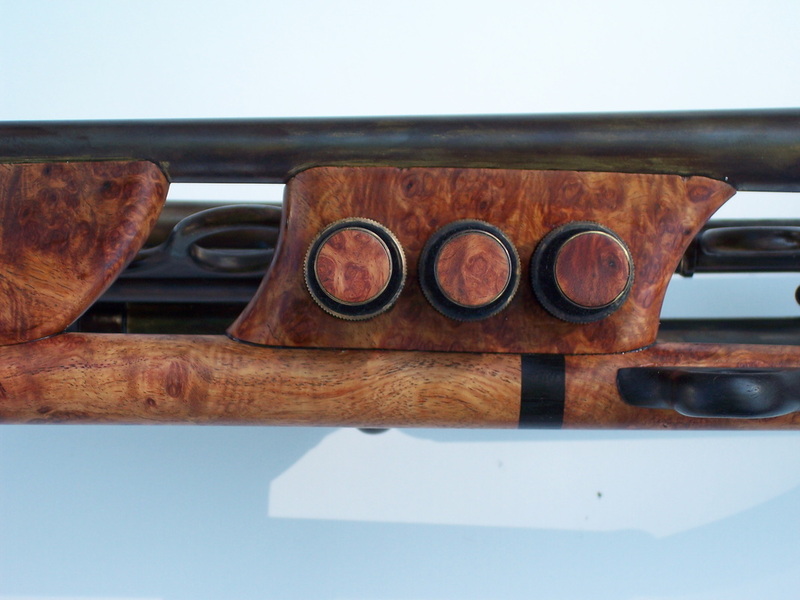 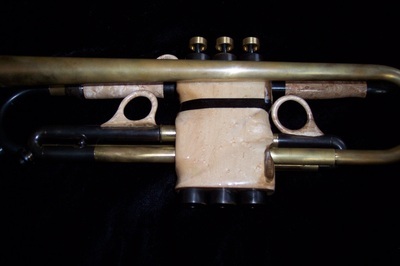 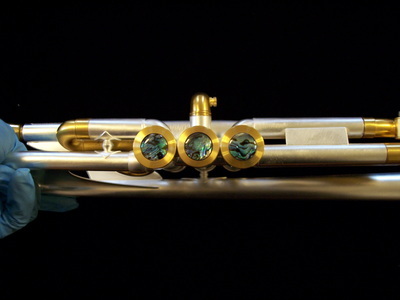 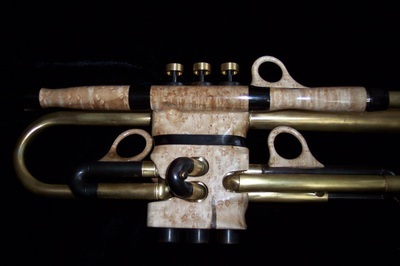 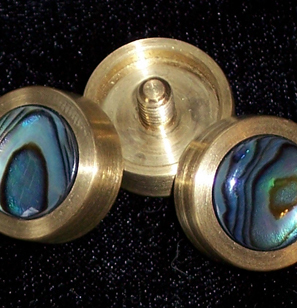 The following gallery is a fraction of the hundreds of experimental instruments built over this eight year period. 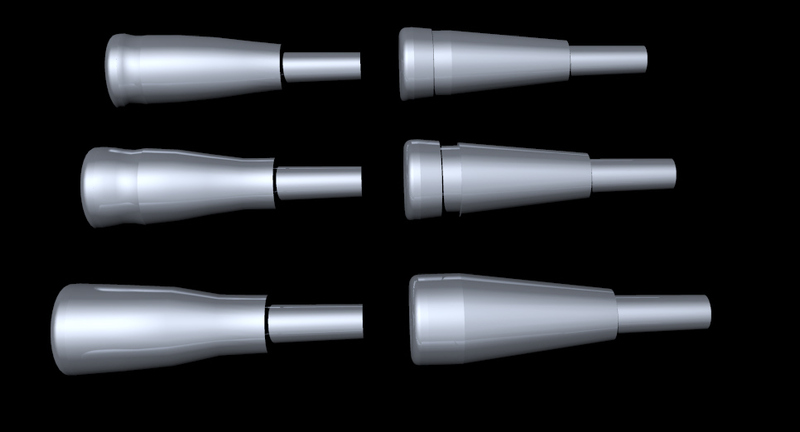 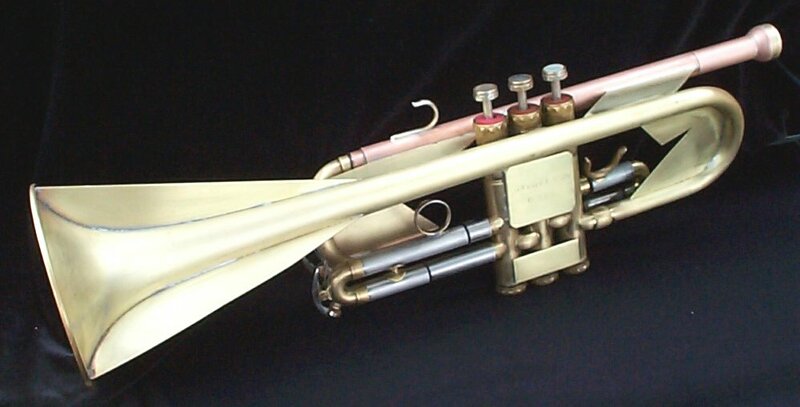 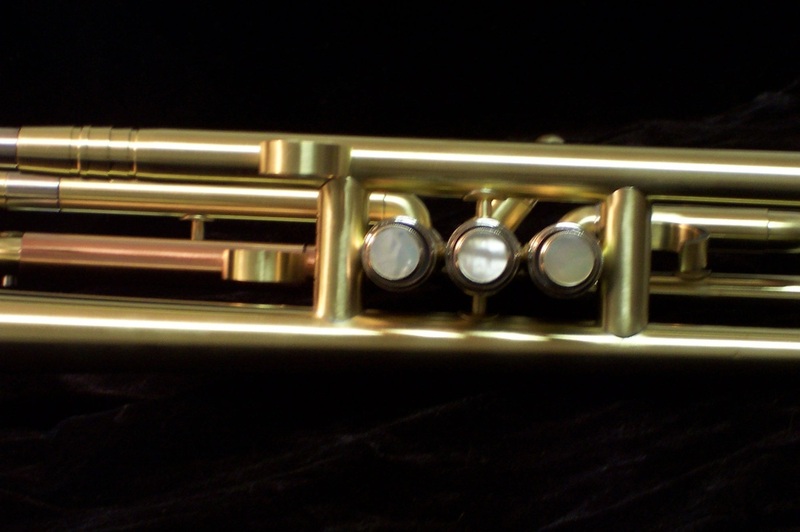 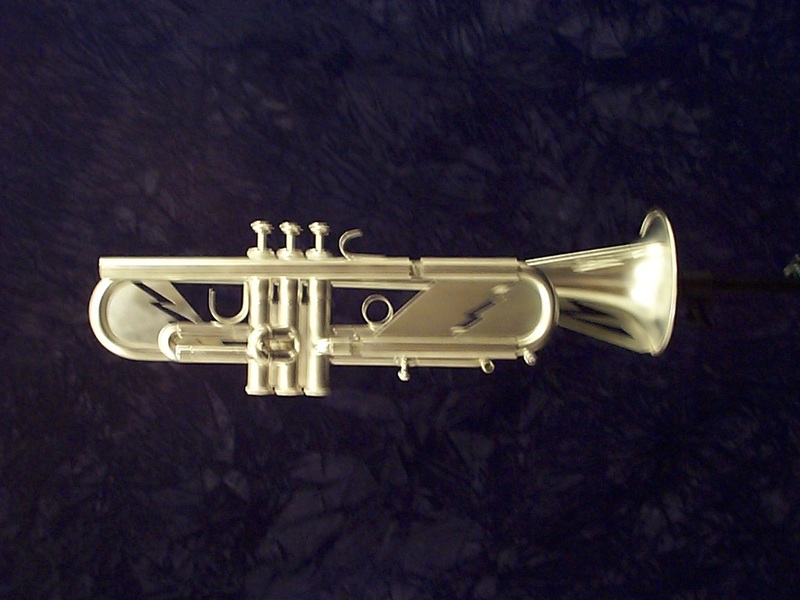 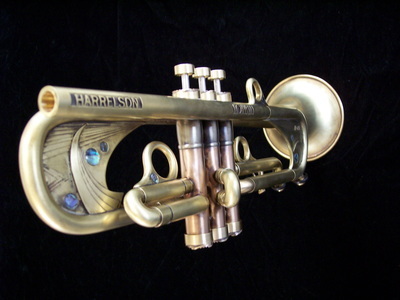 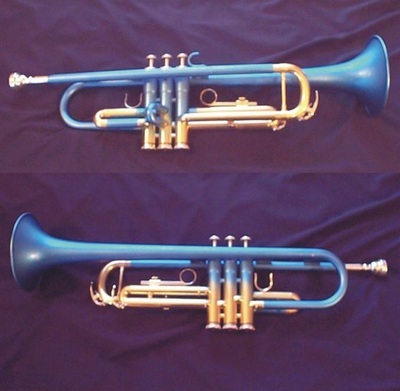 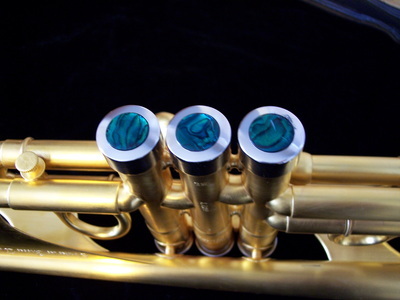 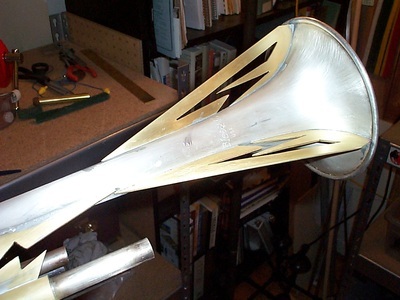 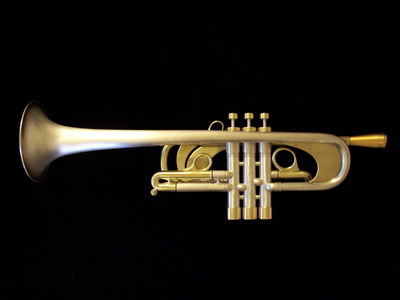 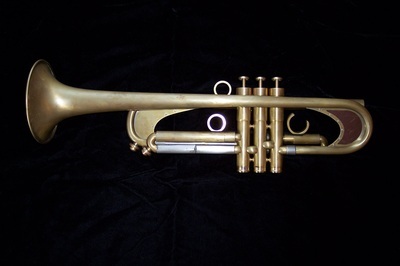 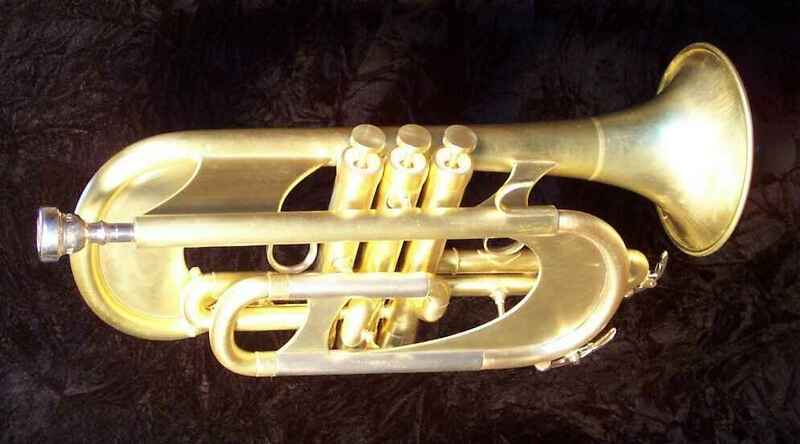 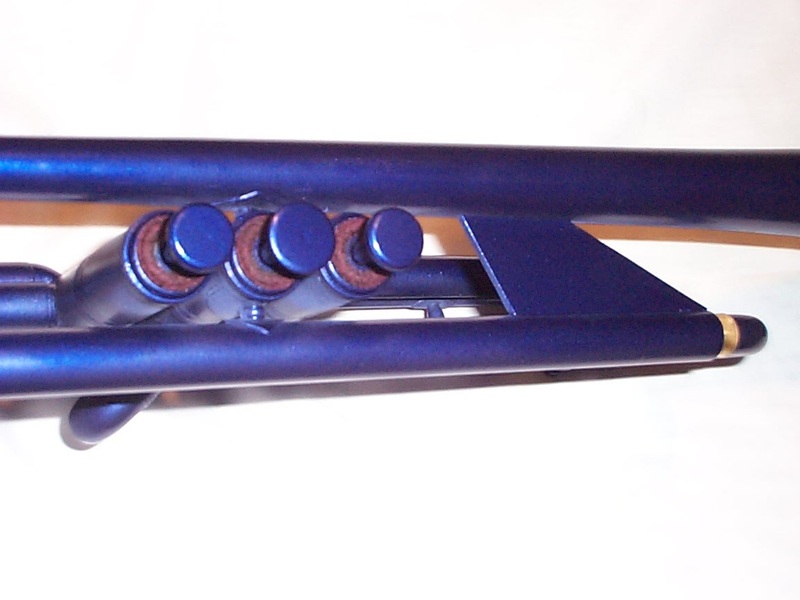 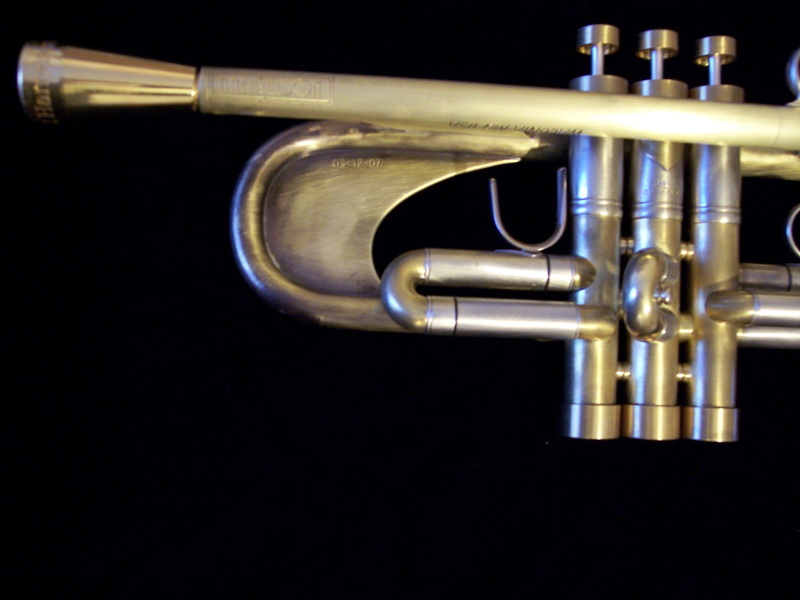 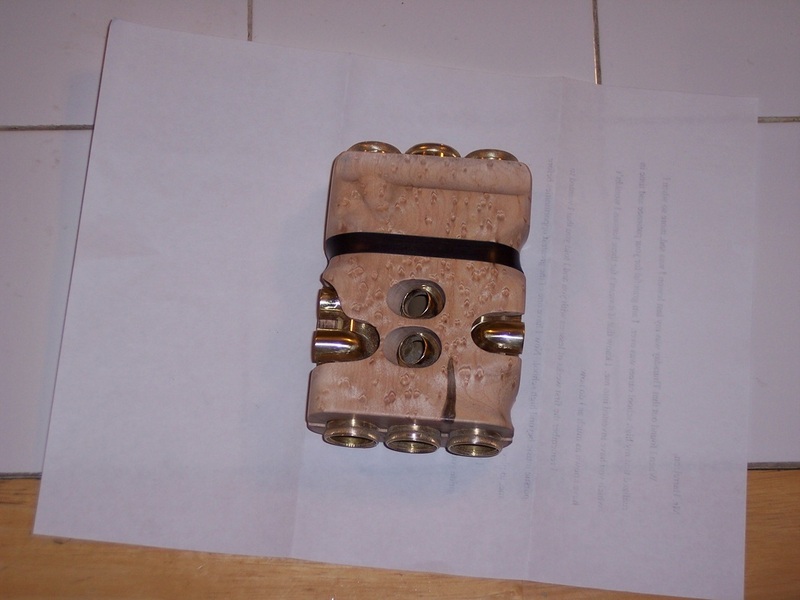 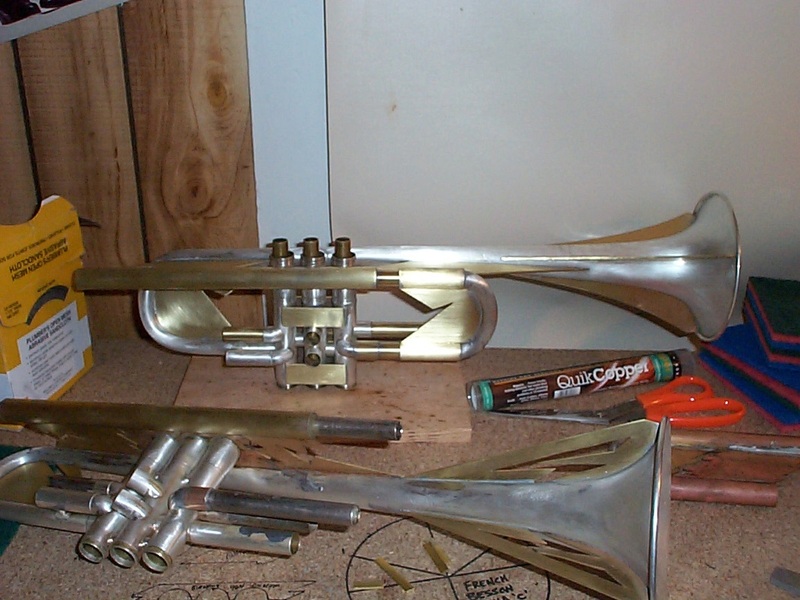 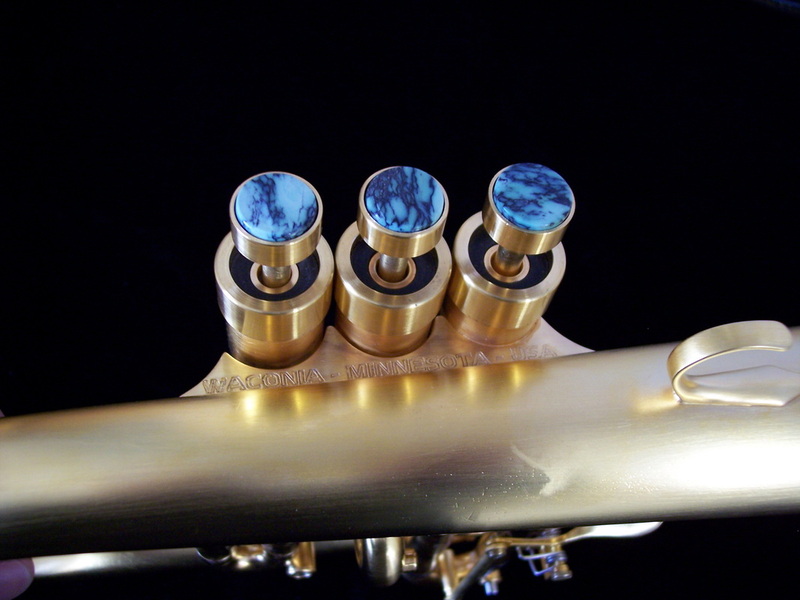 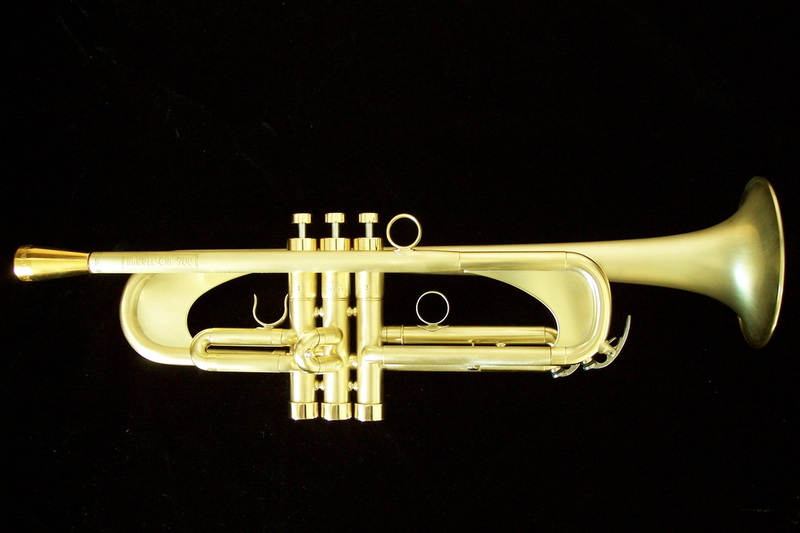 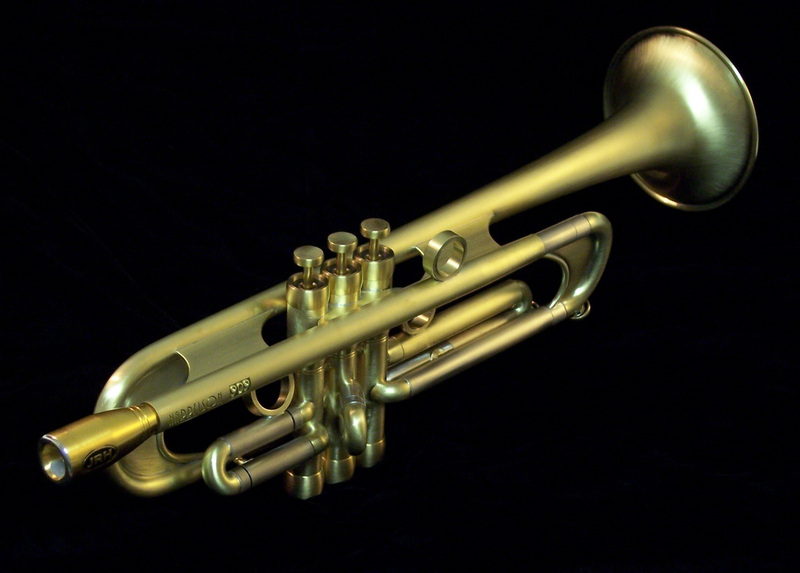 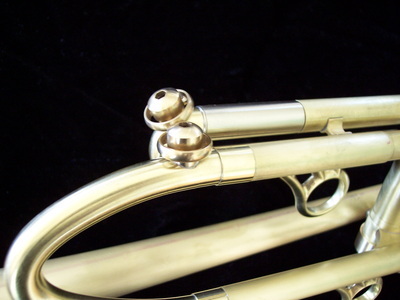 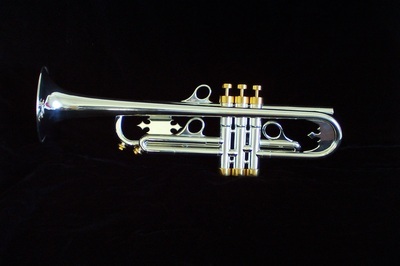 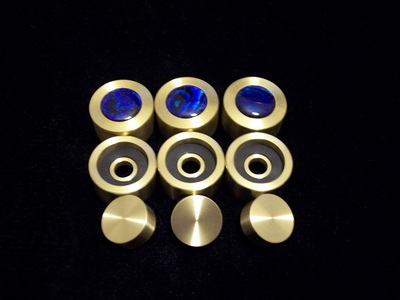 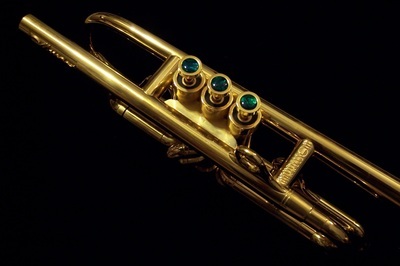 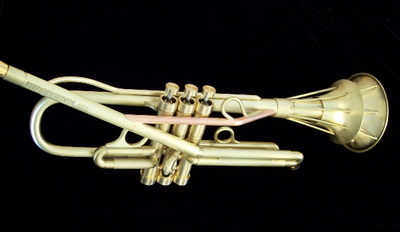 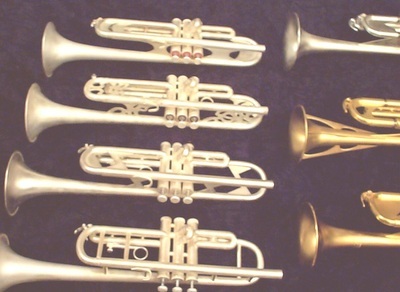 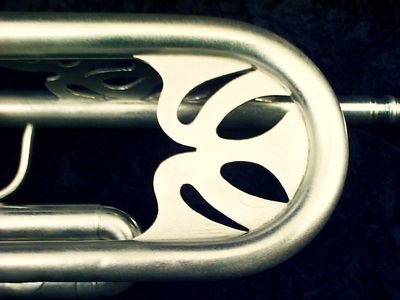 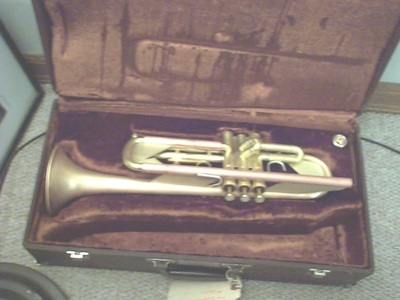 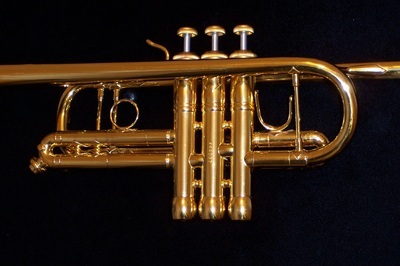 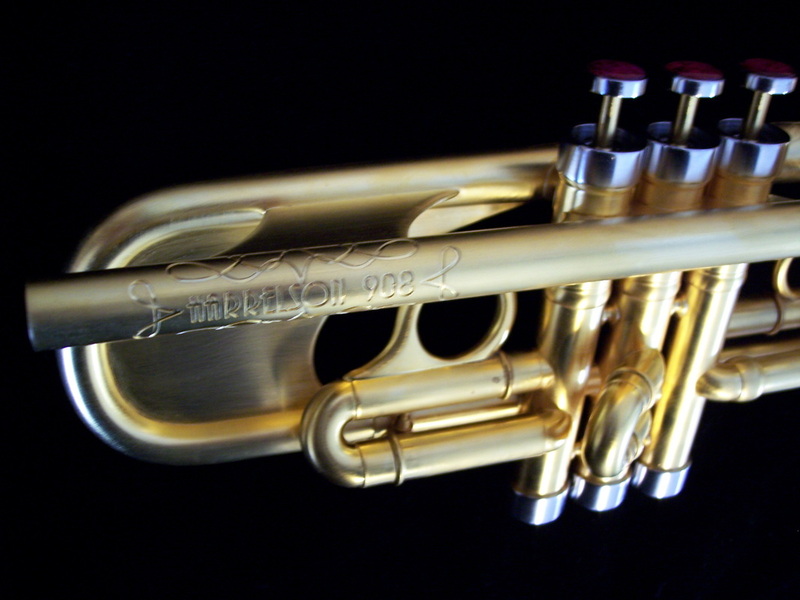 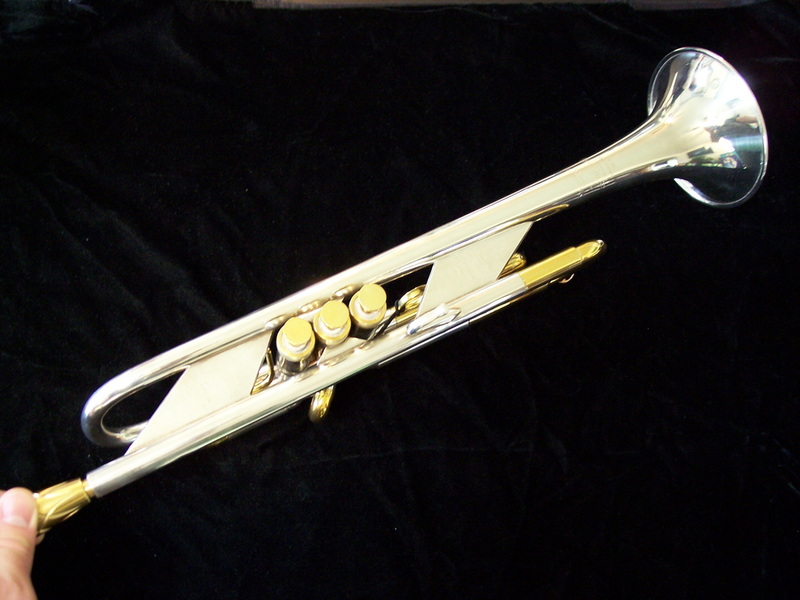 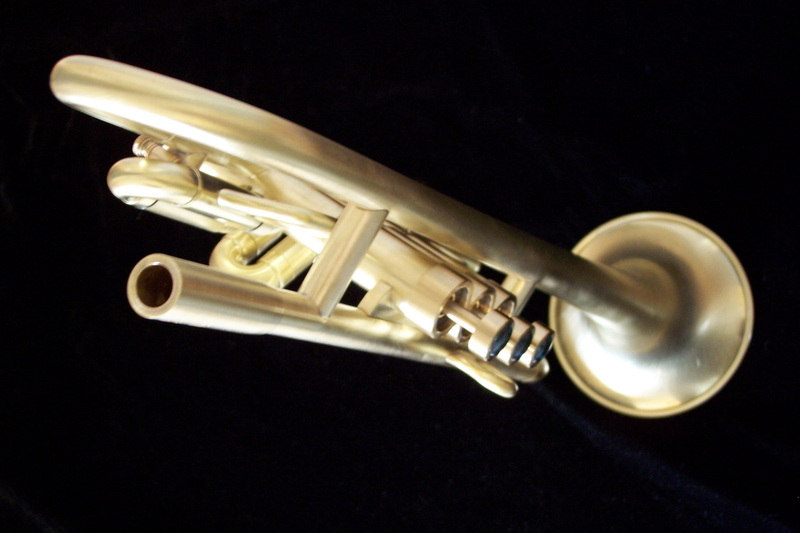 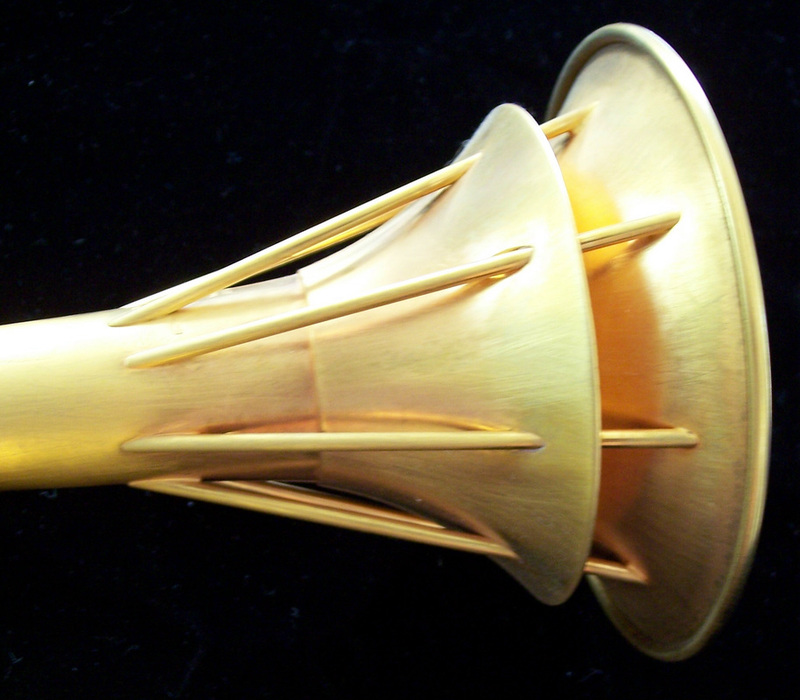 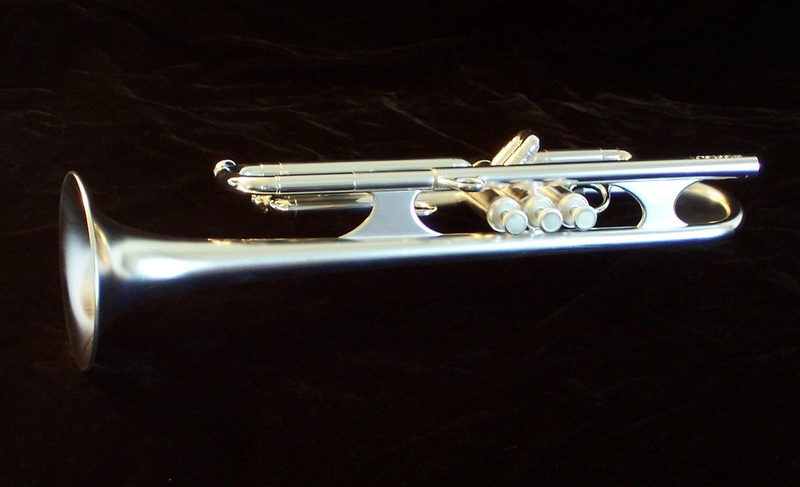 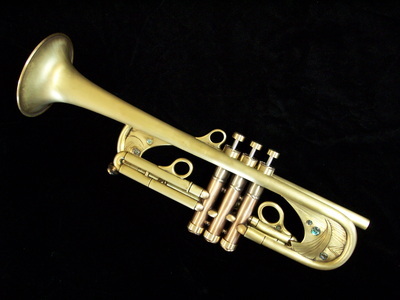 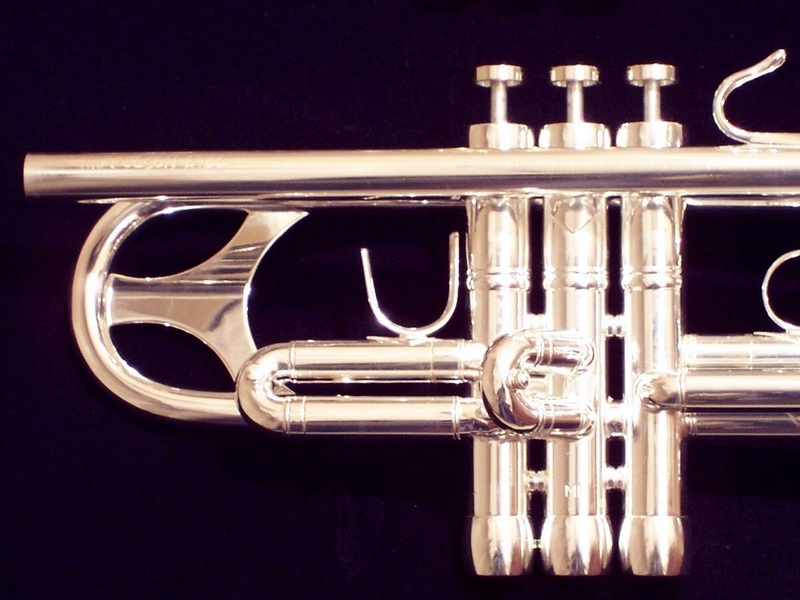 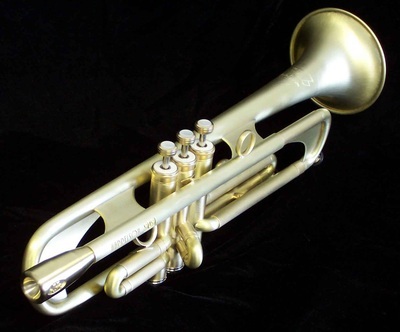 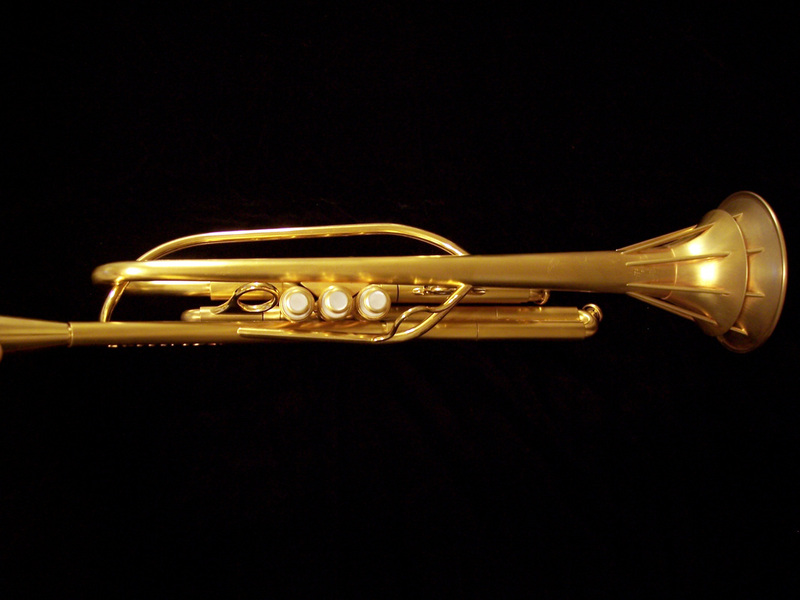 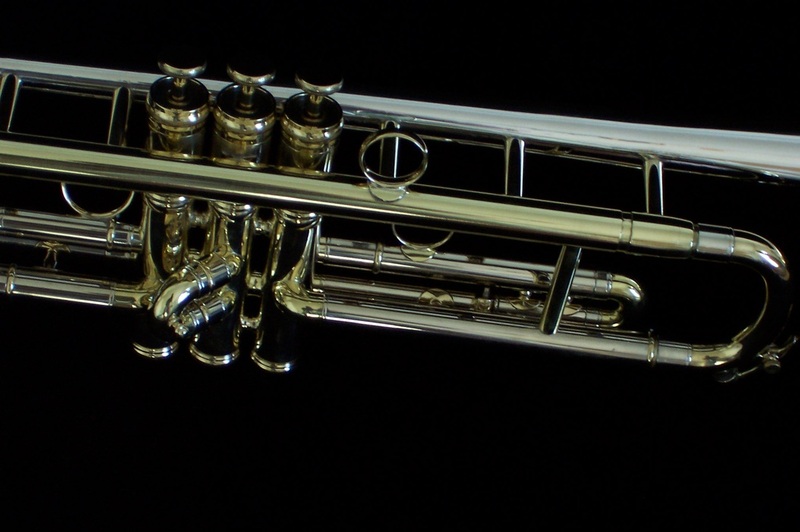 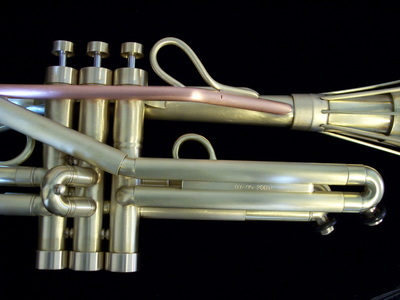 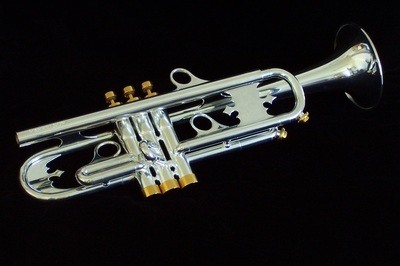 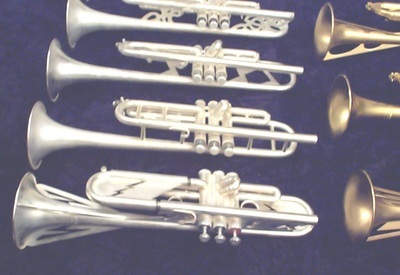 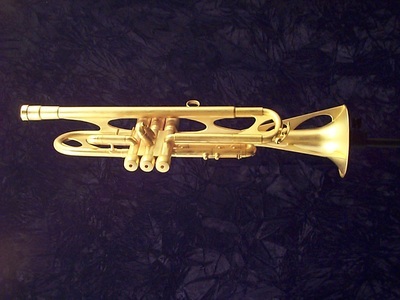 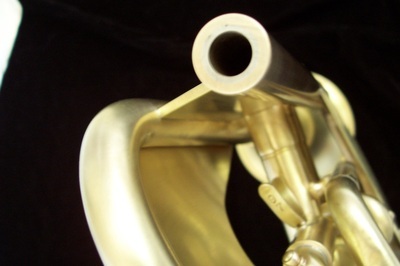 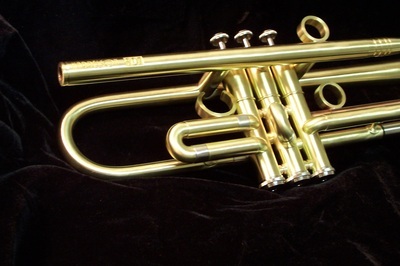 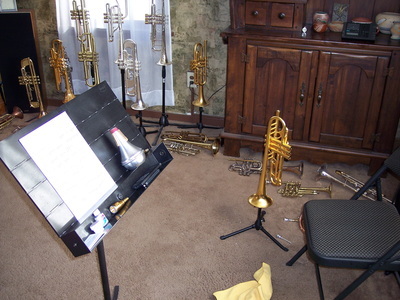 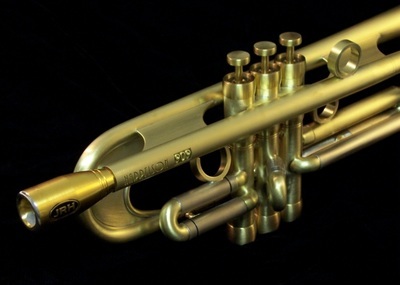 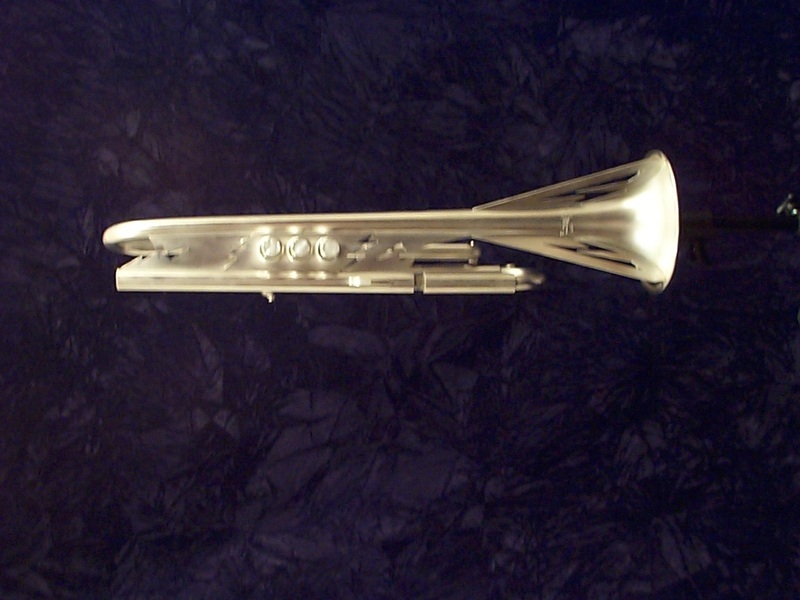 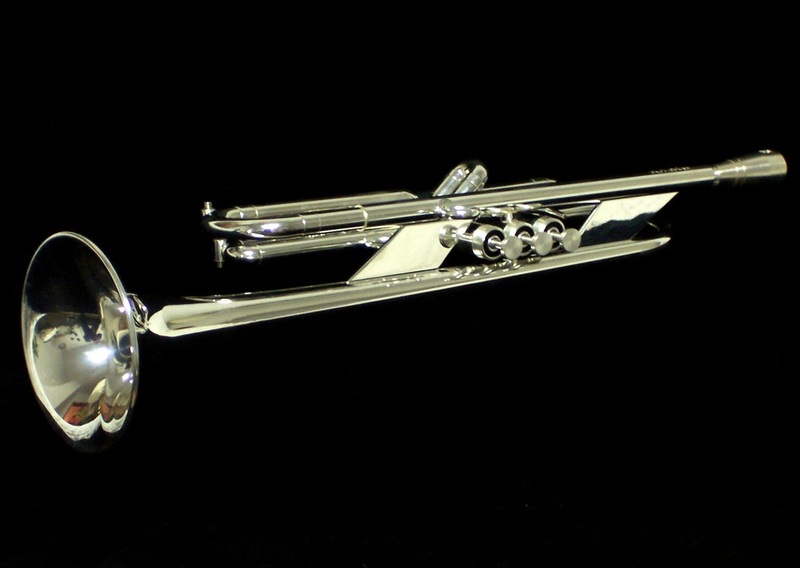 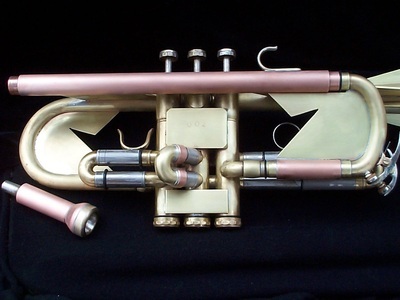 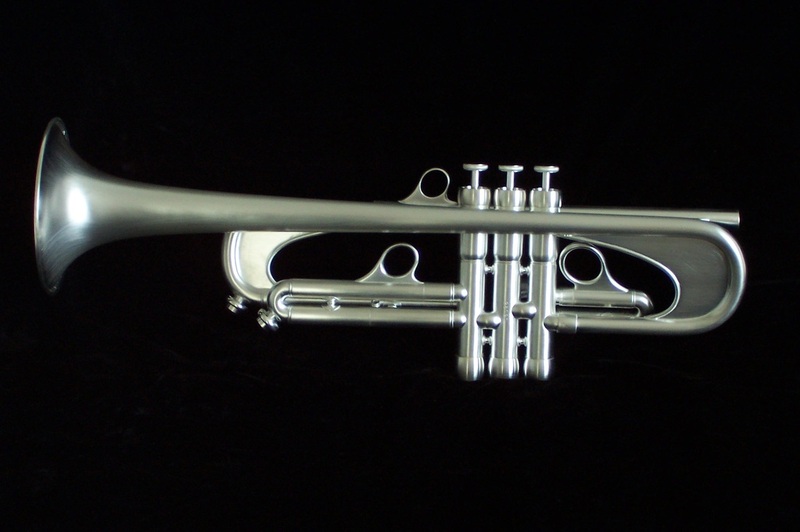 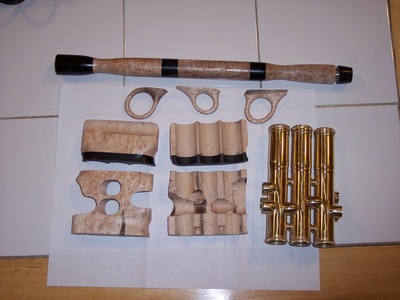 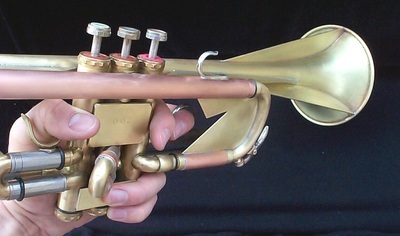 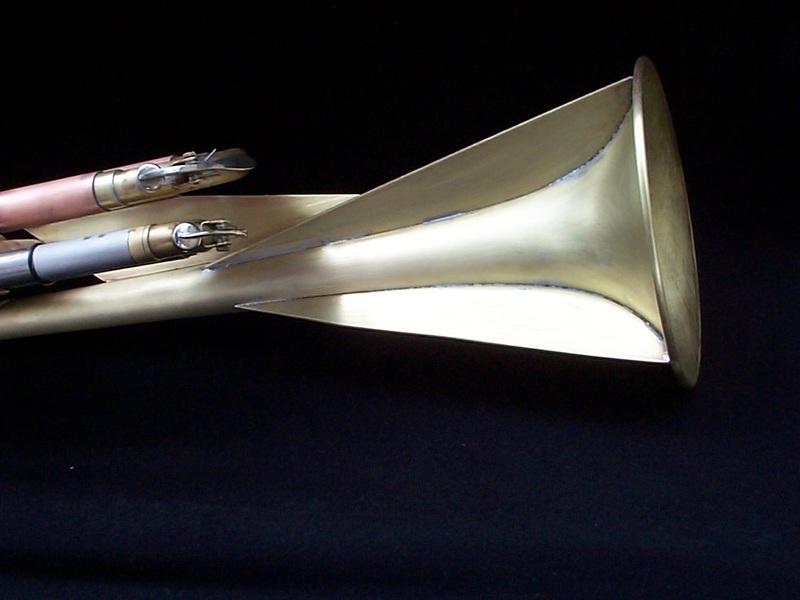 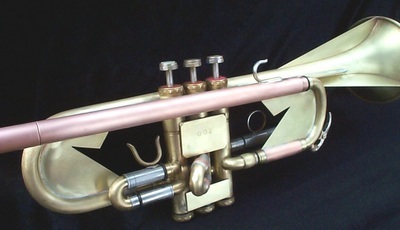 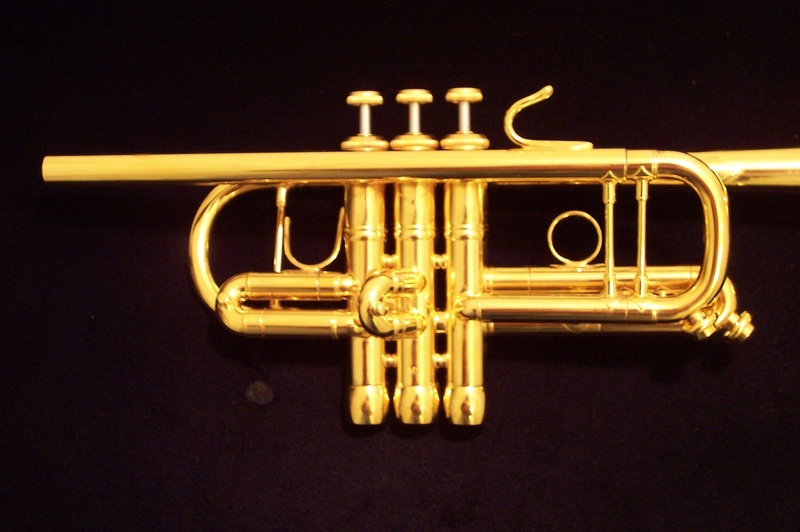 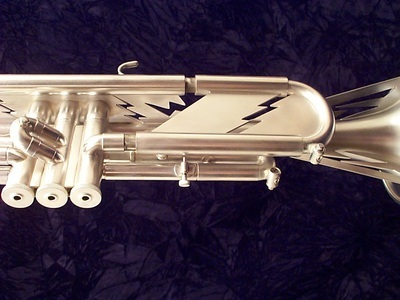 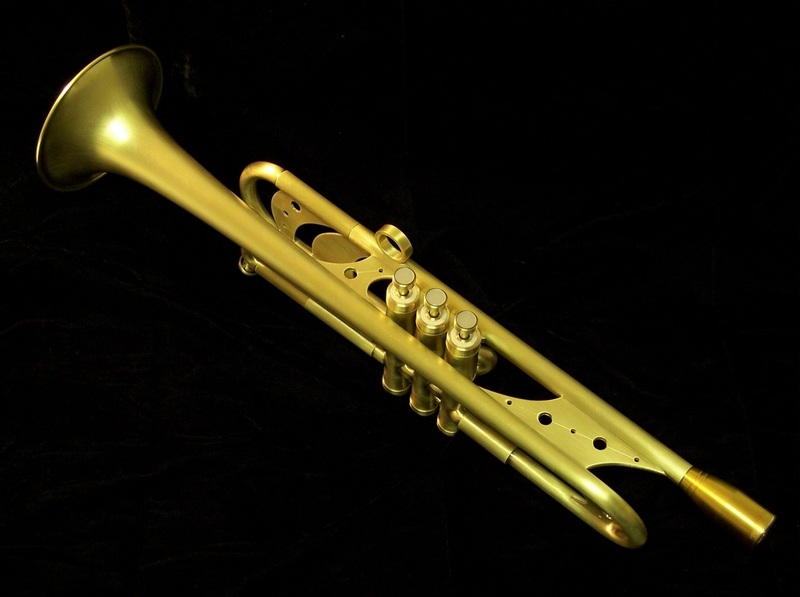 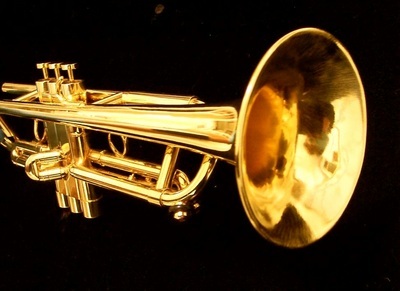 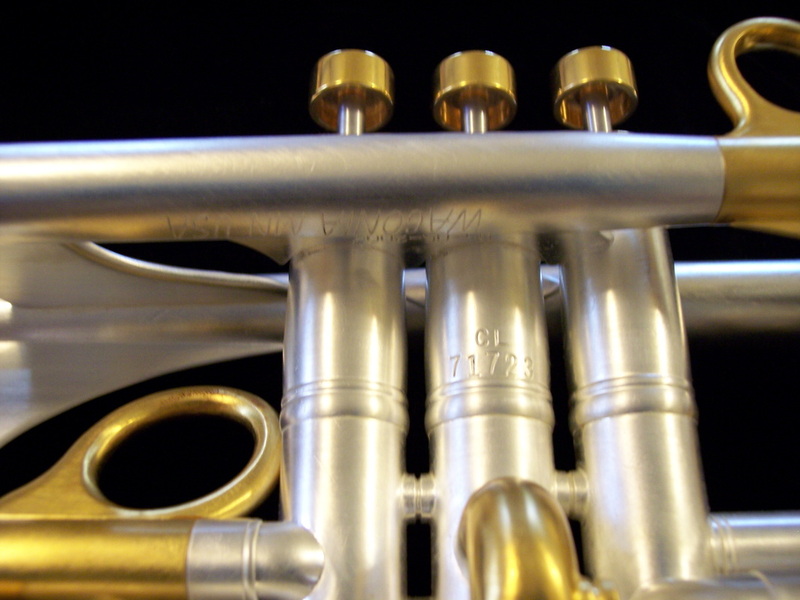 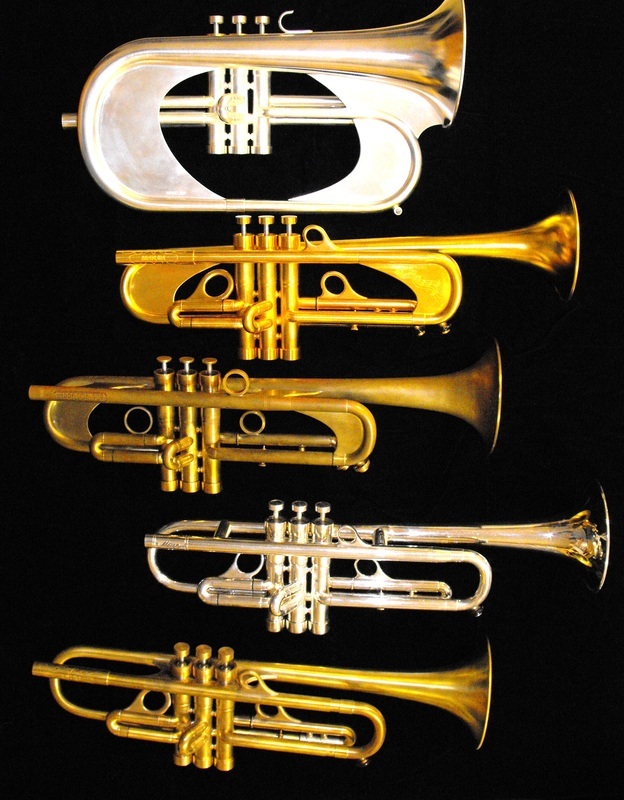 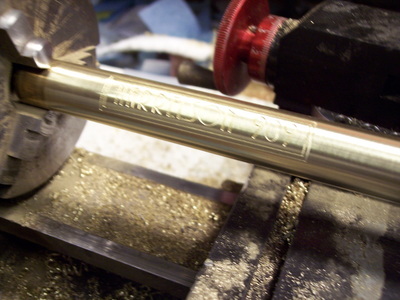 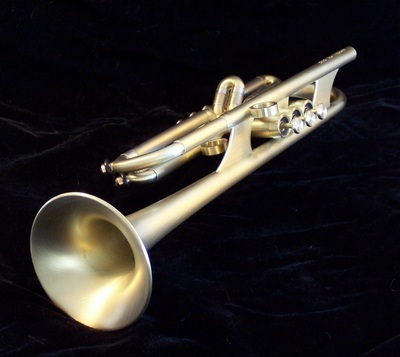 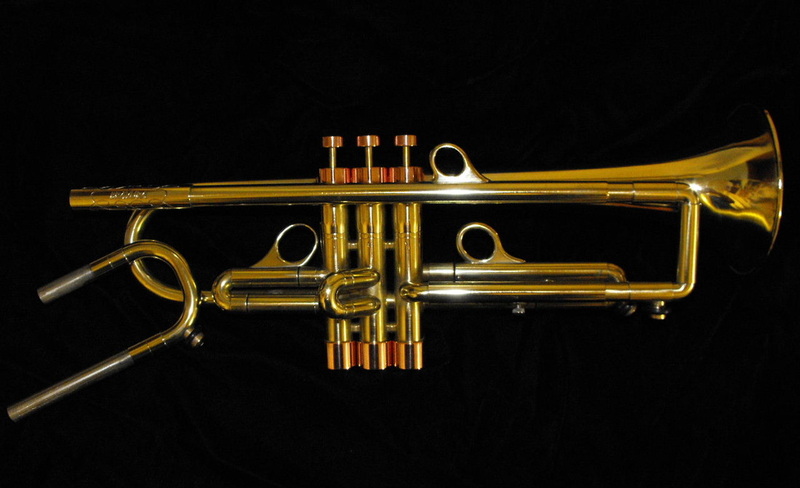 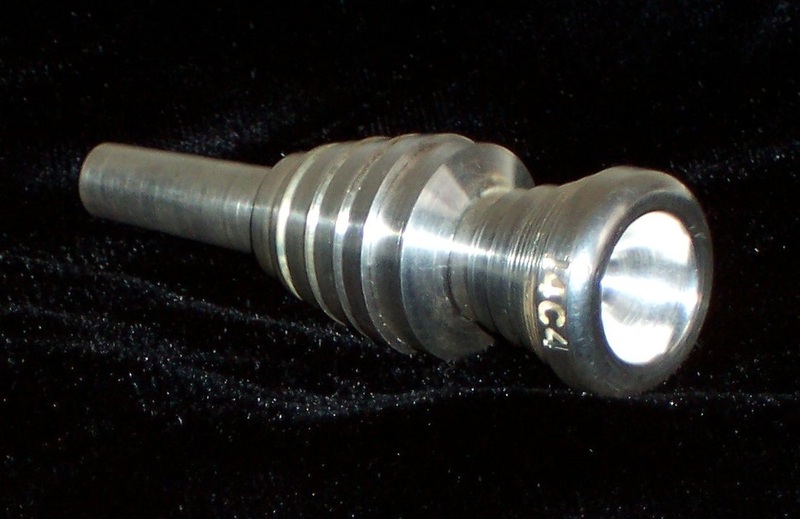 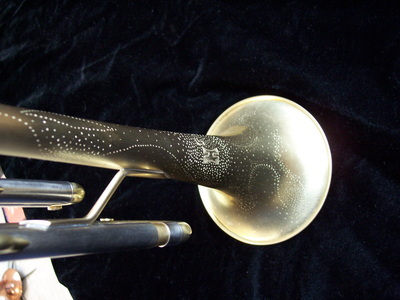 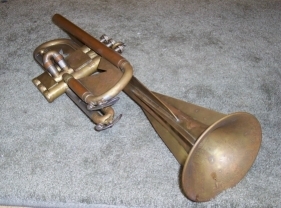 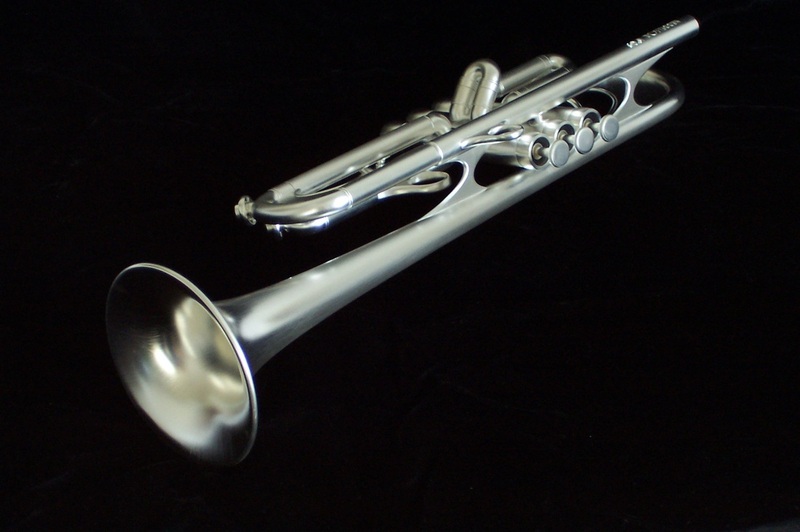 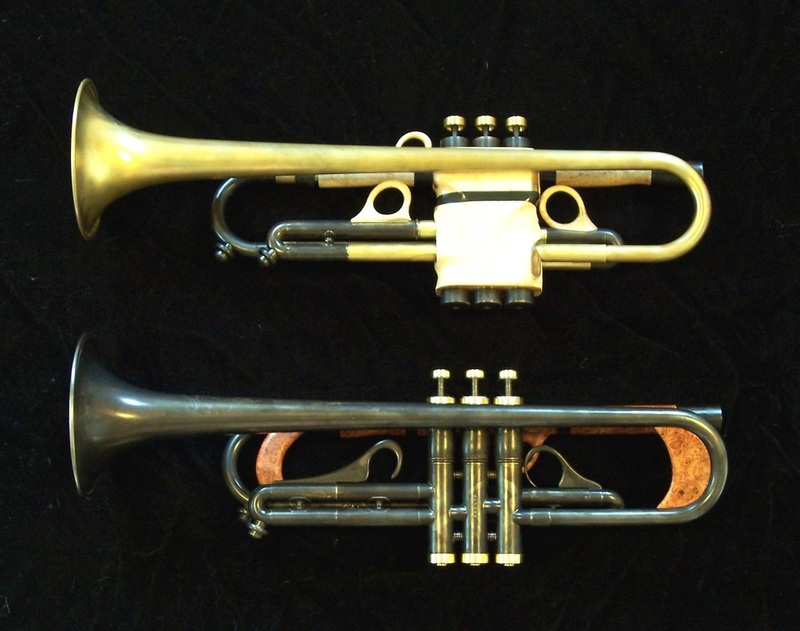 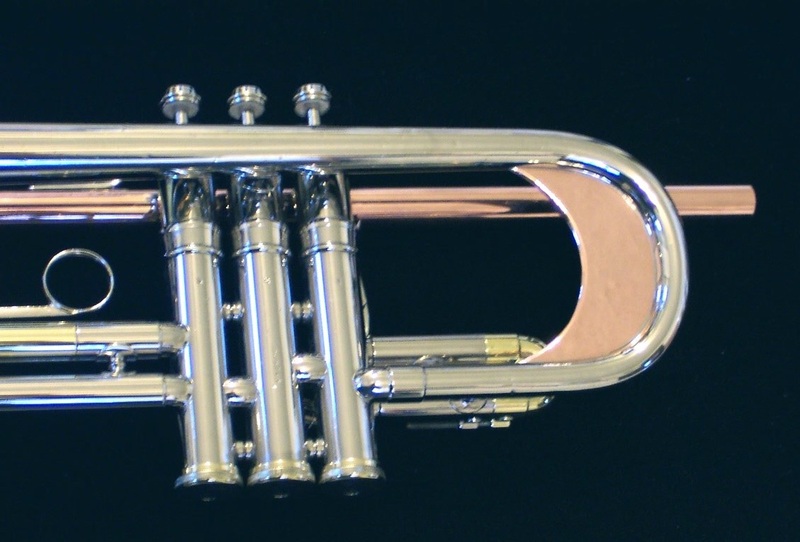 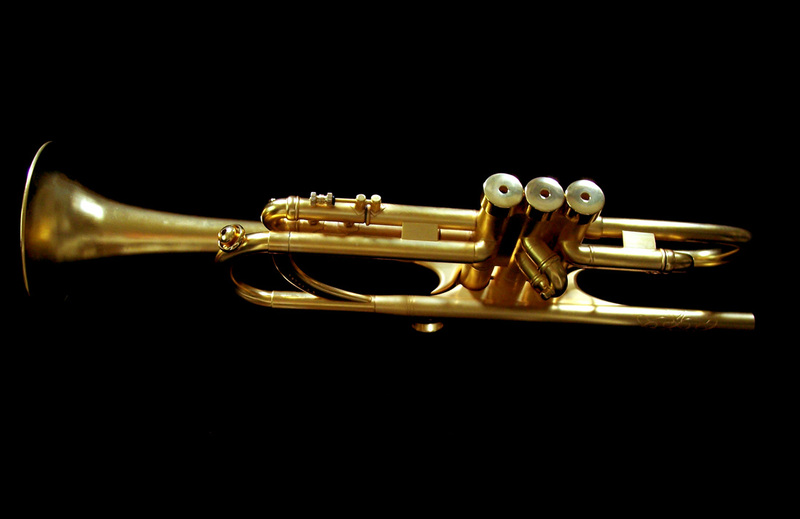 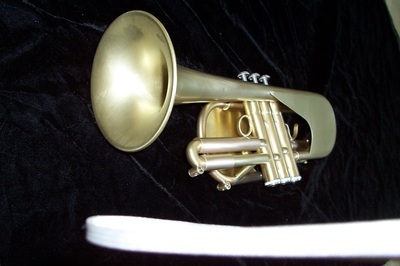 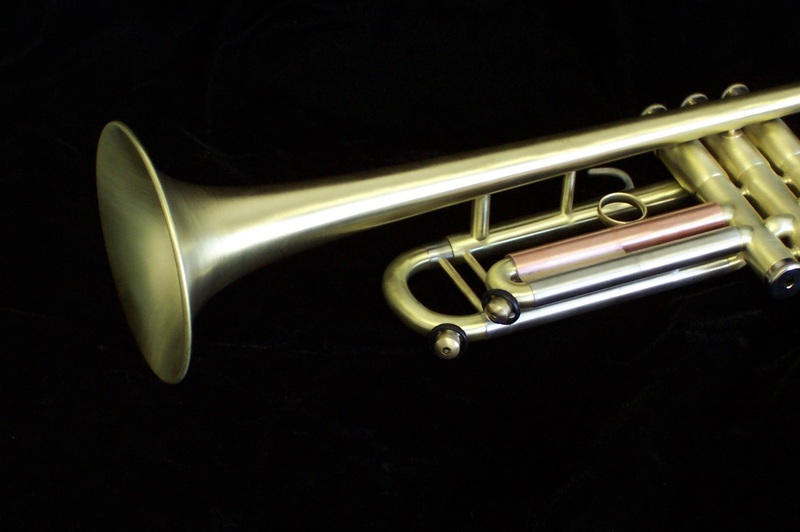 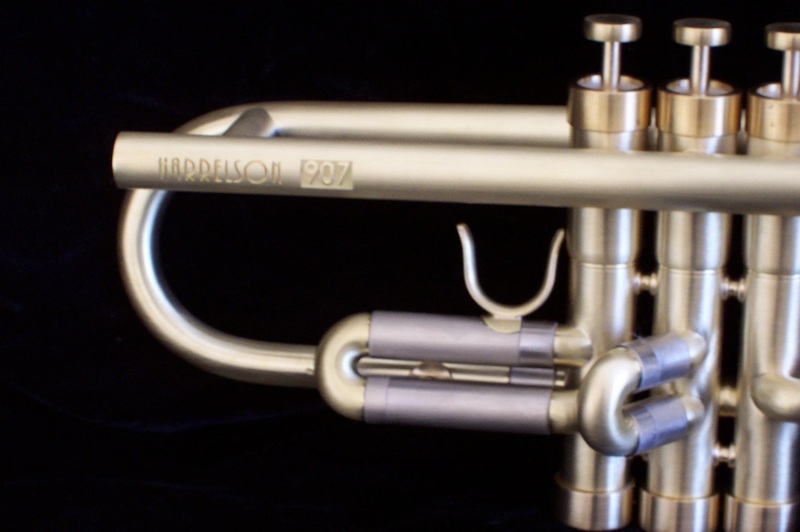 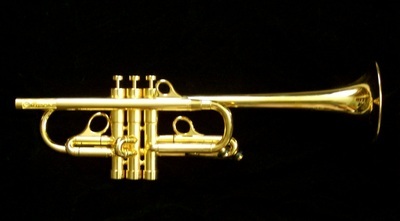 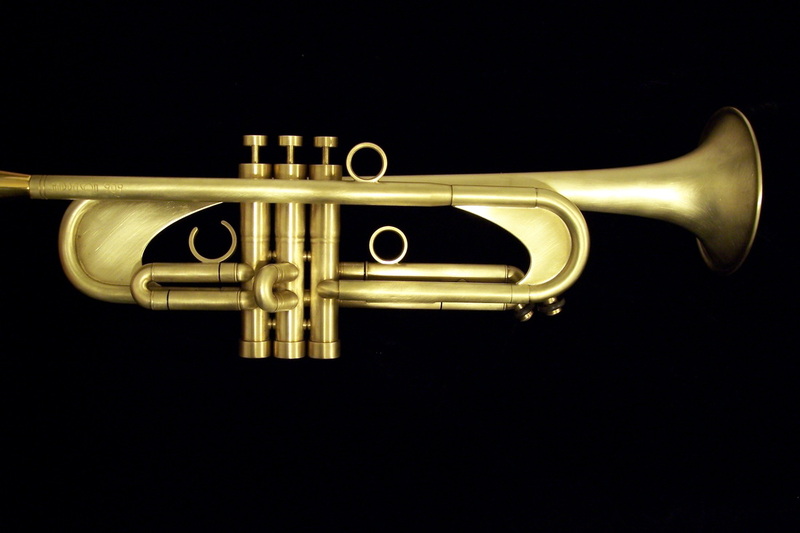 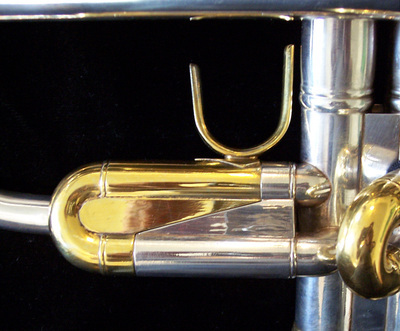 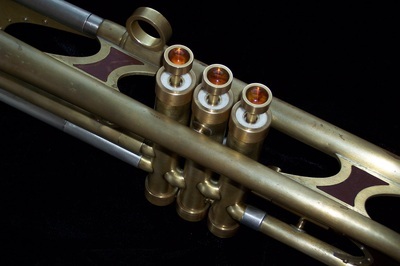 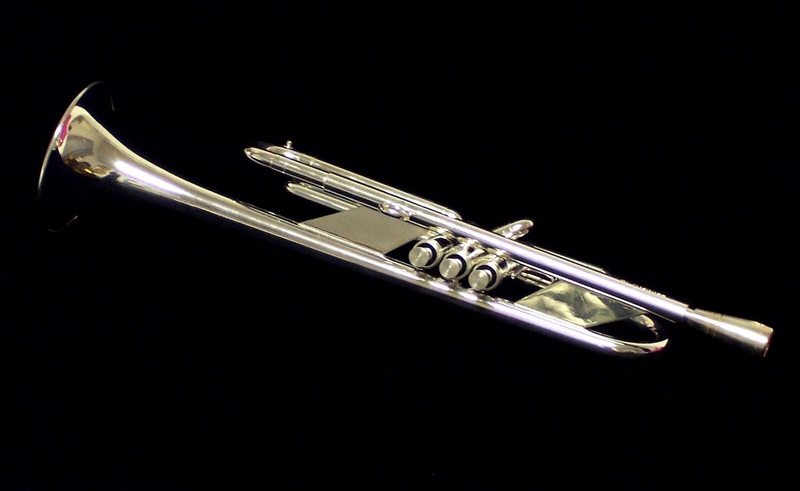 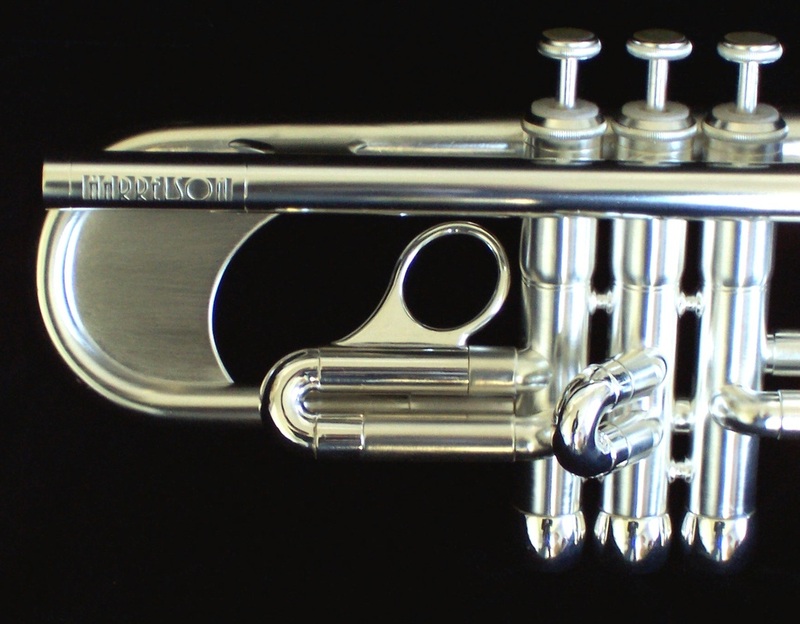 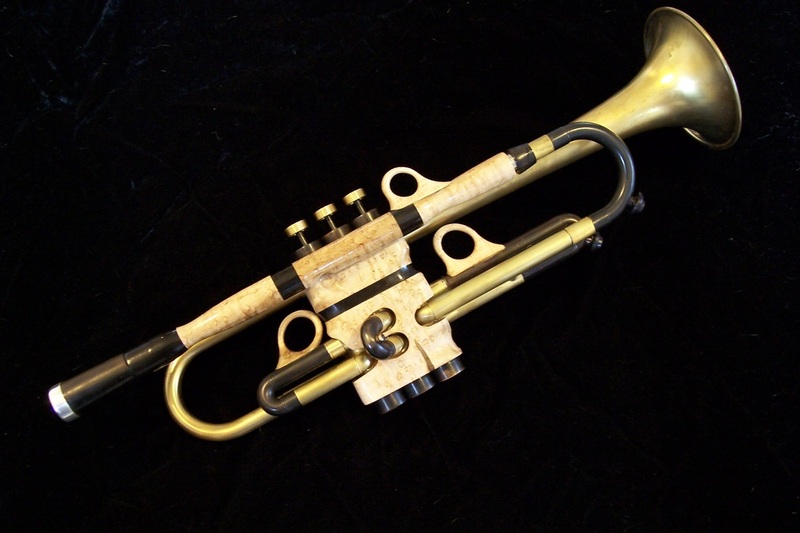 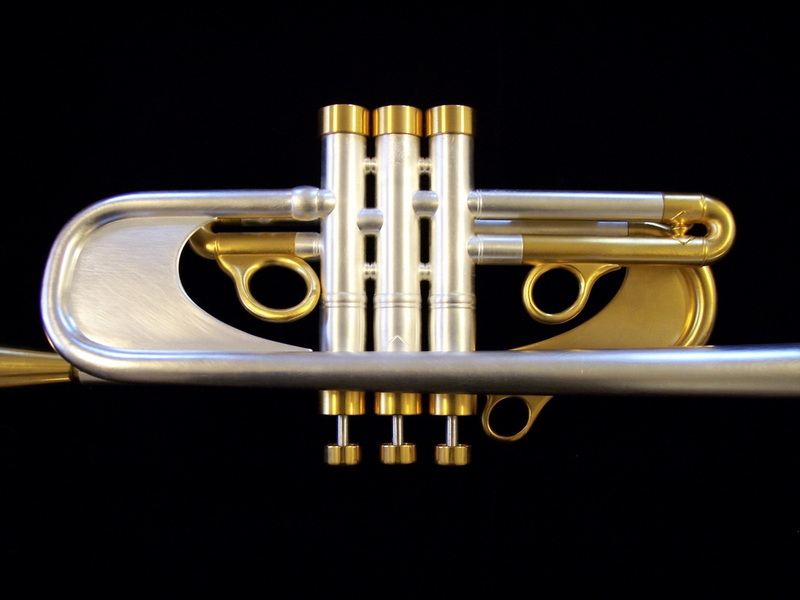 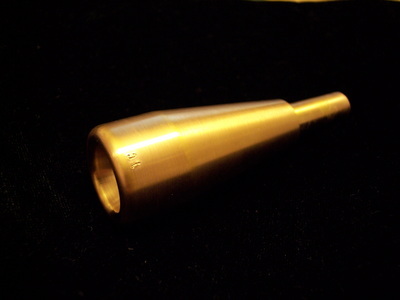 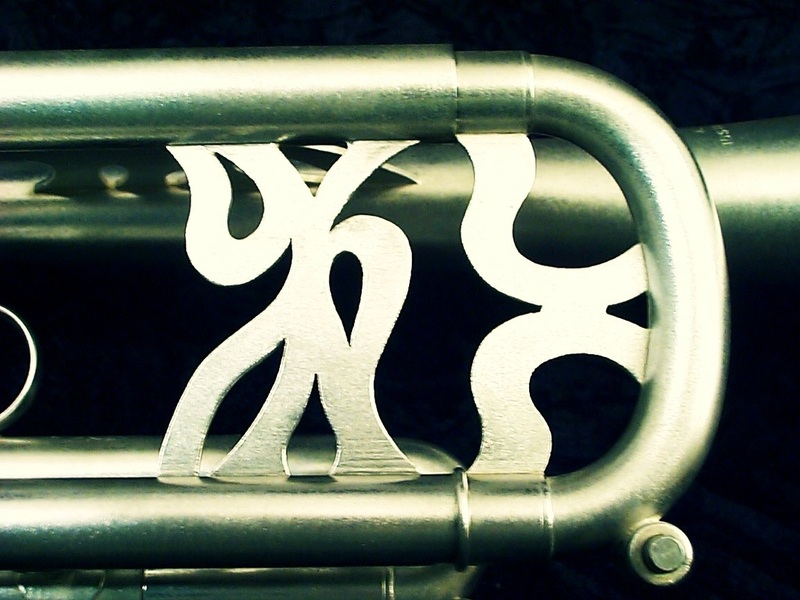 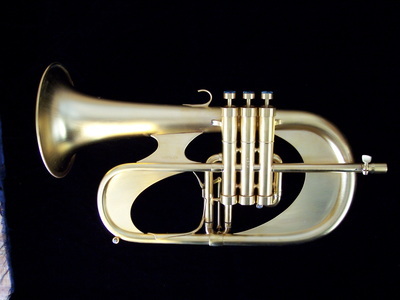 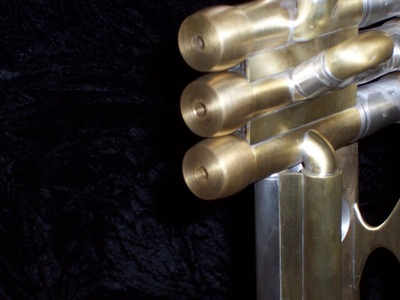 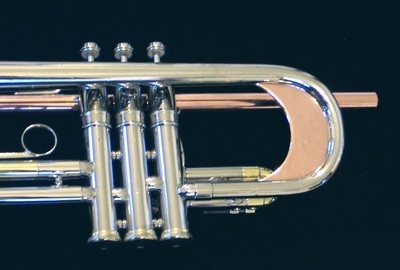 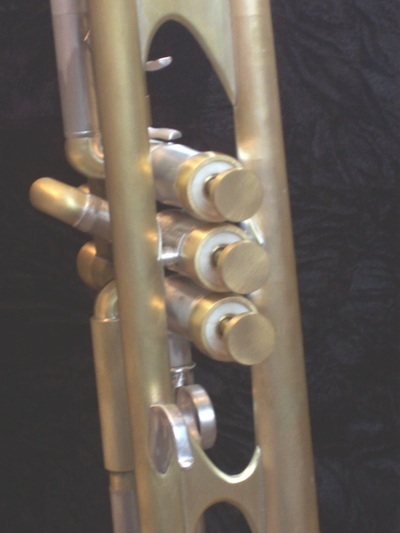 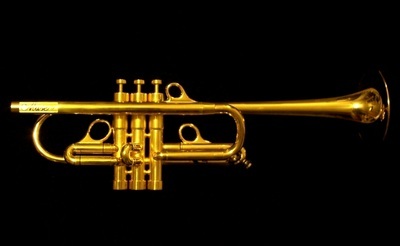 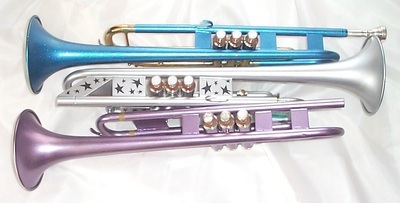 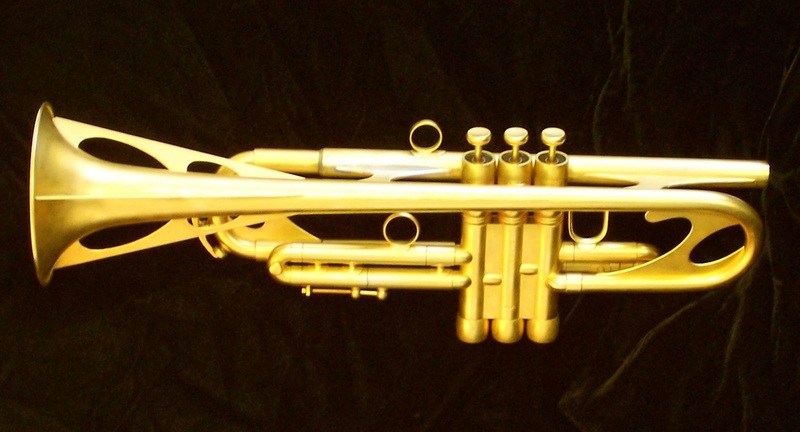 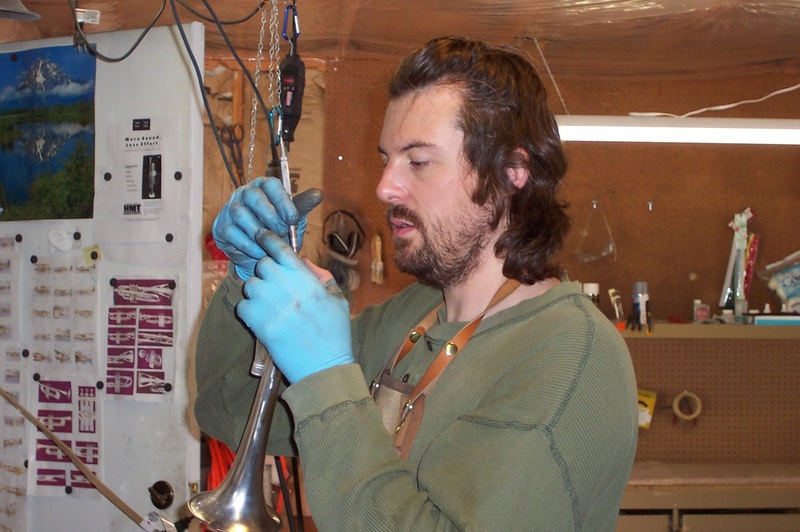 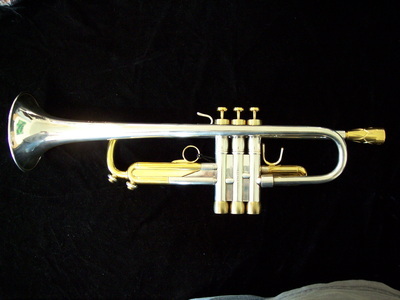 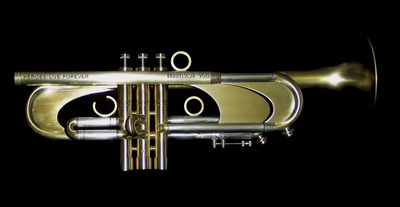 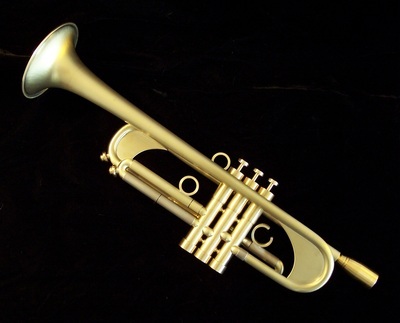 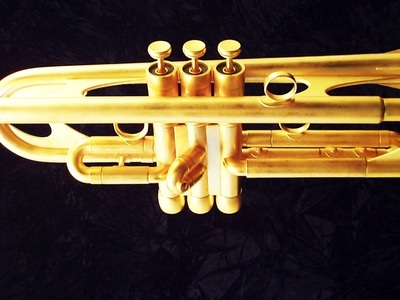 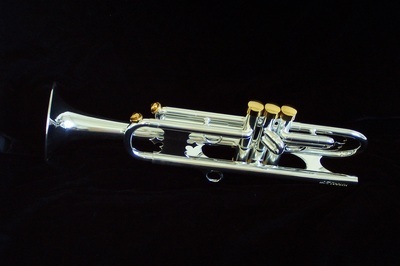 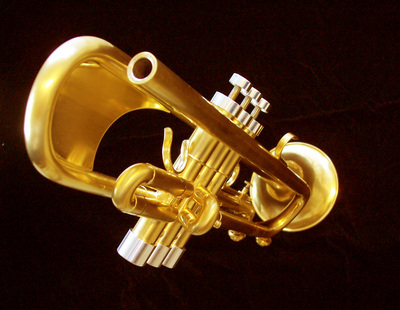 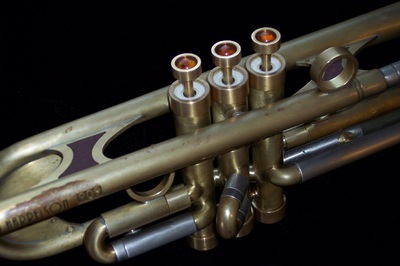 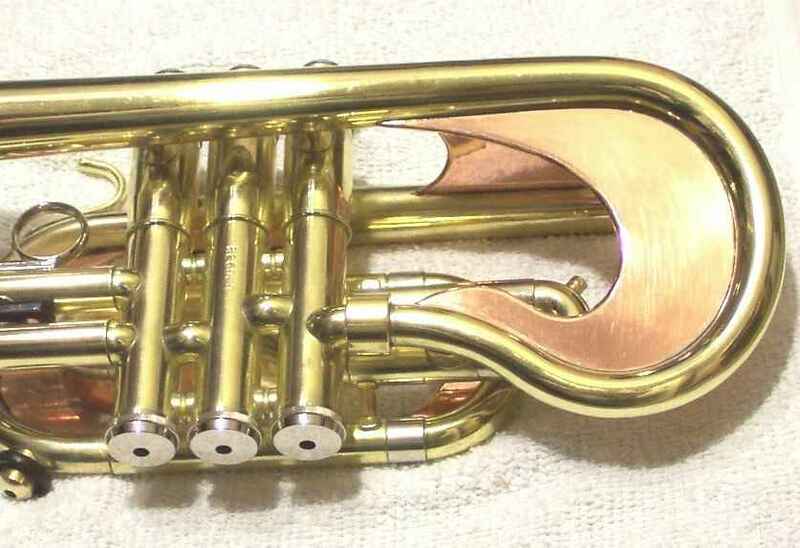 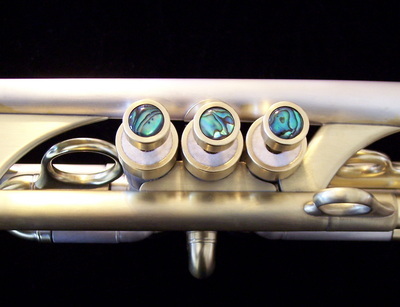 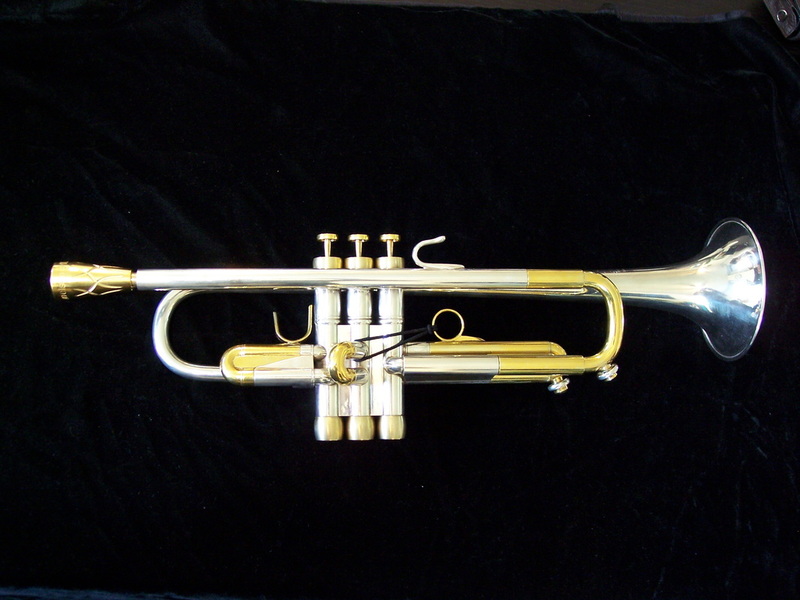 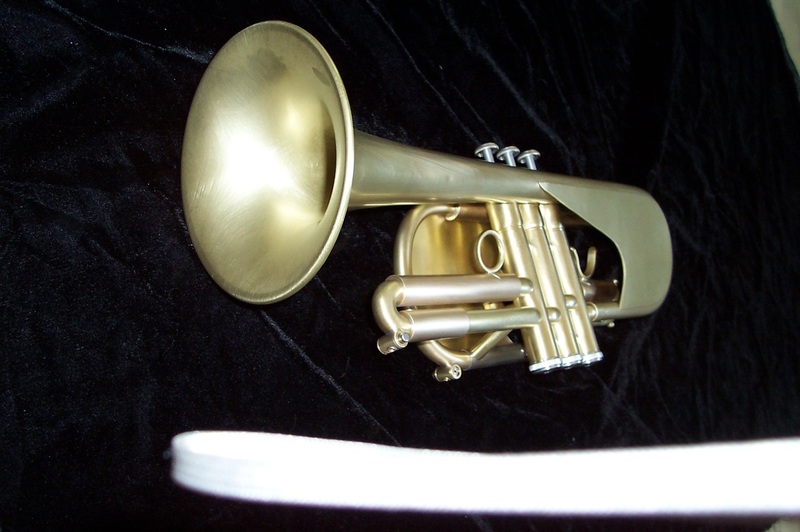 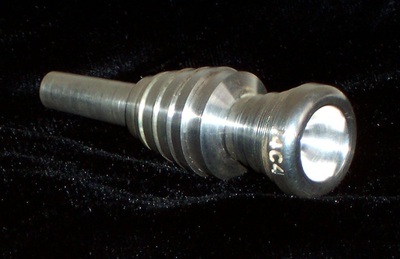 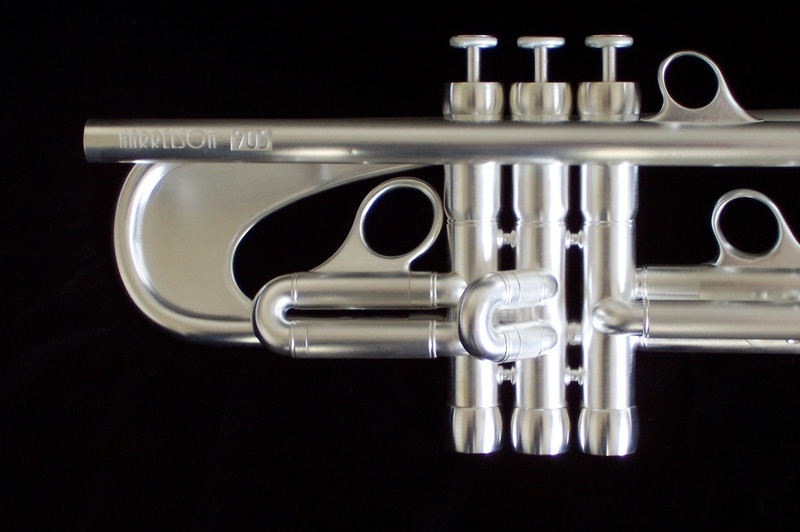 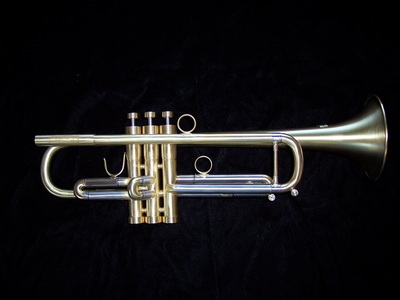 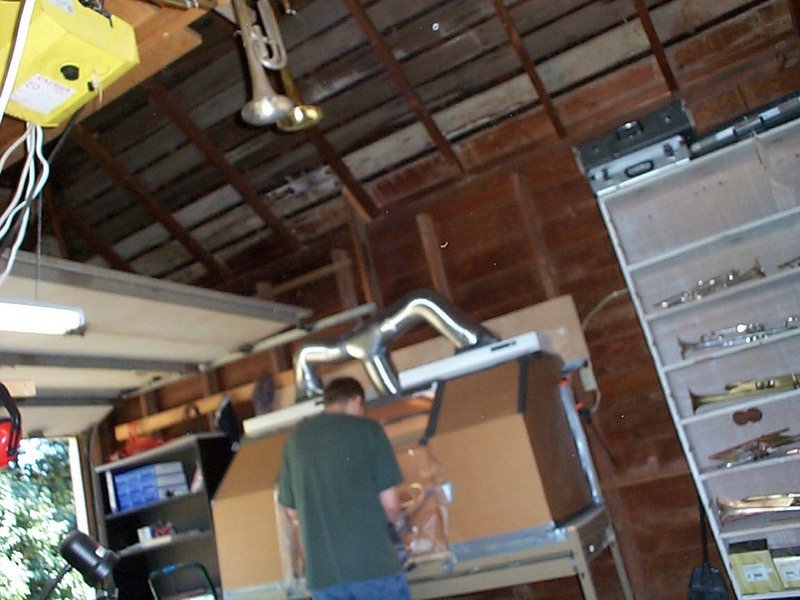 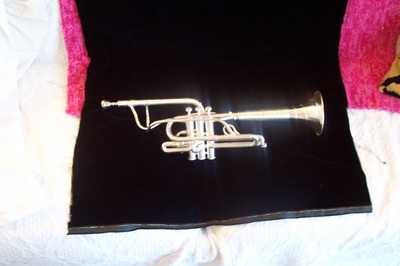 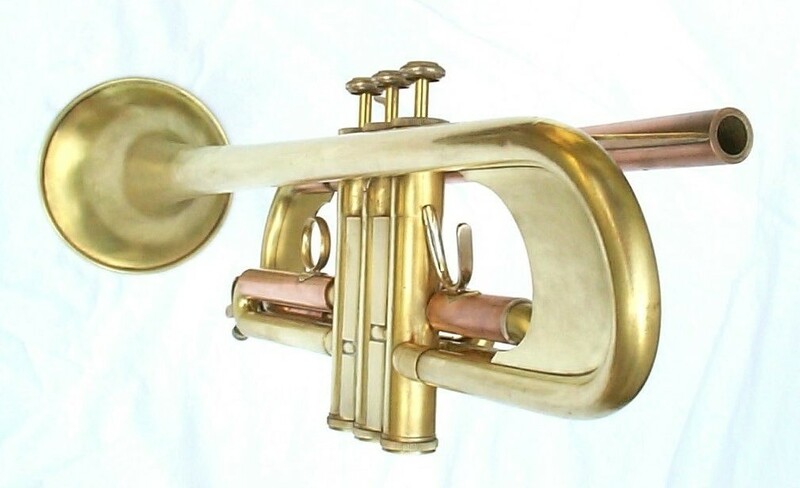 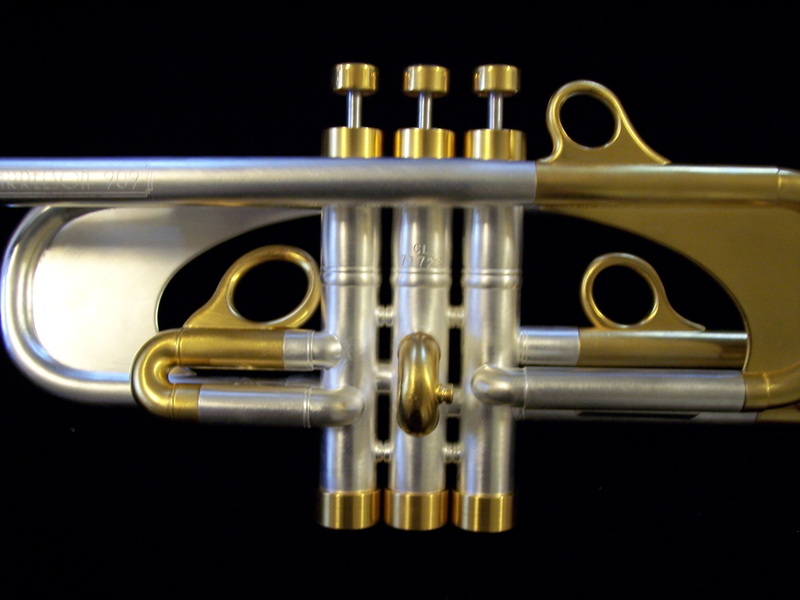 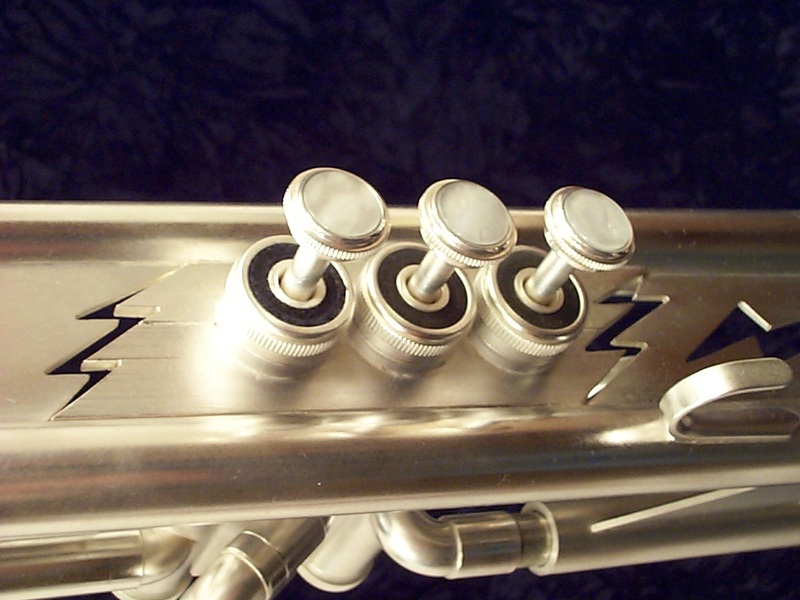 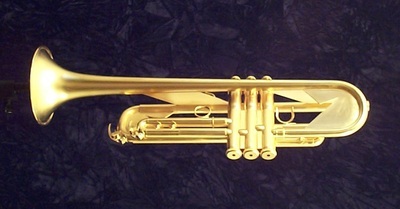 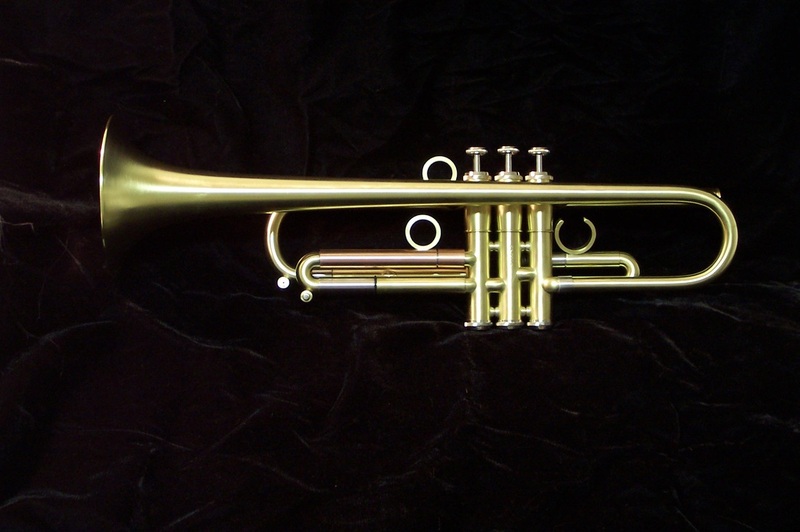 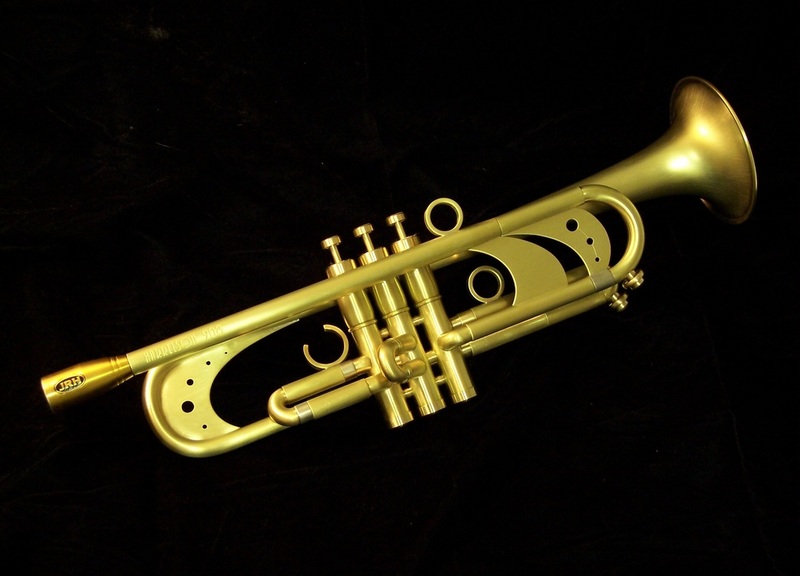 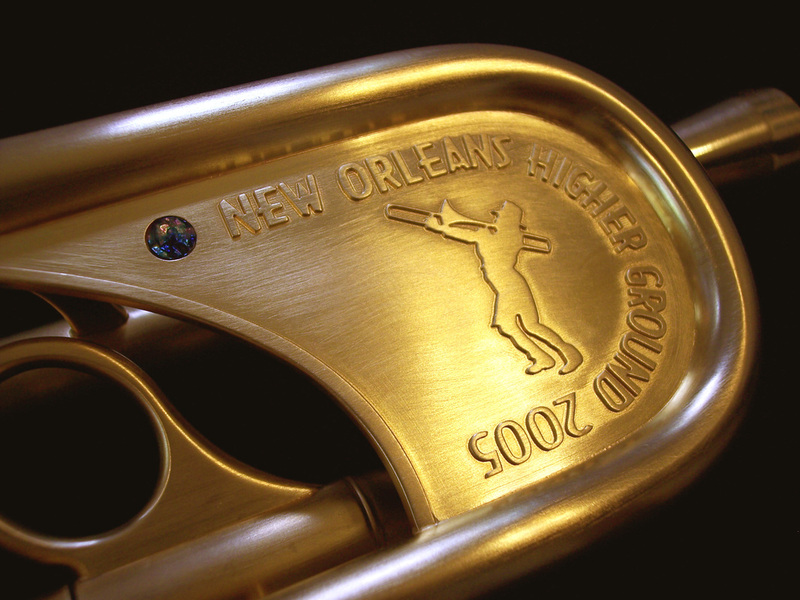 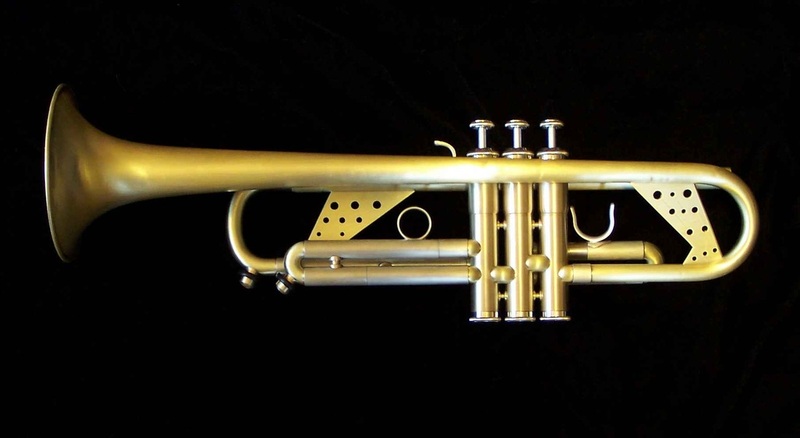 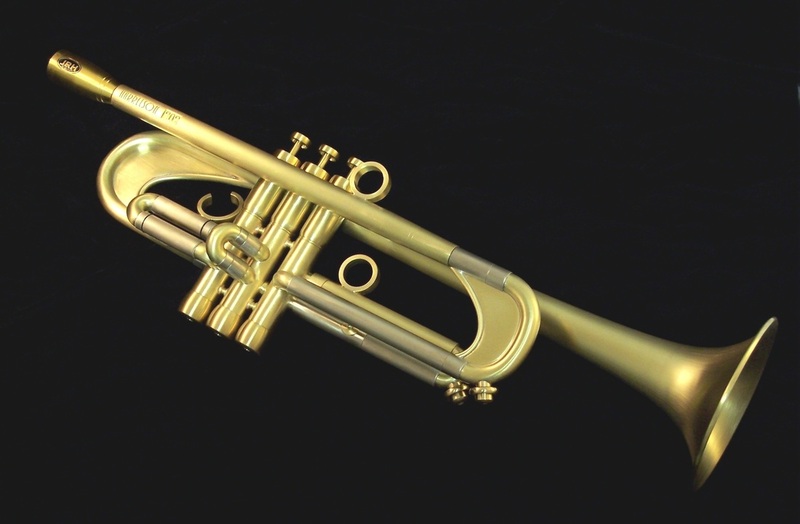 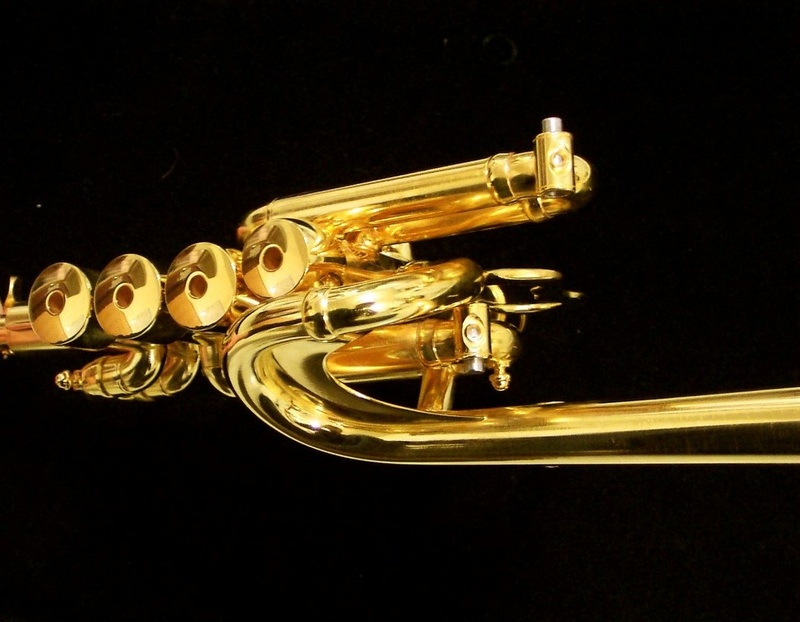 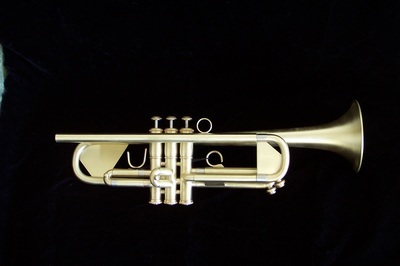 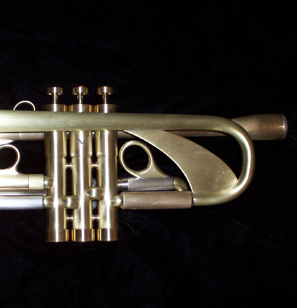 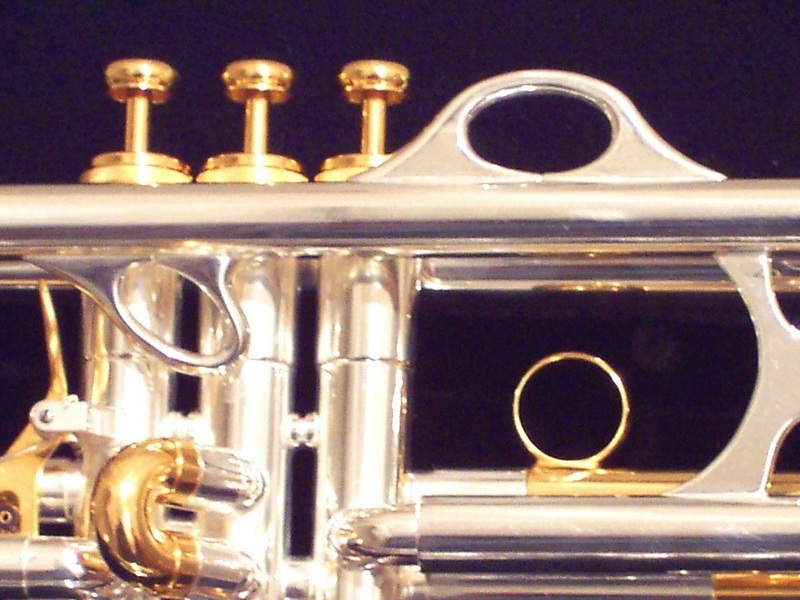 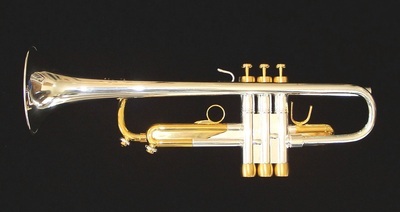 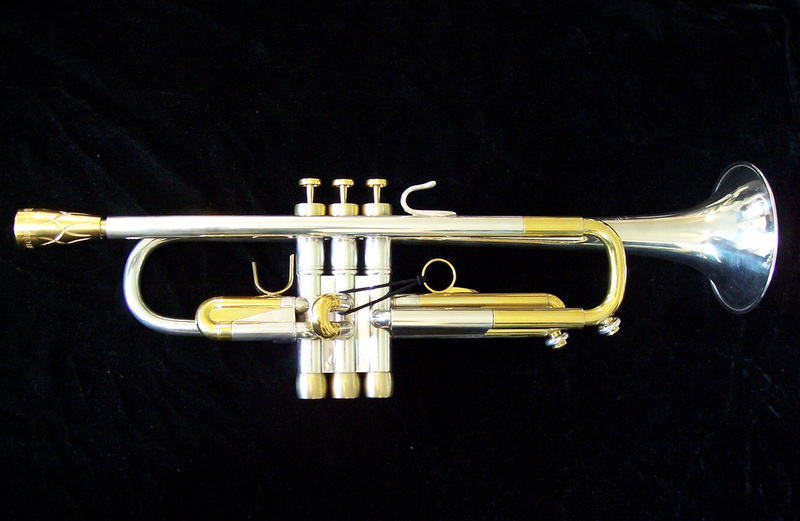 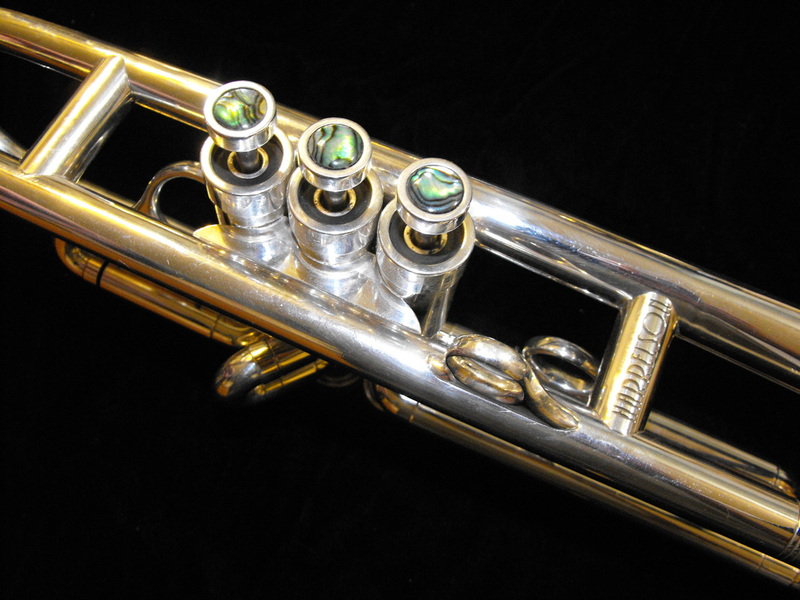 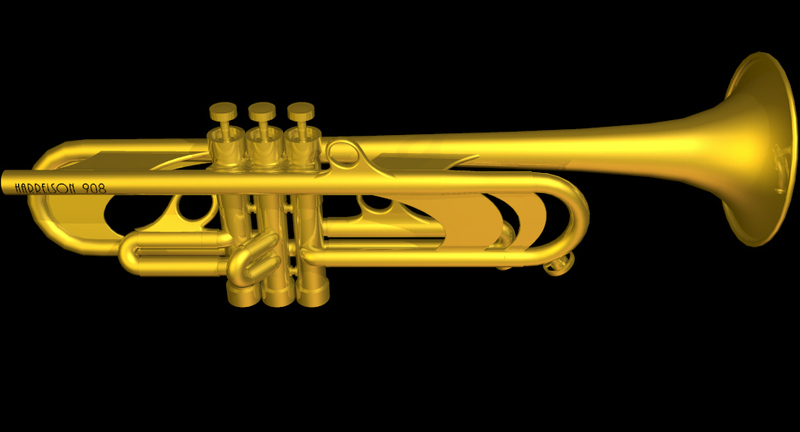 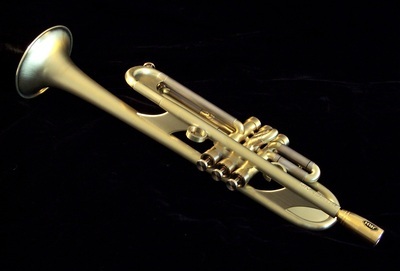 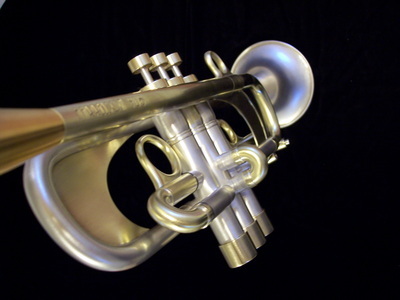 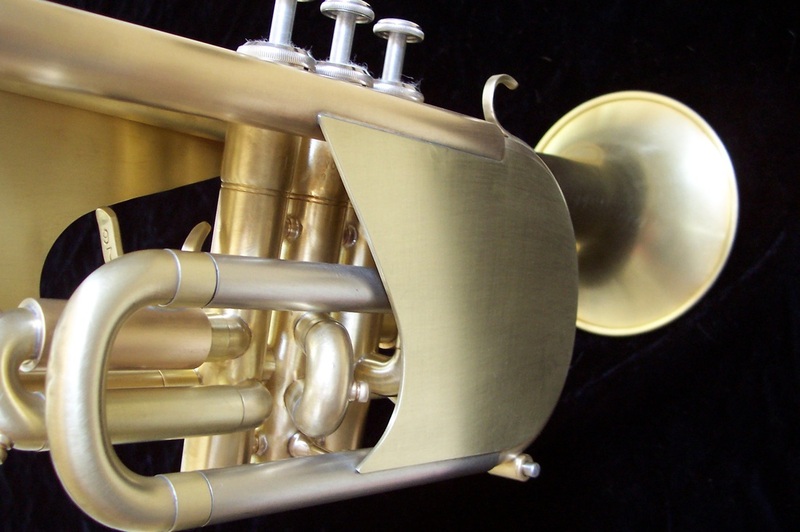 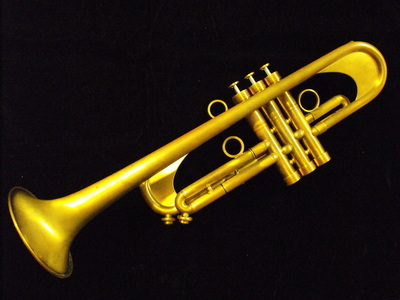 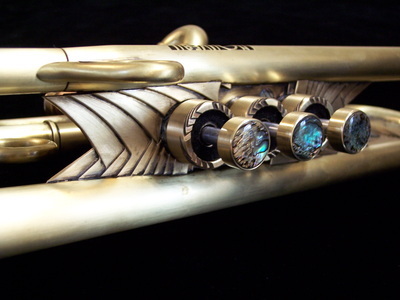 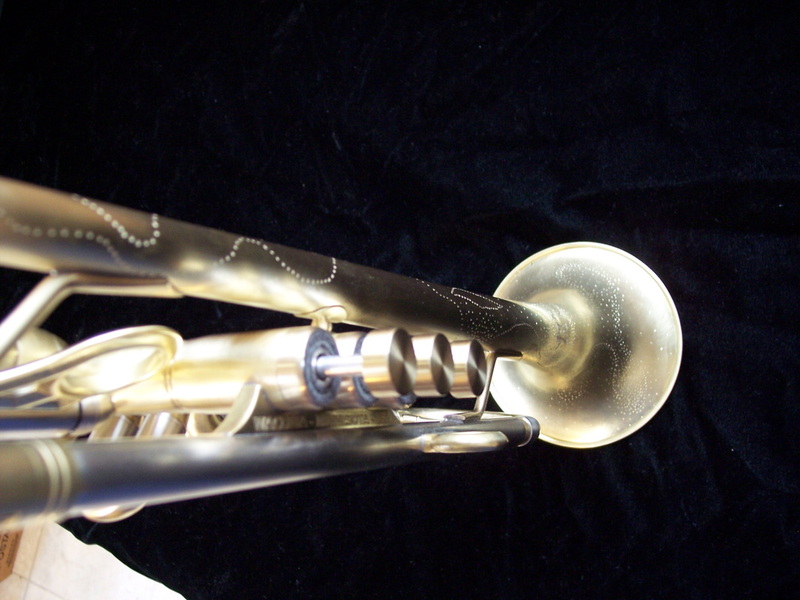 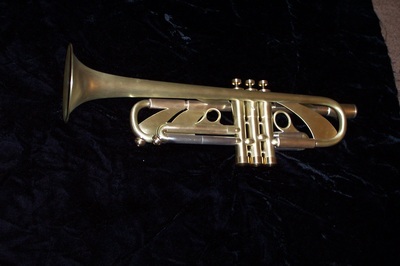 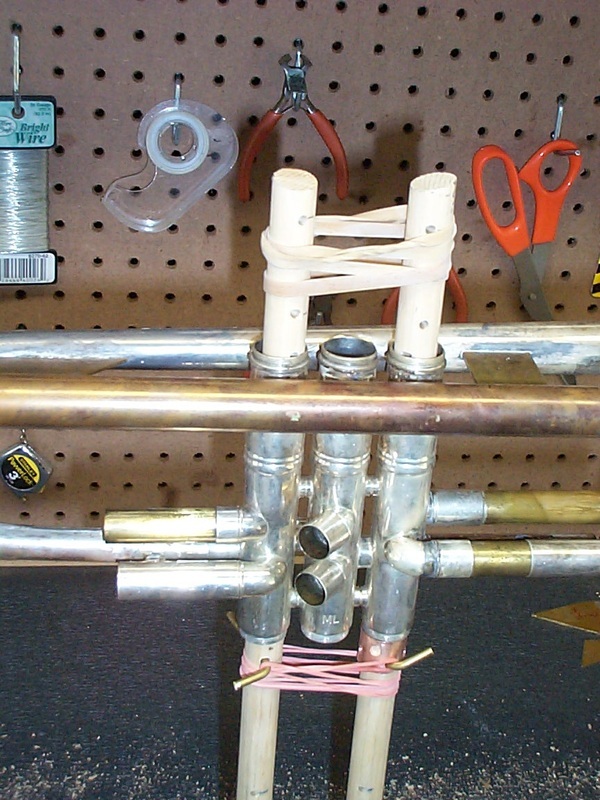 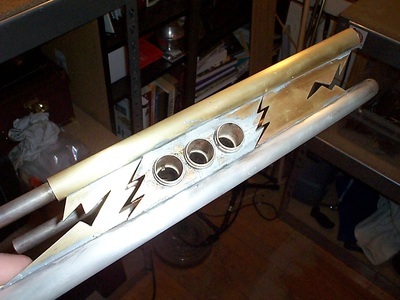 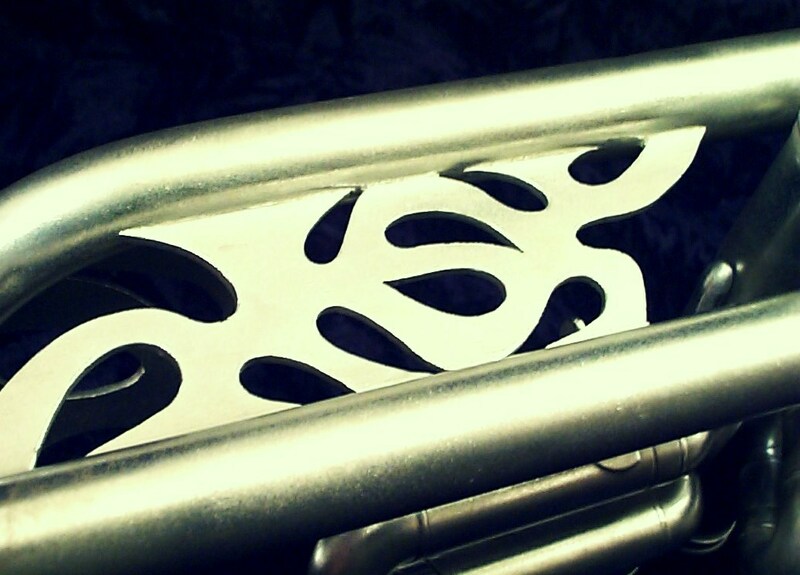 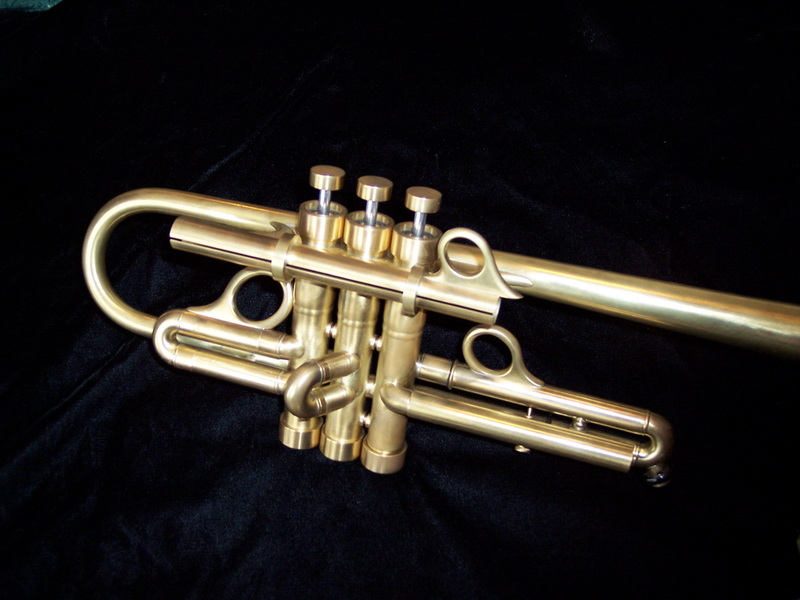 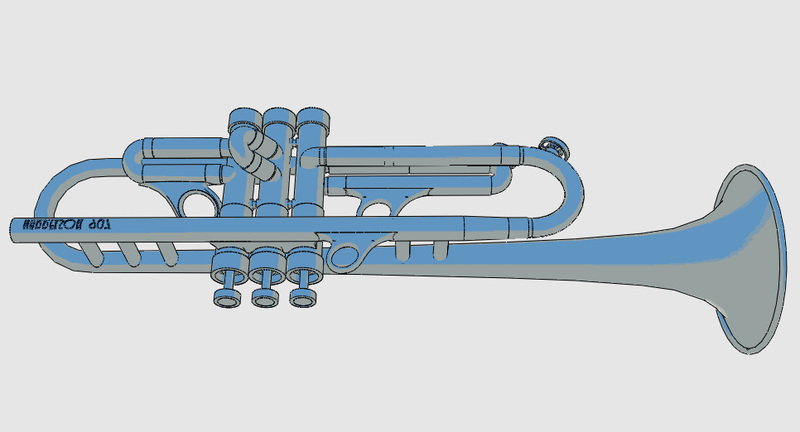 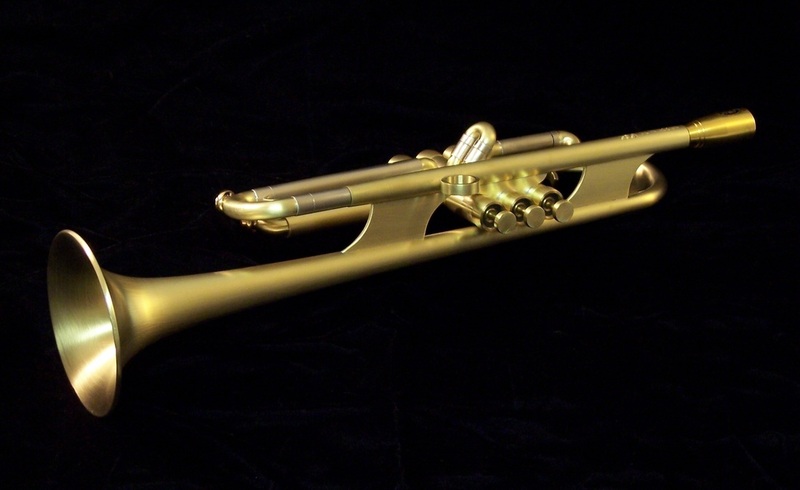 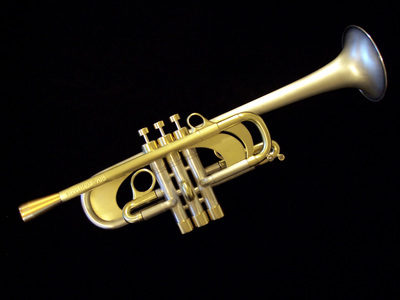 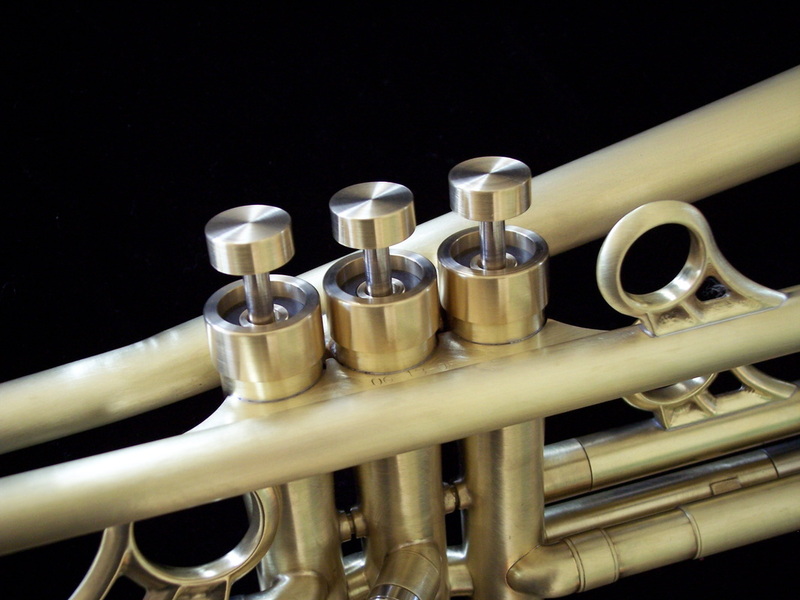 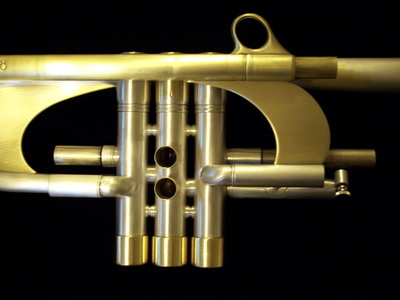 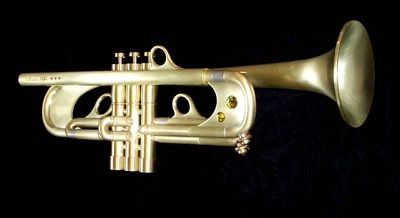 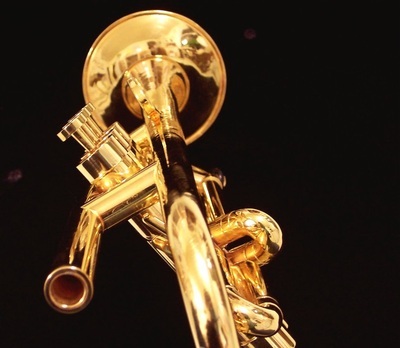 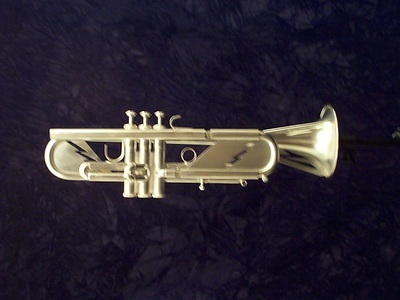 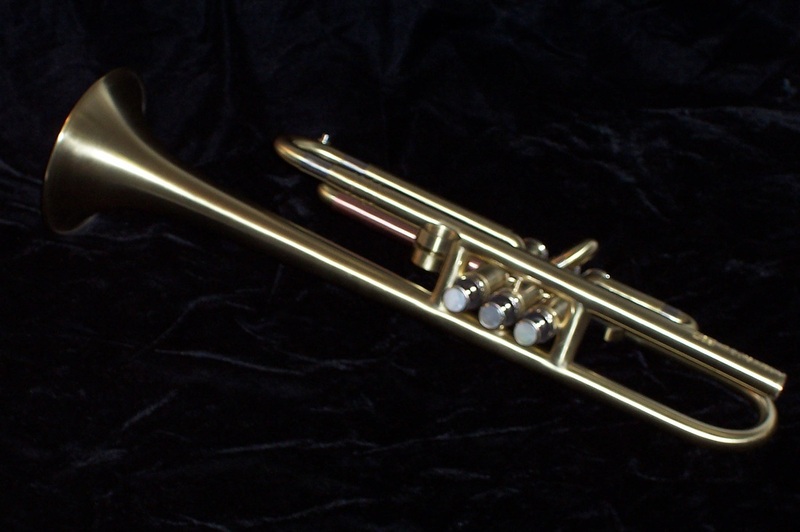 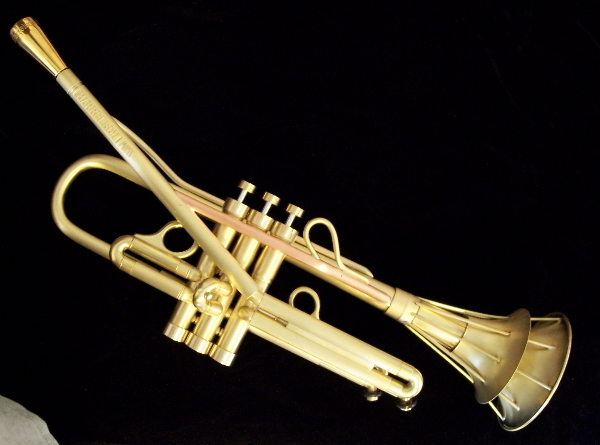 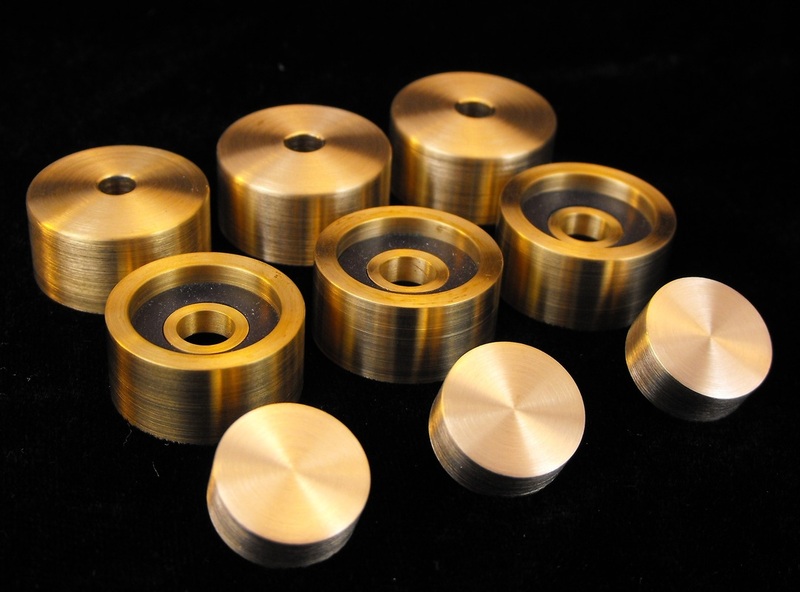 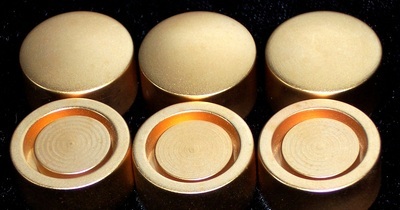 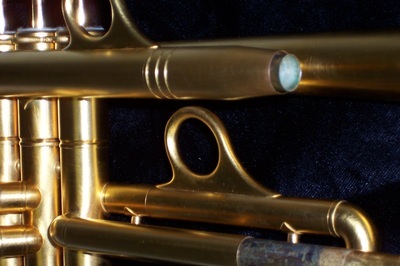 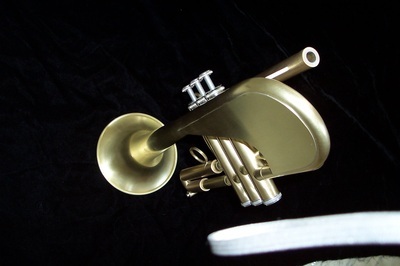 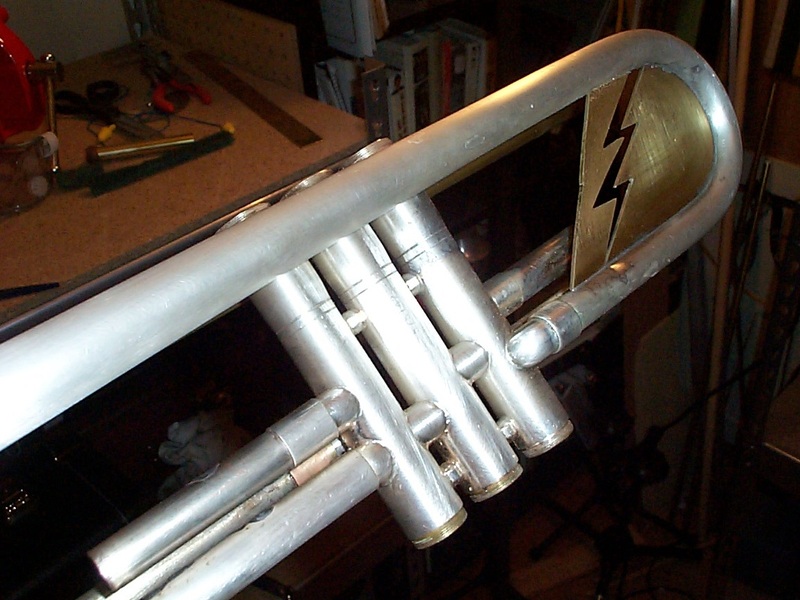 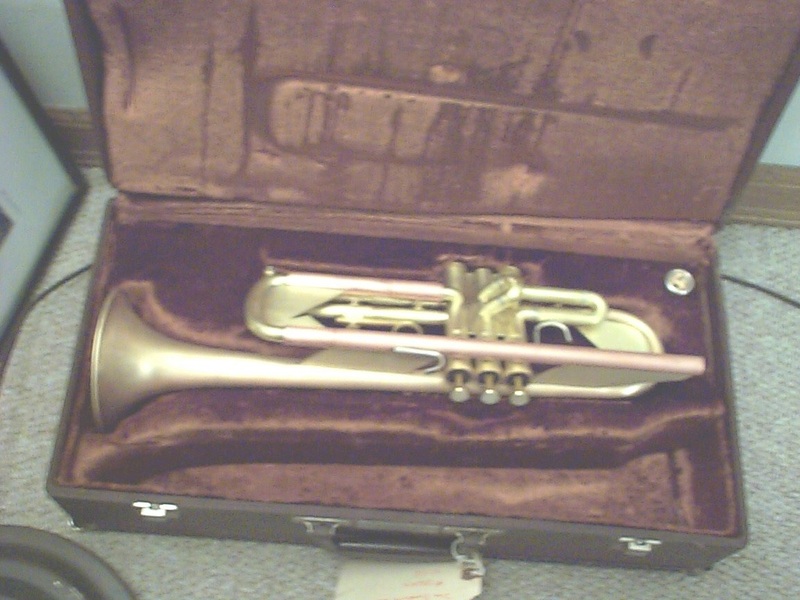 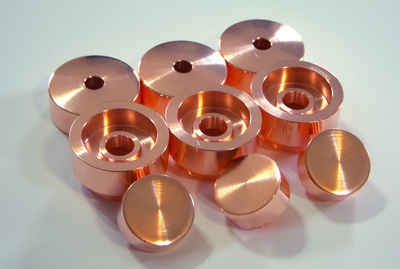 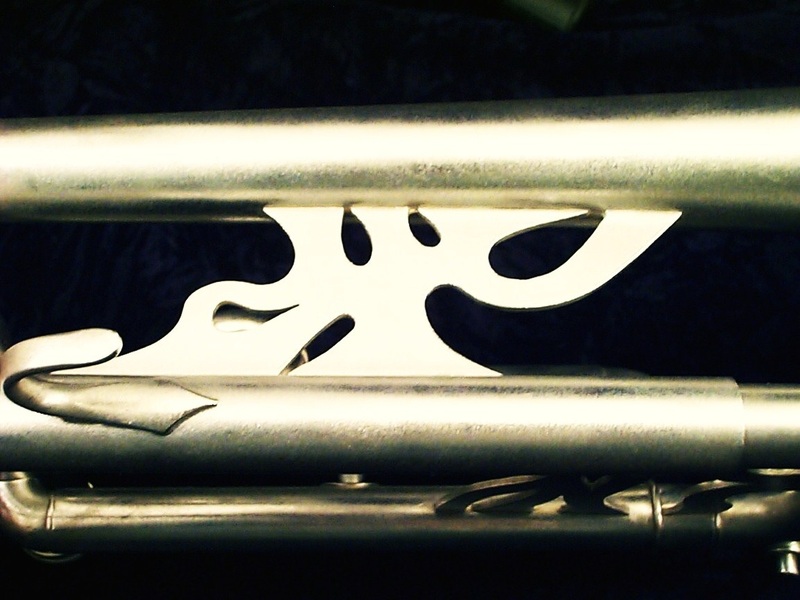 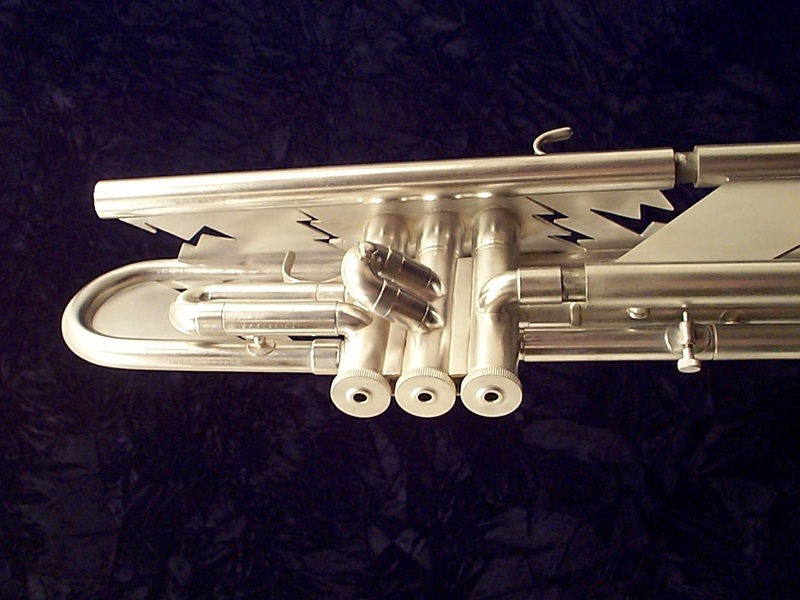 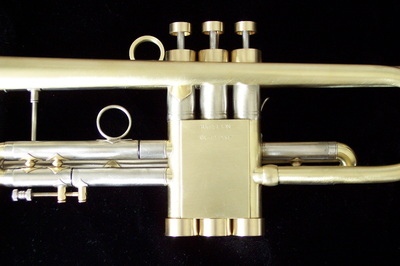 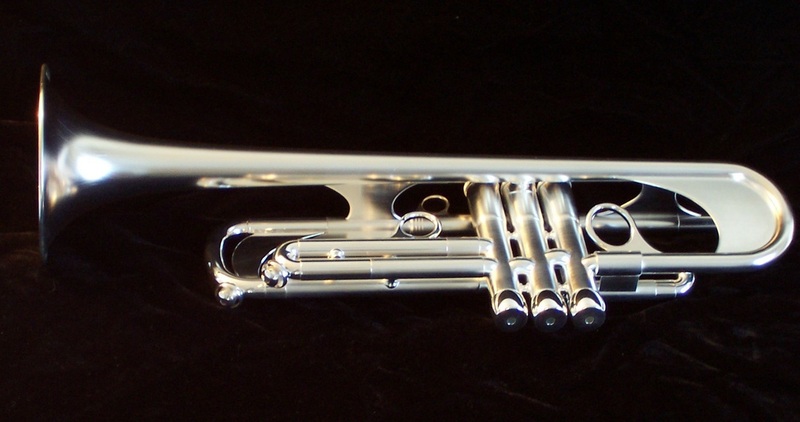 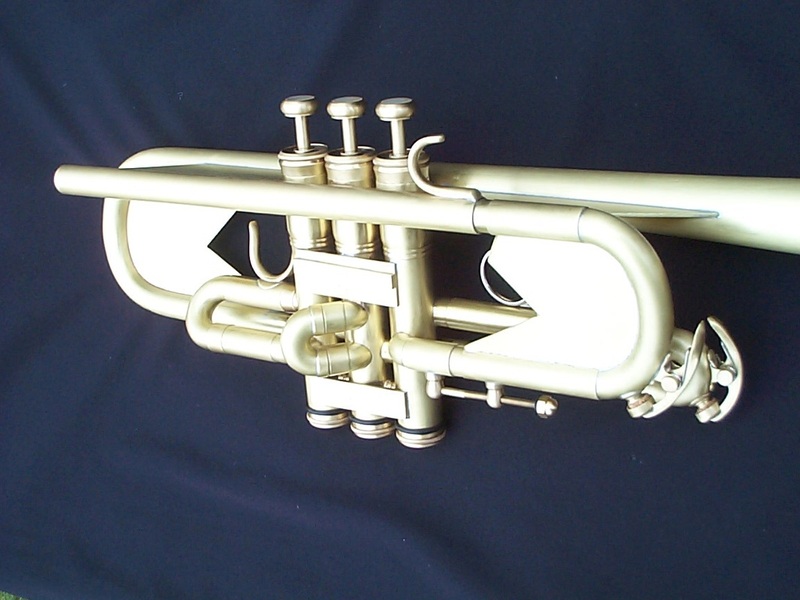 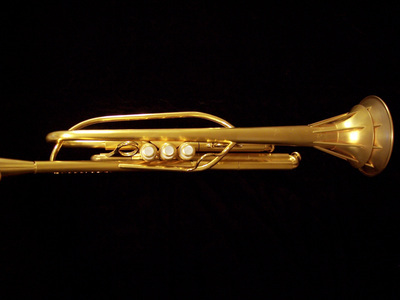 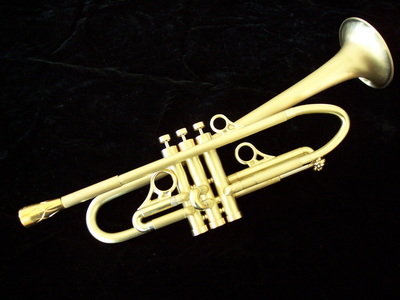 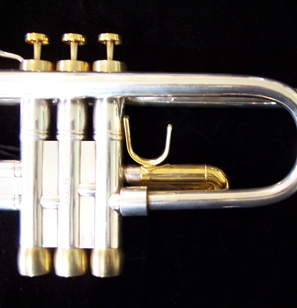 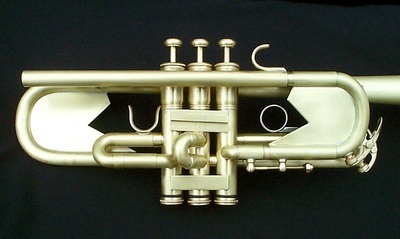 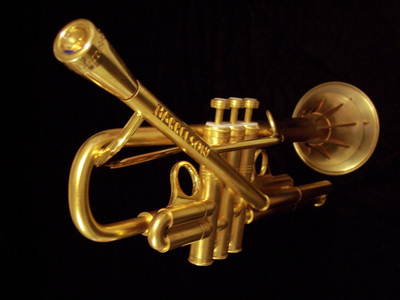 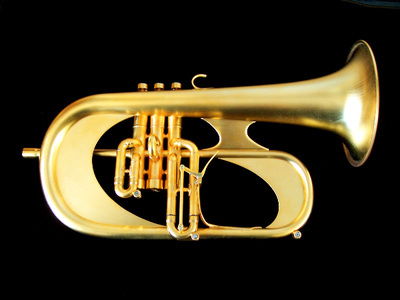 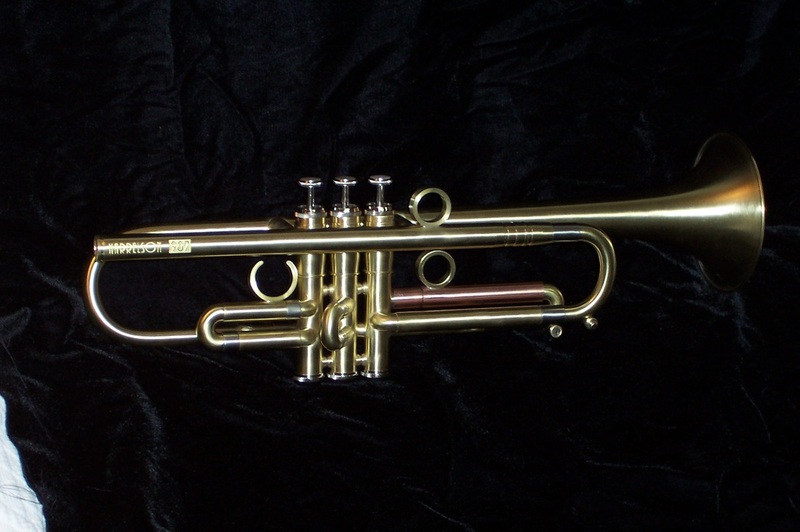 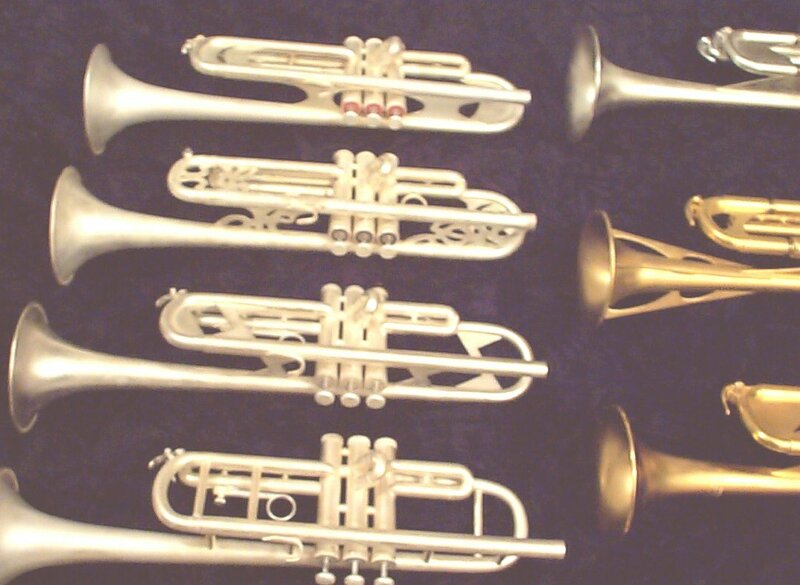 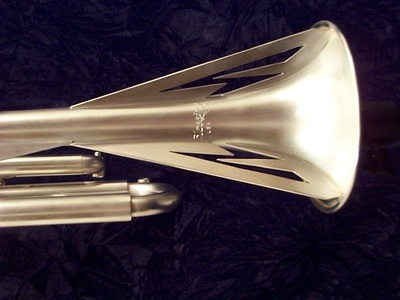 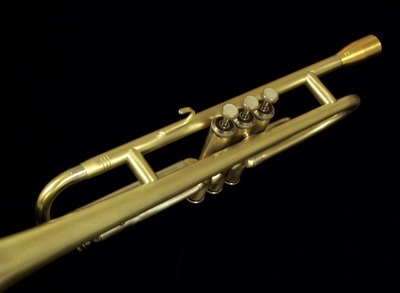 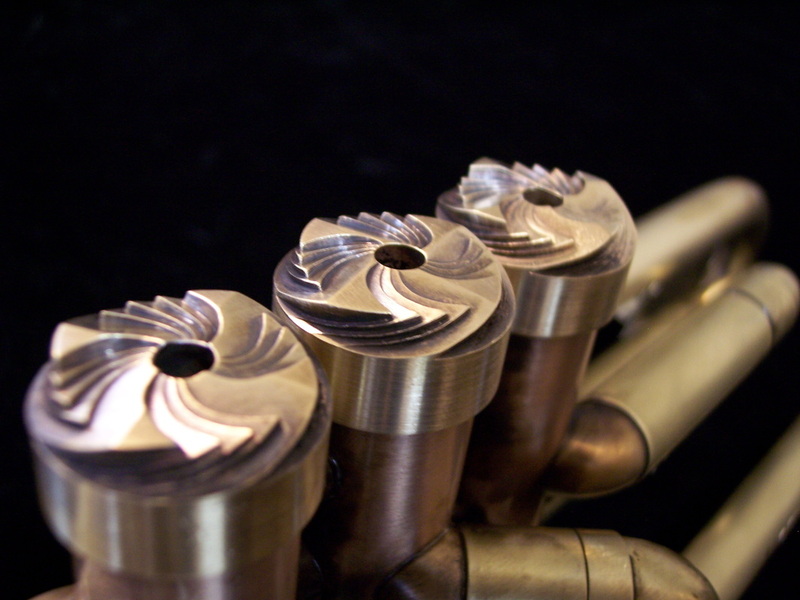 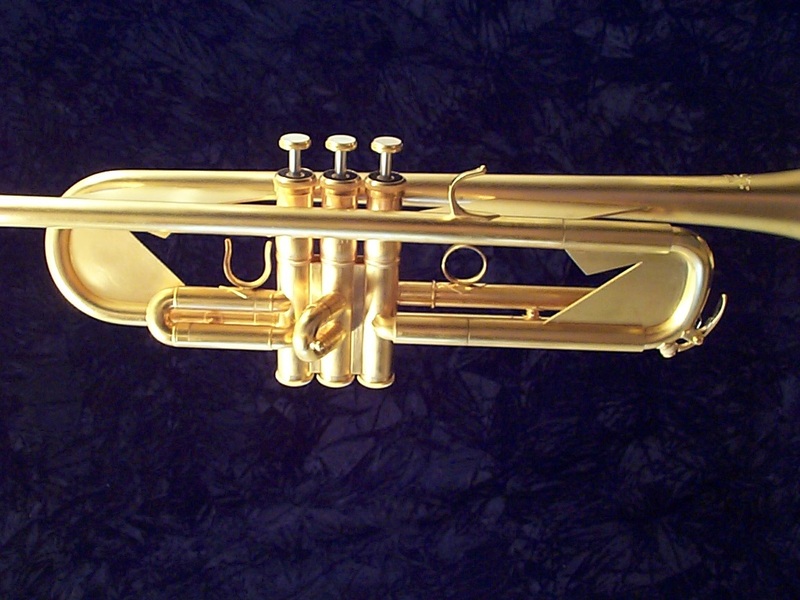 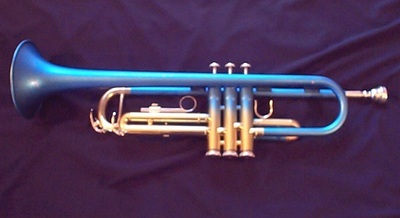 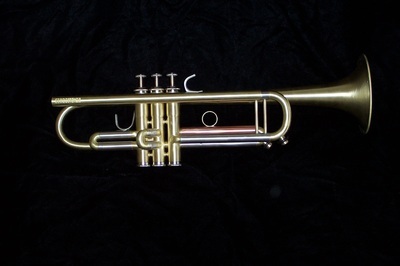 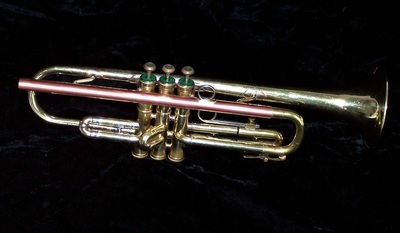 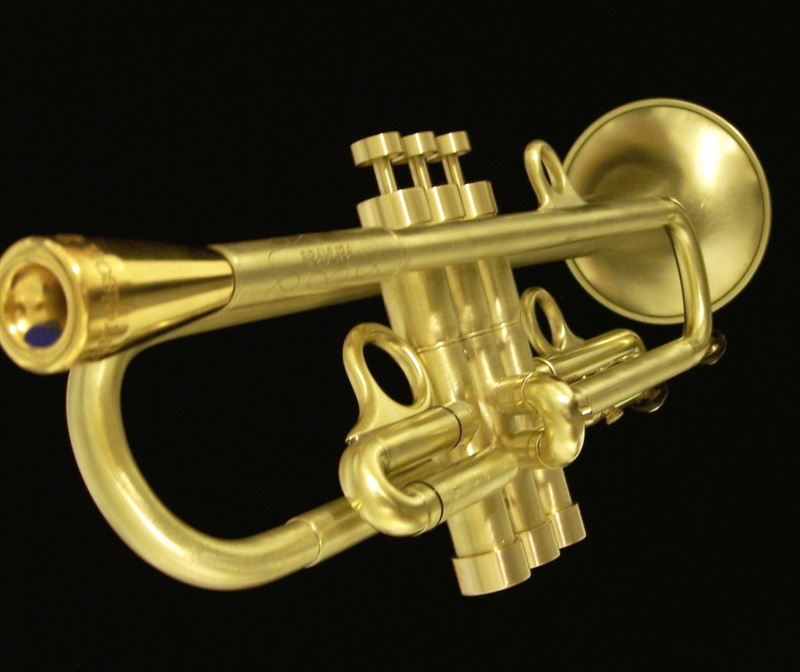 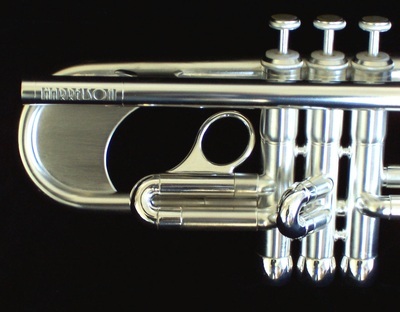 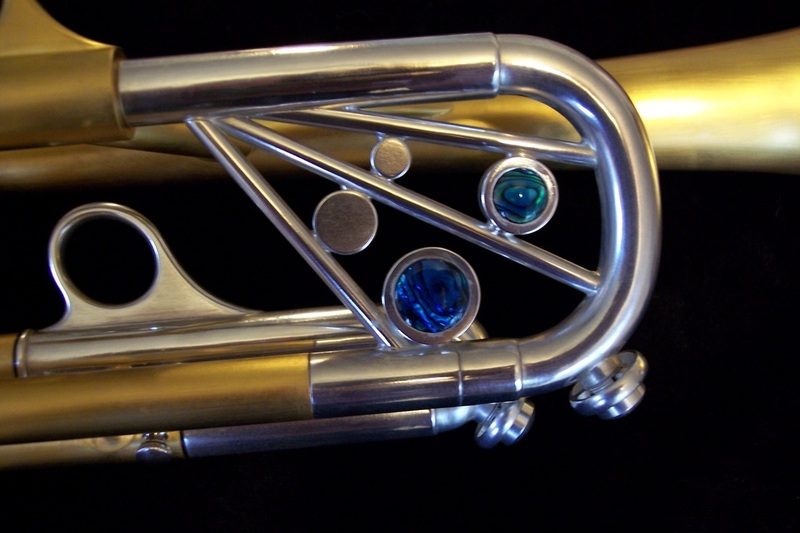 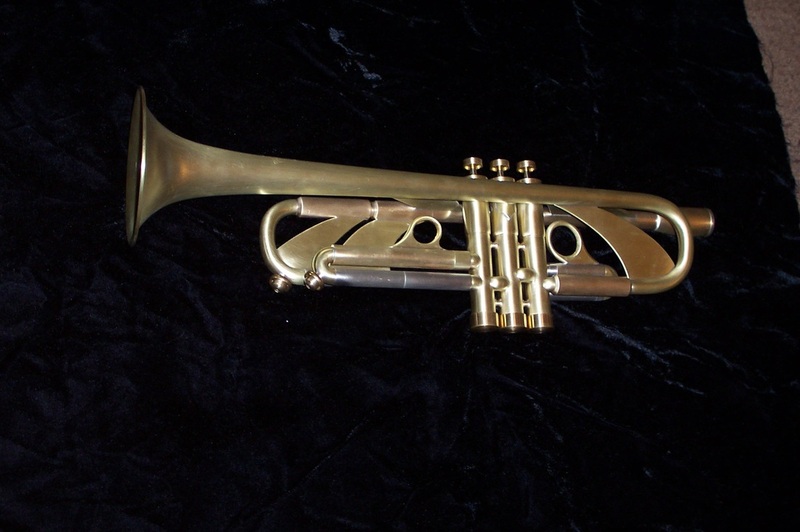 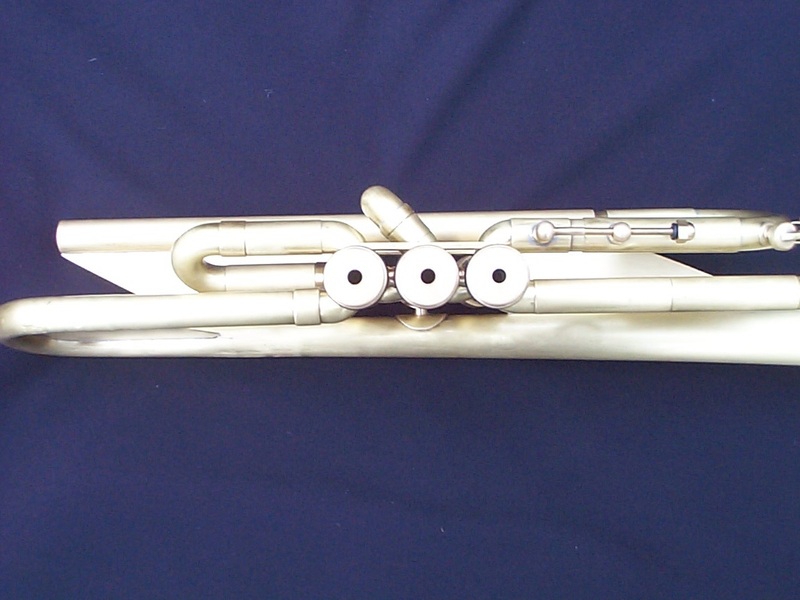 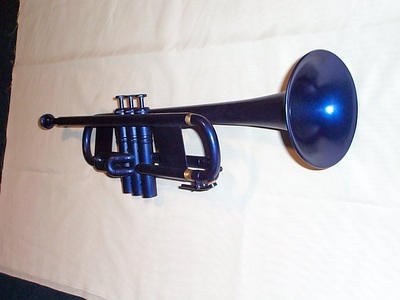 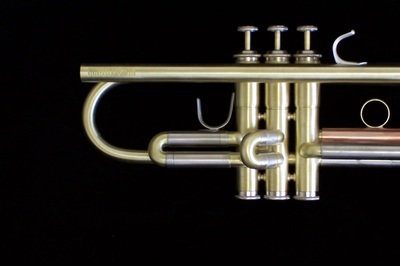 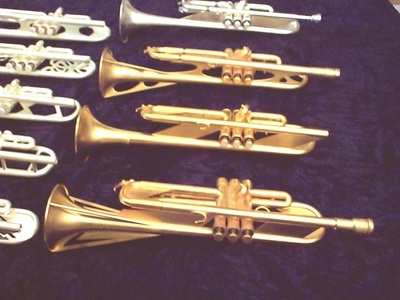 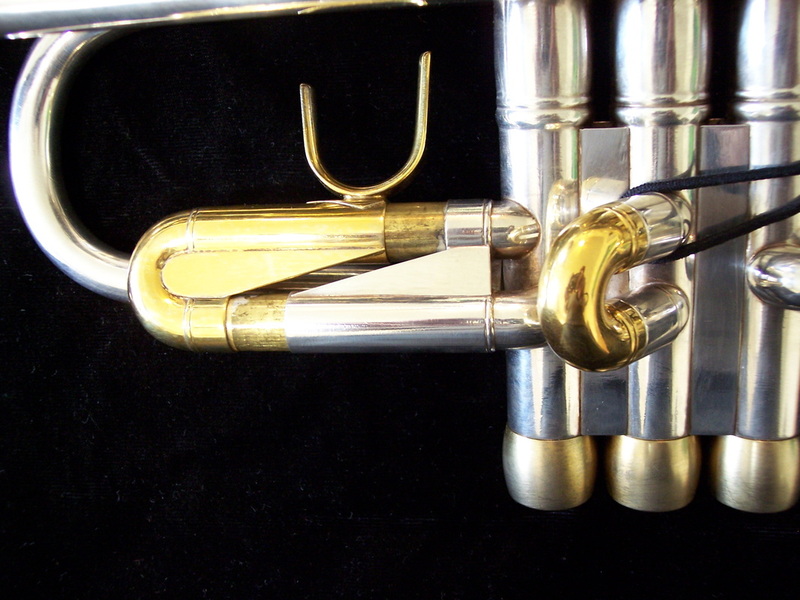 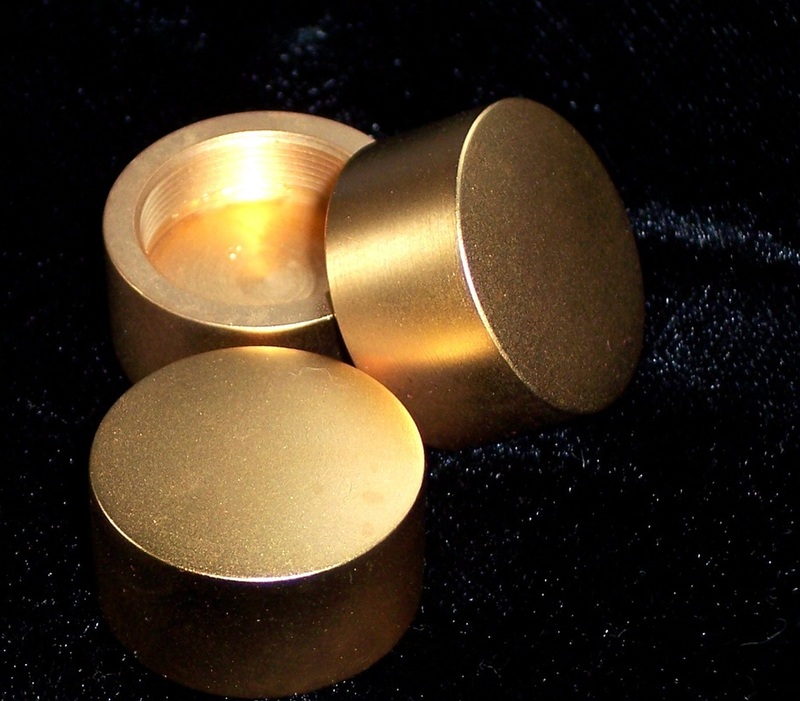 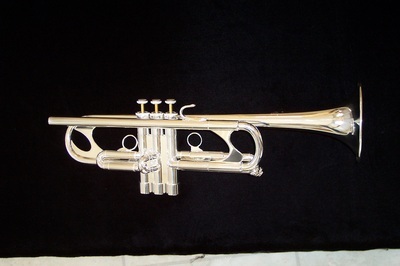 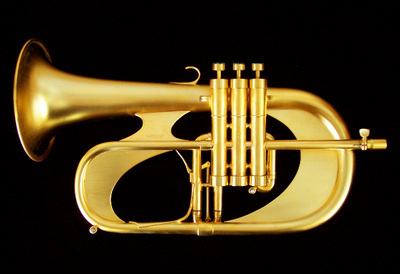 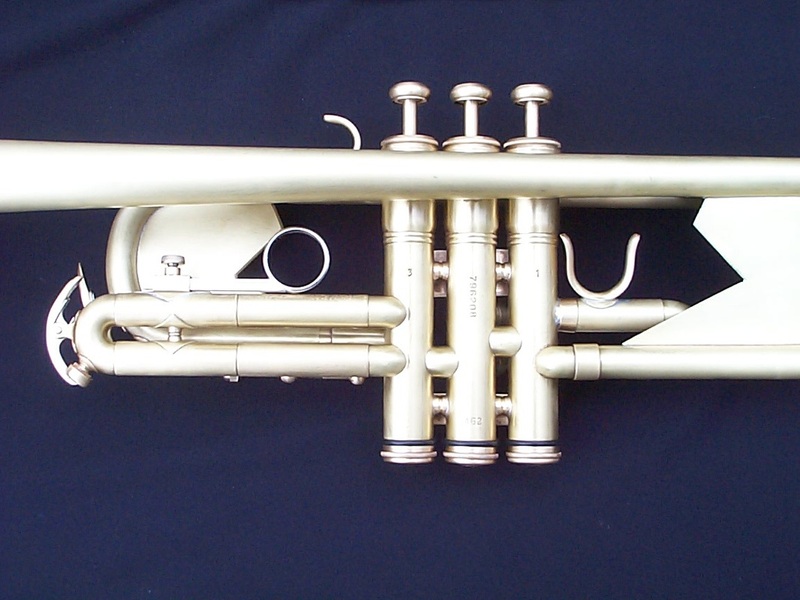 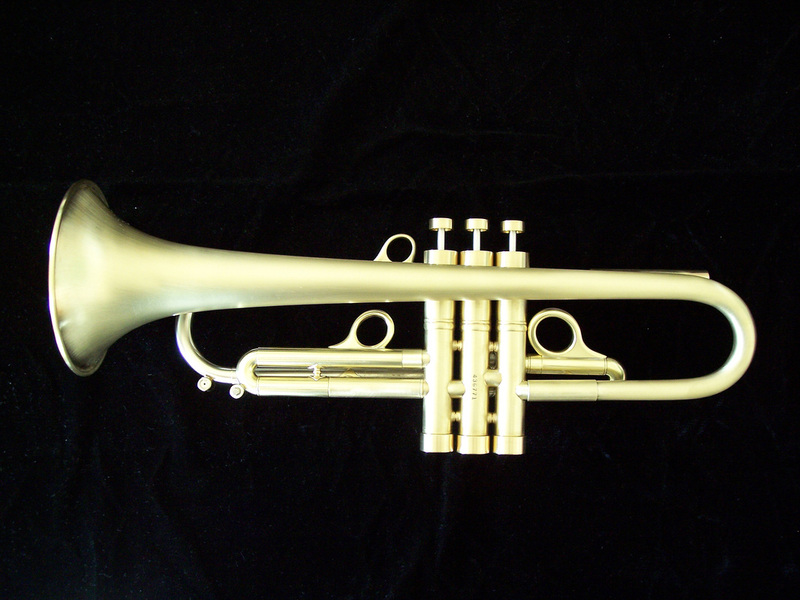 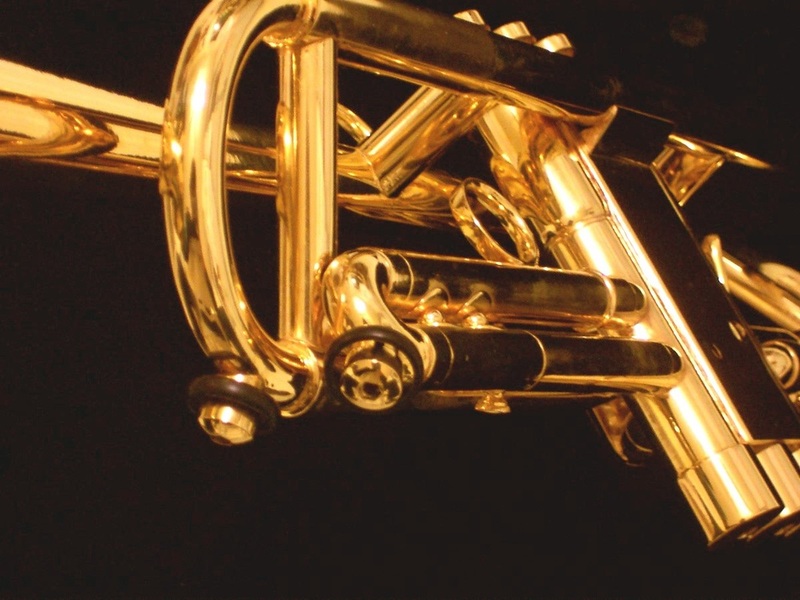 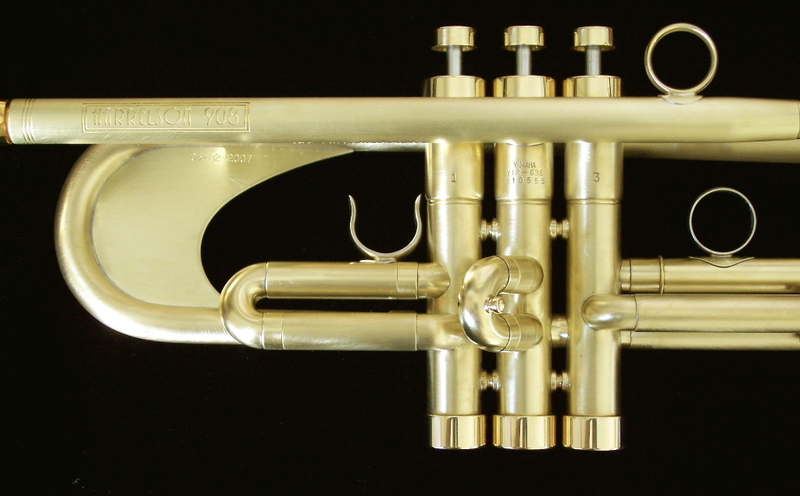 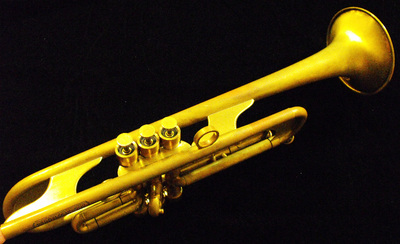 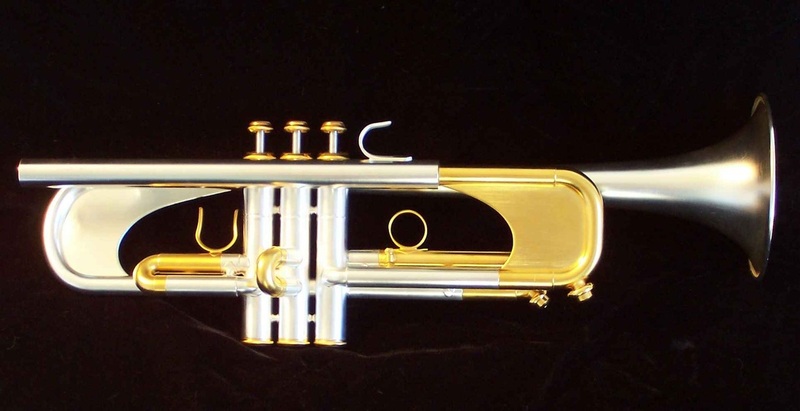 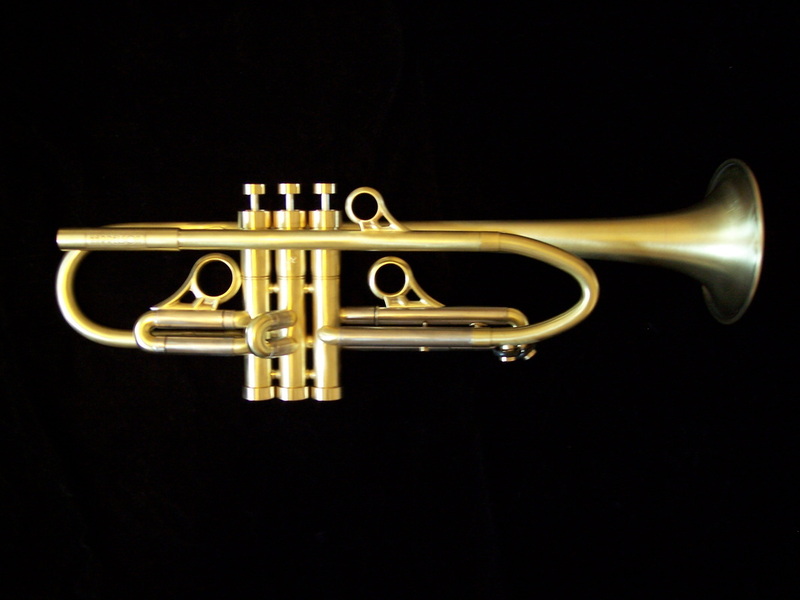 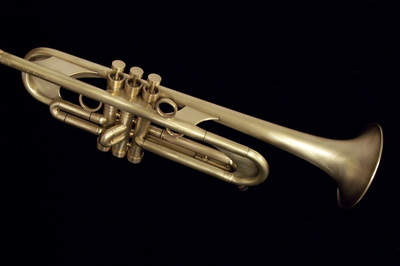 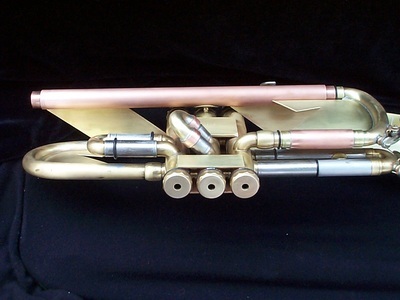 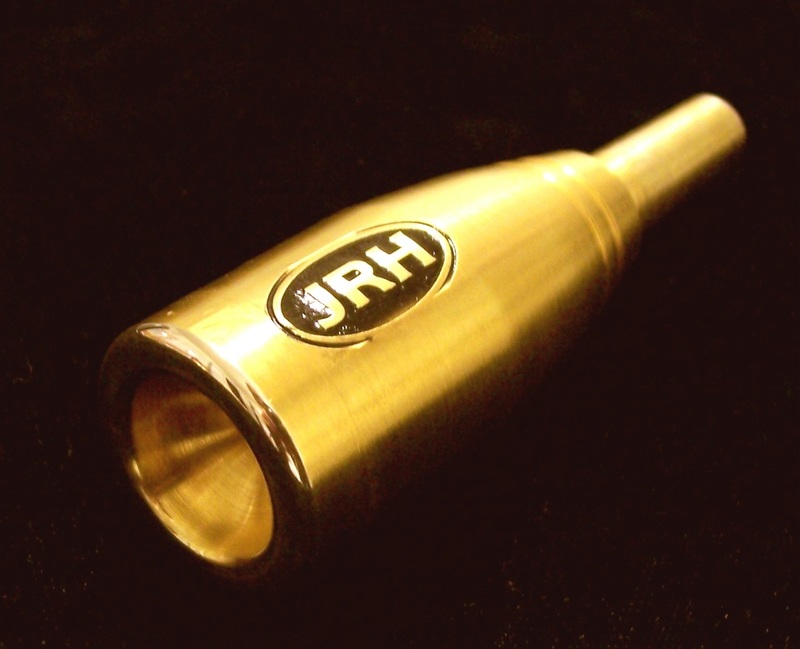 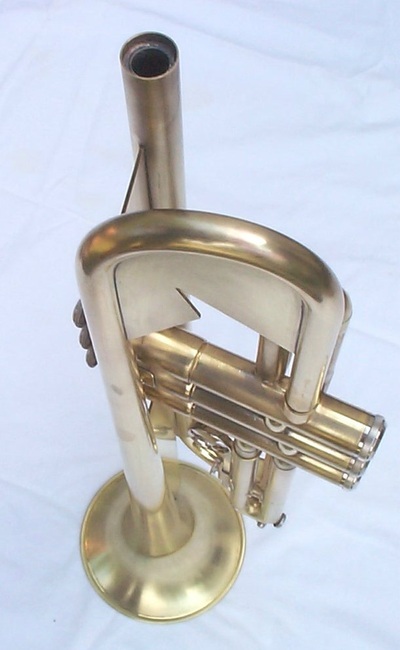 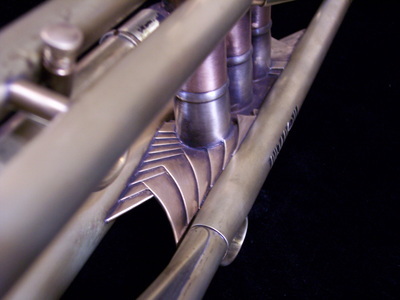 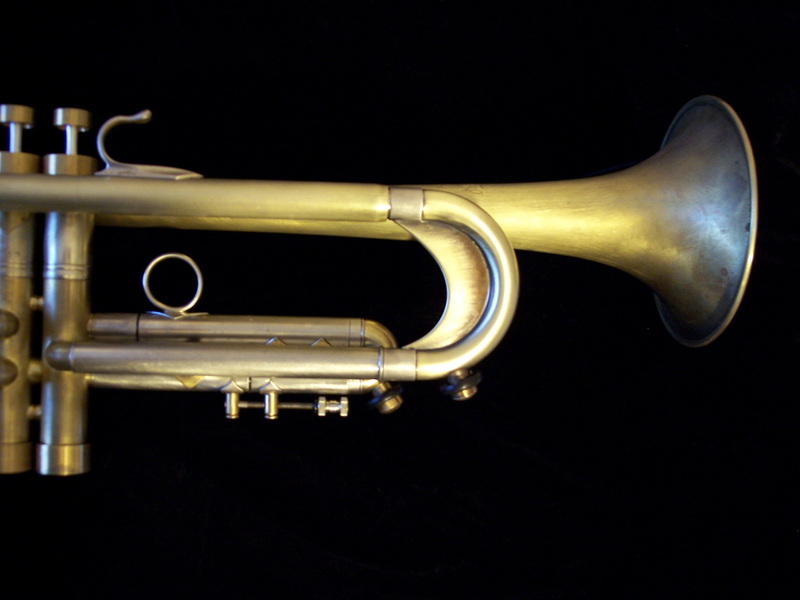 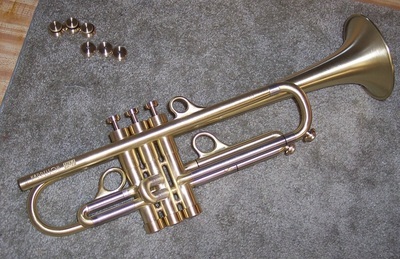 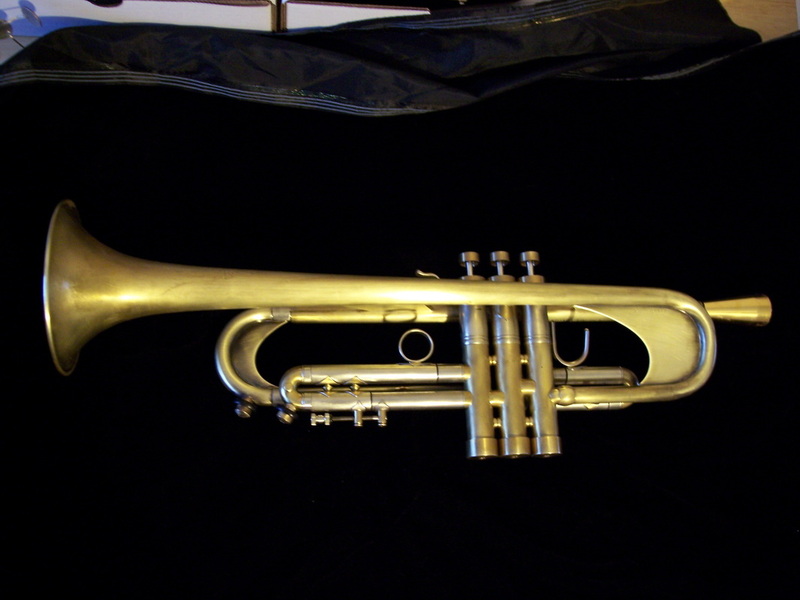 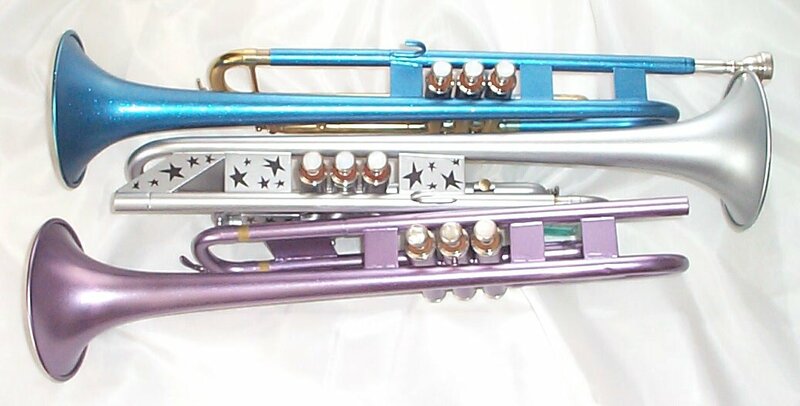 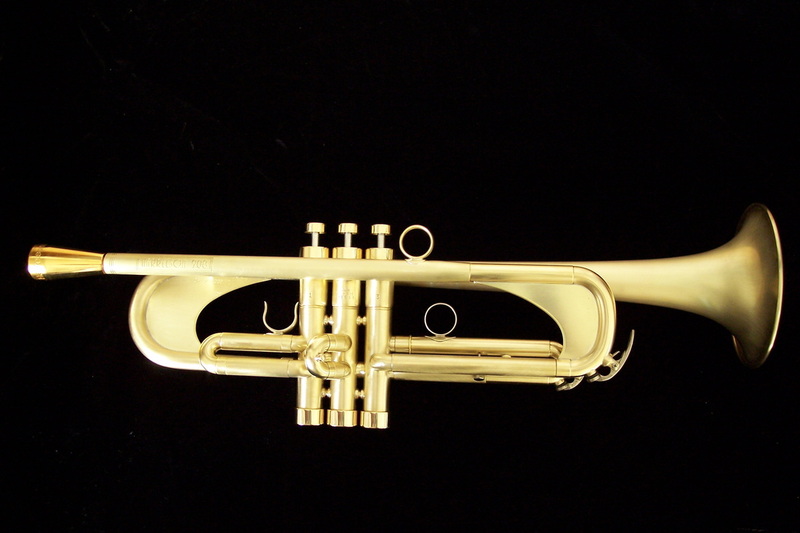 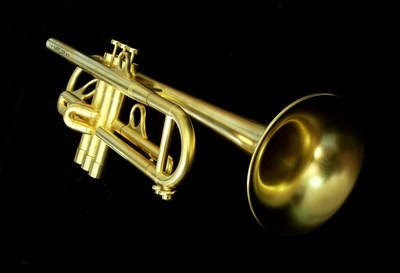 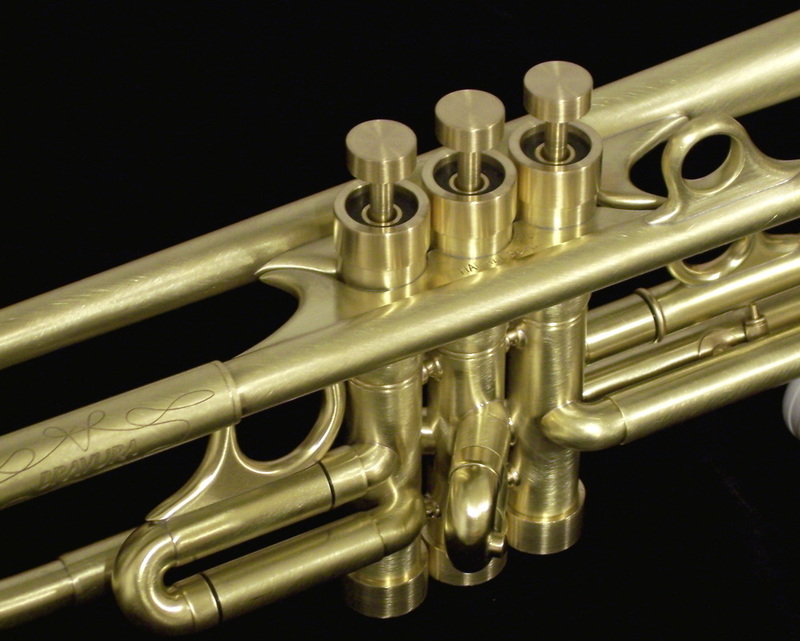 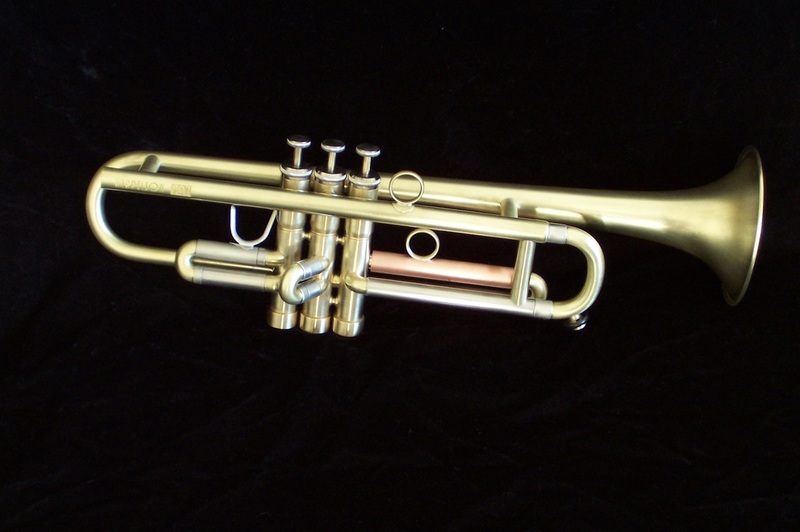 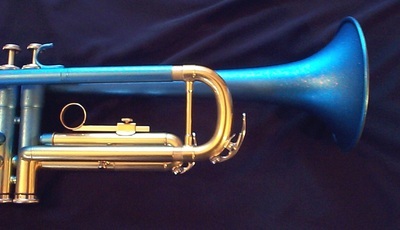 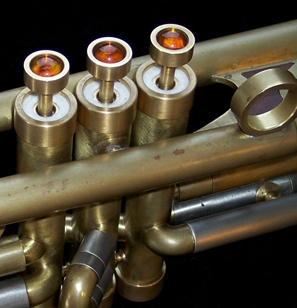 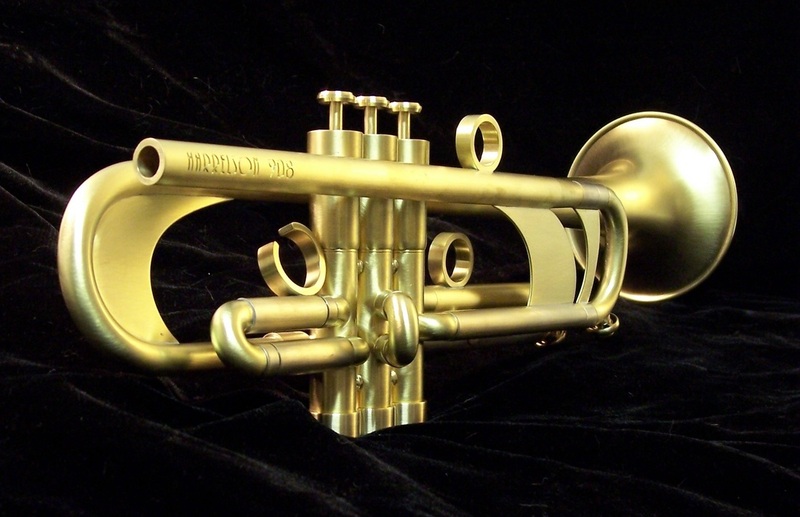 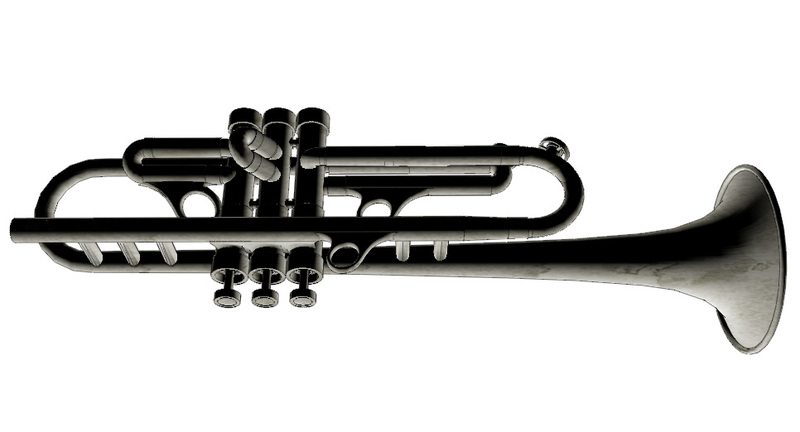 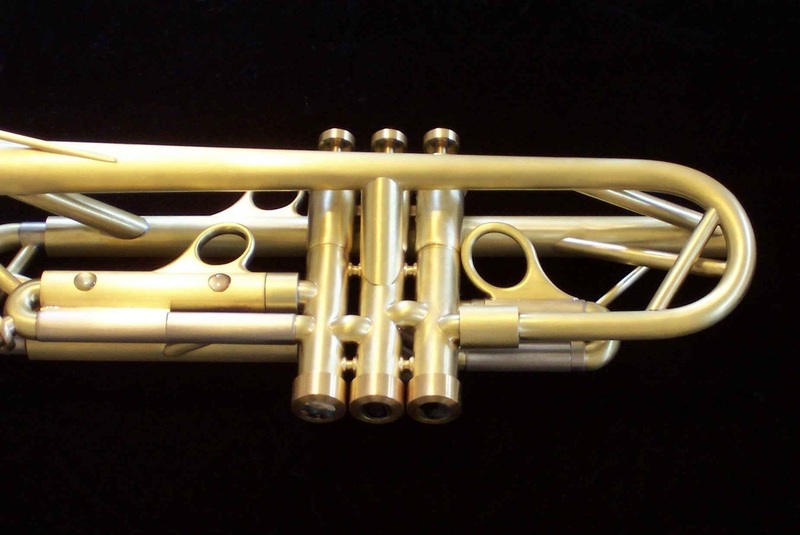 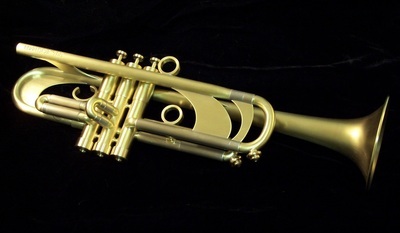 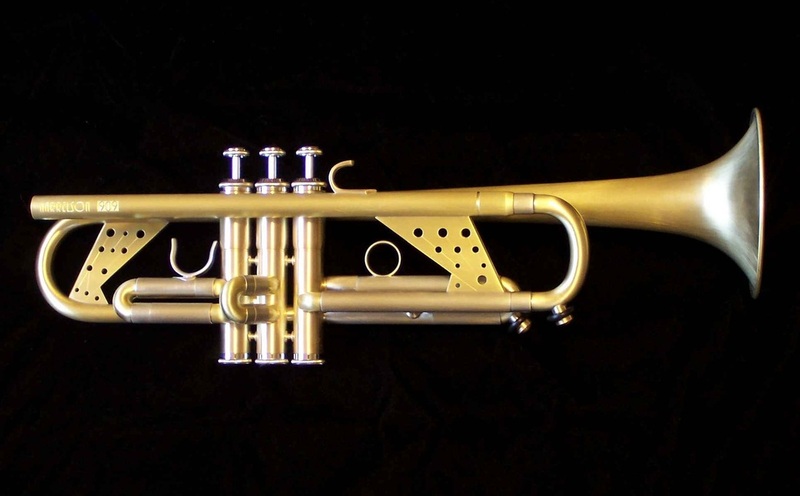 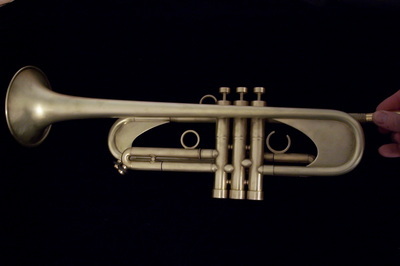 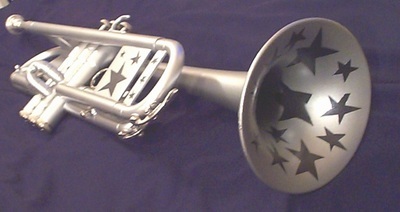 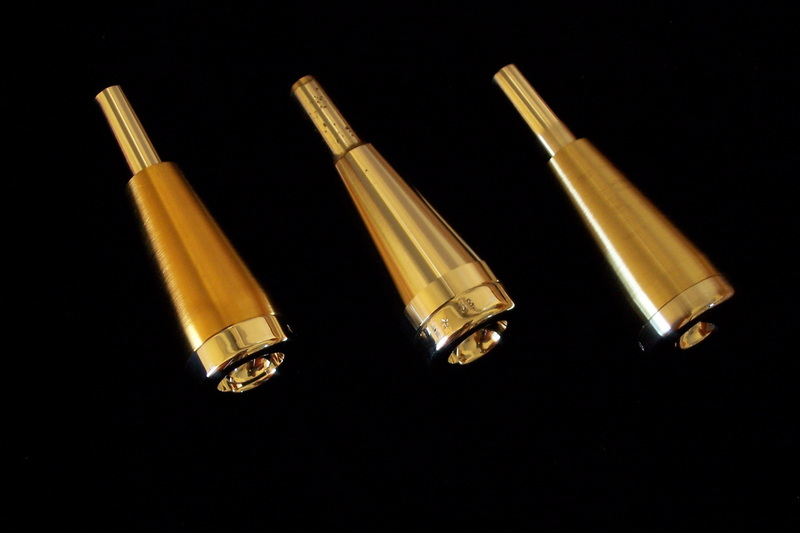 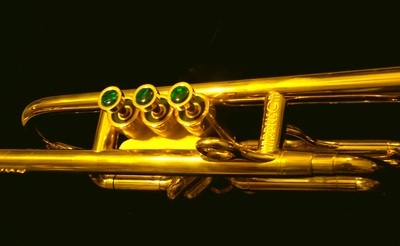 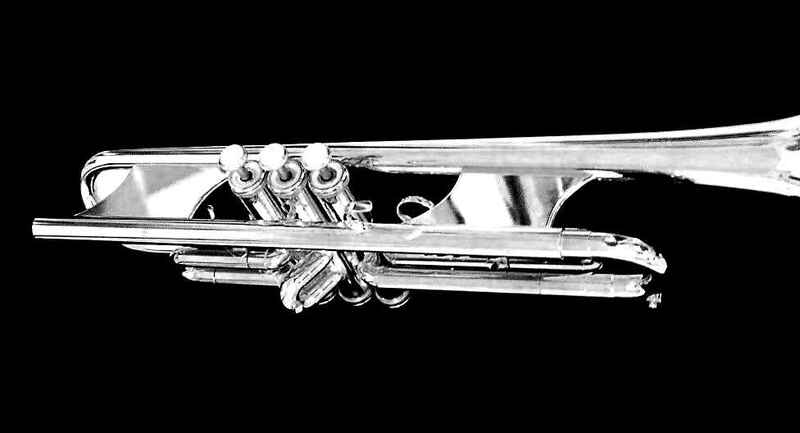 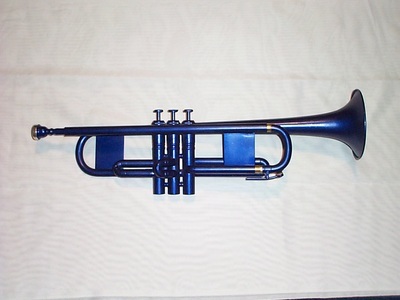 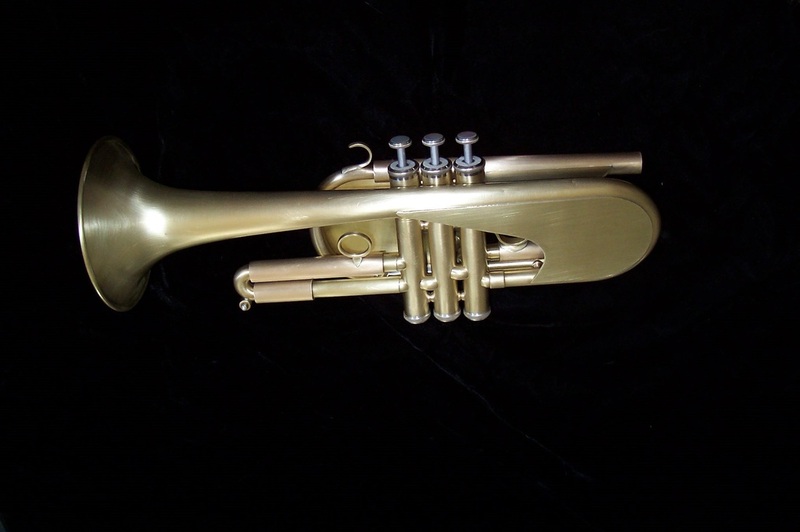 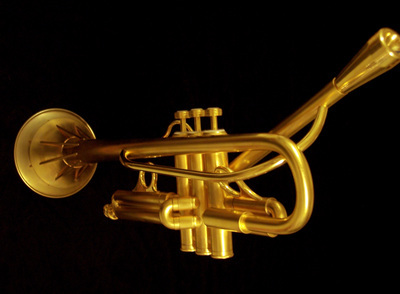 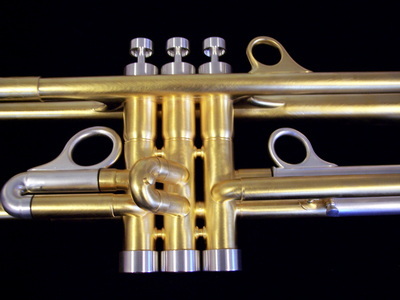 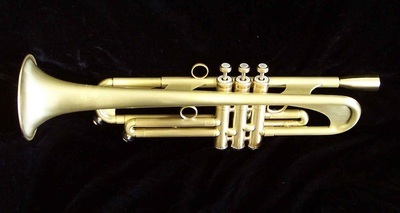 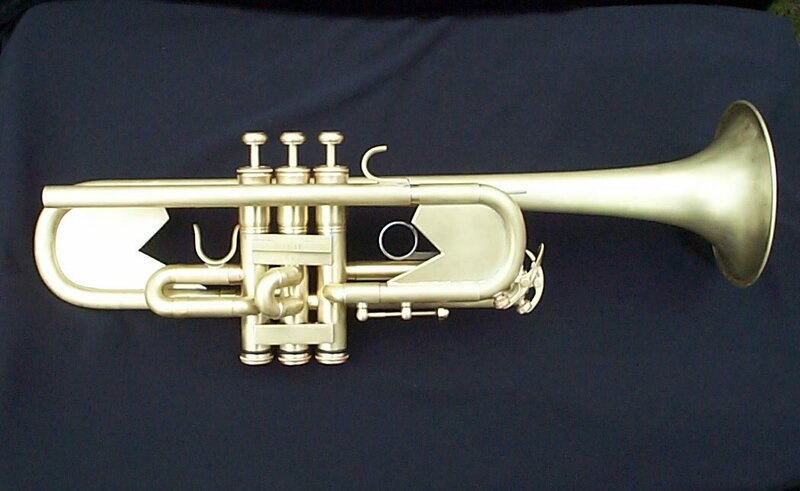 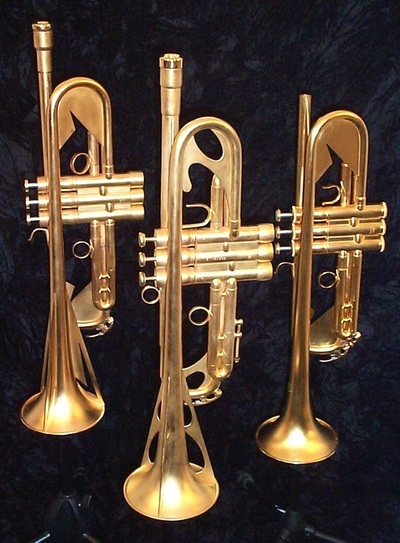 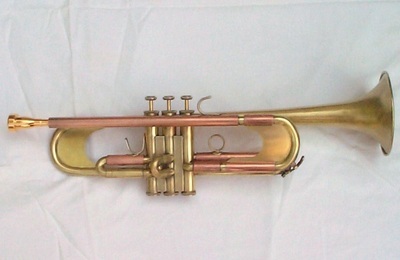 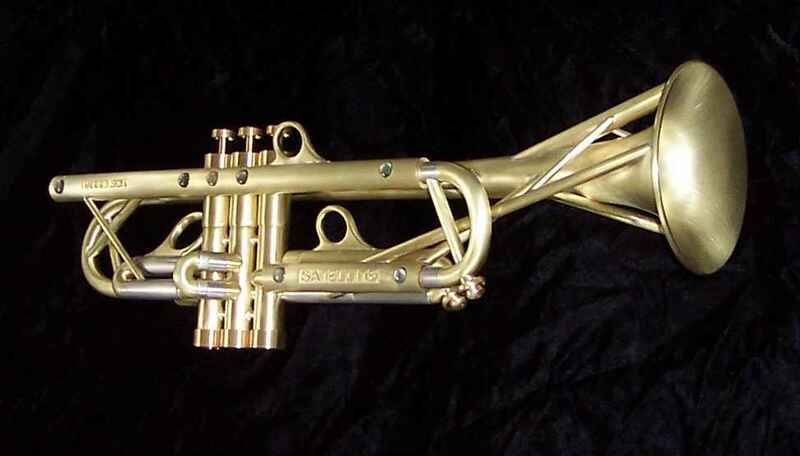 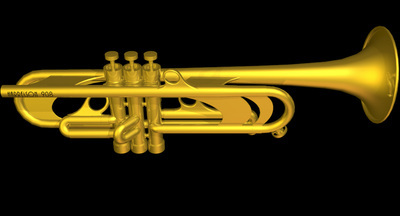 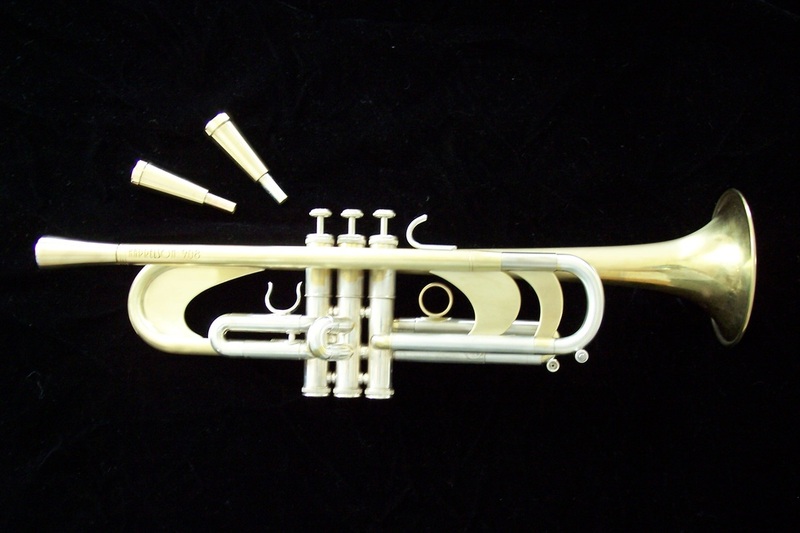 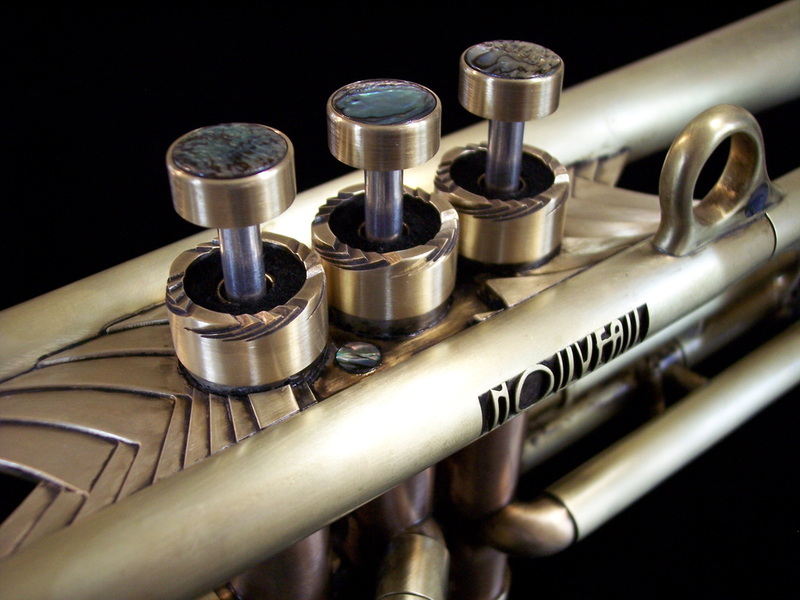 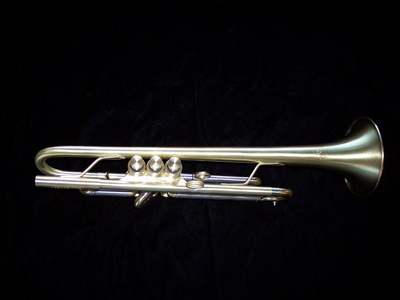 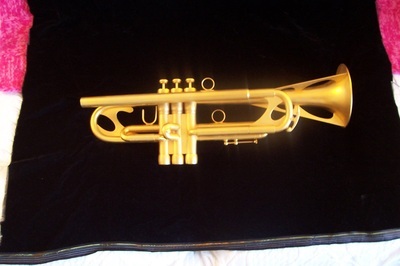 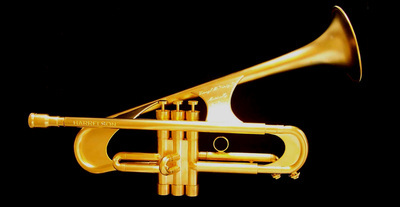 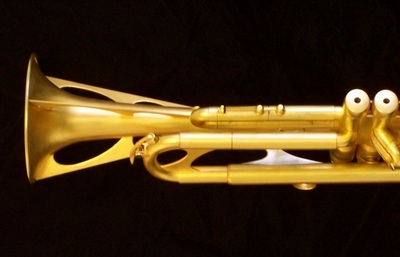 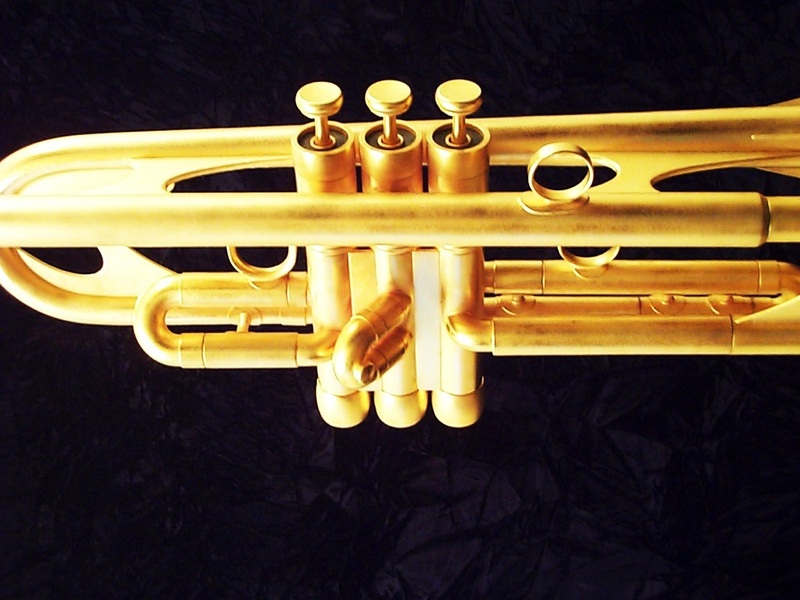 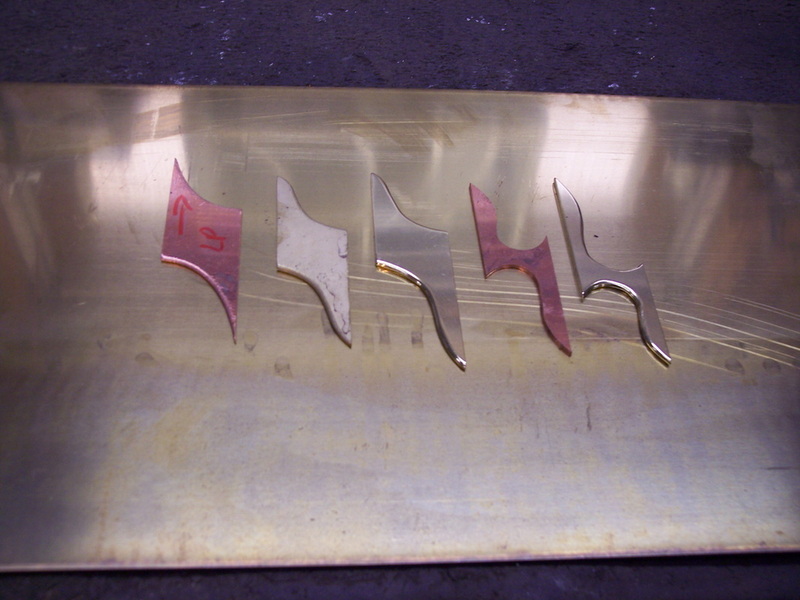 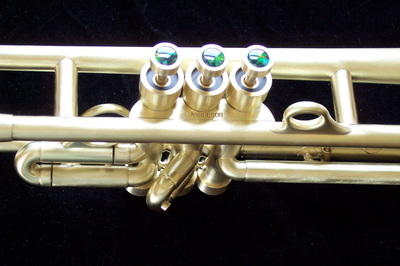 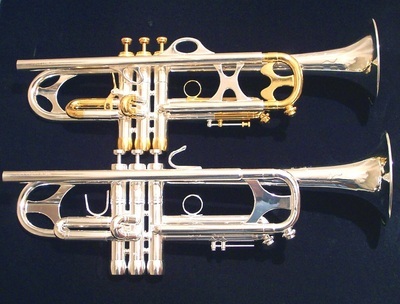 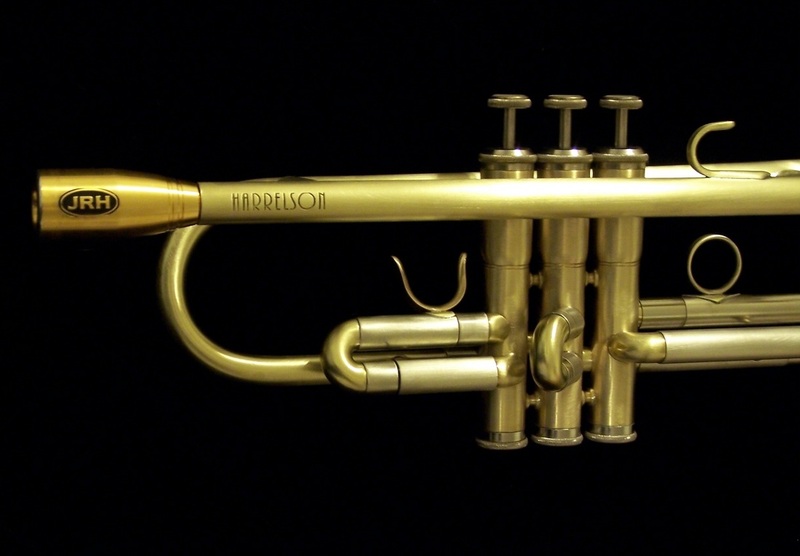 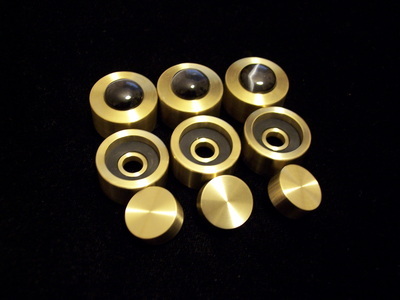 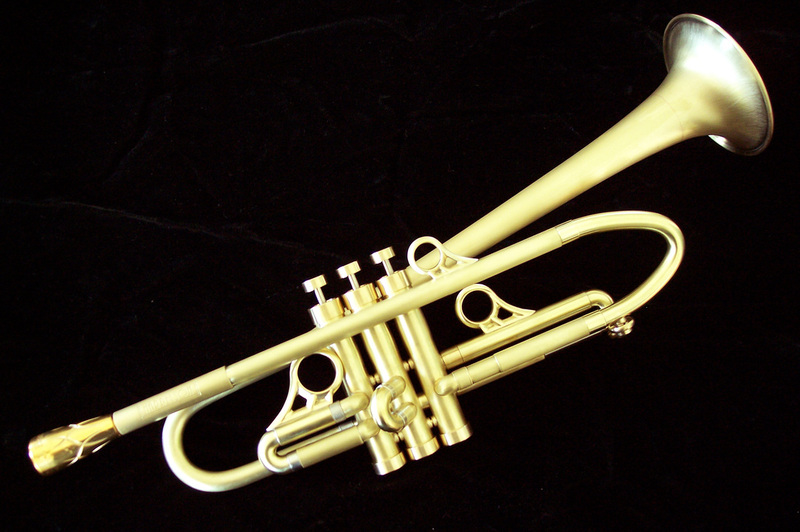 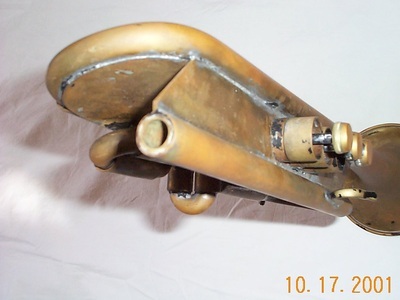 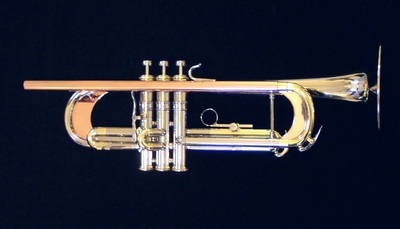 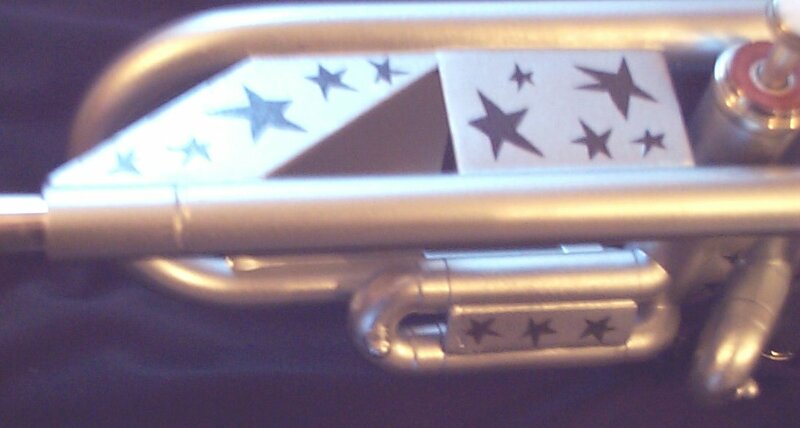 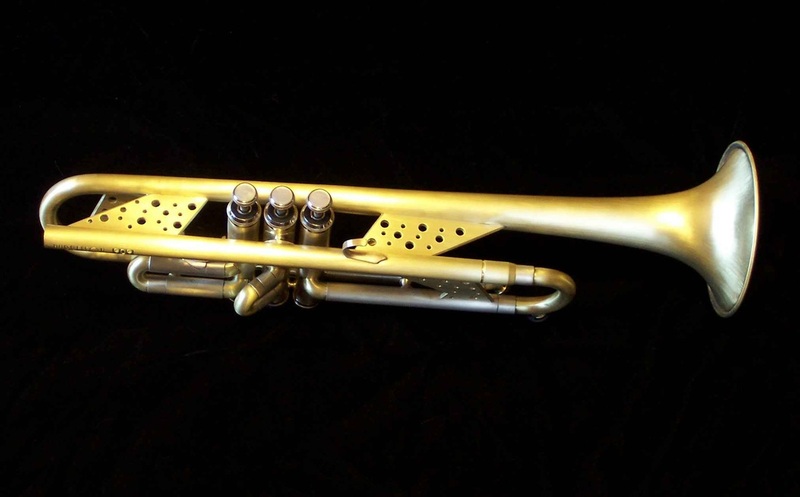 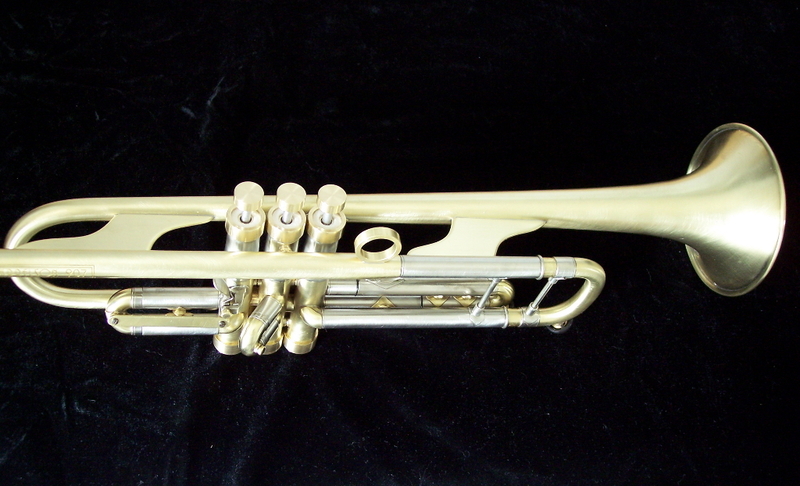 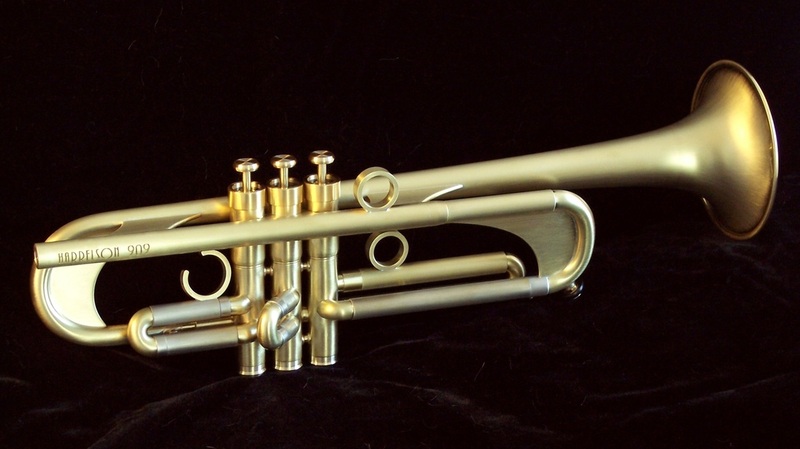 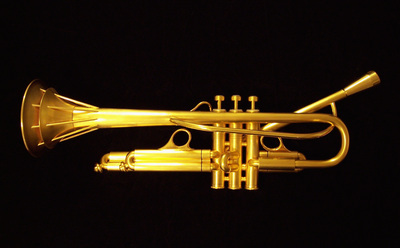 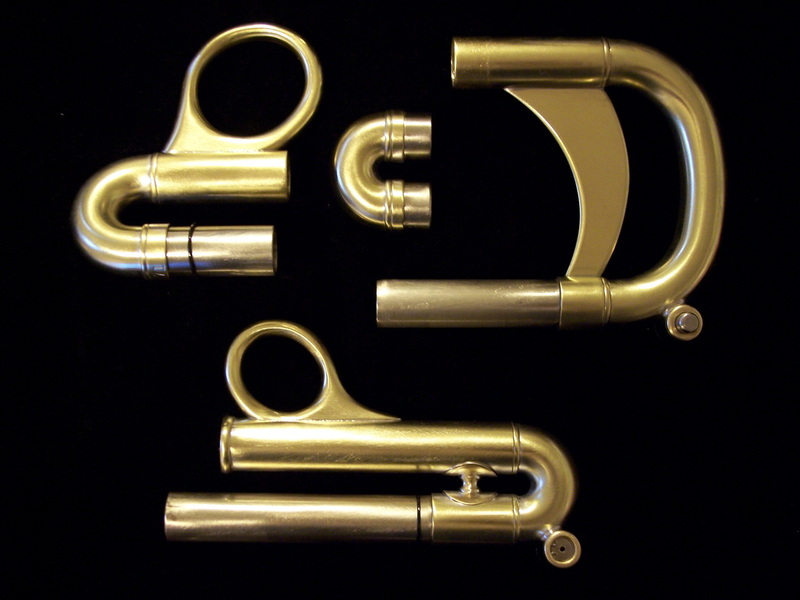 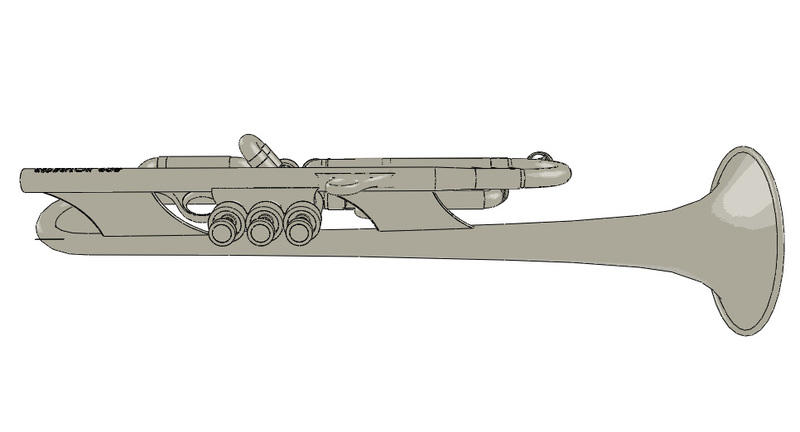 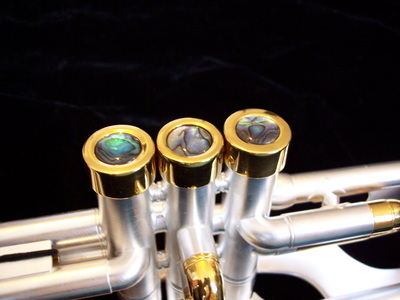 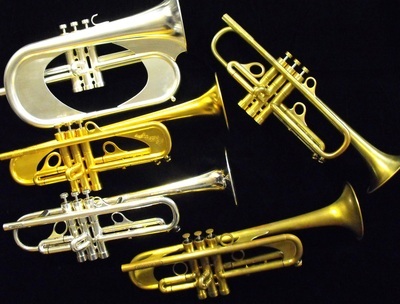 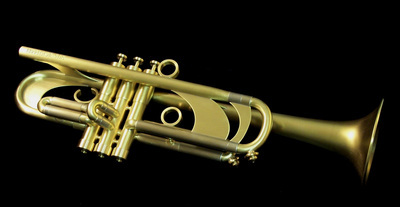 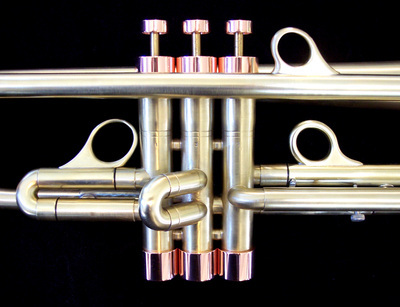 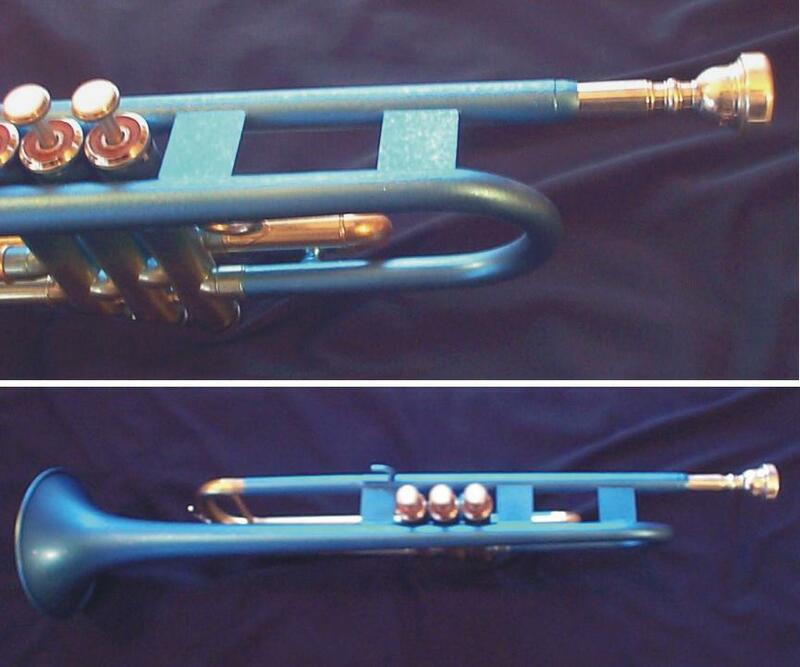 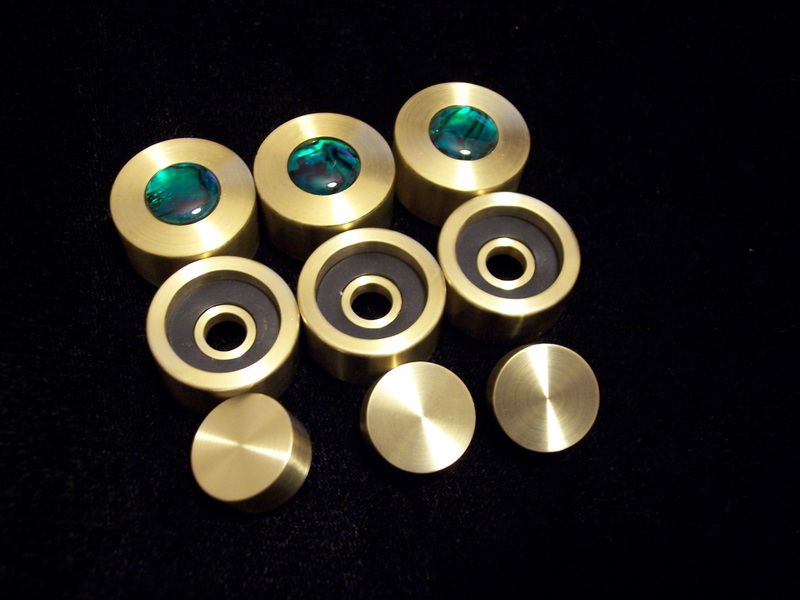 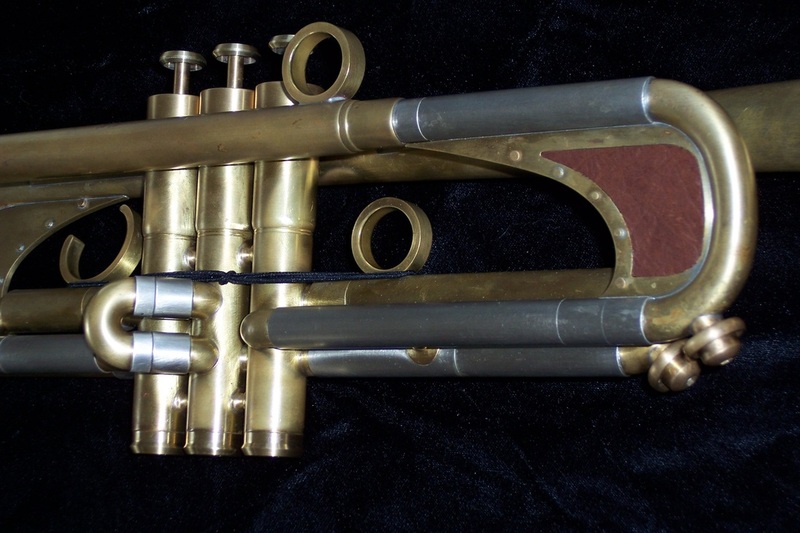 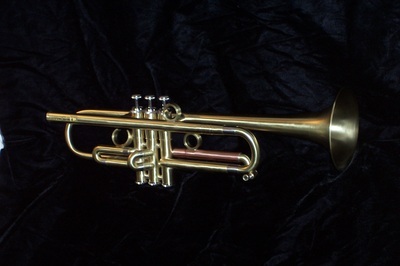 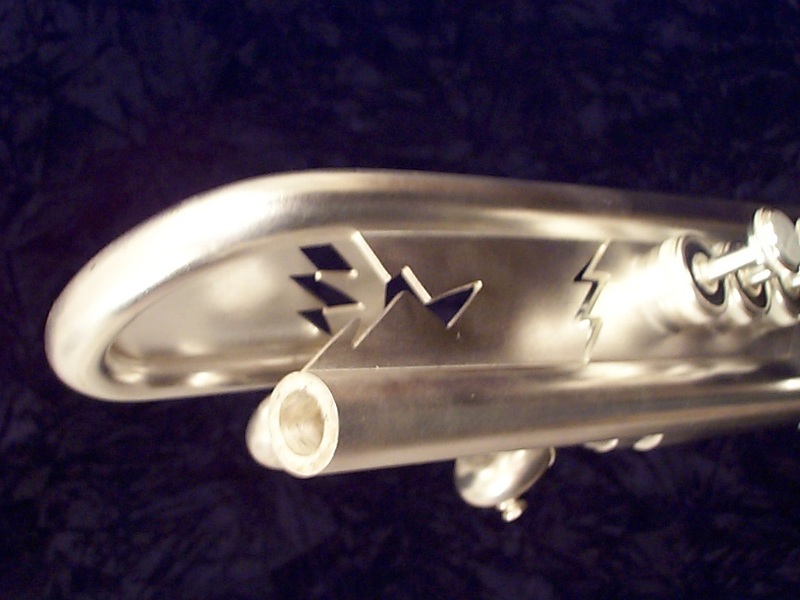 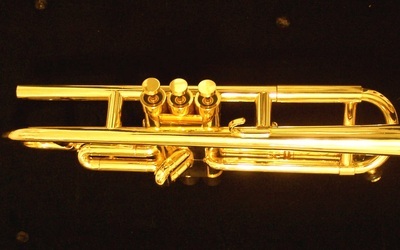 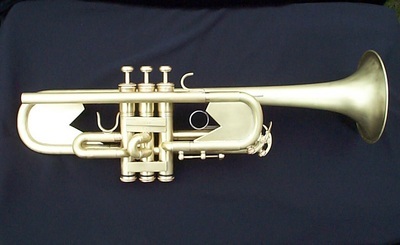 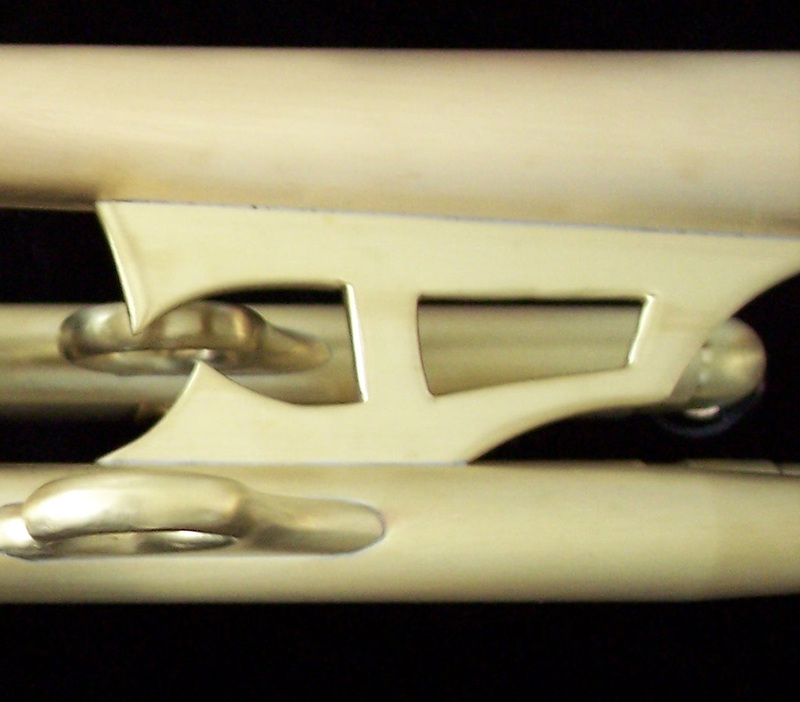 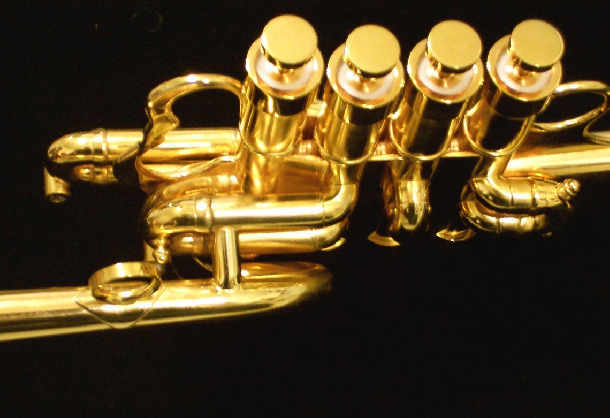 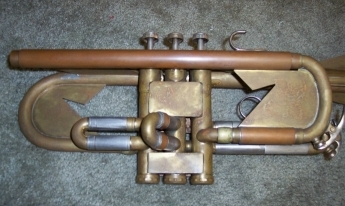 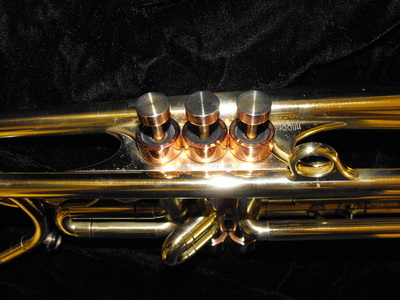 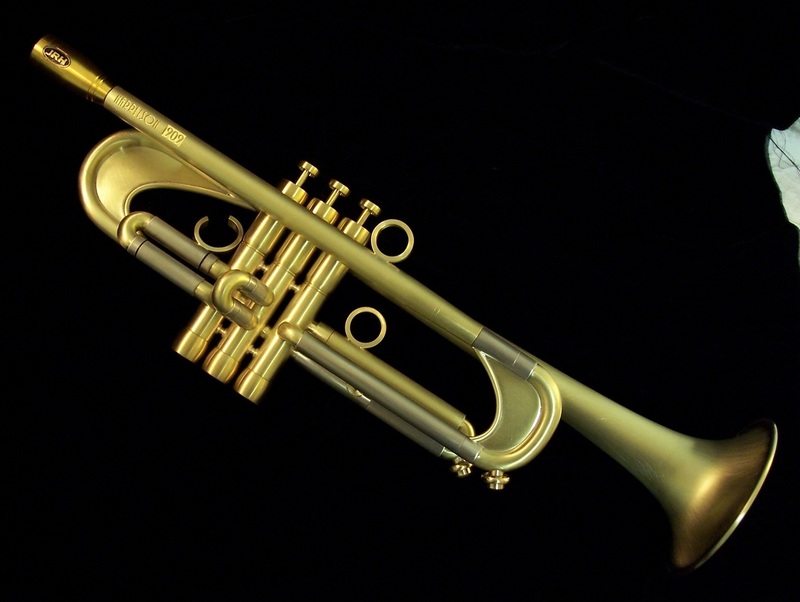 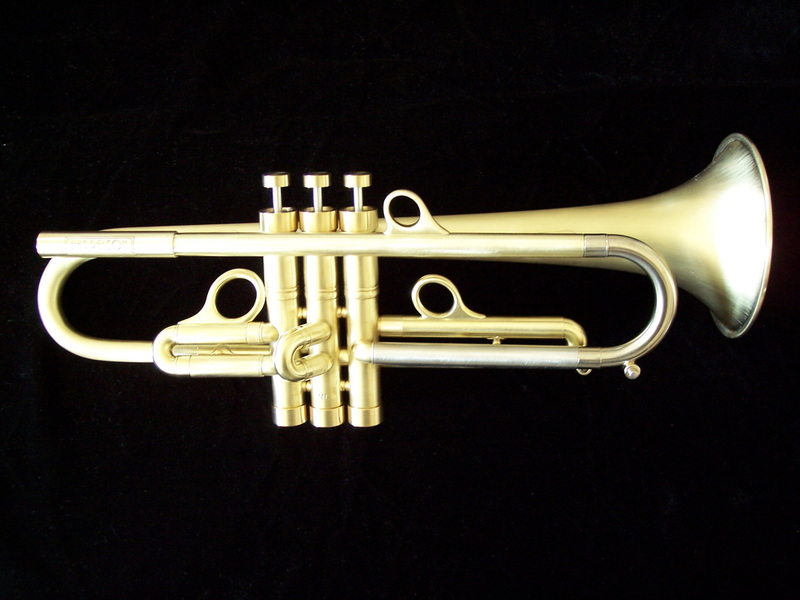 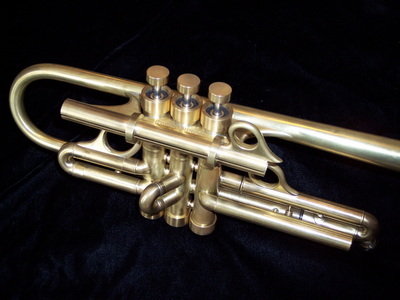 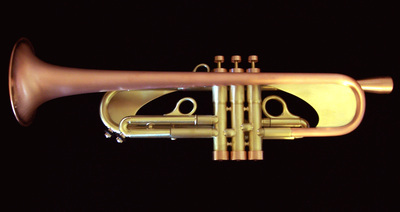 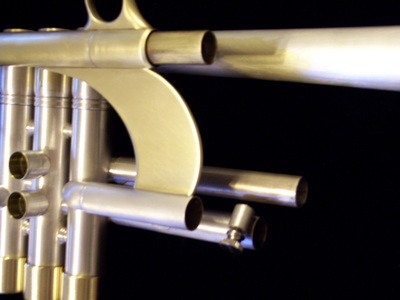 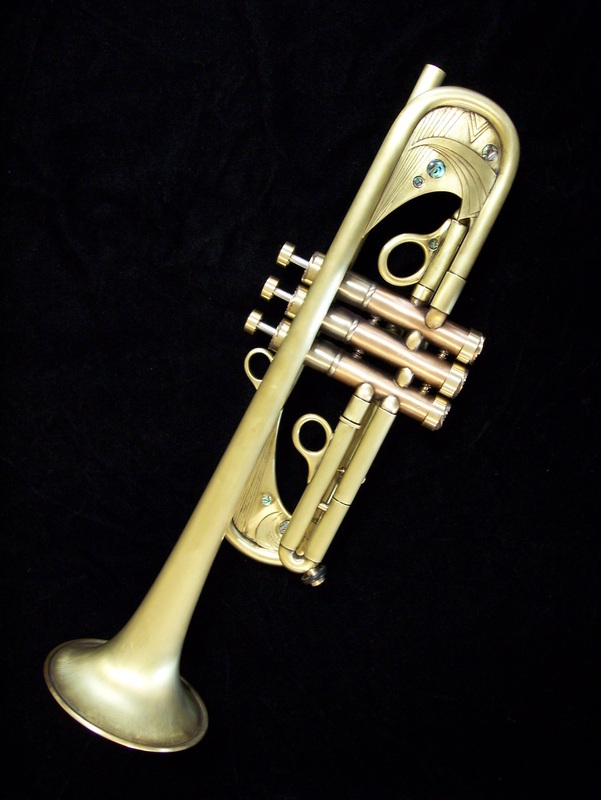 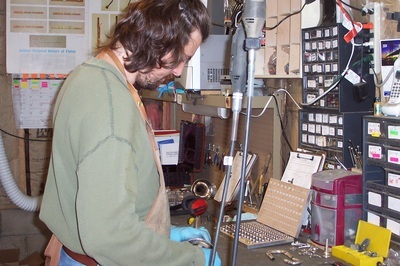 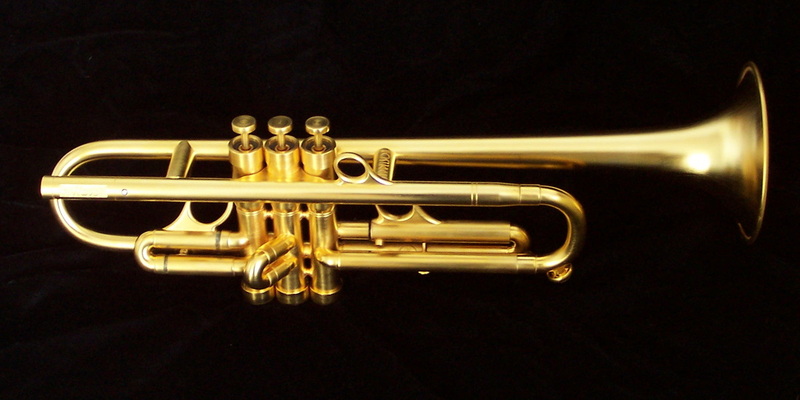 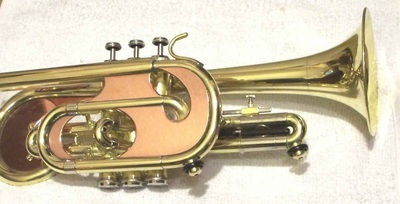 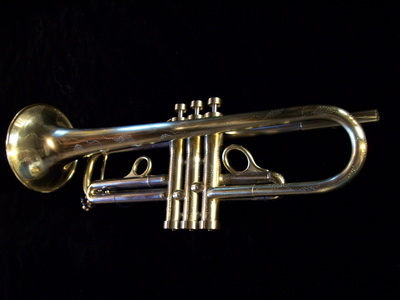 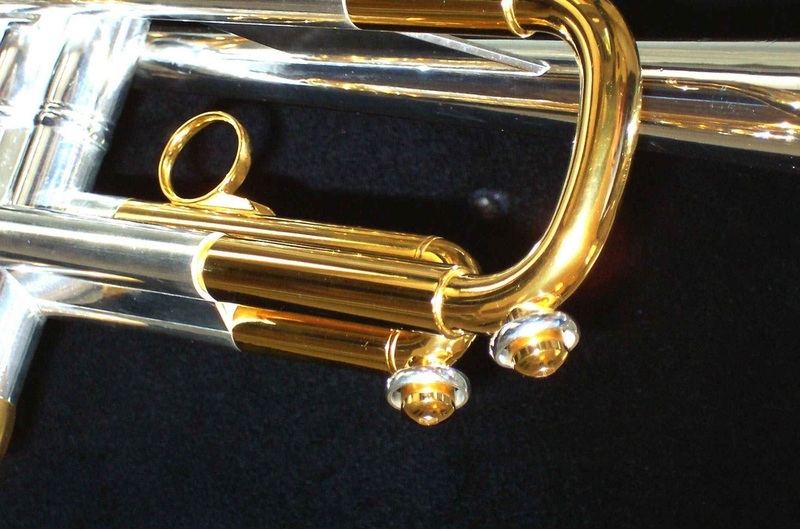 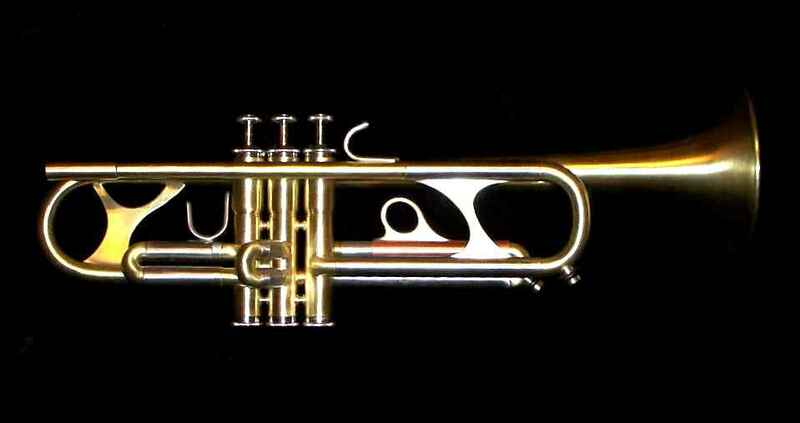 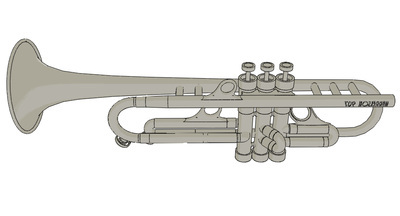 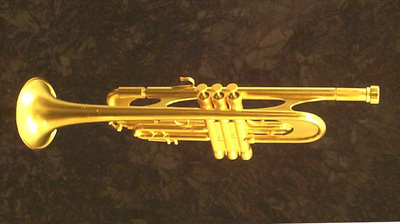 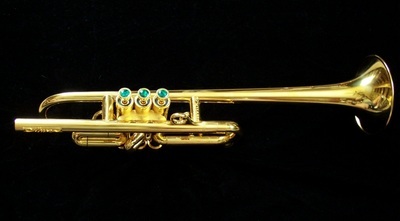 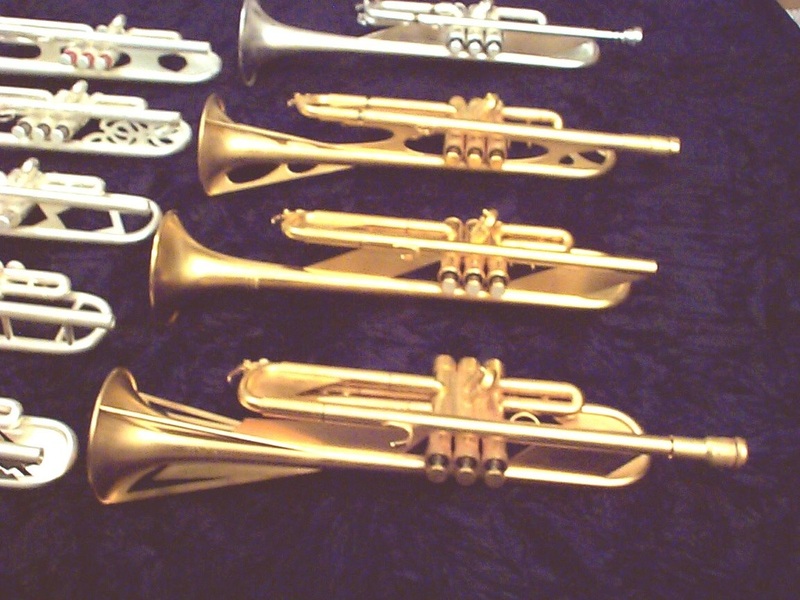 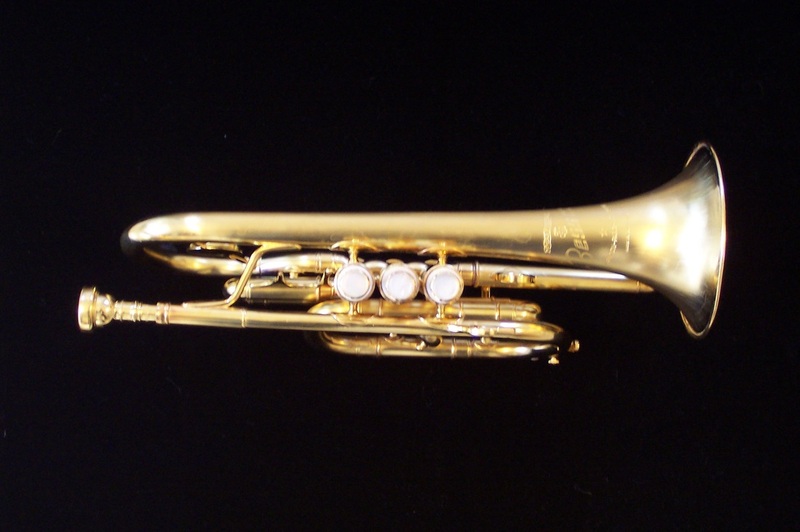 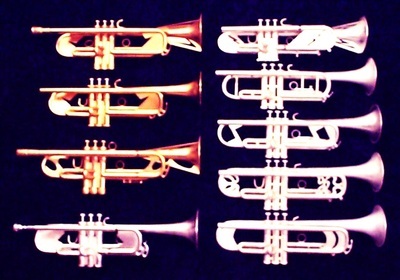 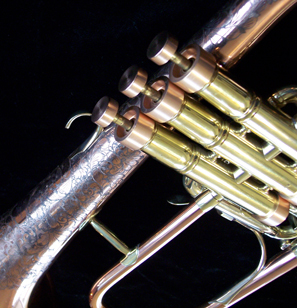 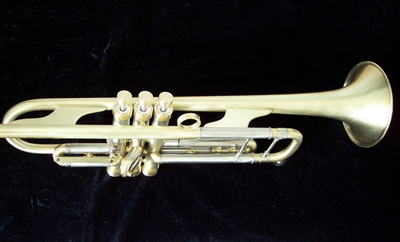 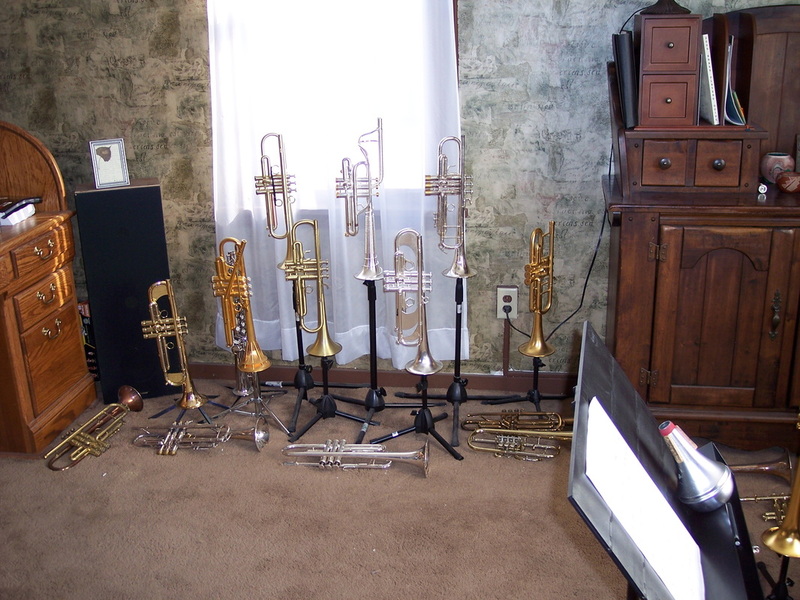 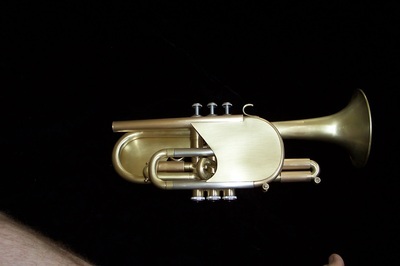 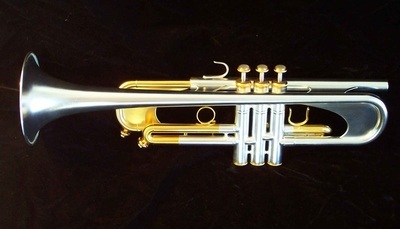 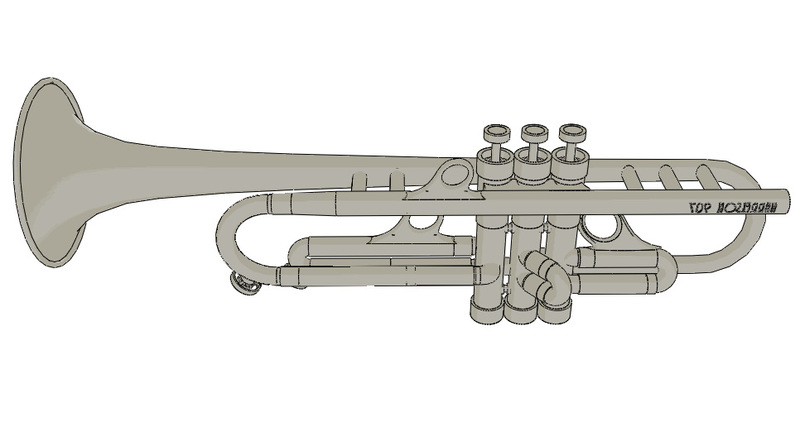 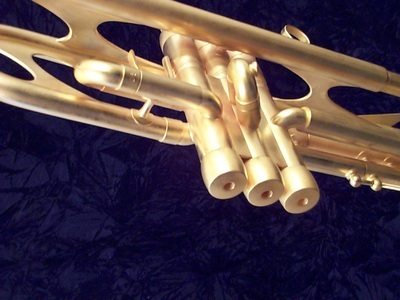 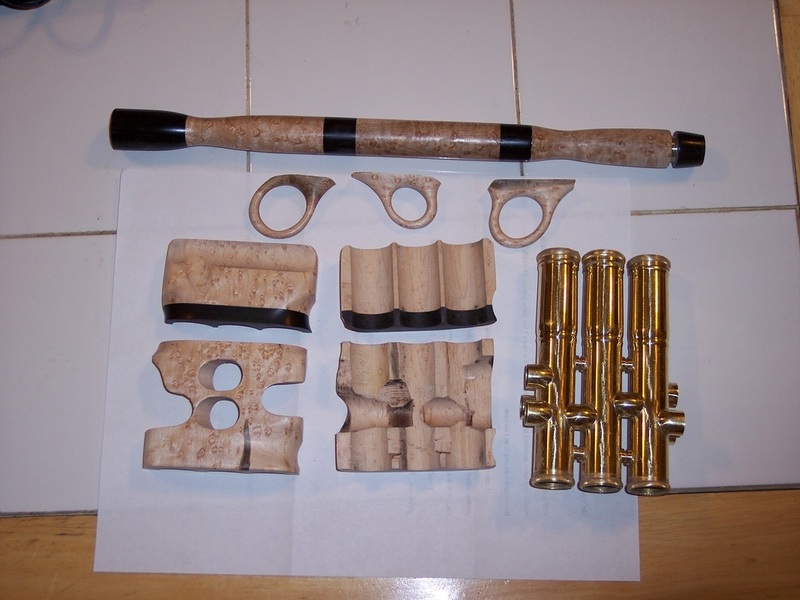 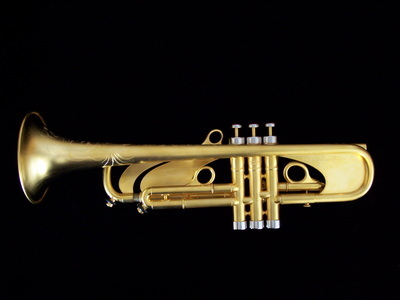 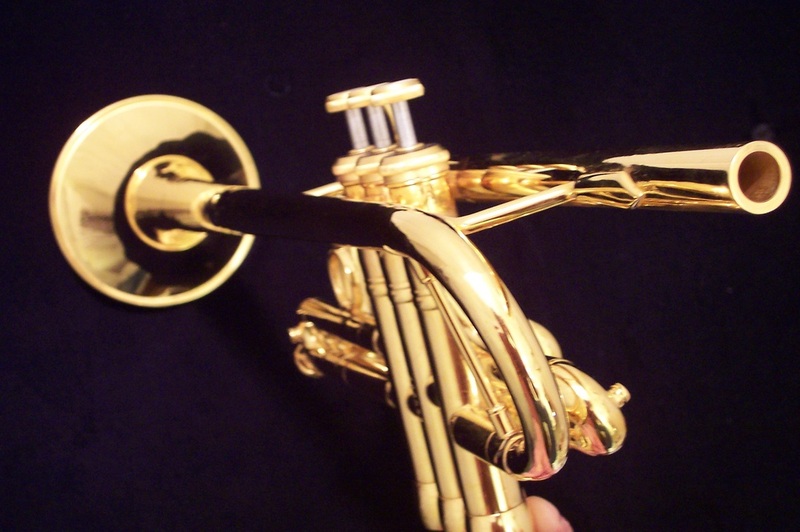 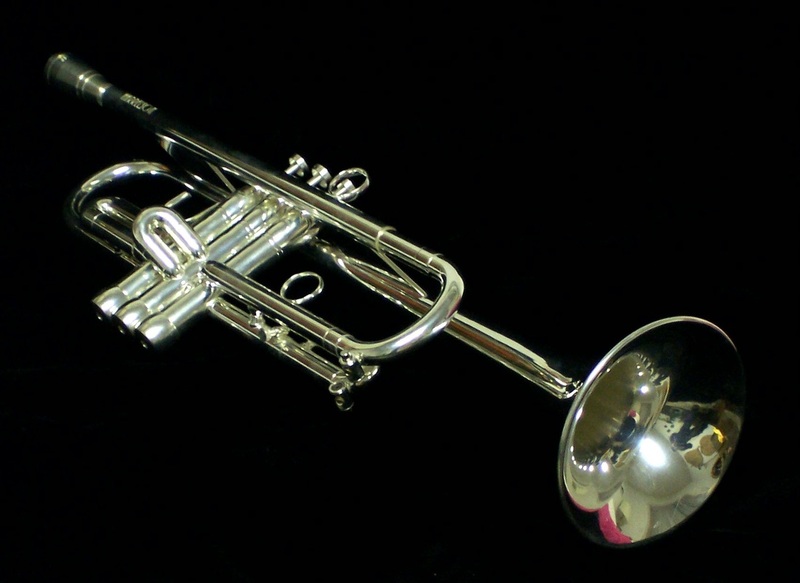 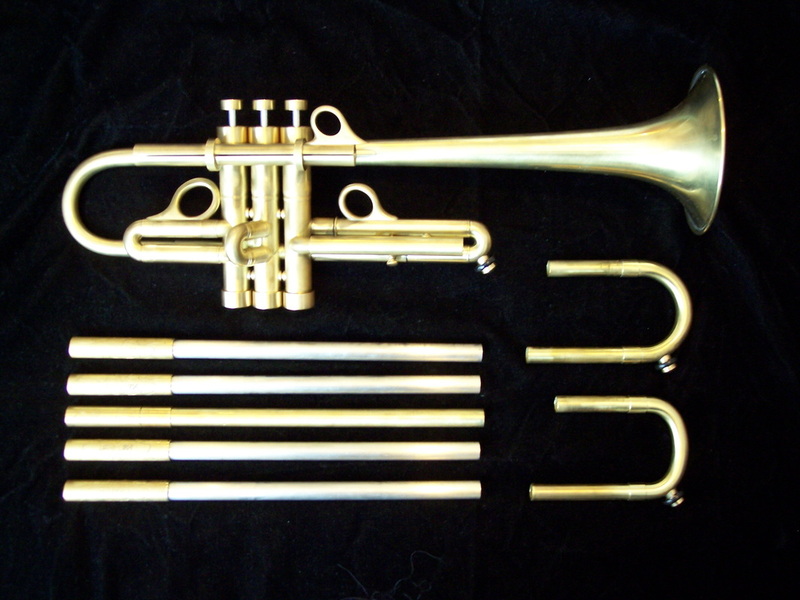 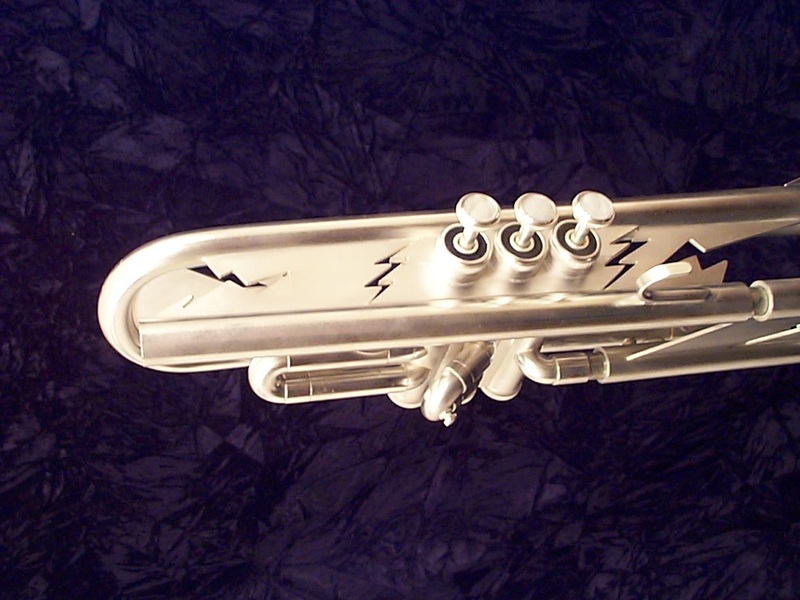 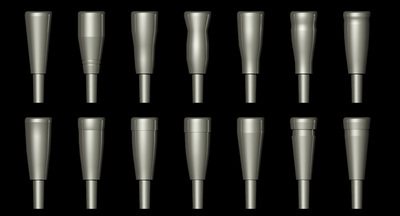 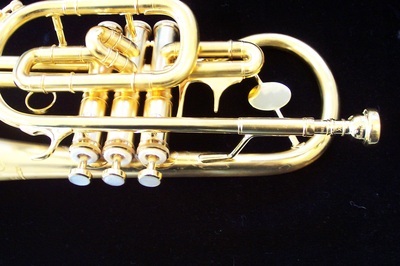 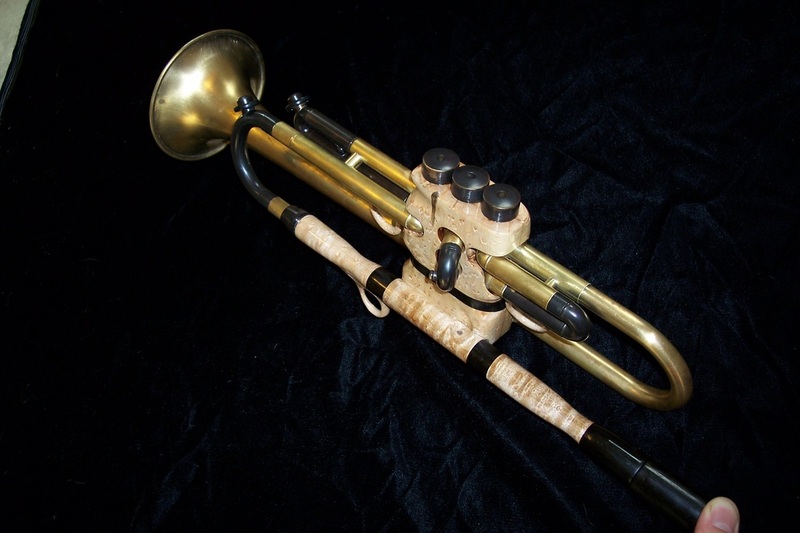 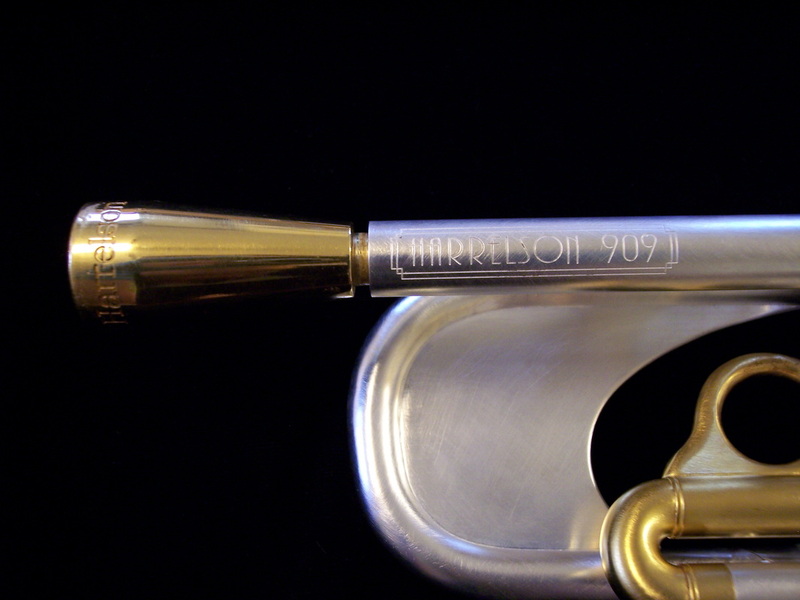 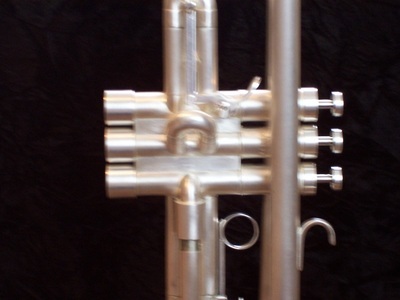 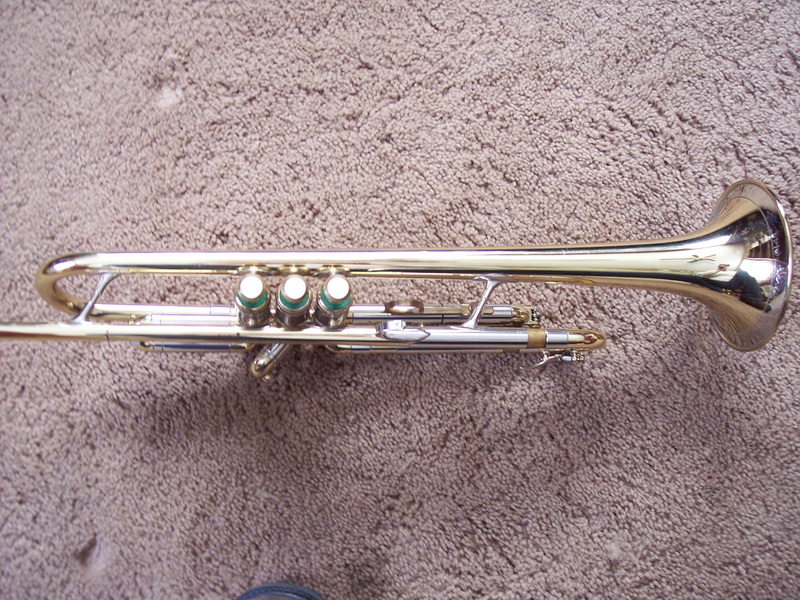 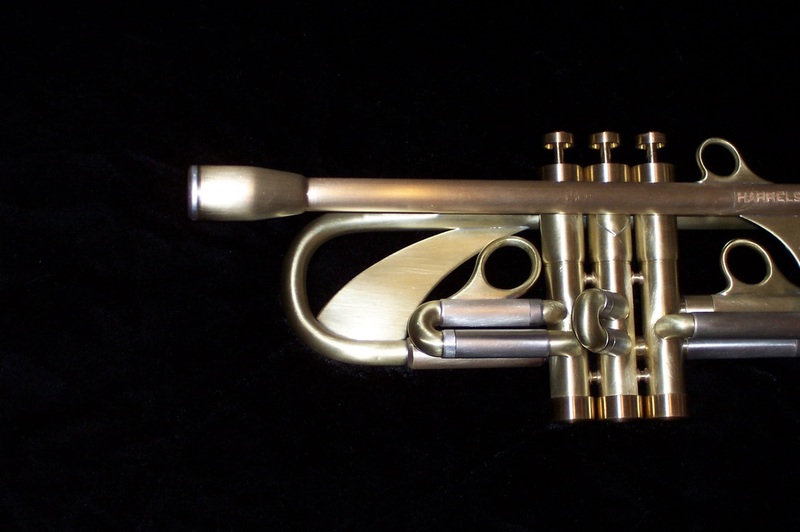 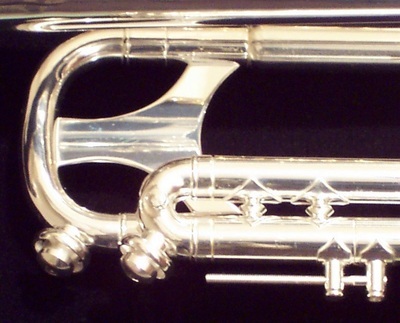 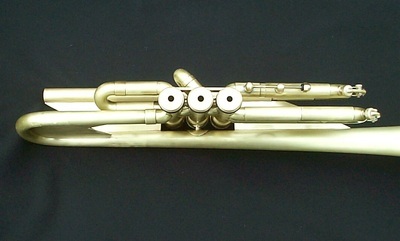 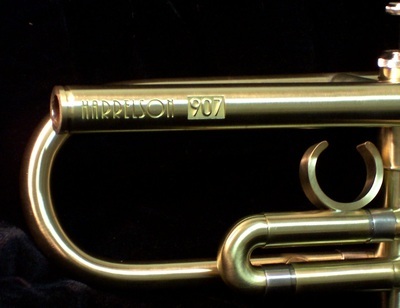 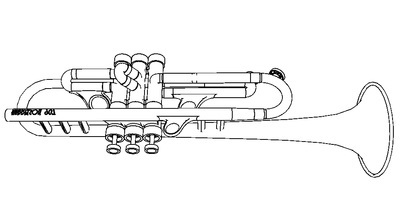 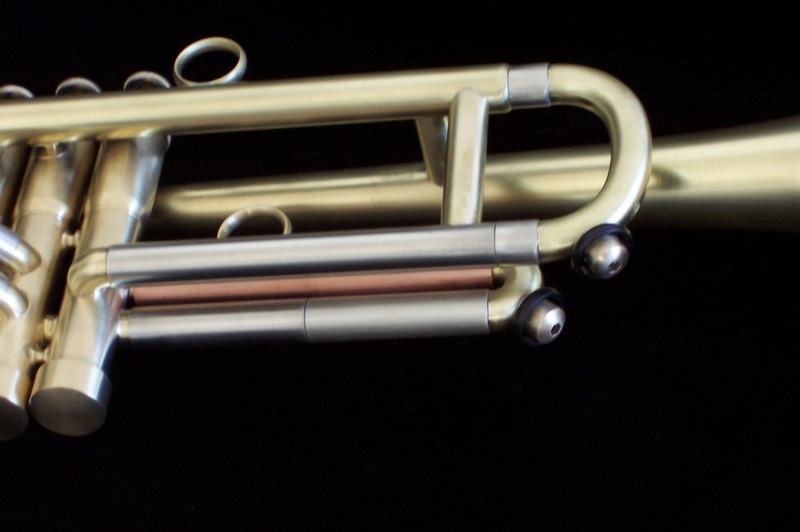 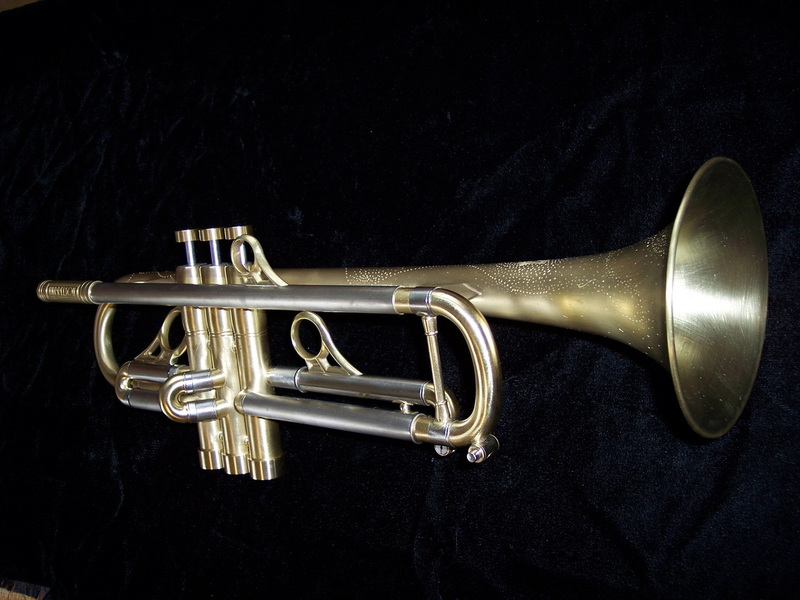 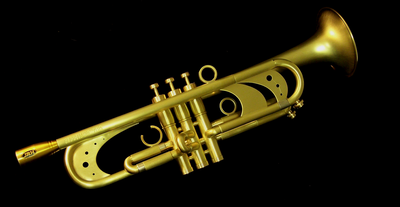 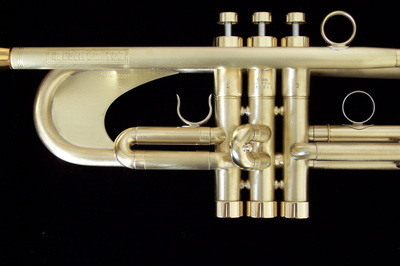 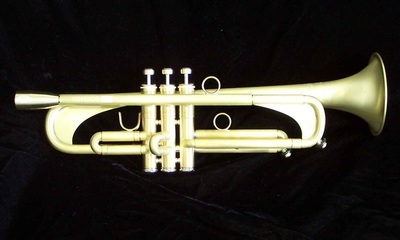 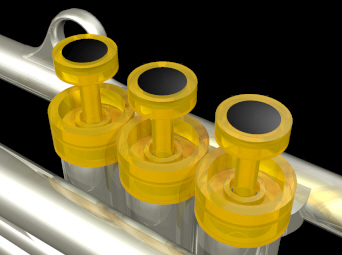 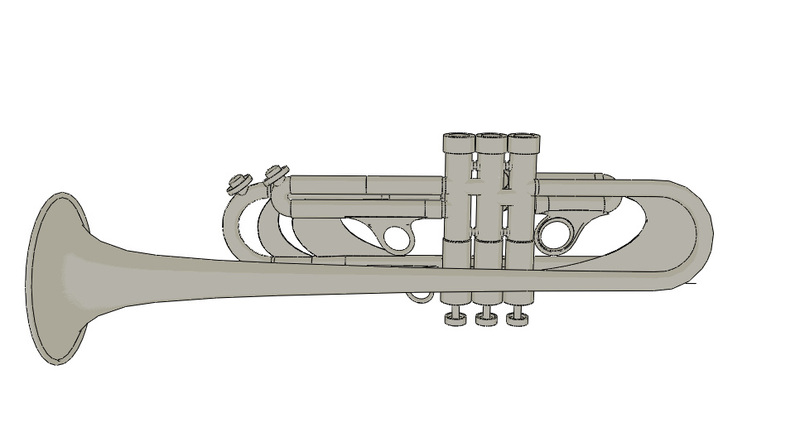 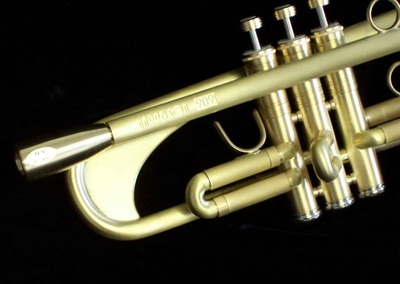 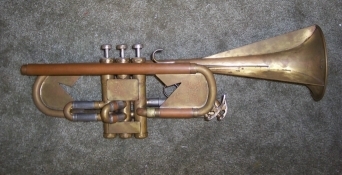 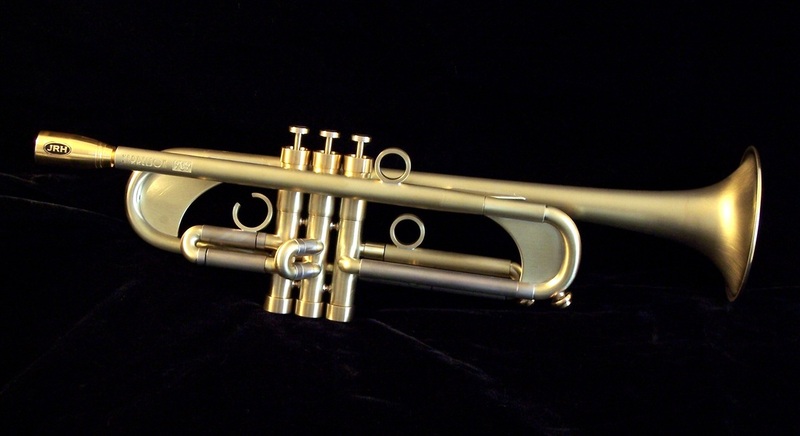 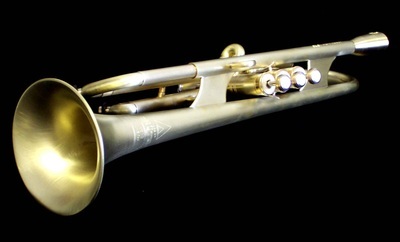 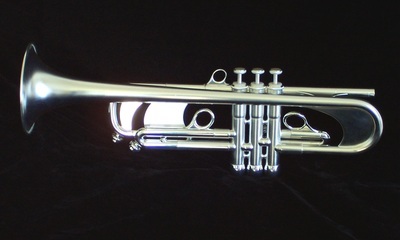 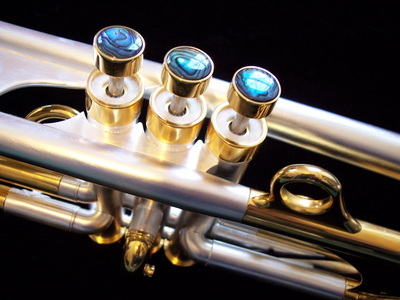 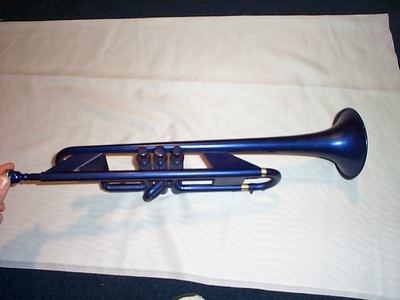 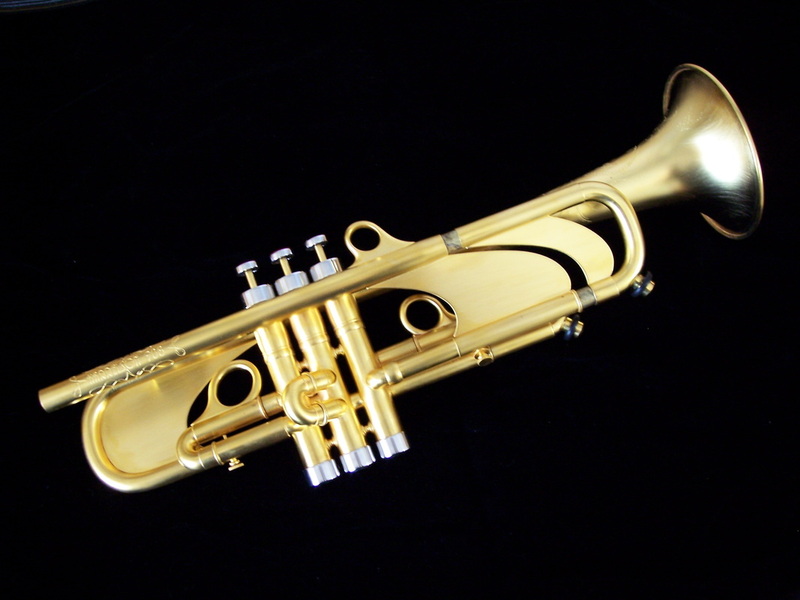 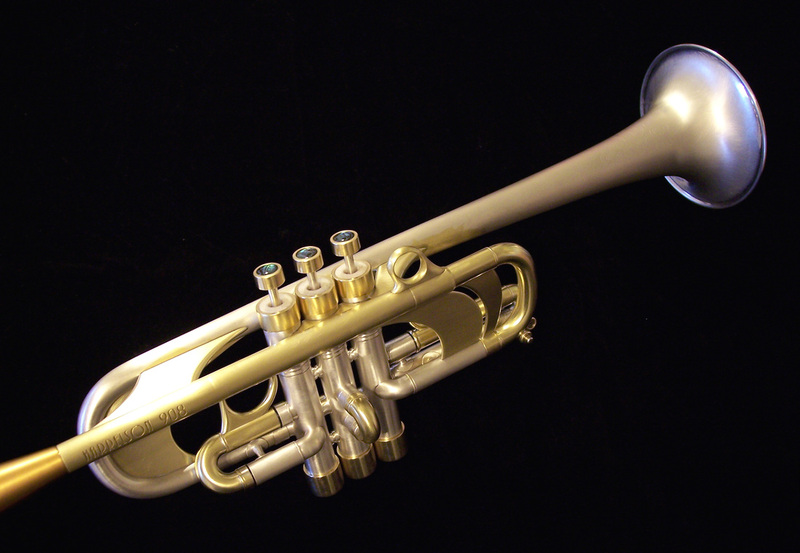 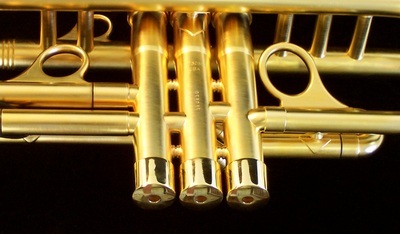 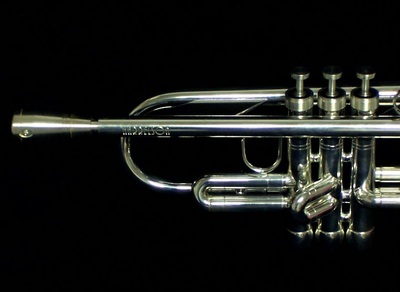 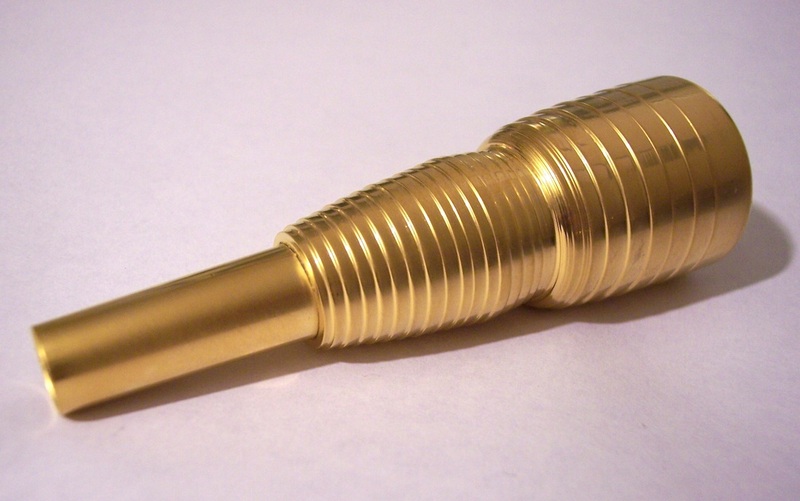 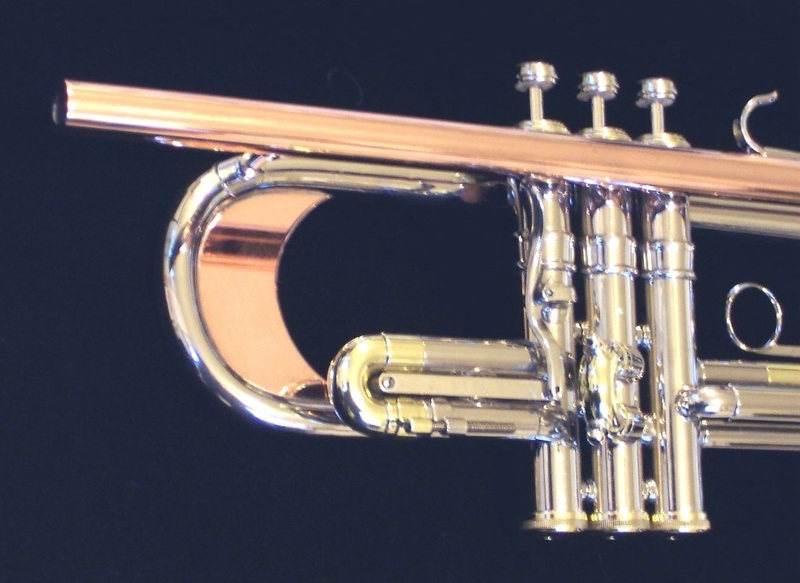 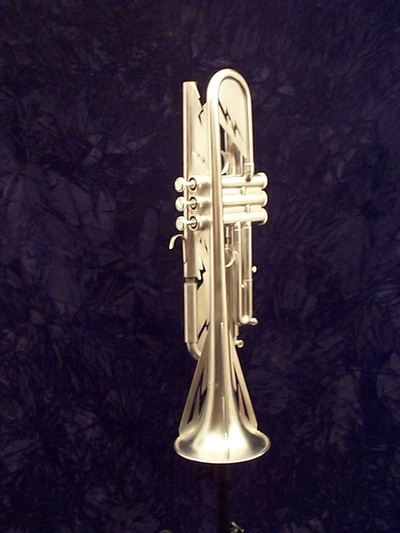 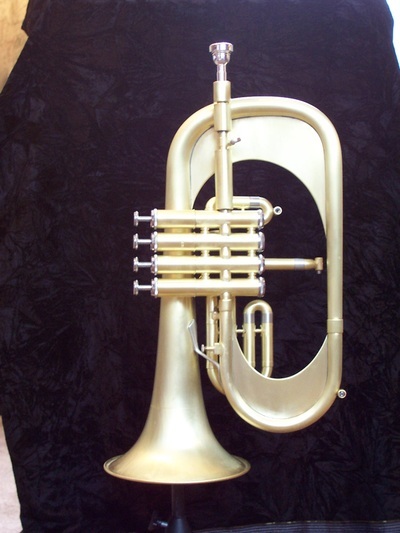 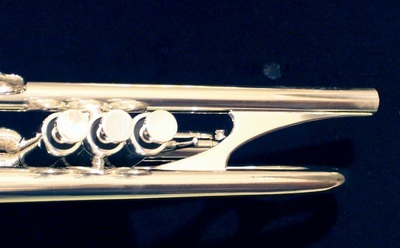 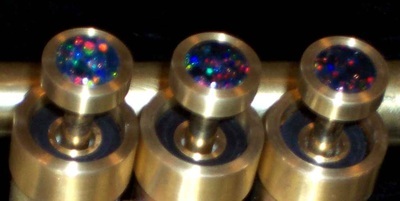 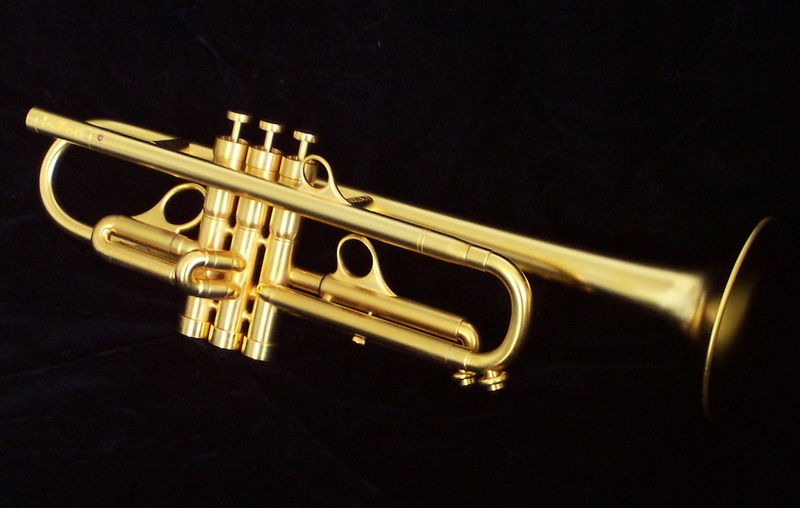 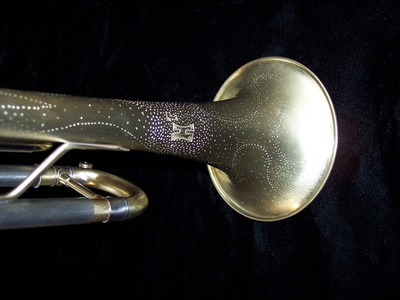 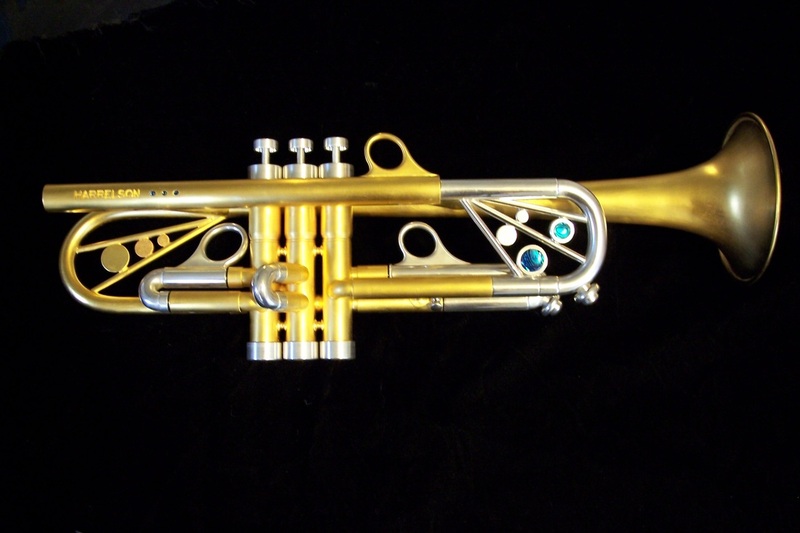 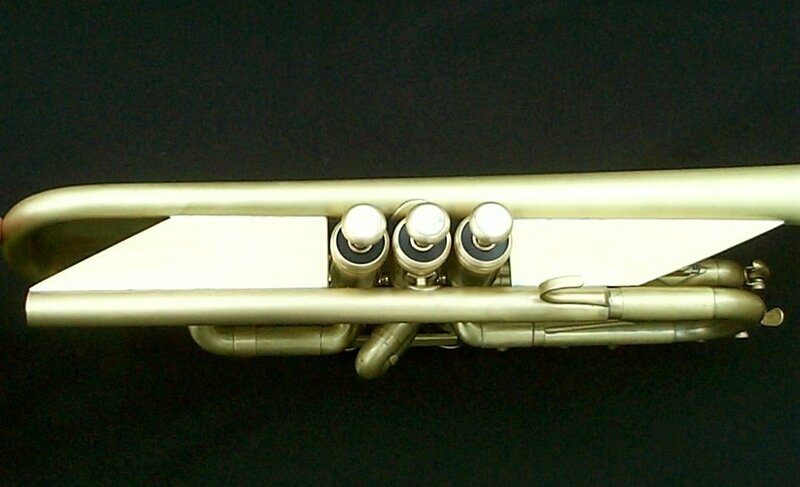 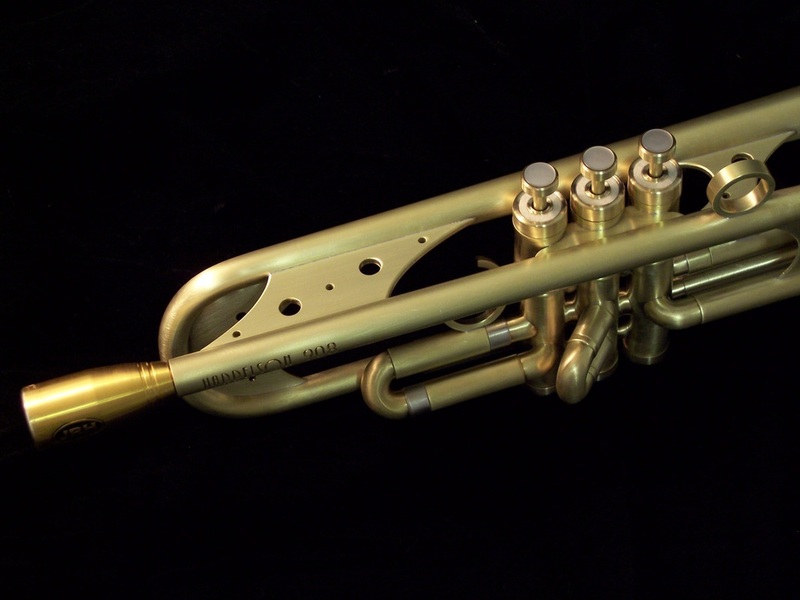 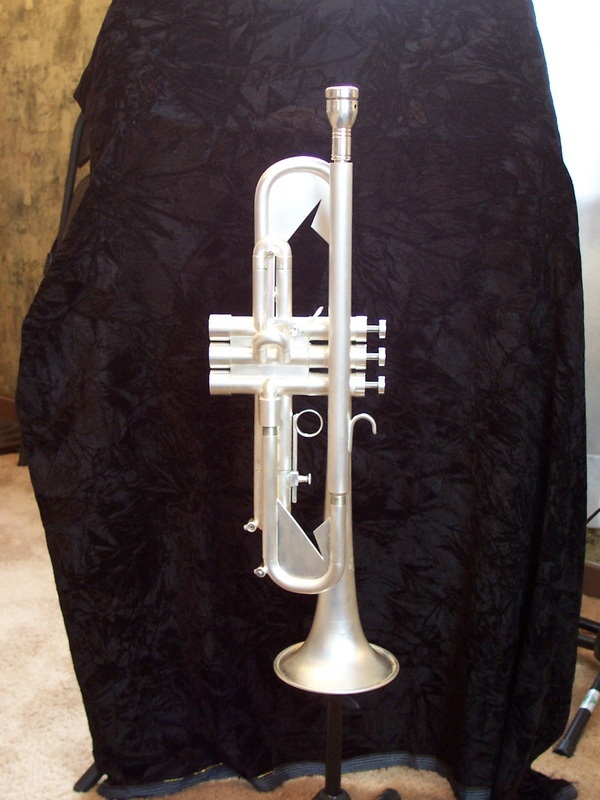 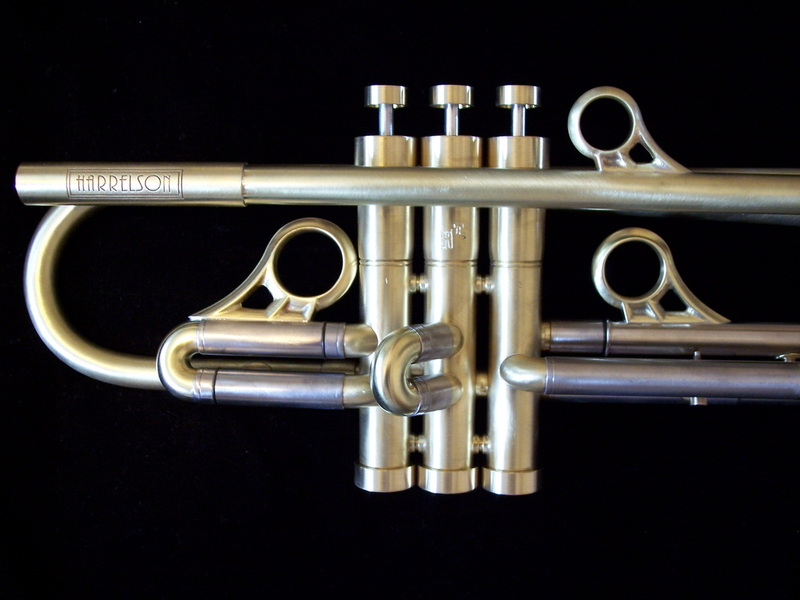 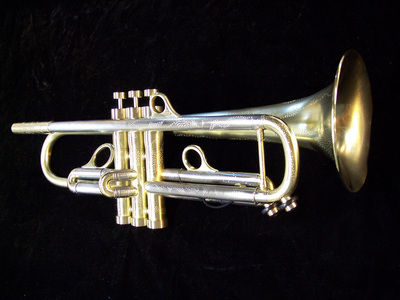 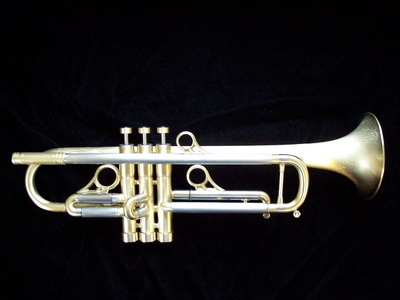 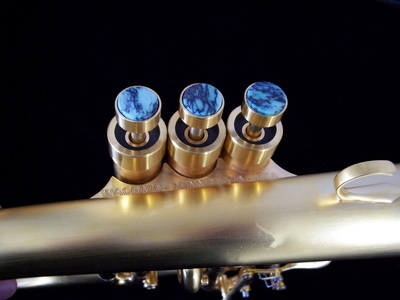 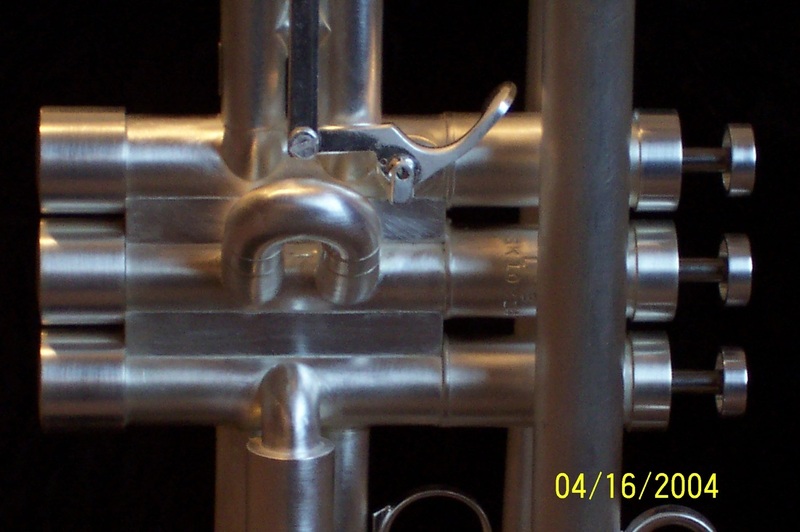 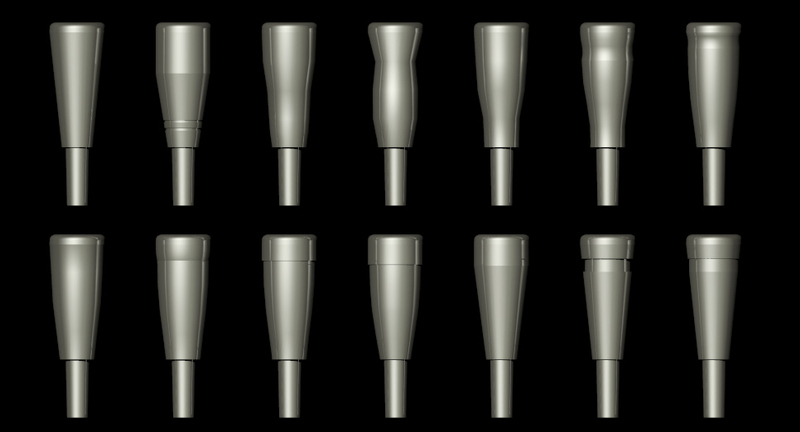 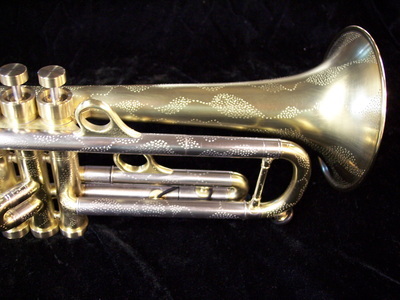 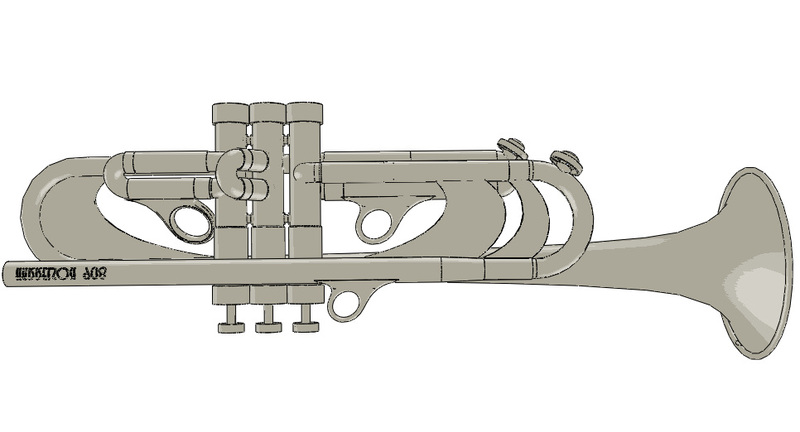 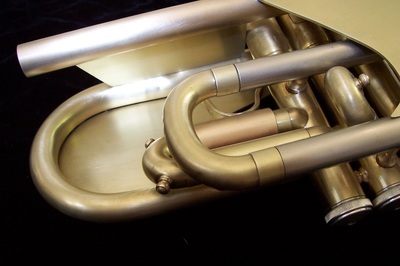 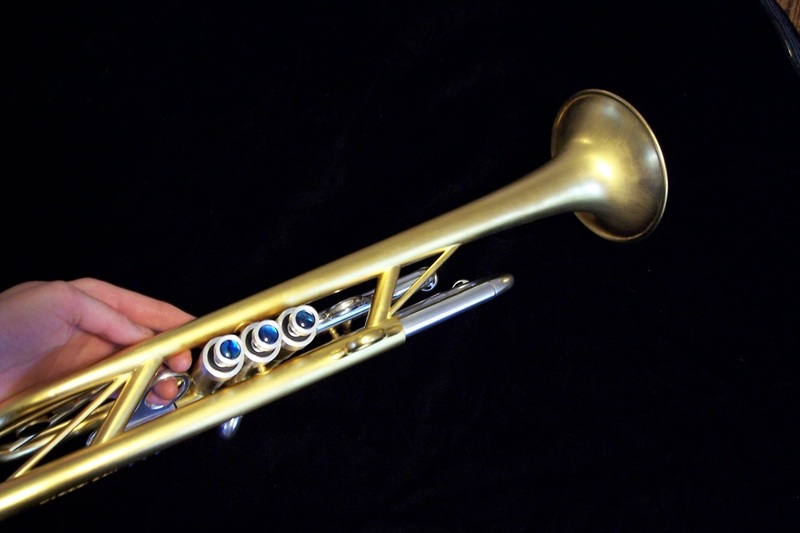 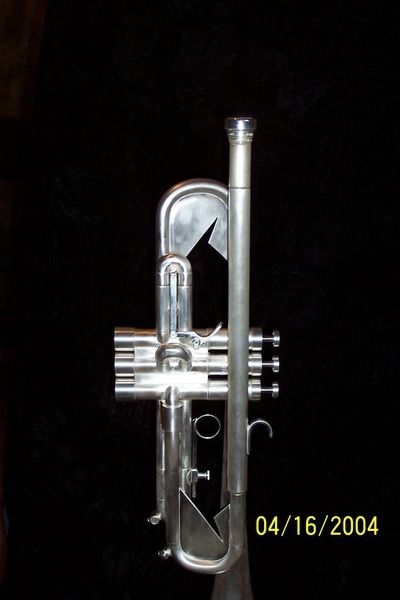 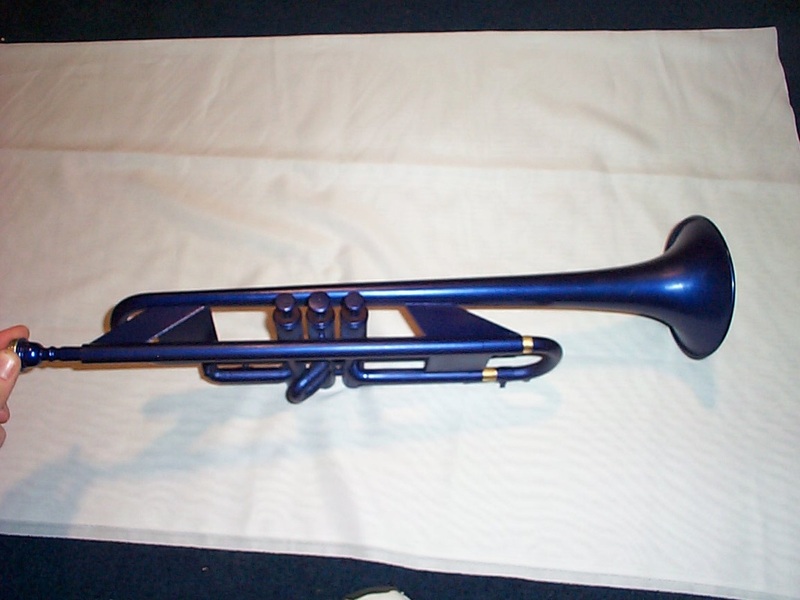 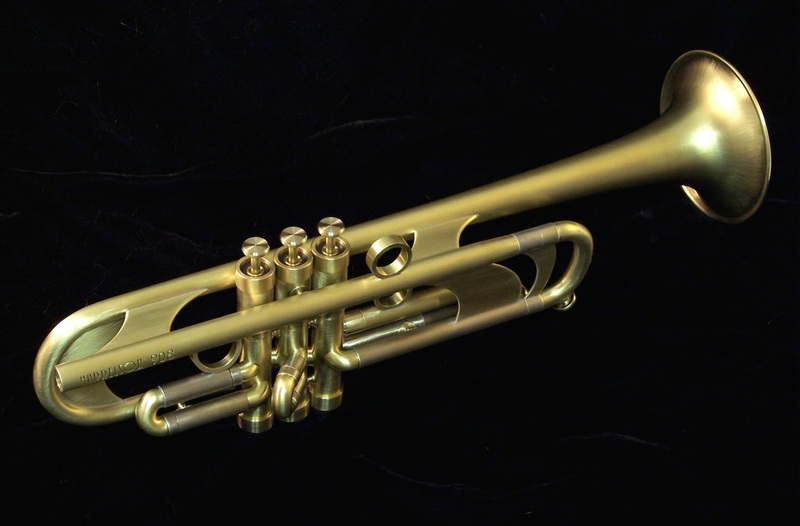 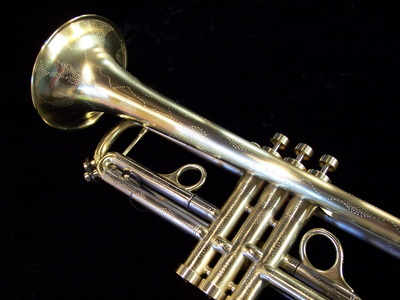 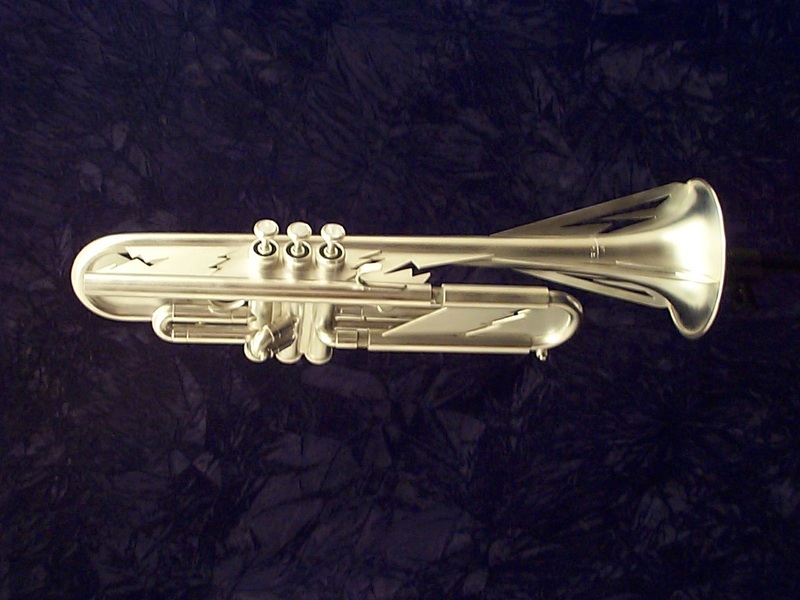 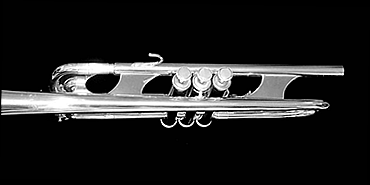 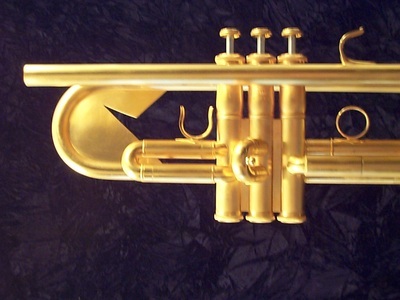 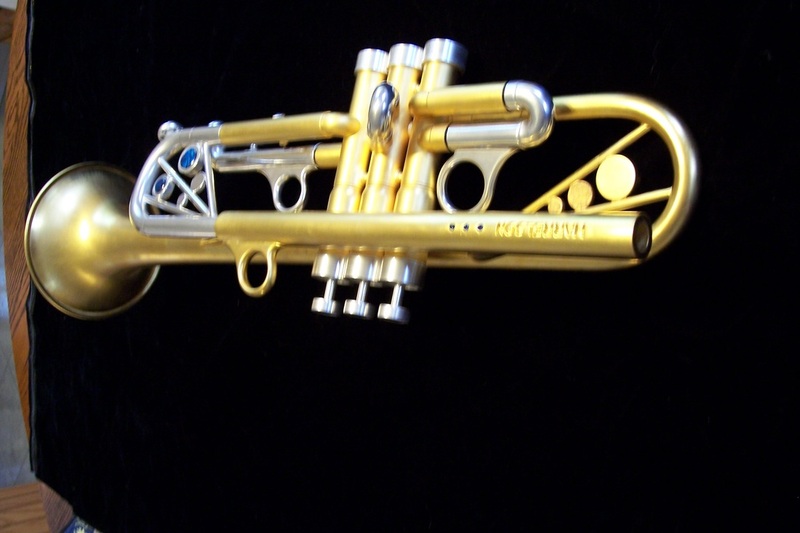 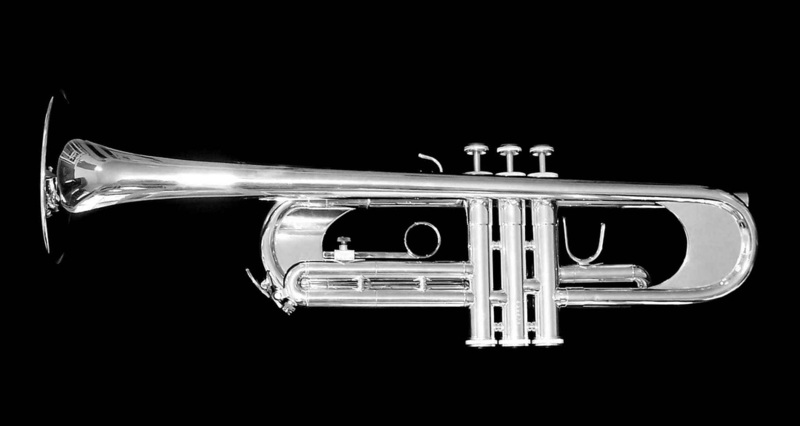 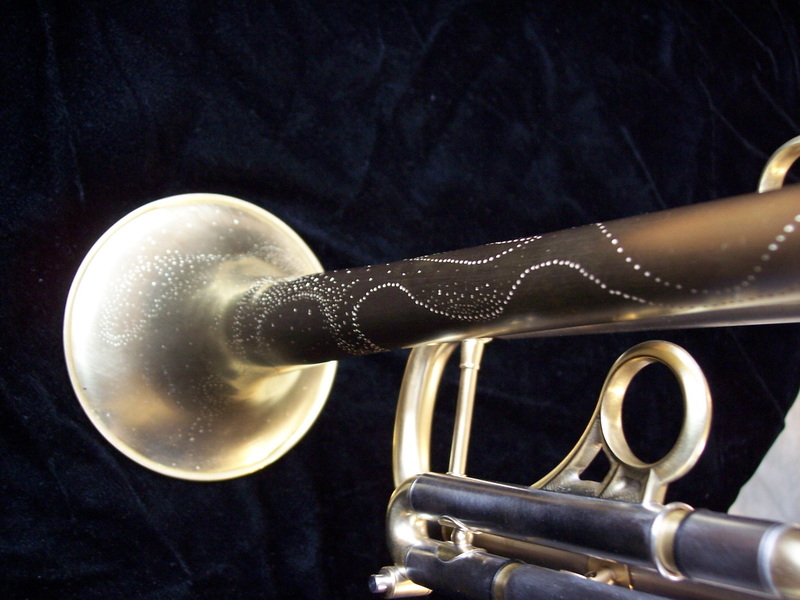 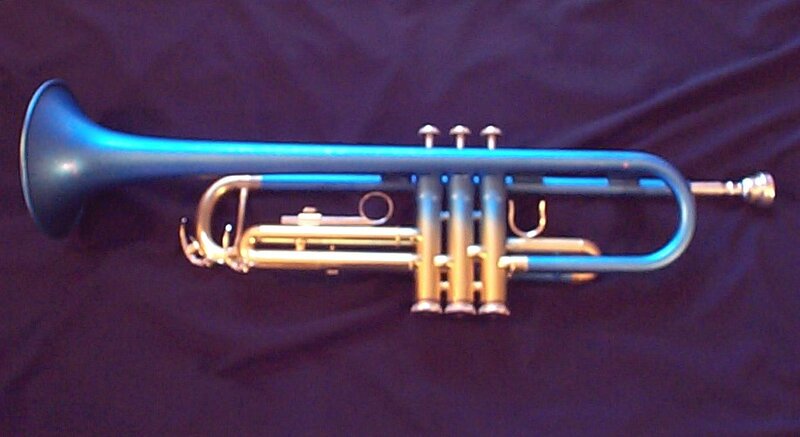 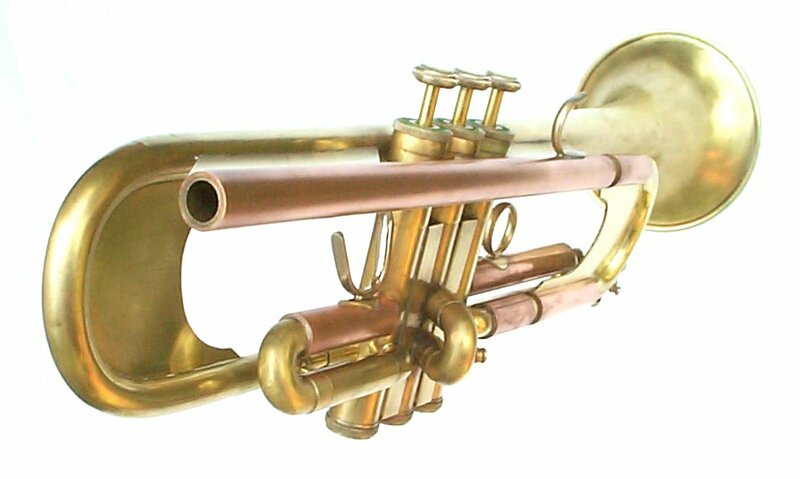 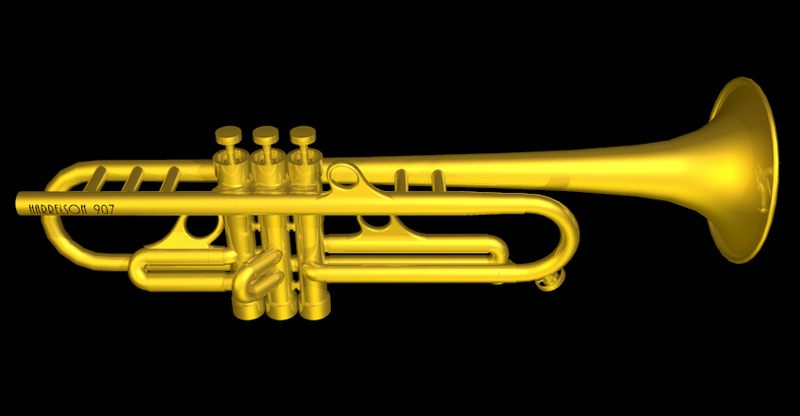 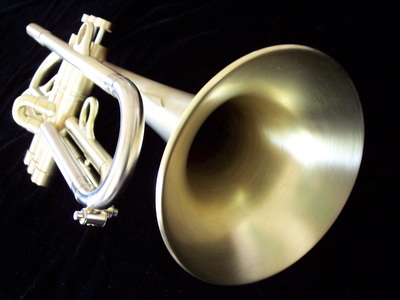 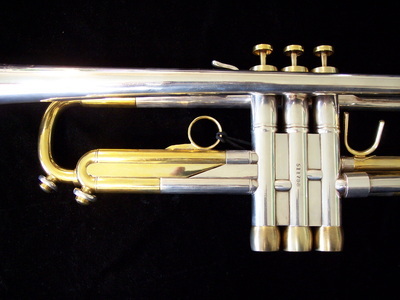 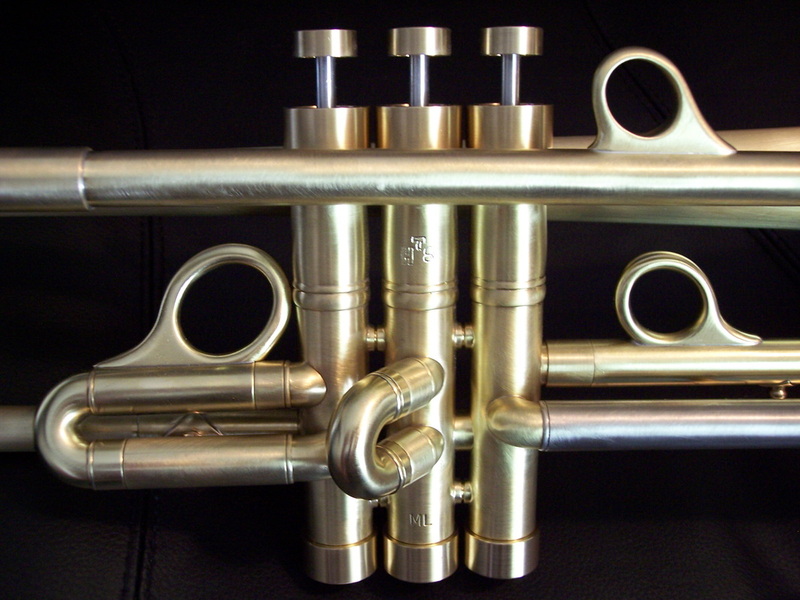 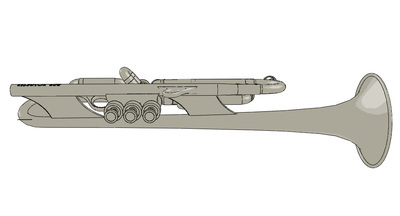 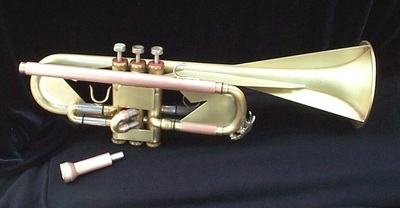 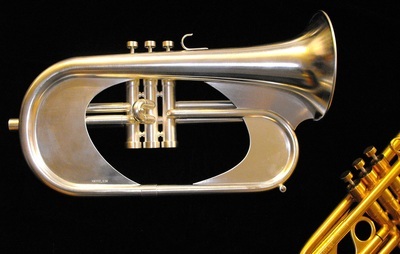 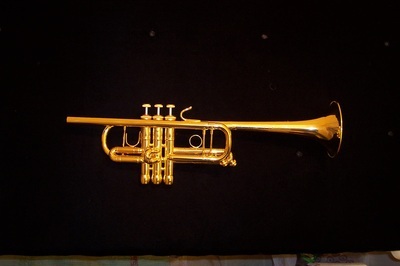 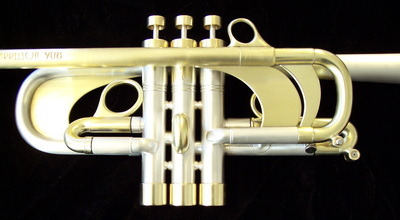 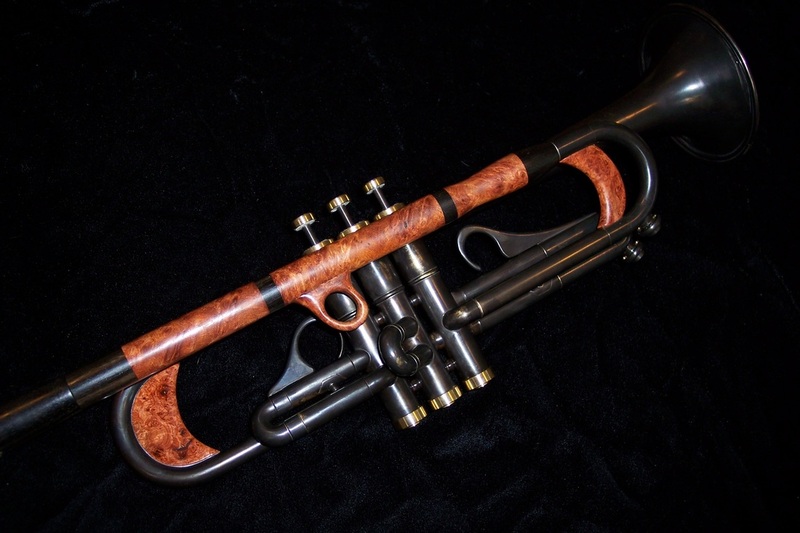 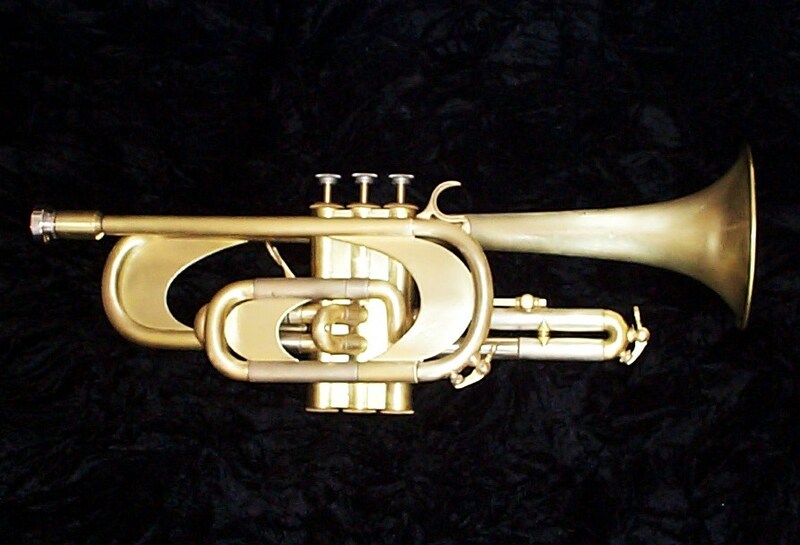 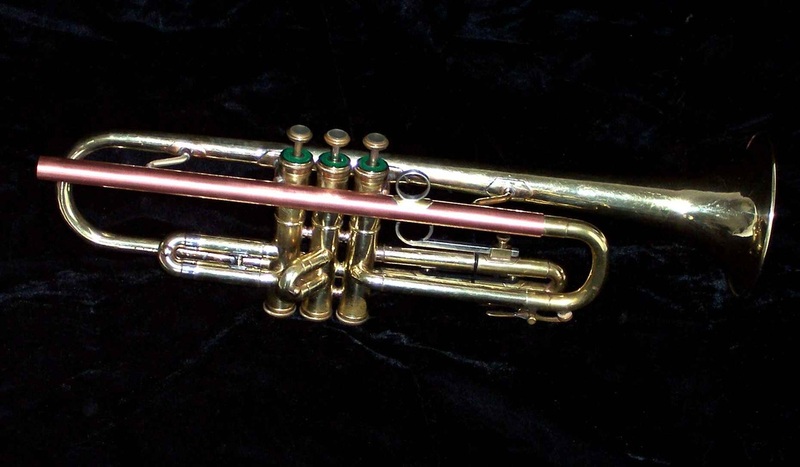 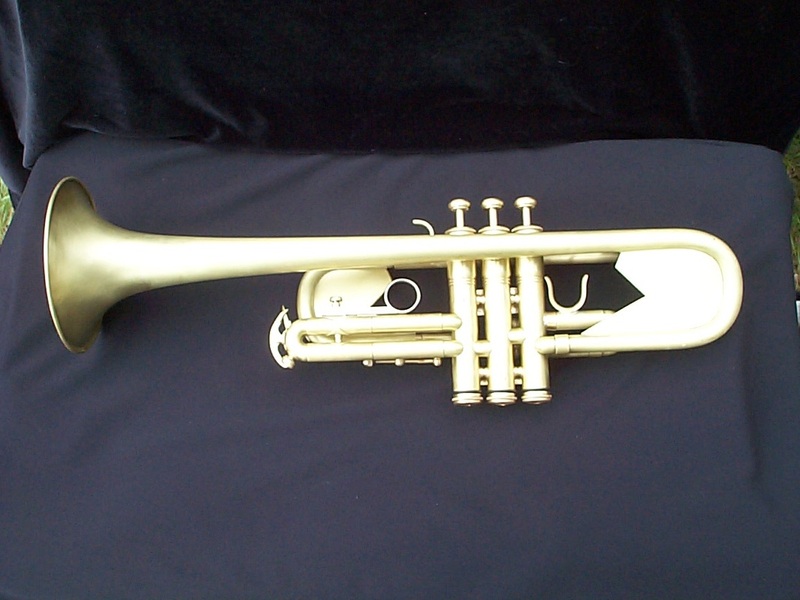 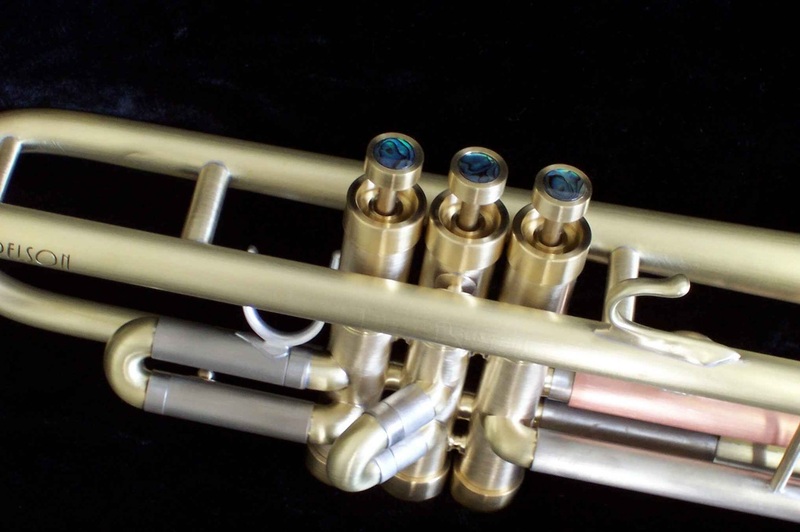 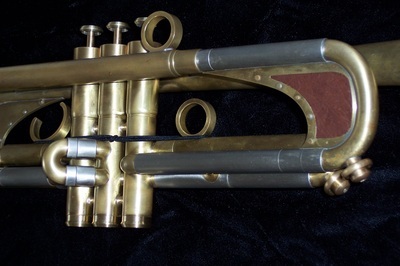 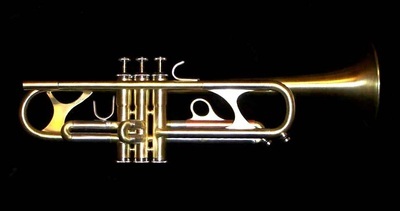 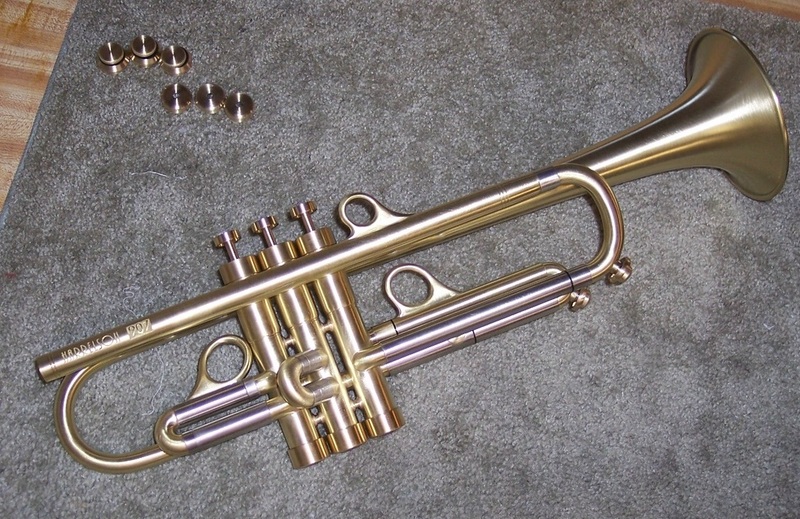 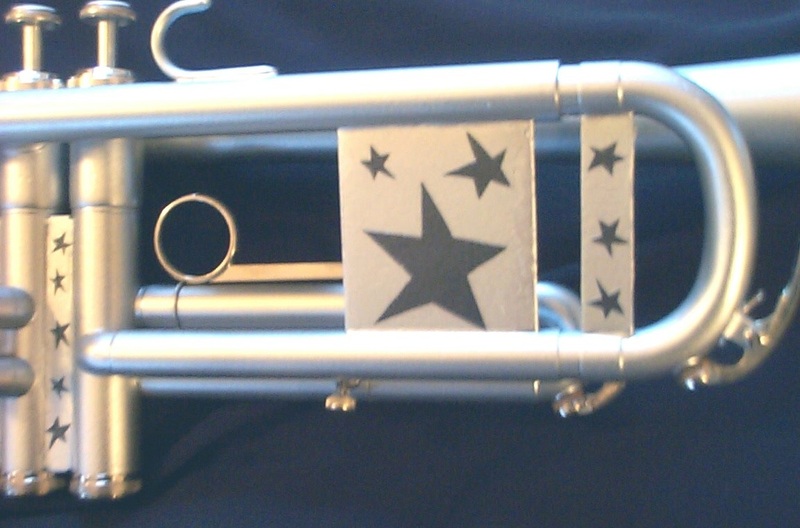 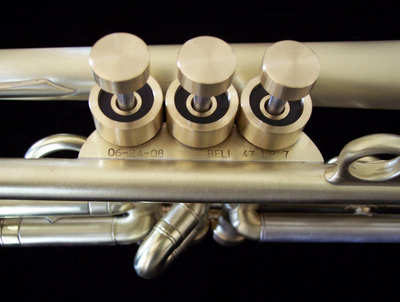 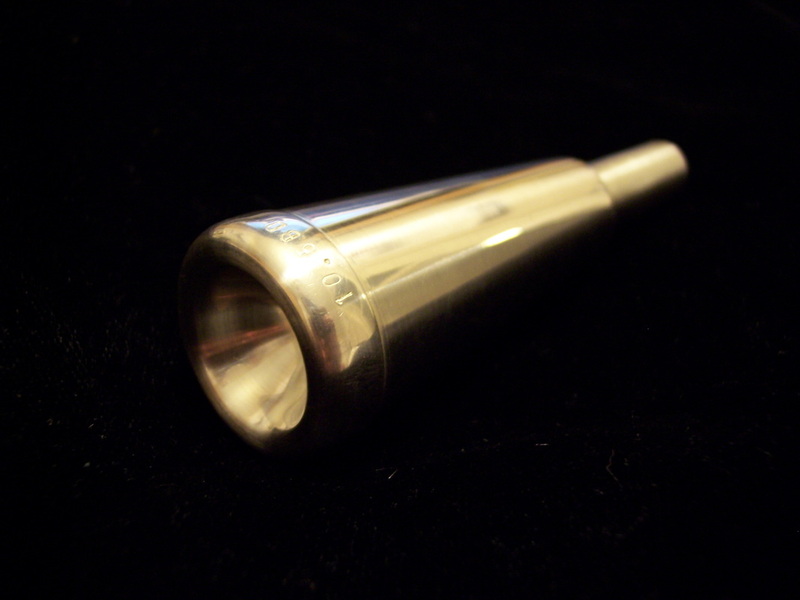 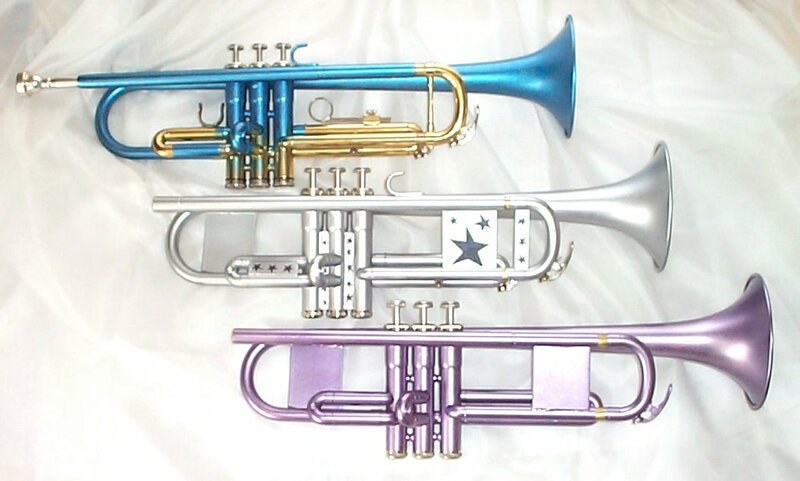 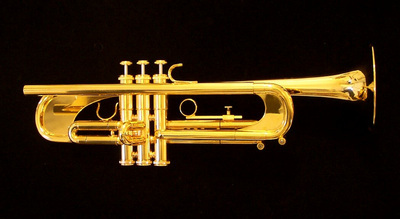 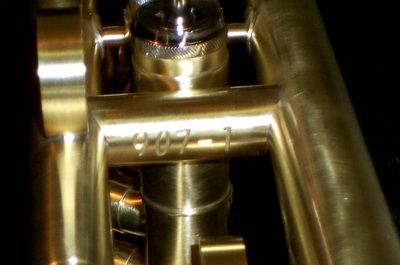 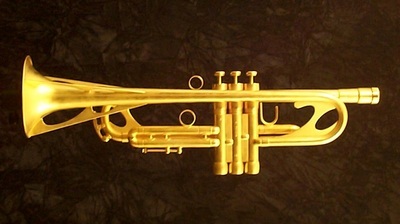 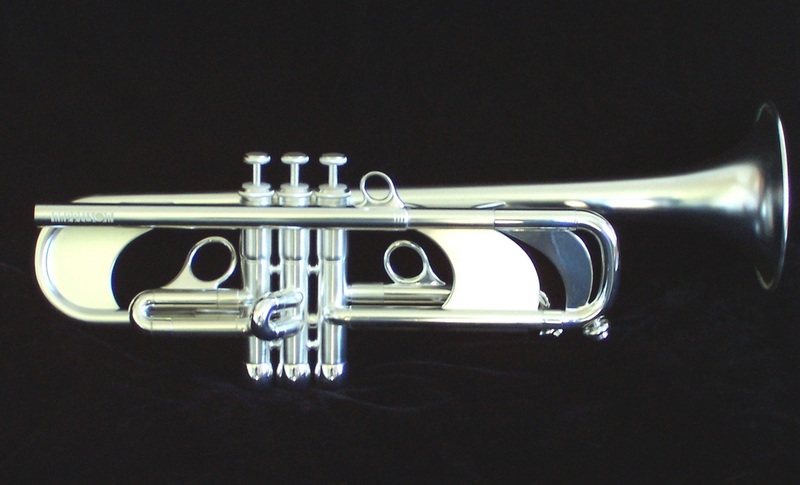 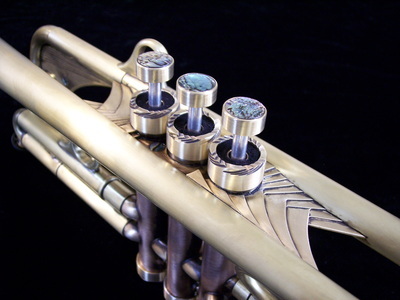 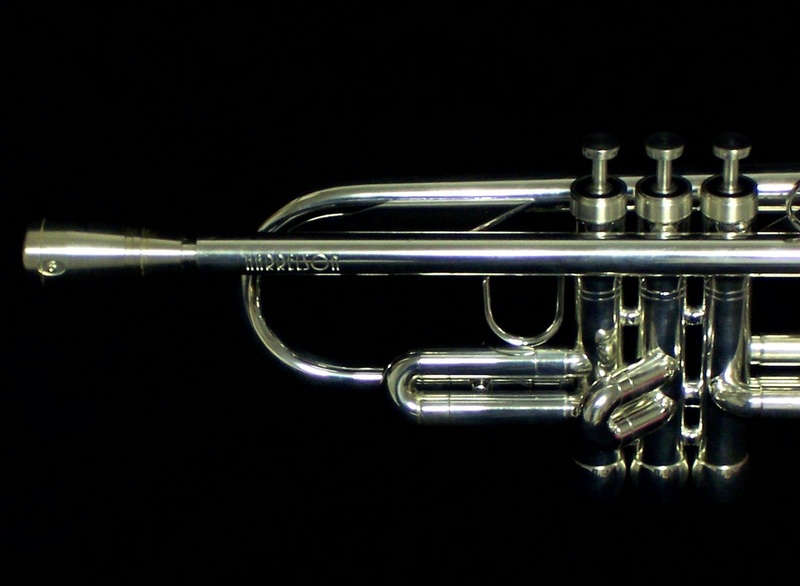 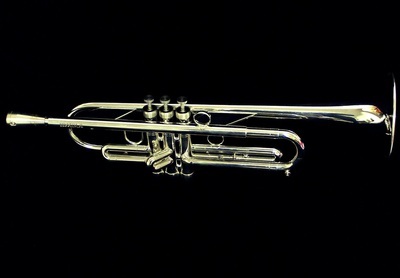 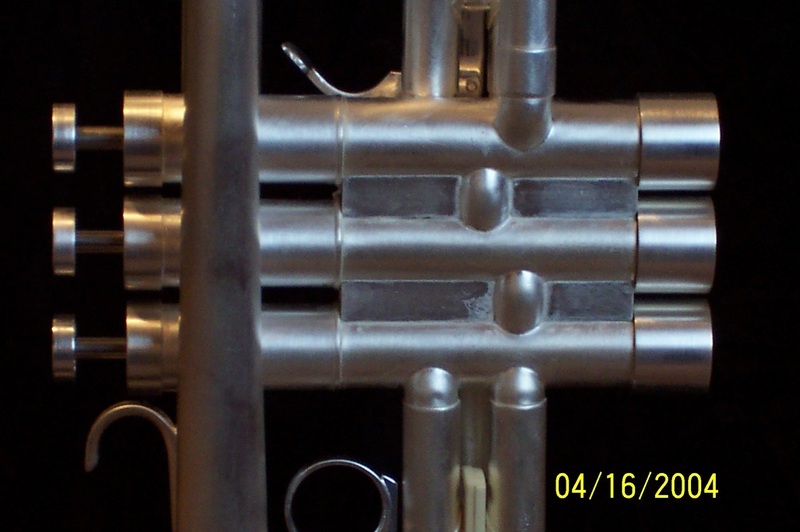 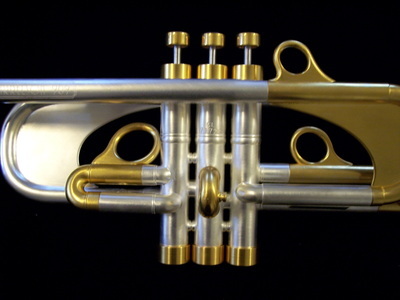 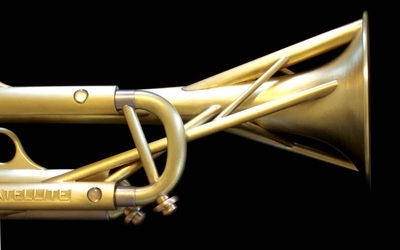 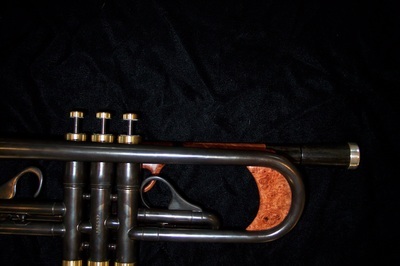 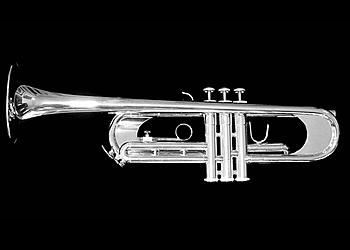 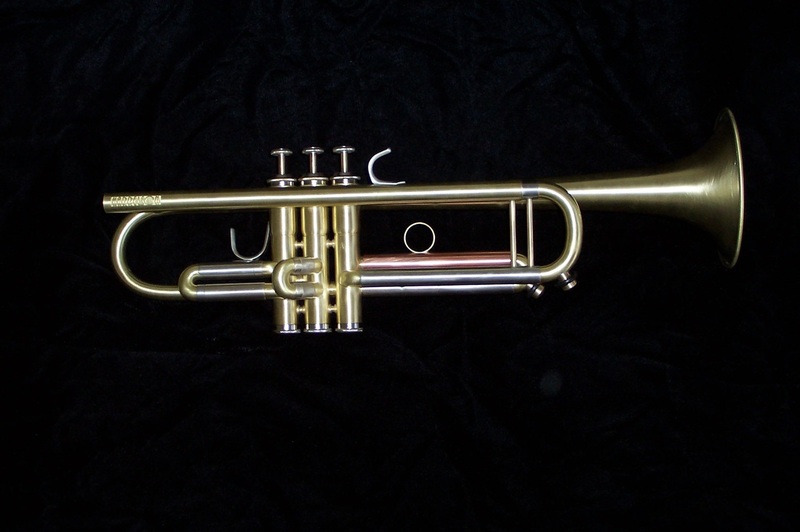 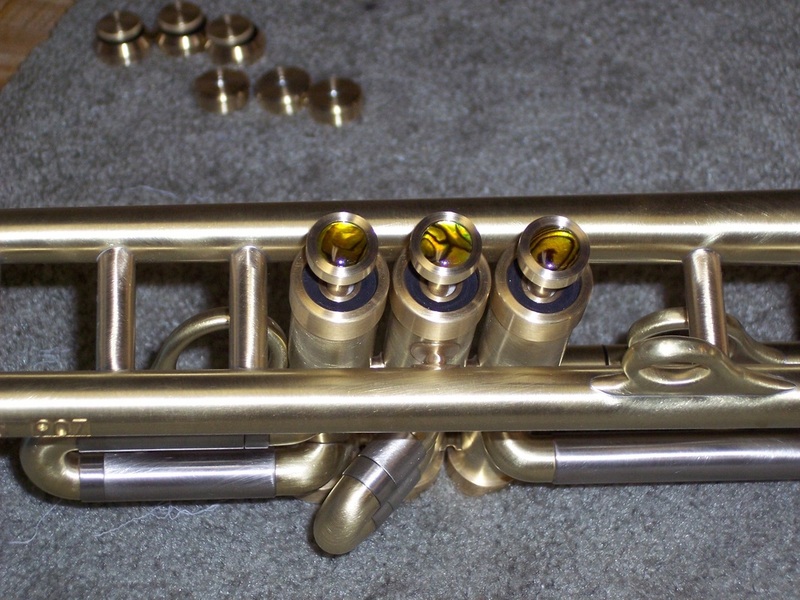 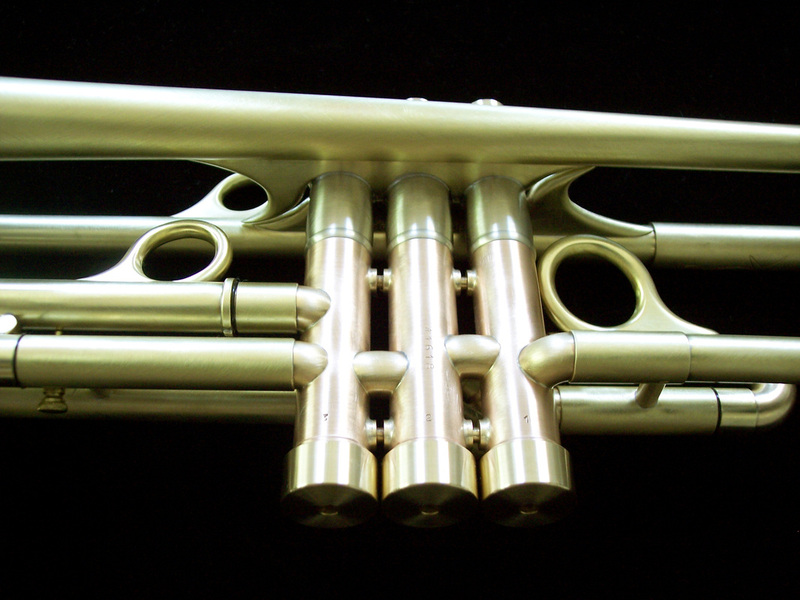 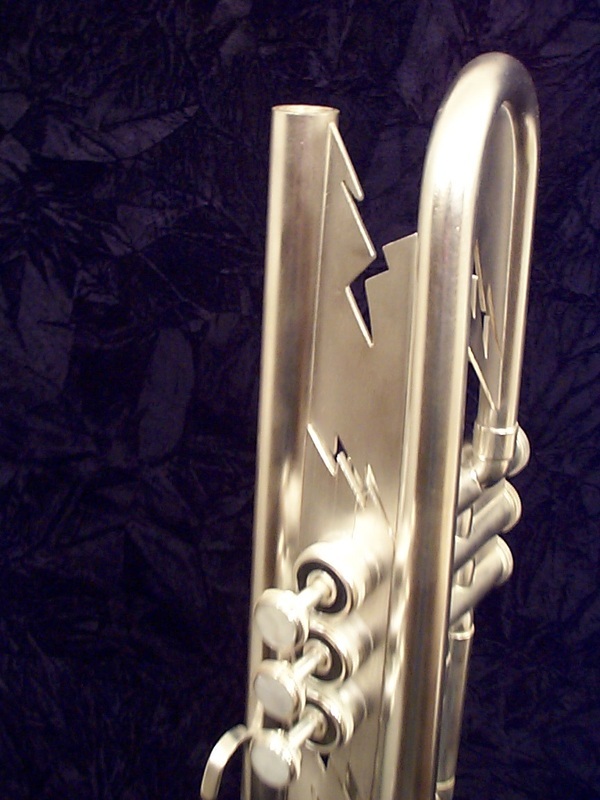 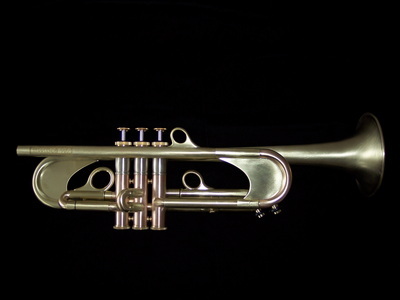 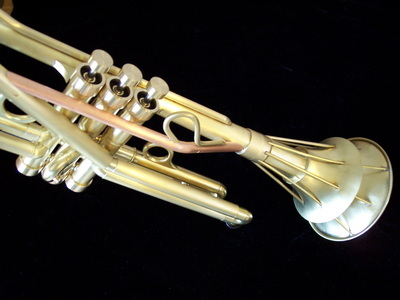 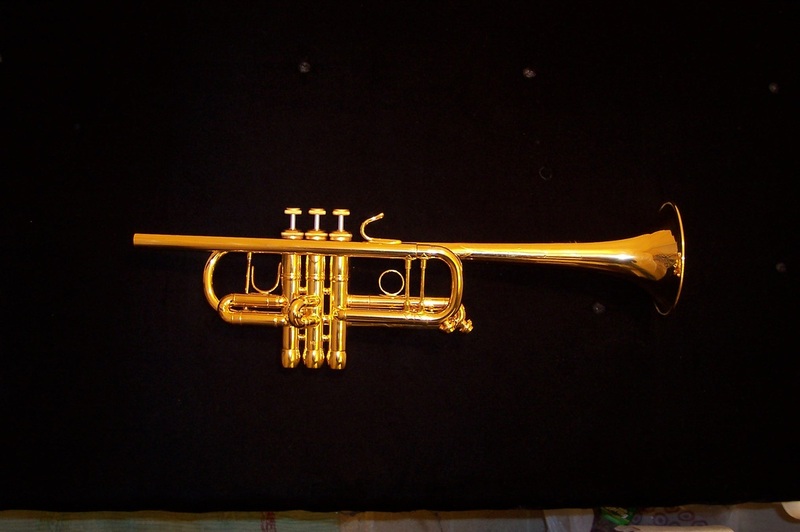 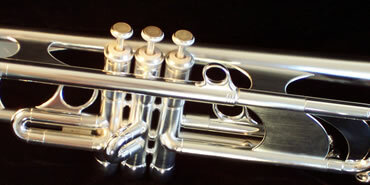 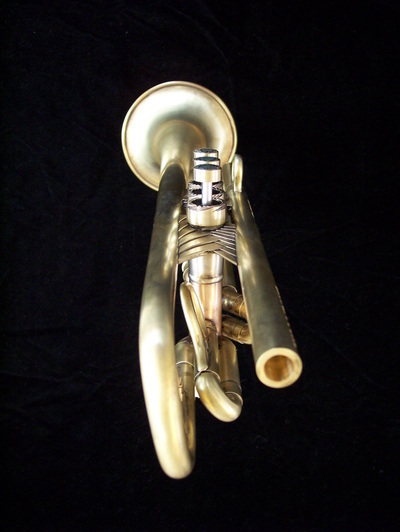 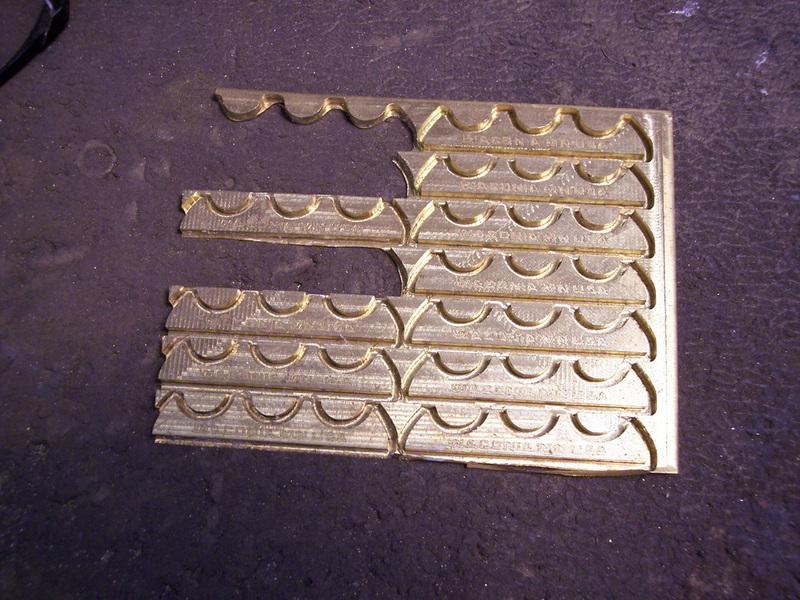 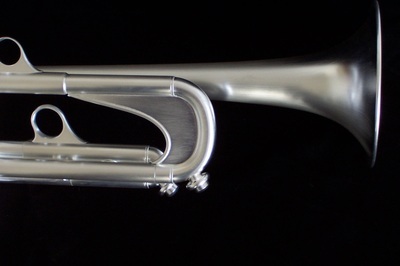 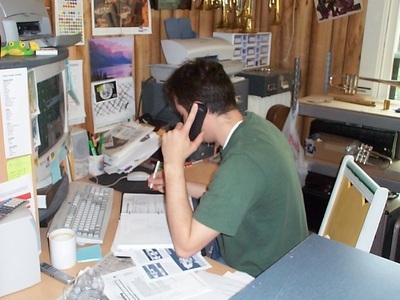 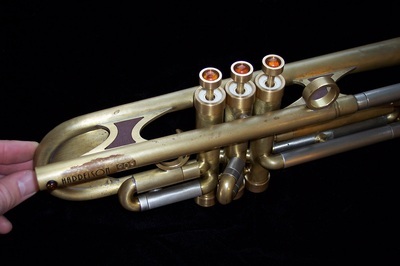 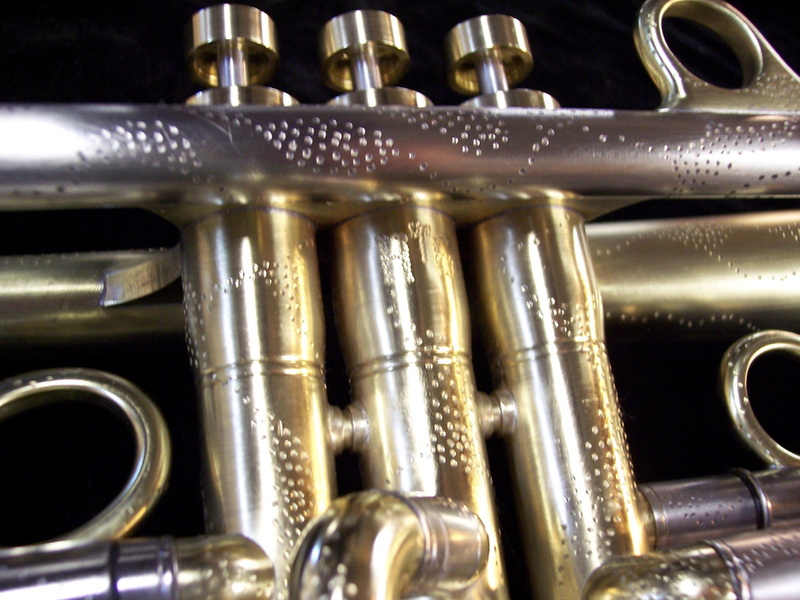 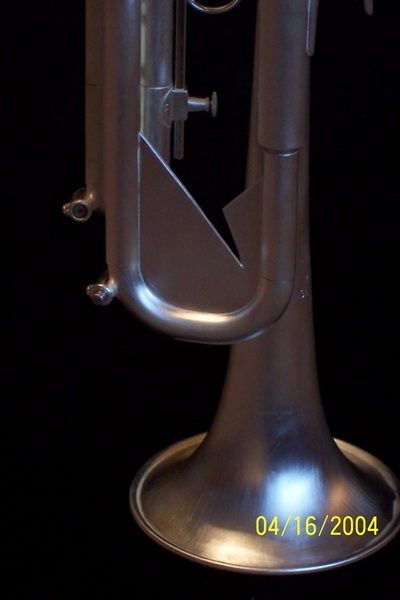 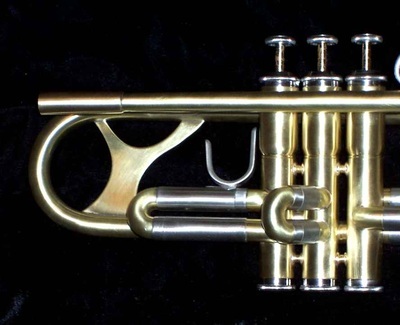 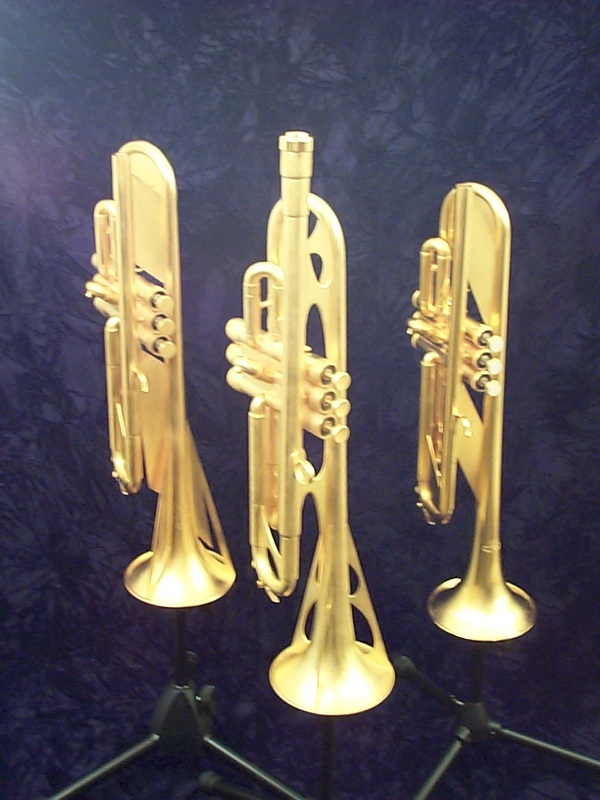 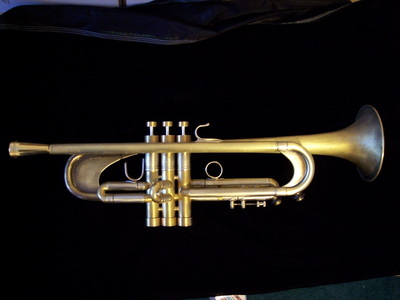 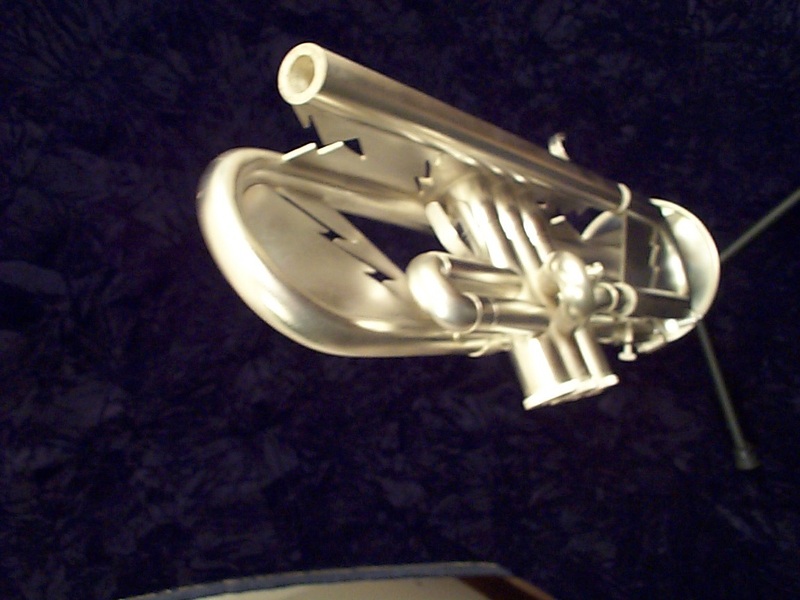 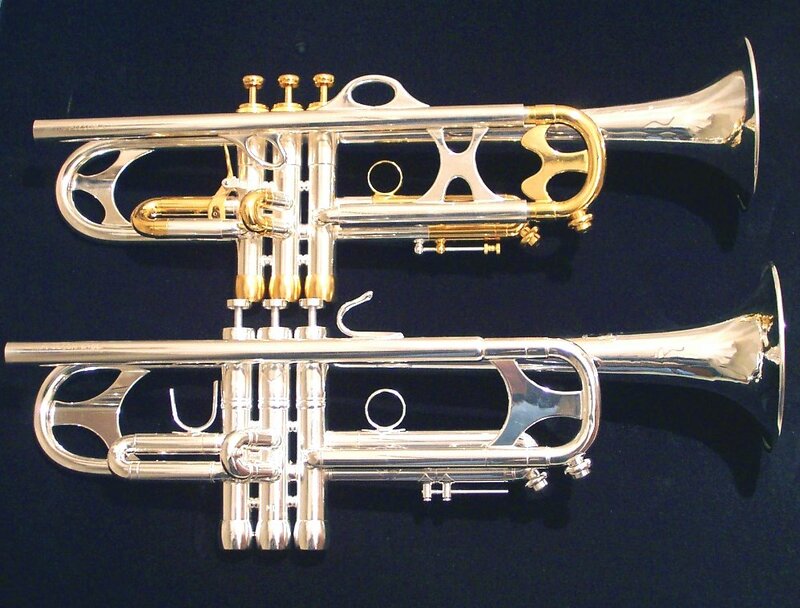 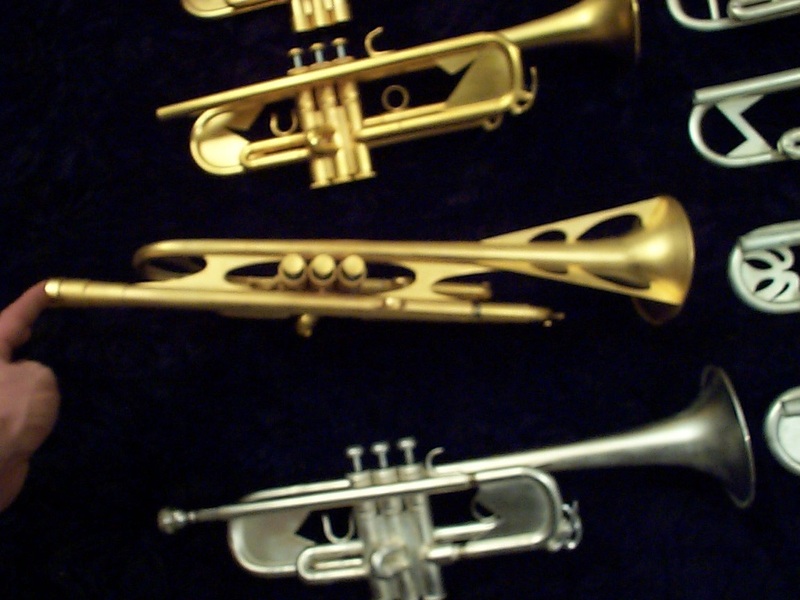 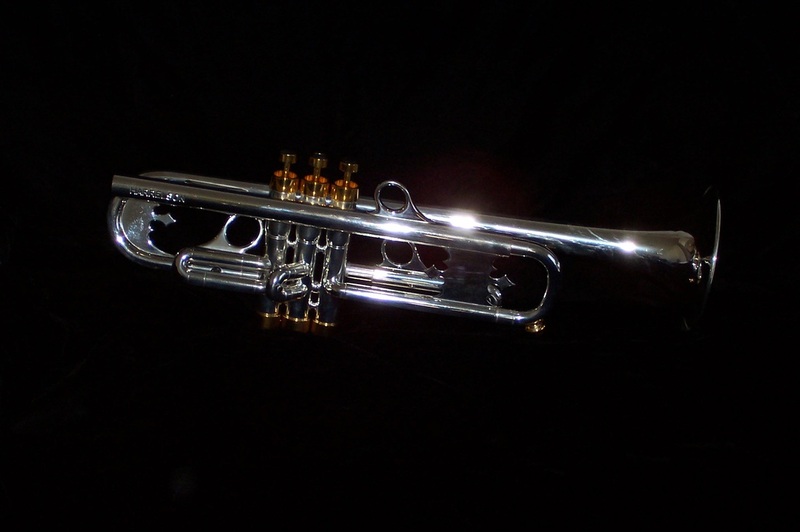 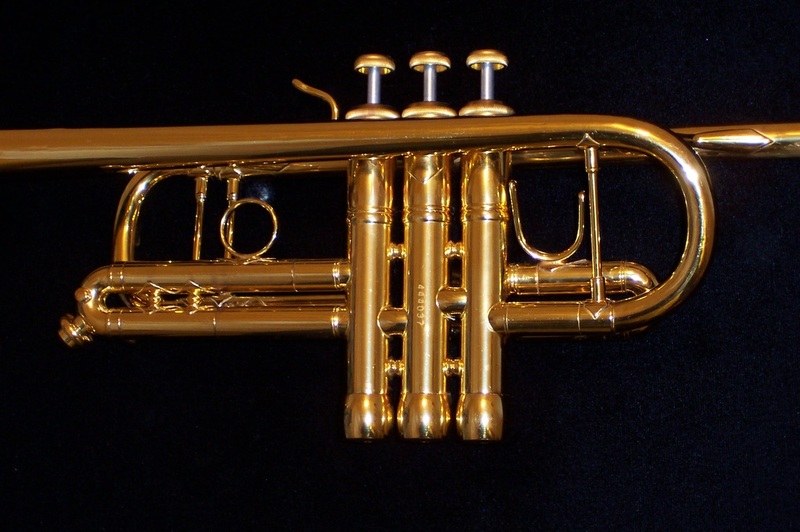 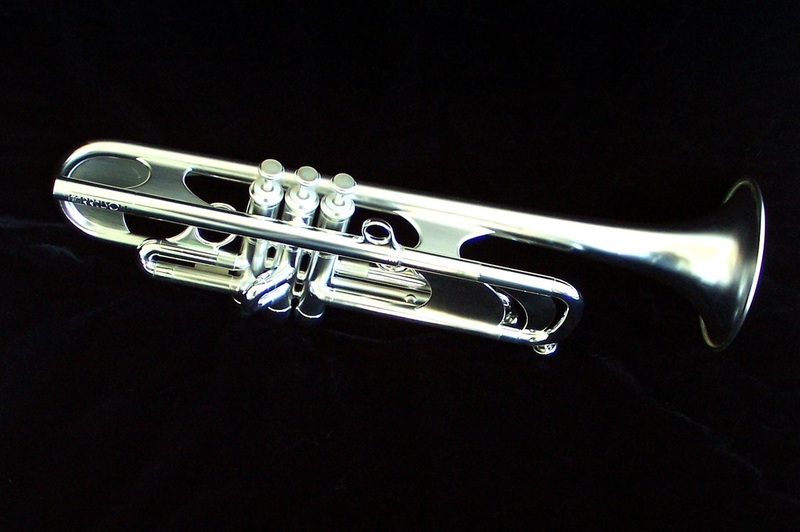 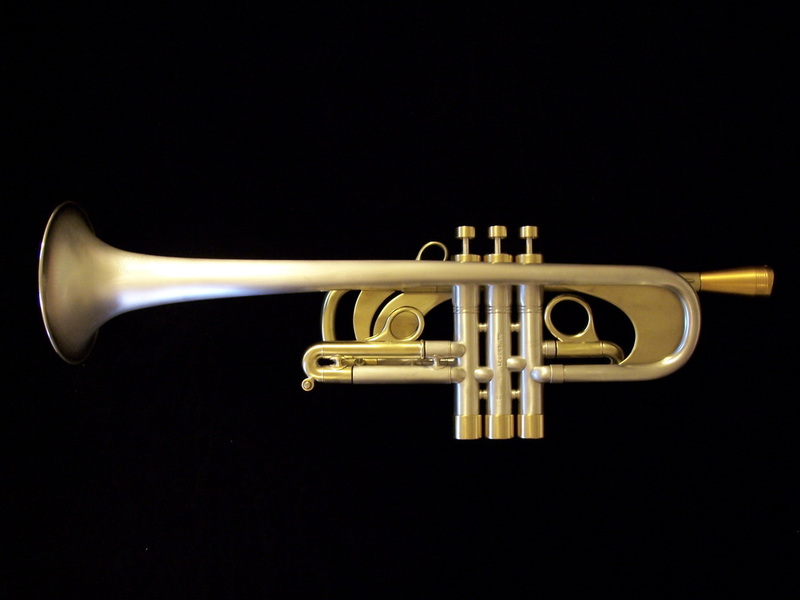 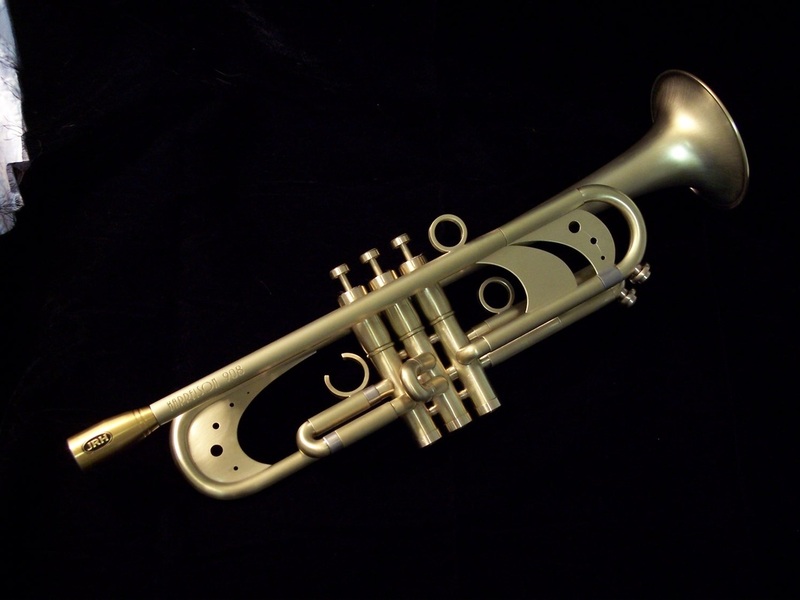 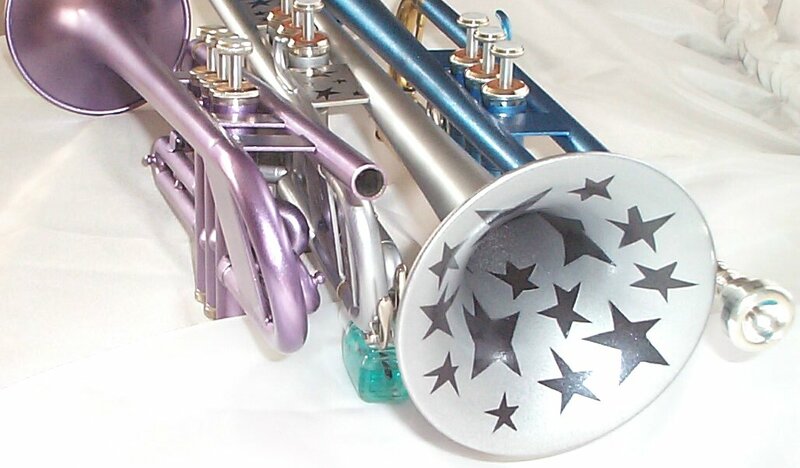 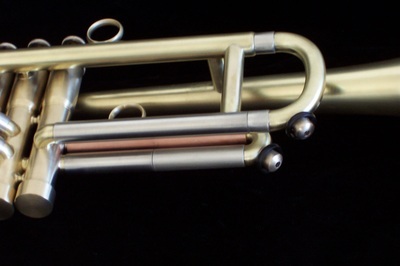 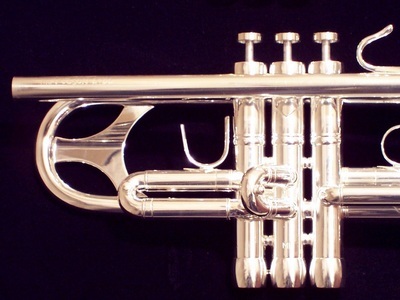 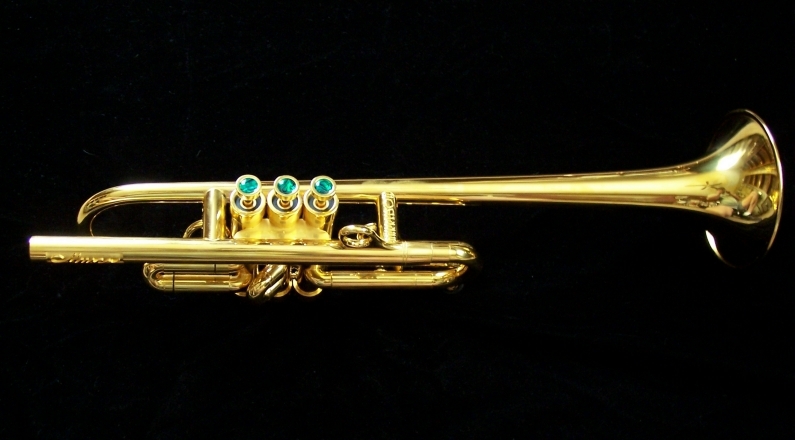 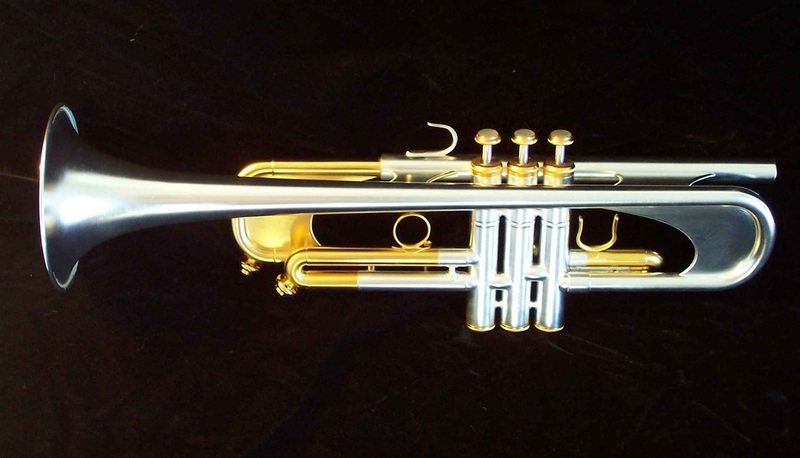 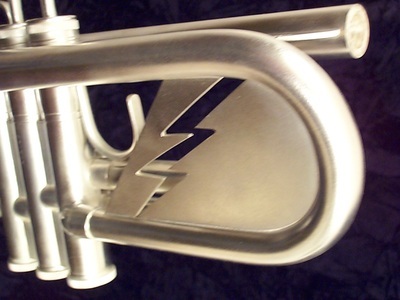 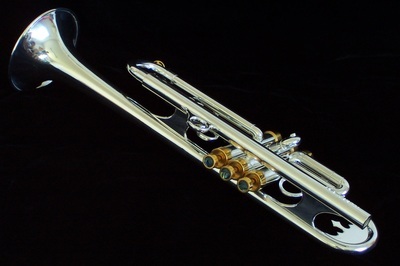 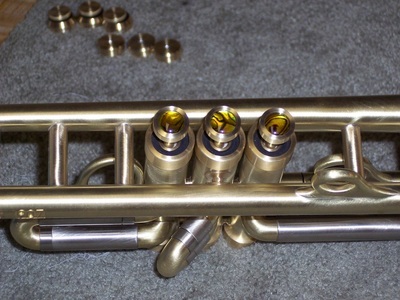 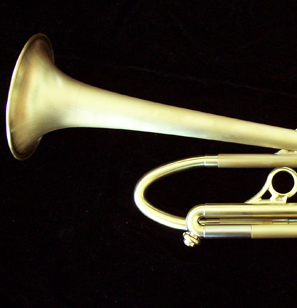 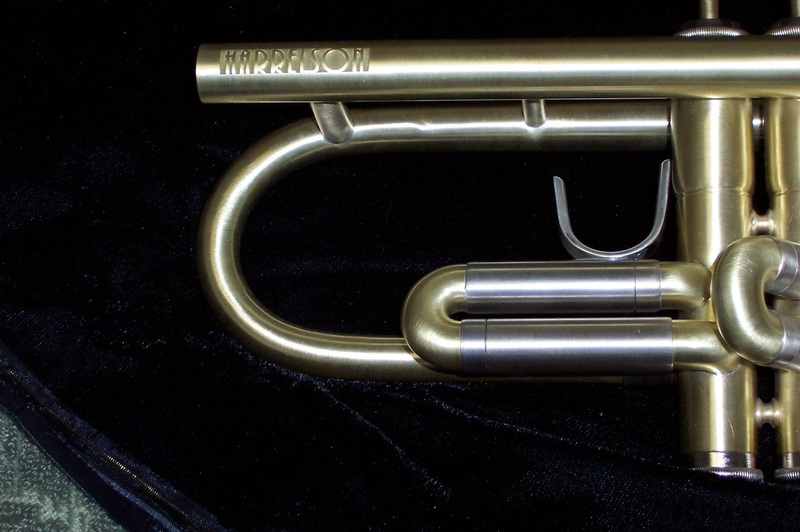 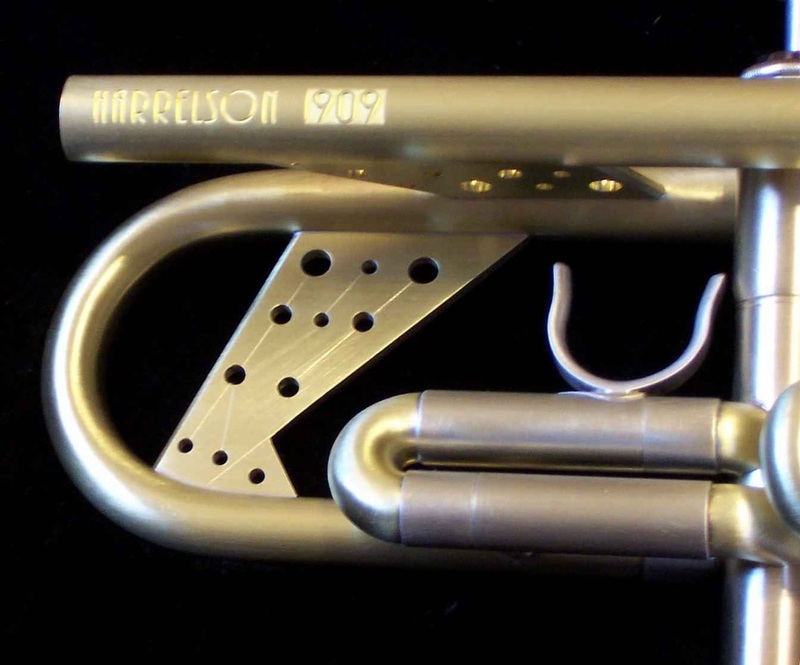 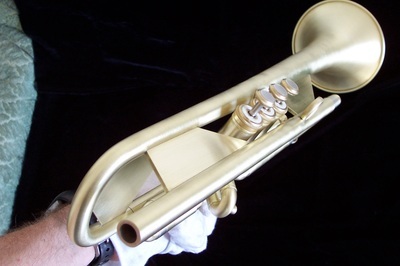 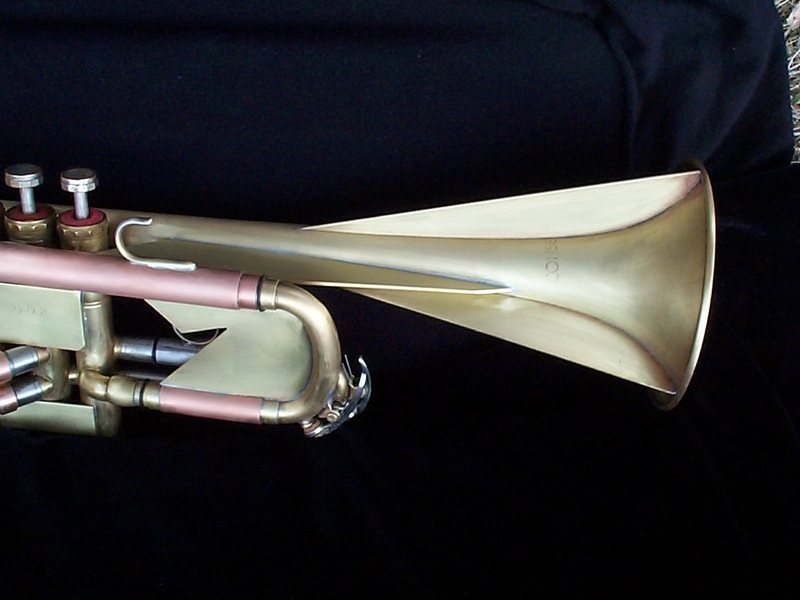 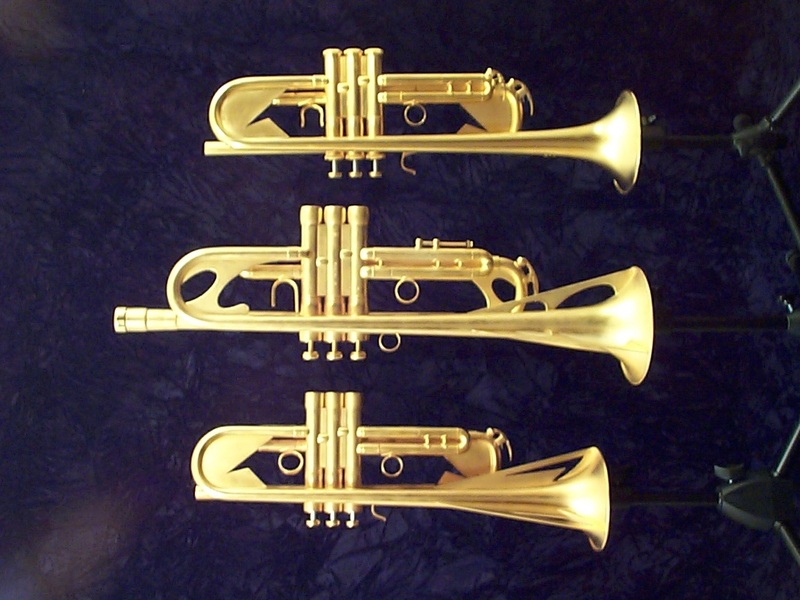 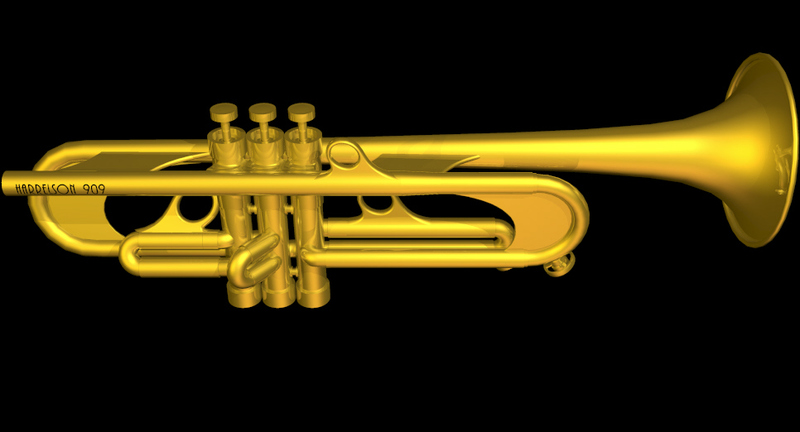 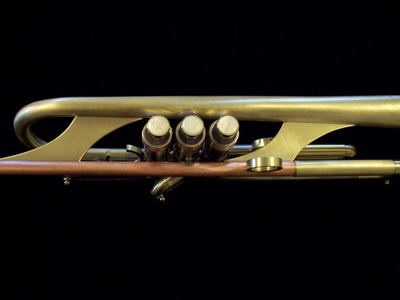 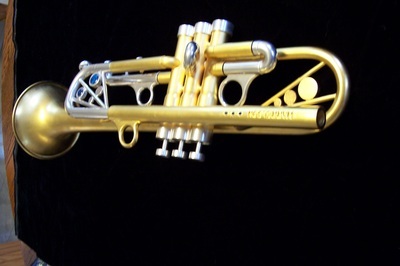 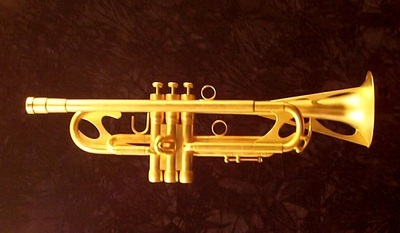 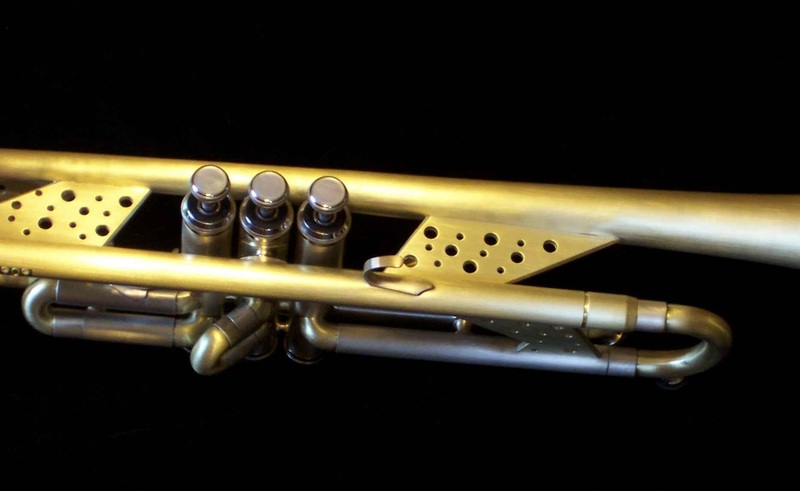 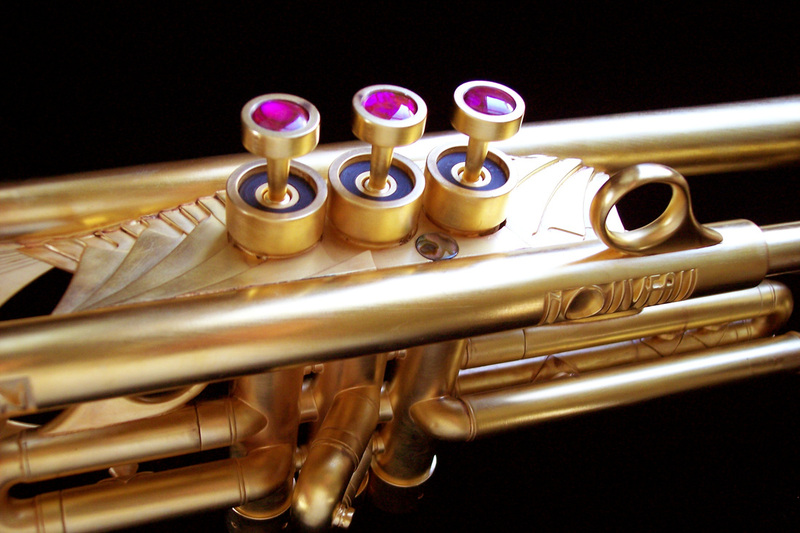 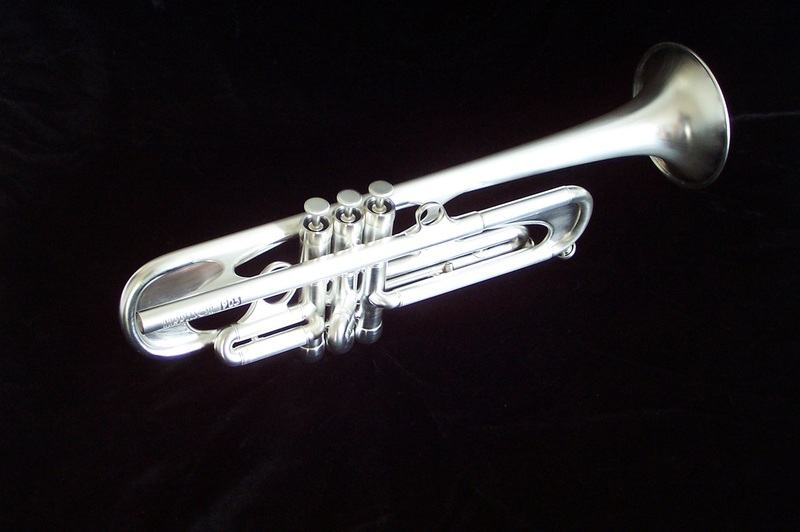 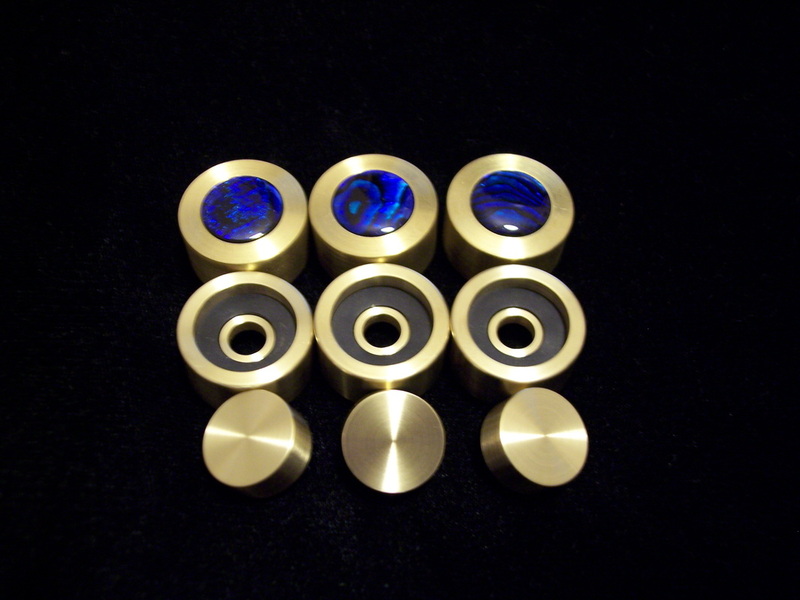 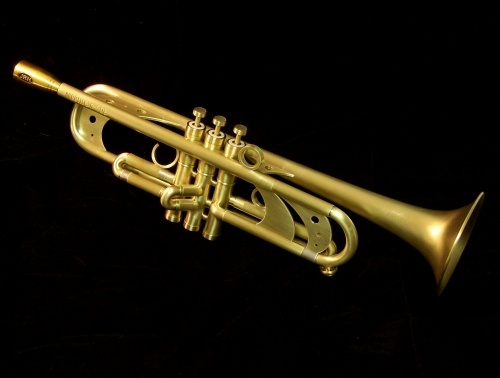 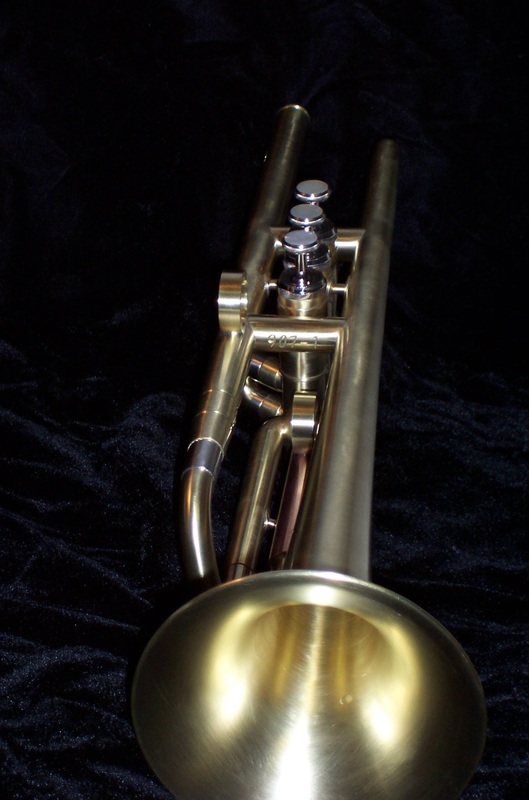 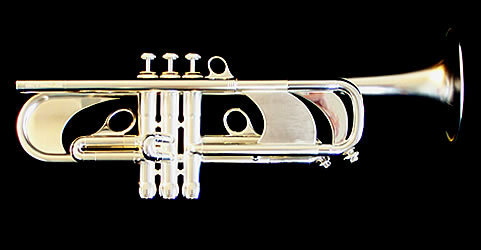 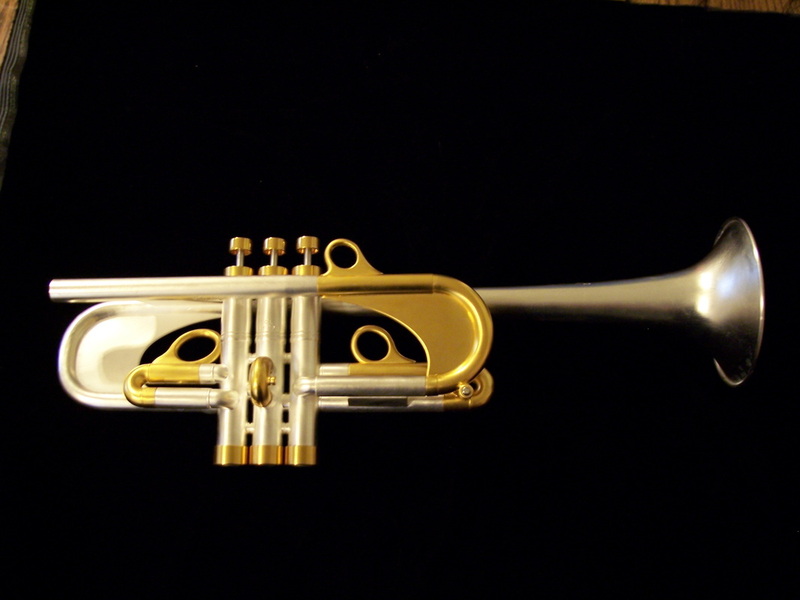 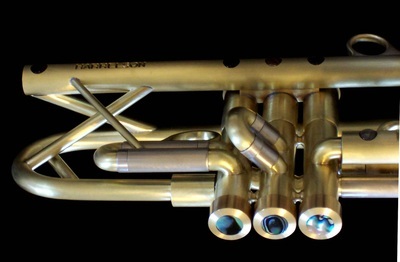 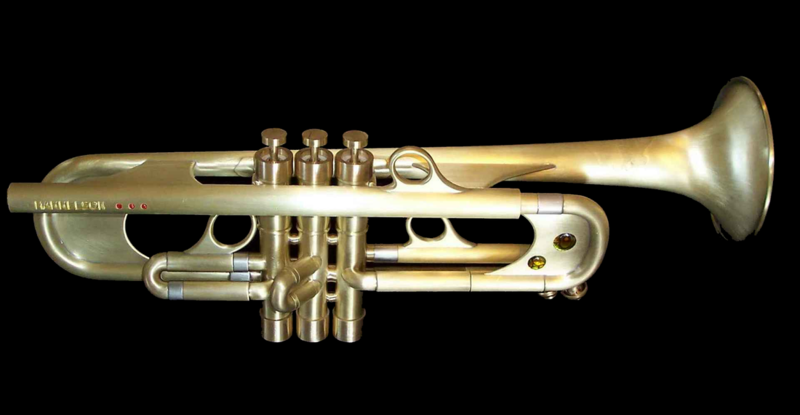 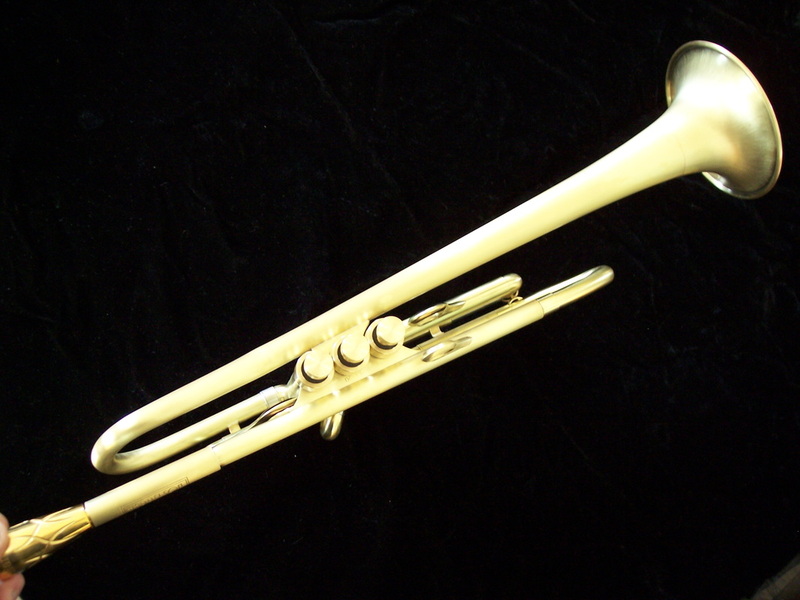 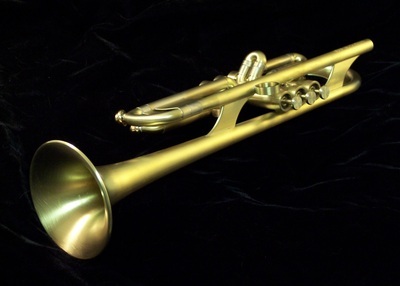 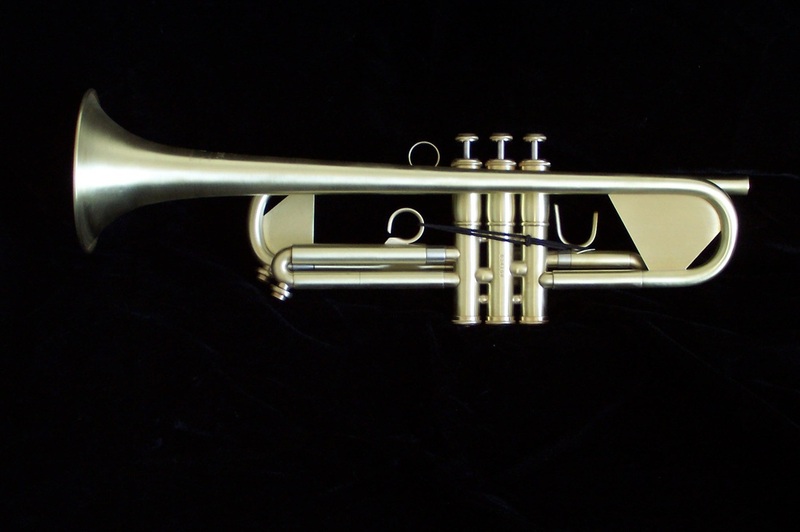 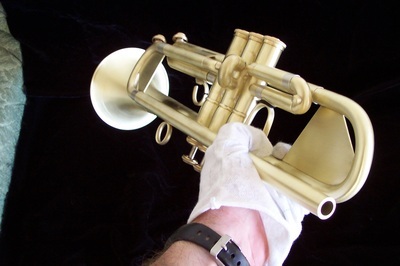 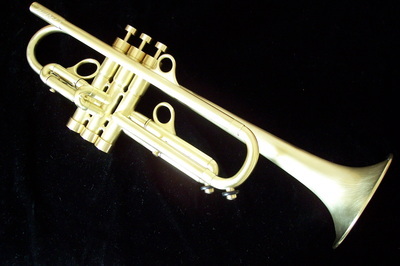 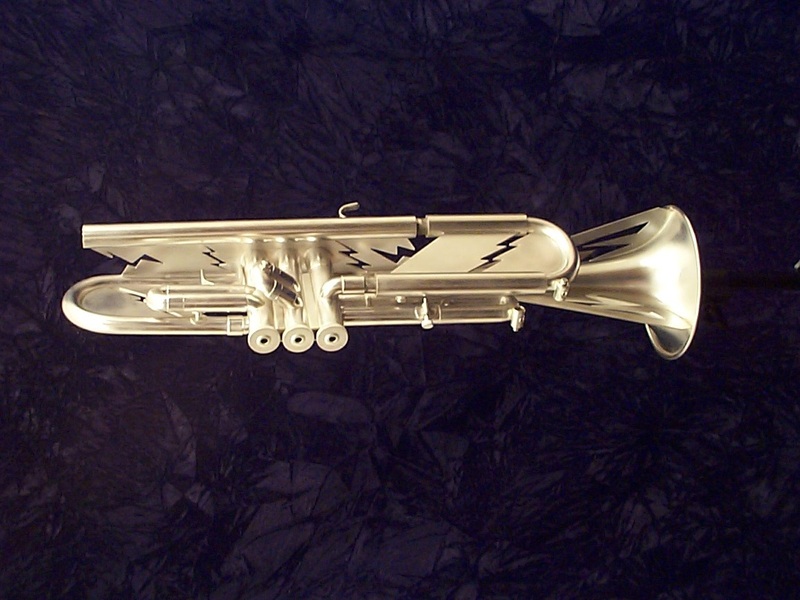 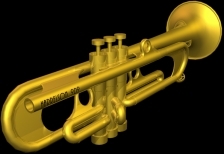 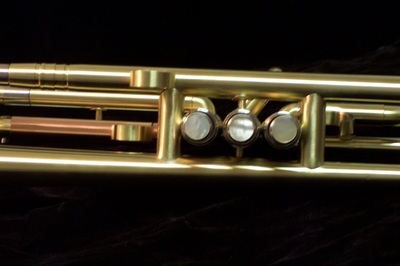 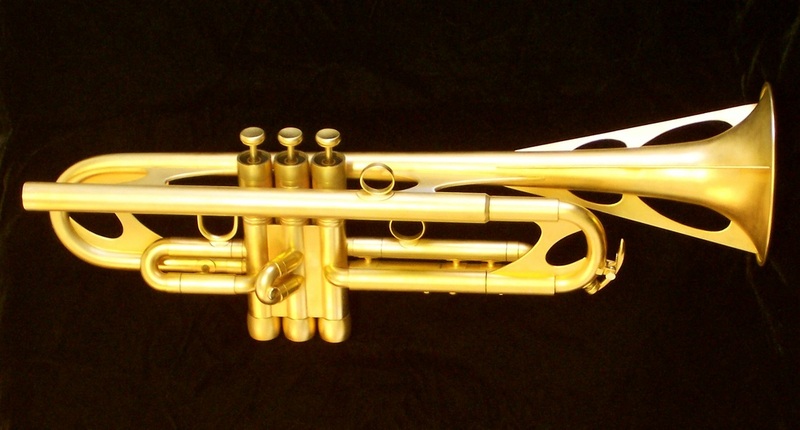 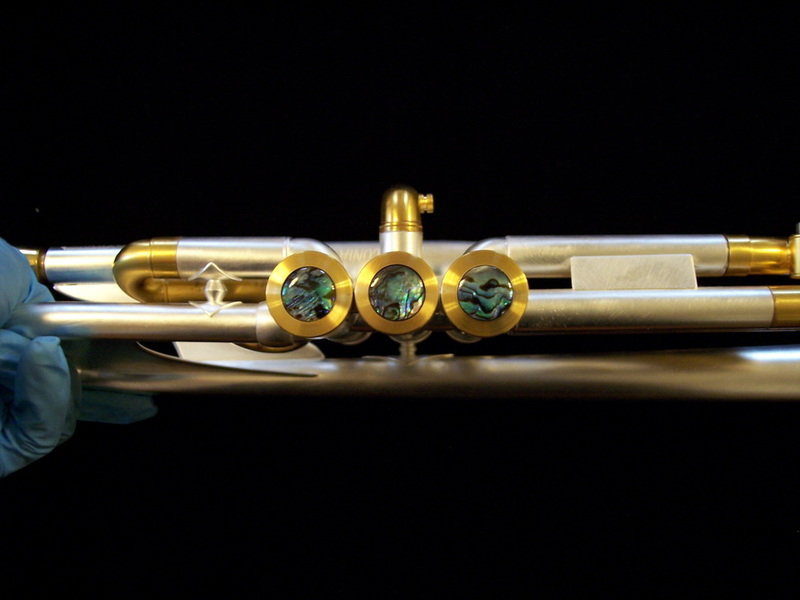 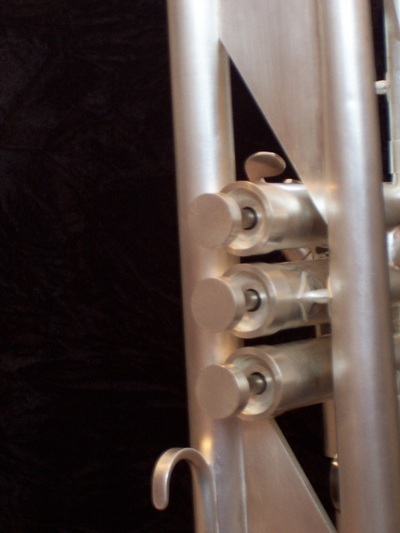 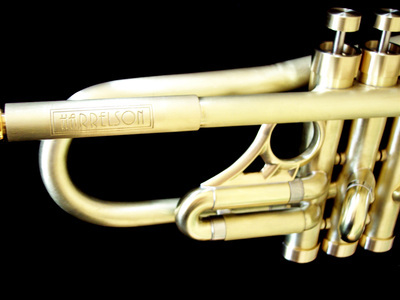 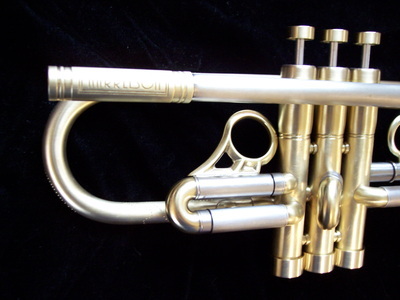 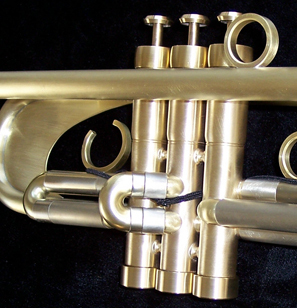 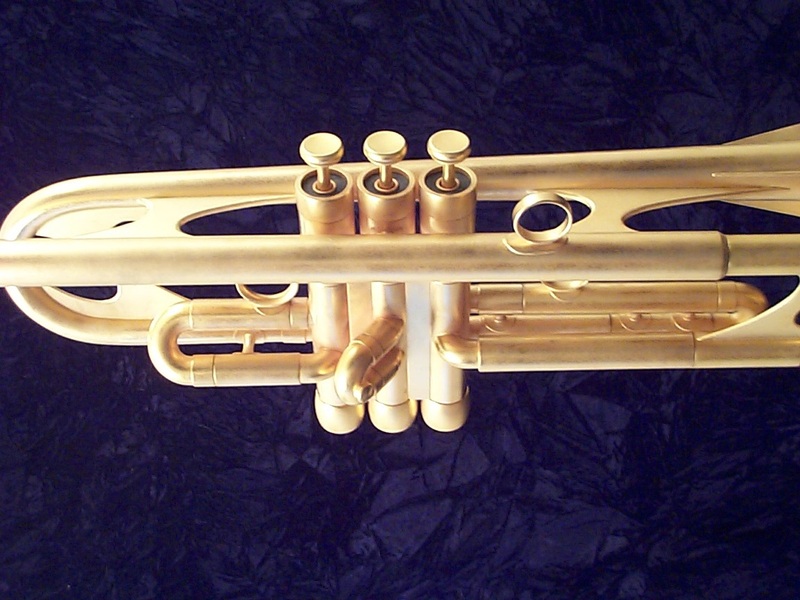 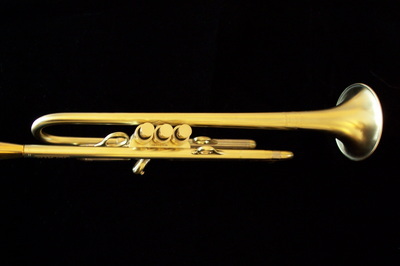 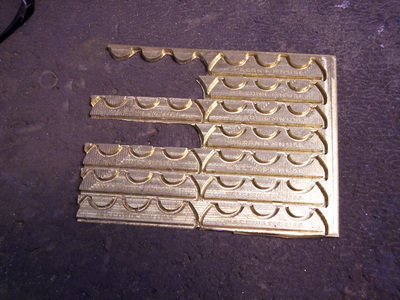 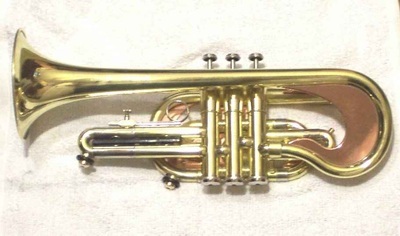 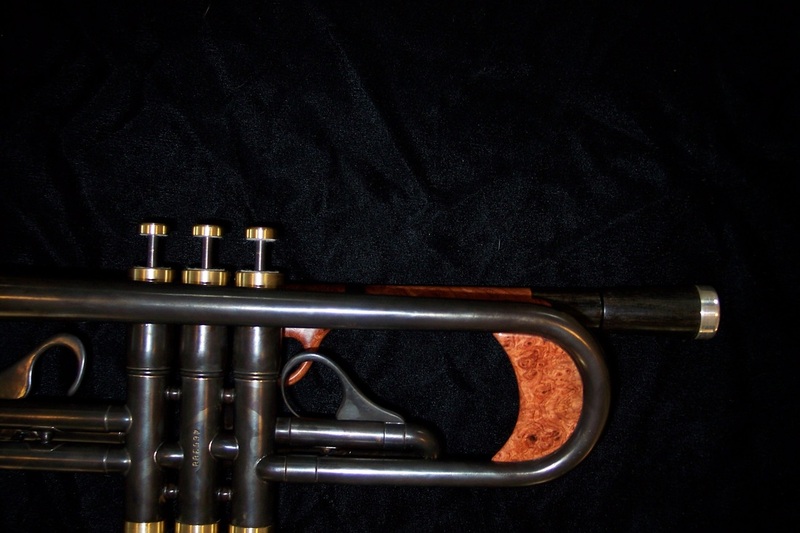 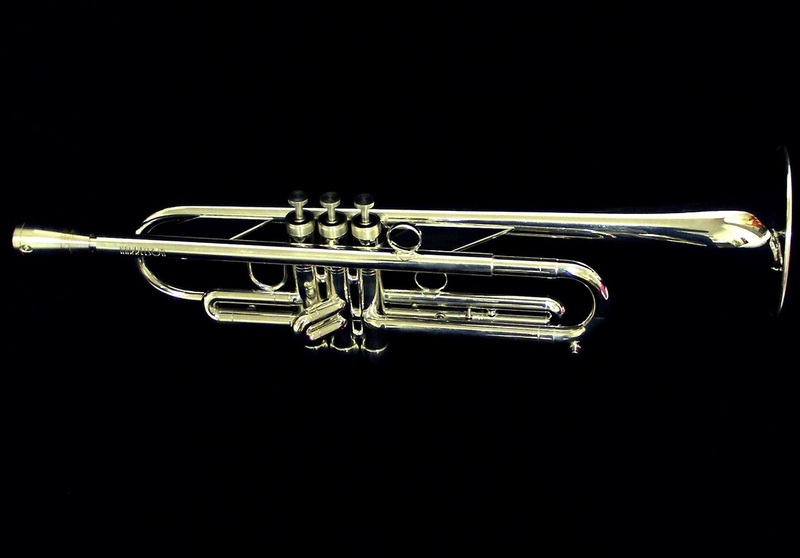 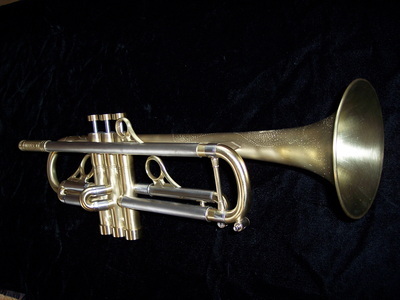 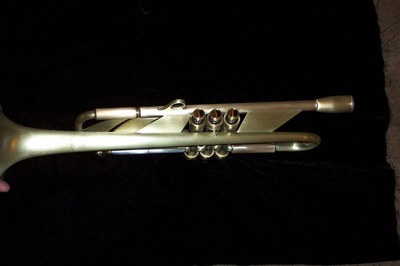 The HT archives contain over 9,000 trumpet build photos! Captions will be updated over the coming months.